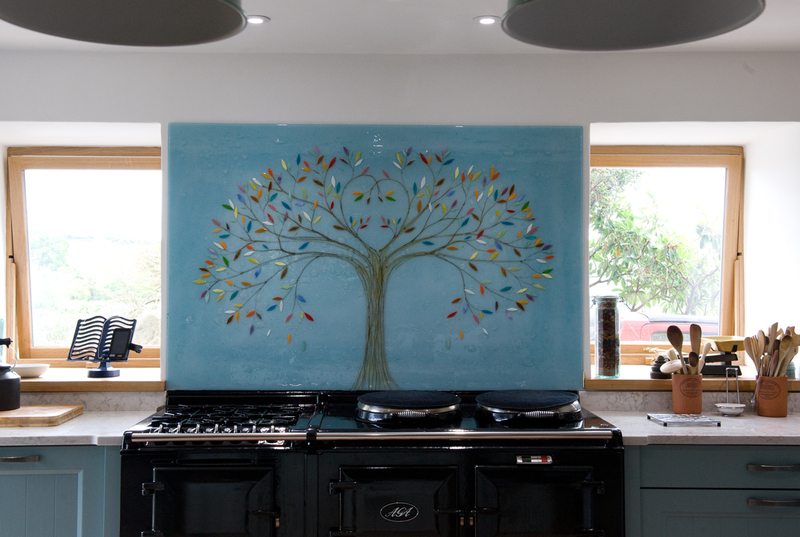 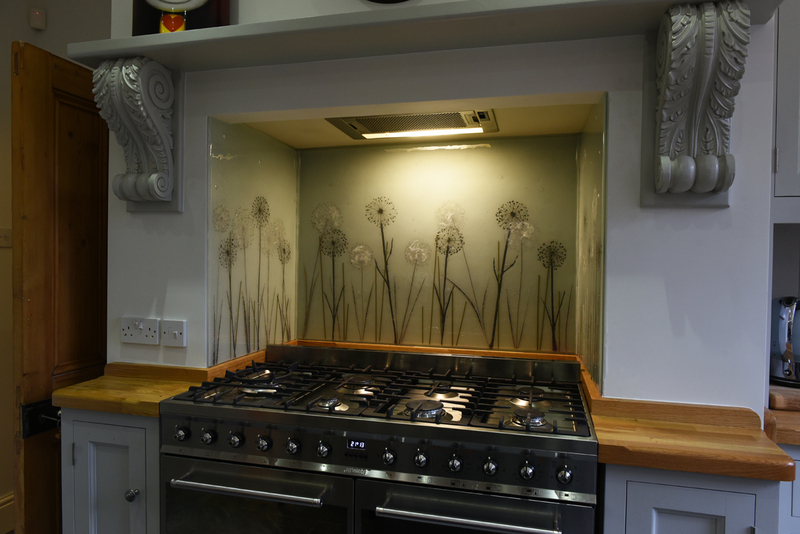 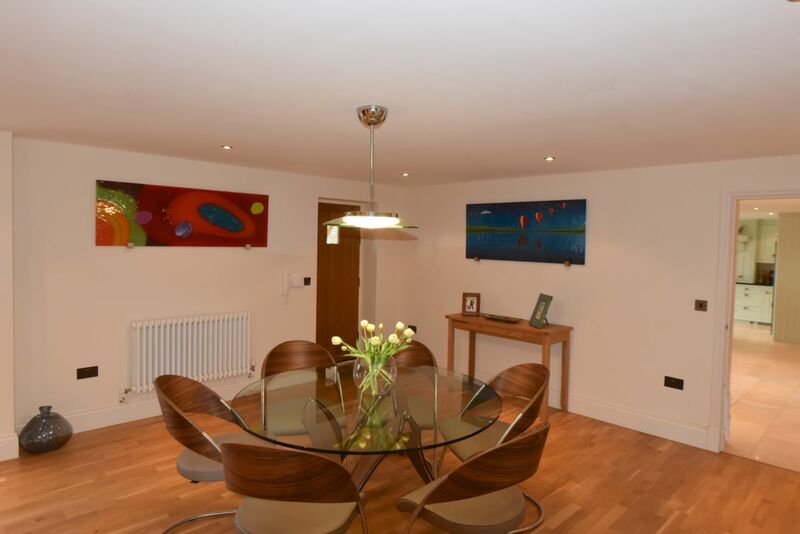 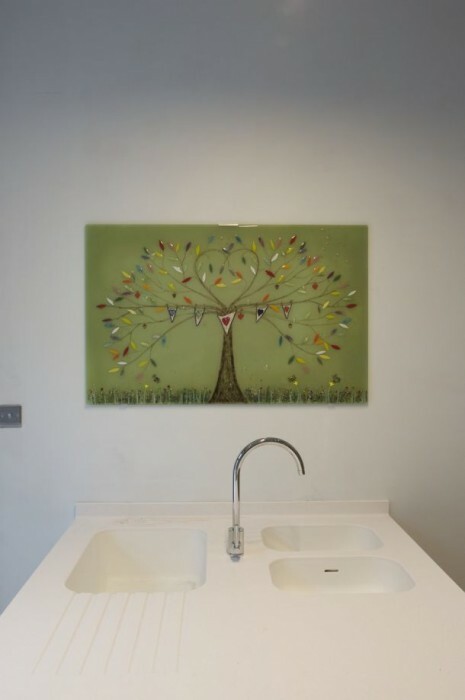 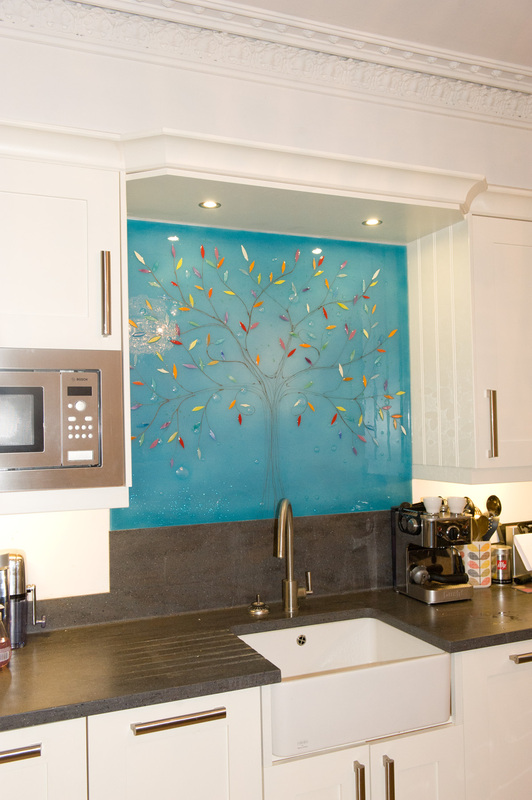 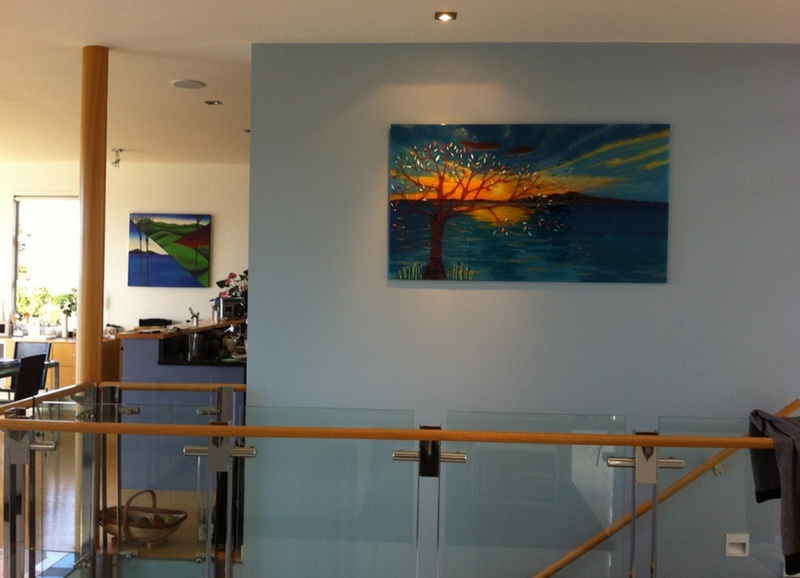 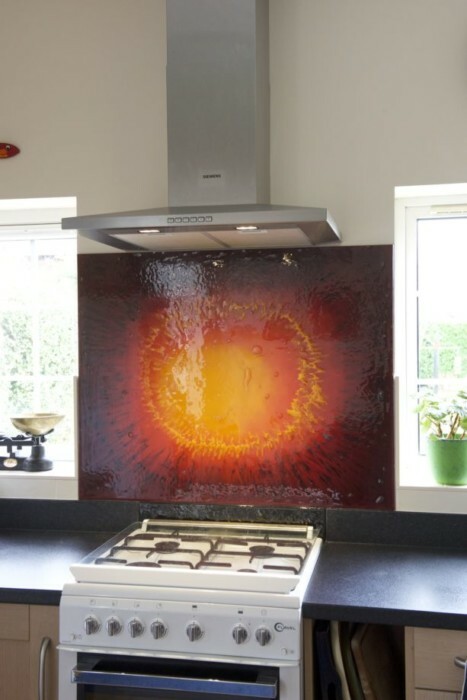 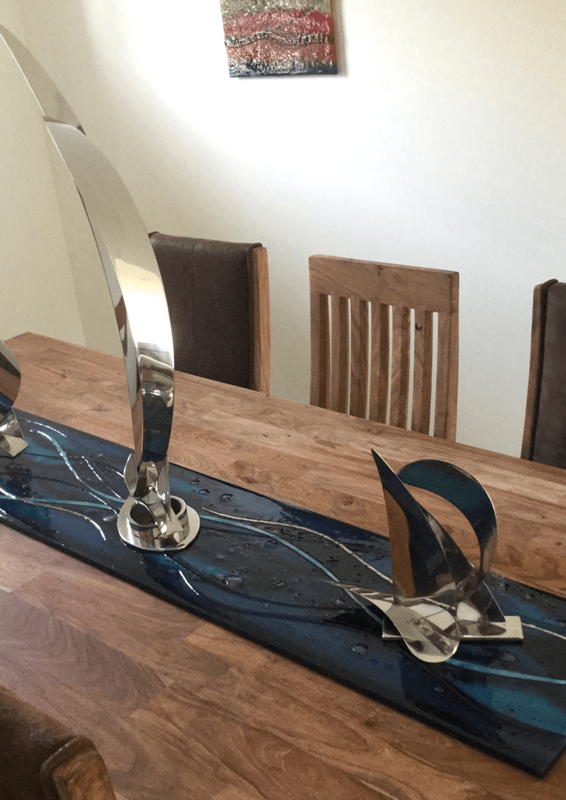 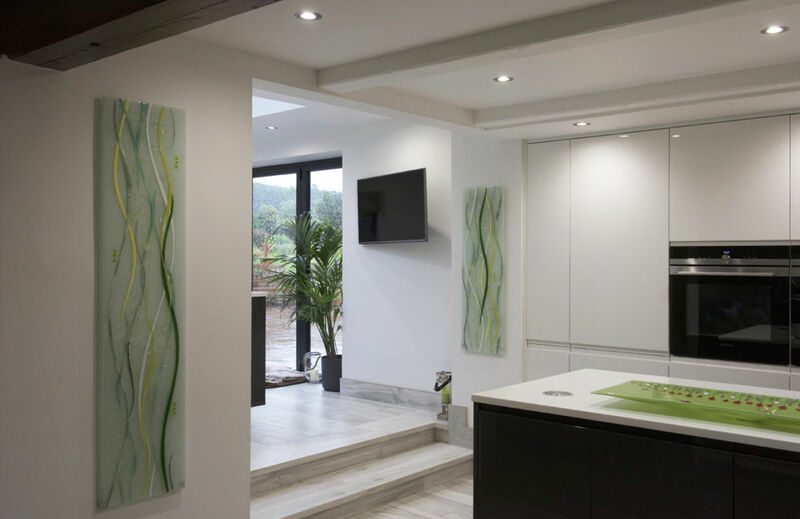 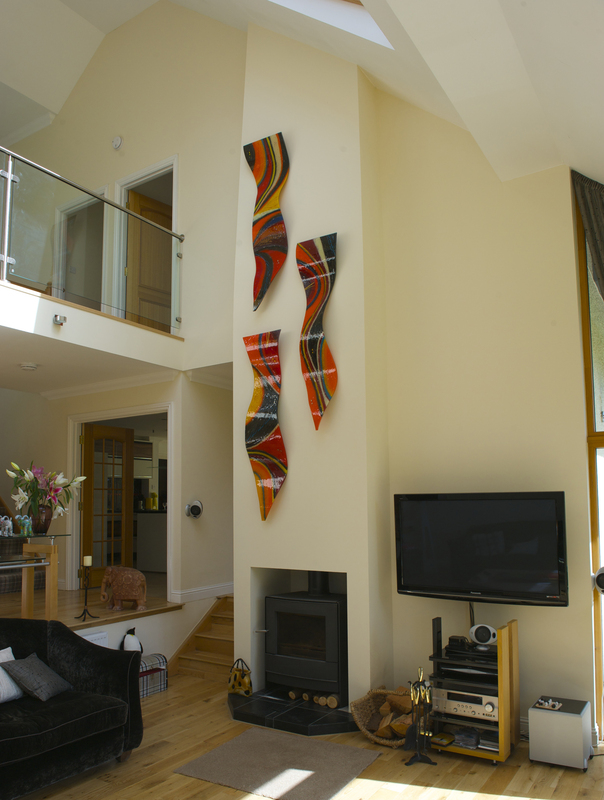 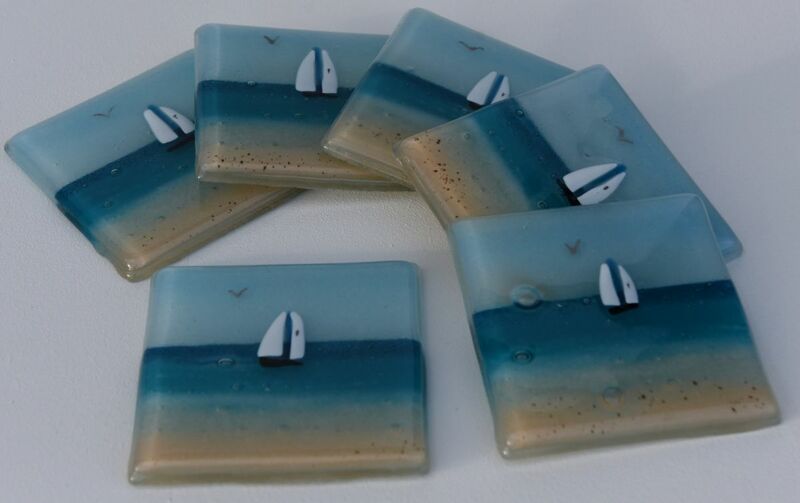 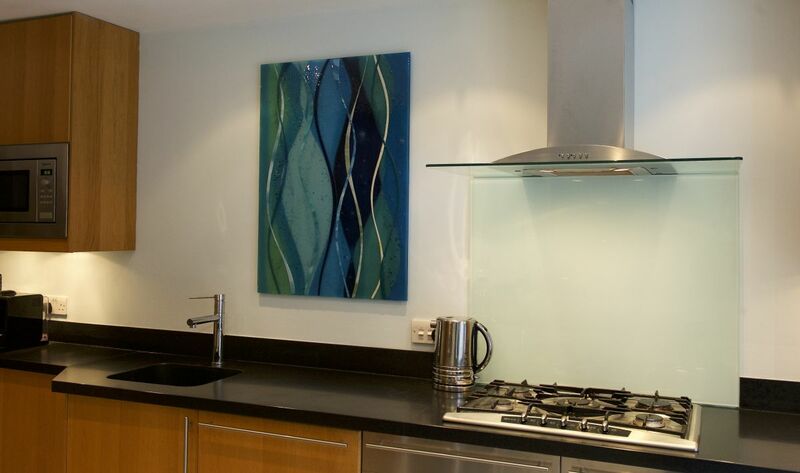 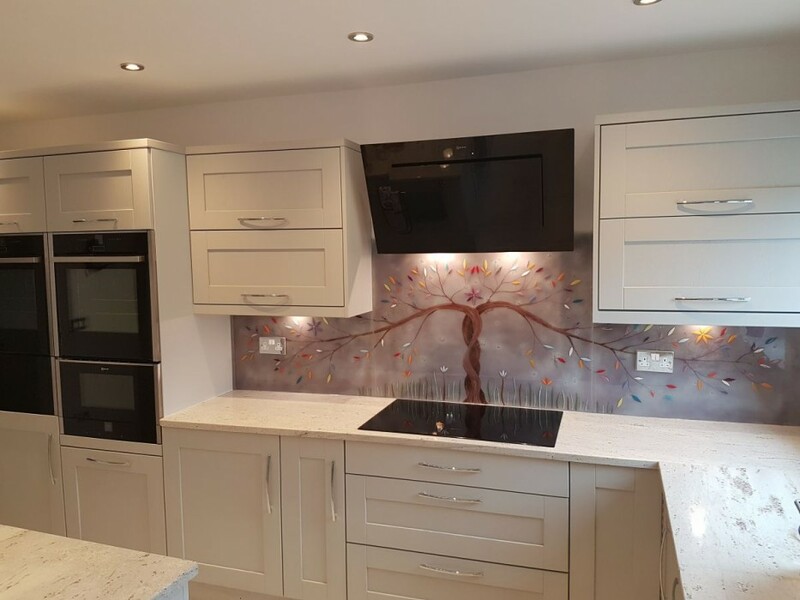 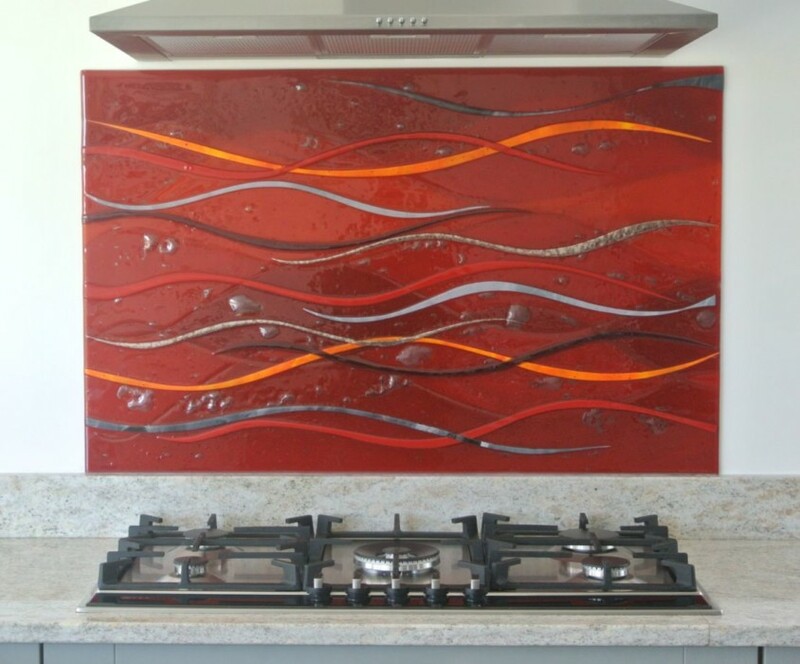 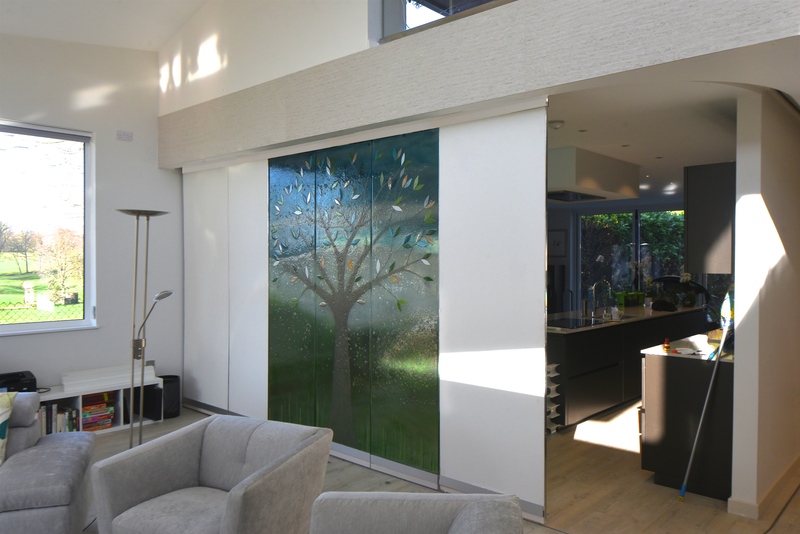 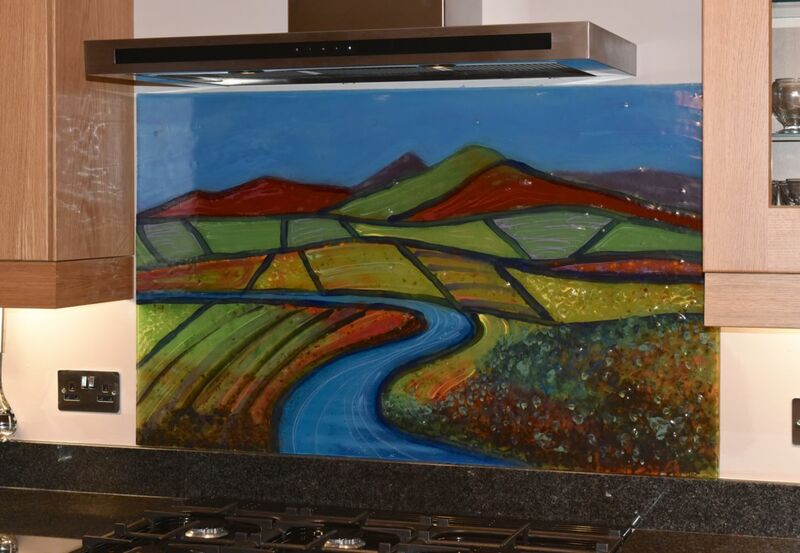 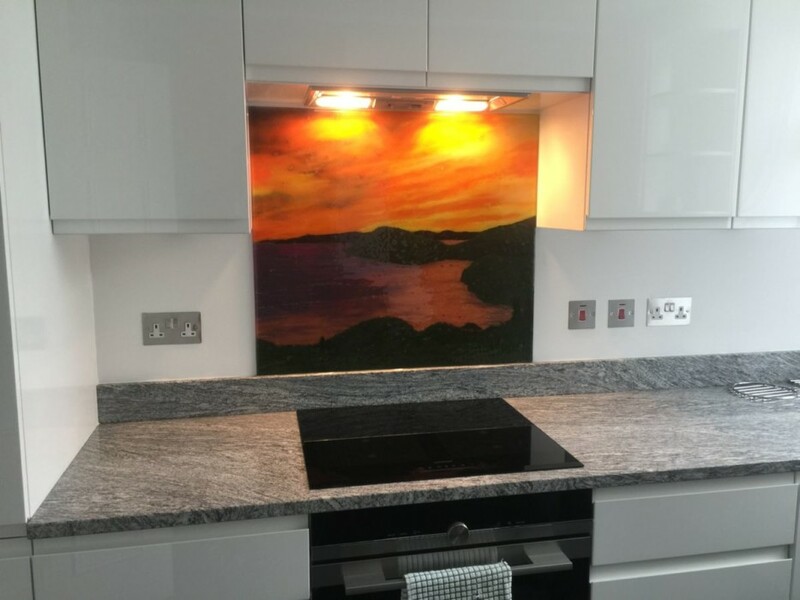 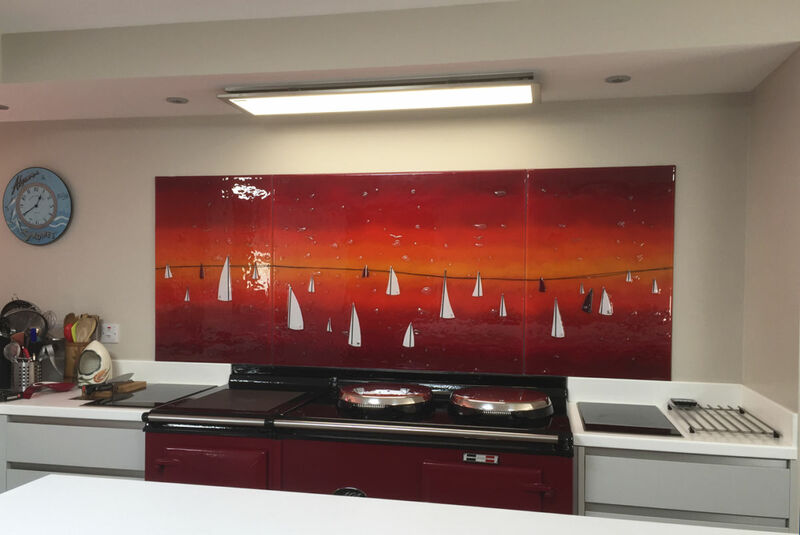 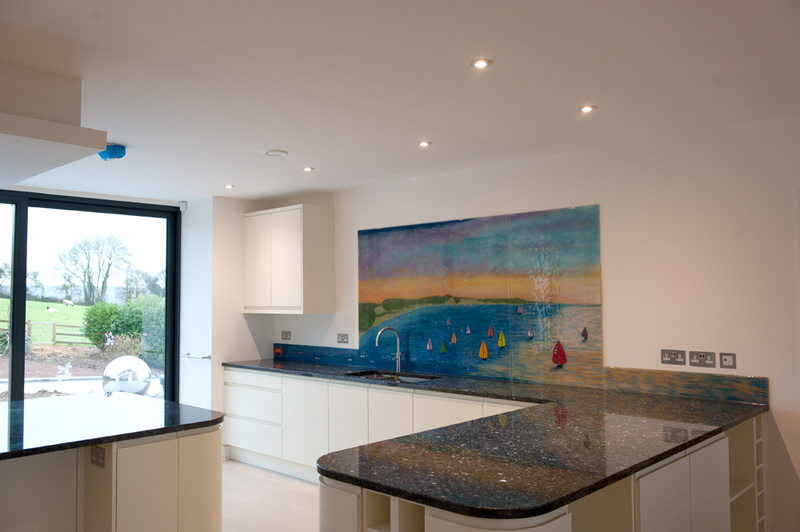 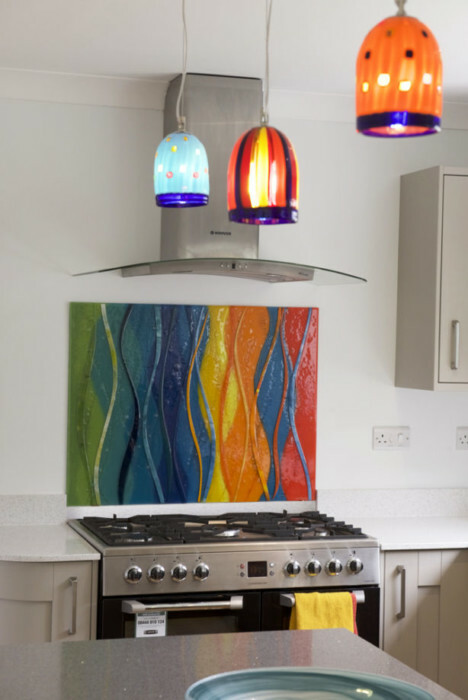 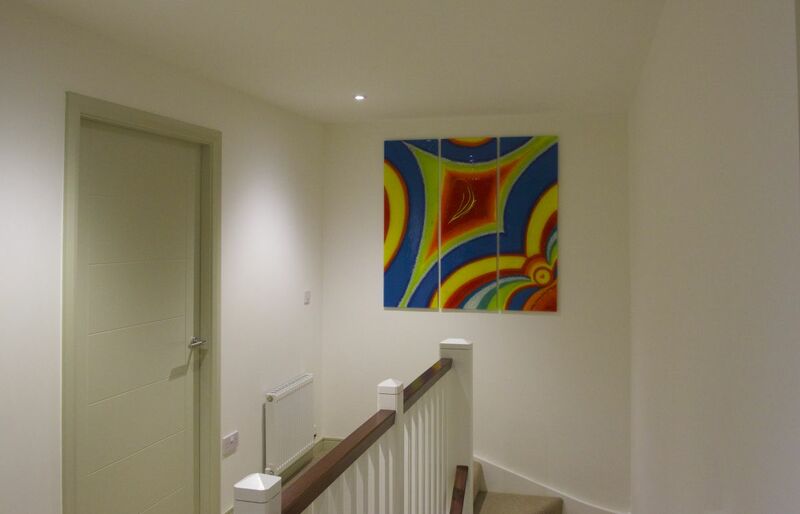 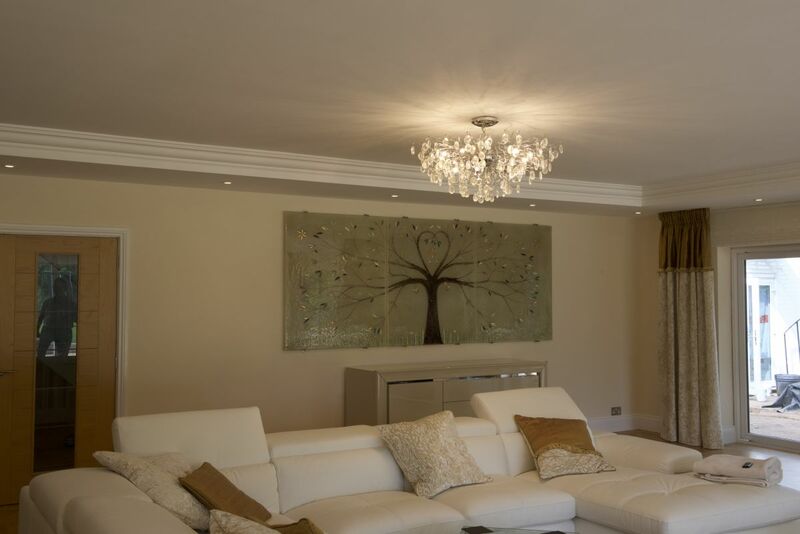 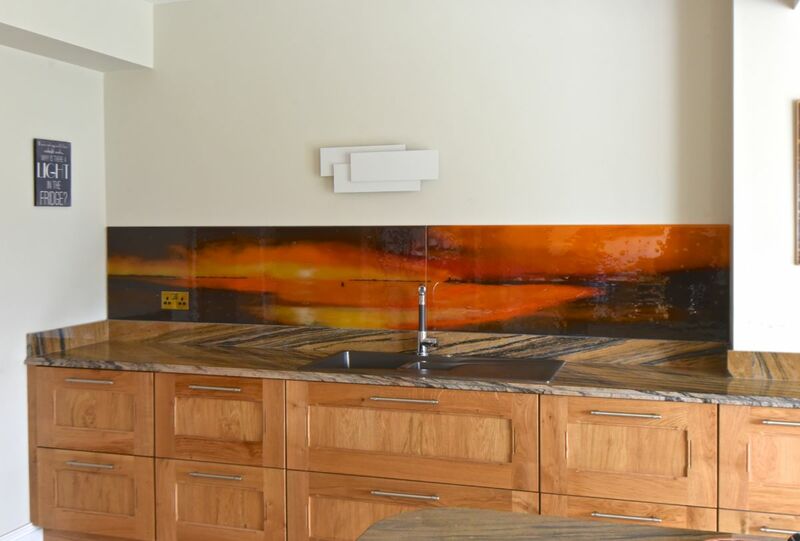 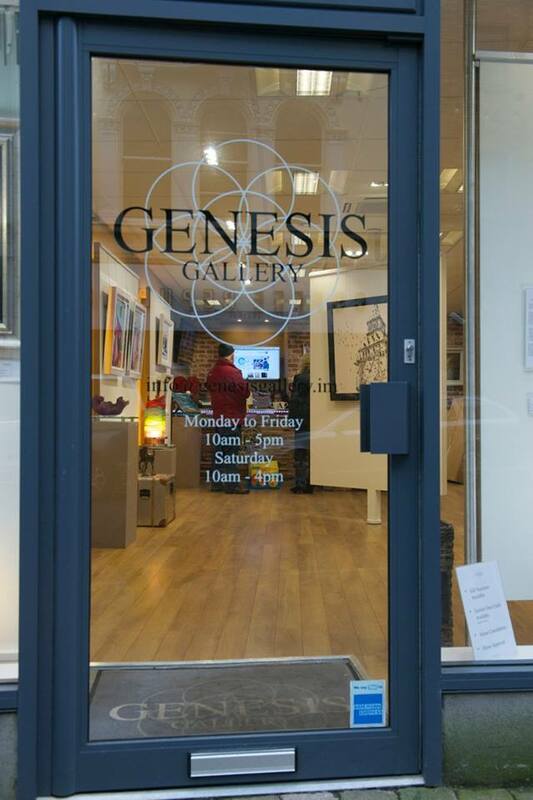 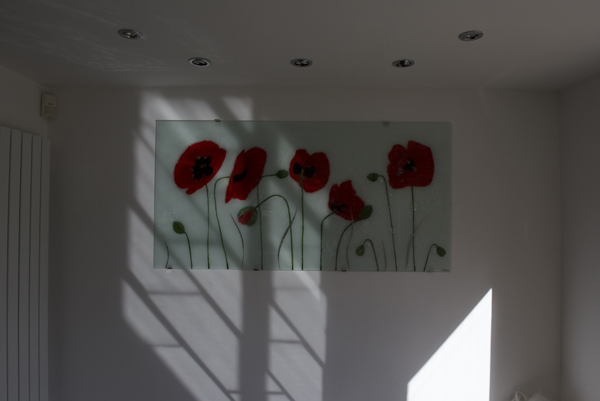 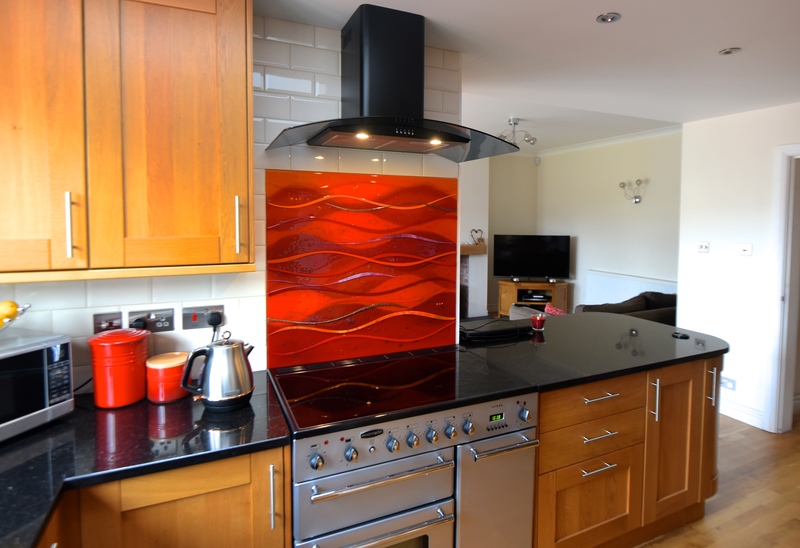 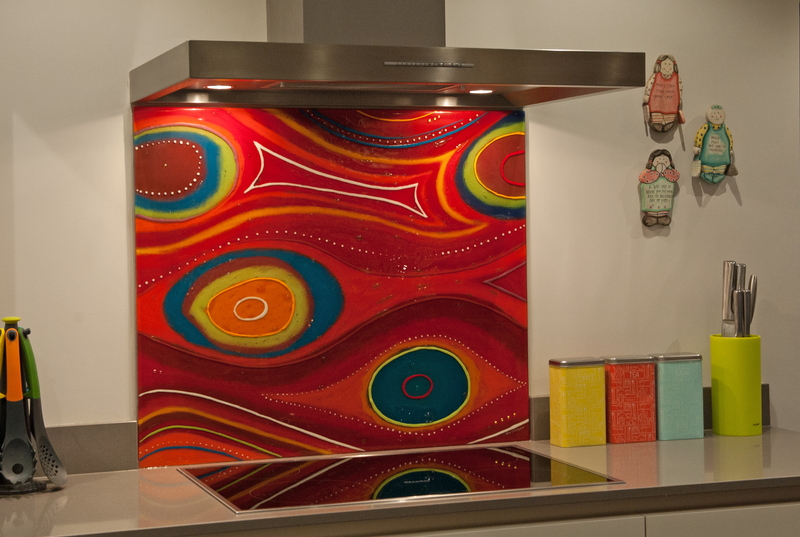 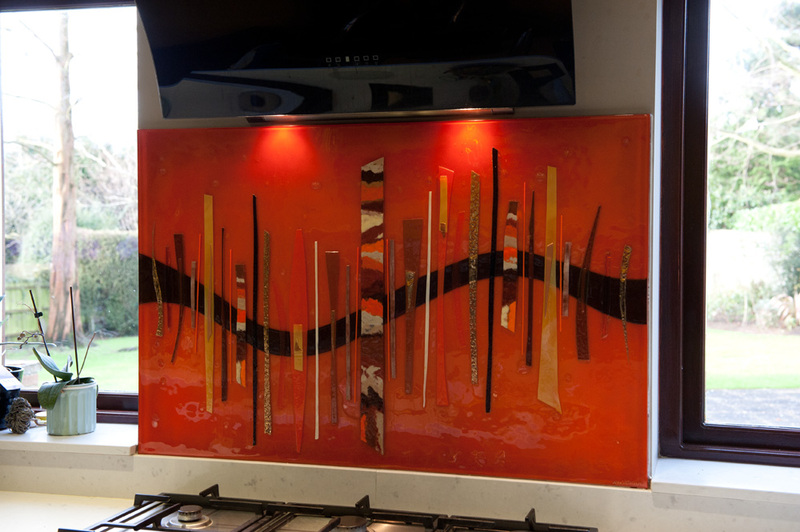 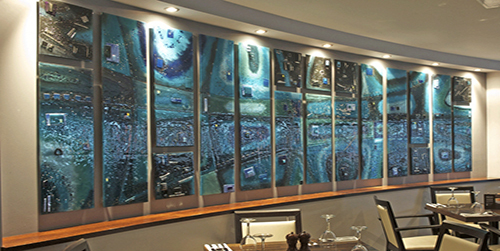 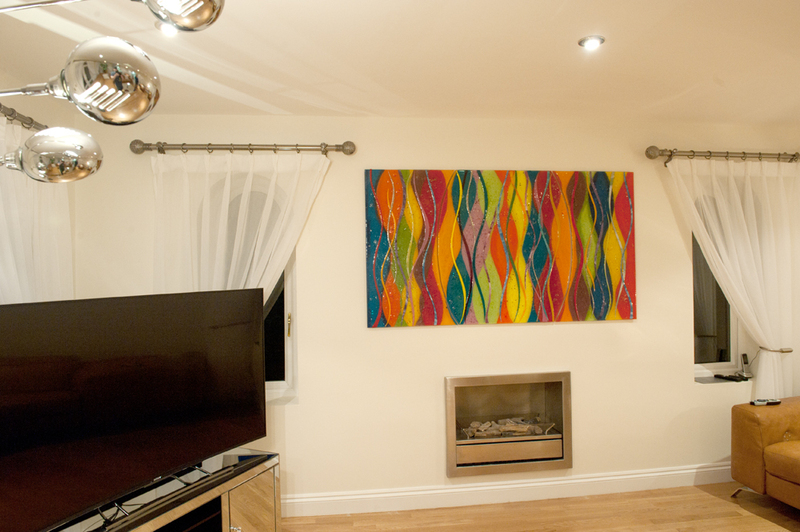 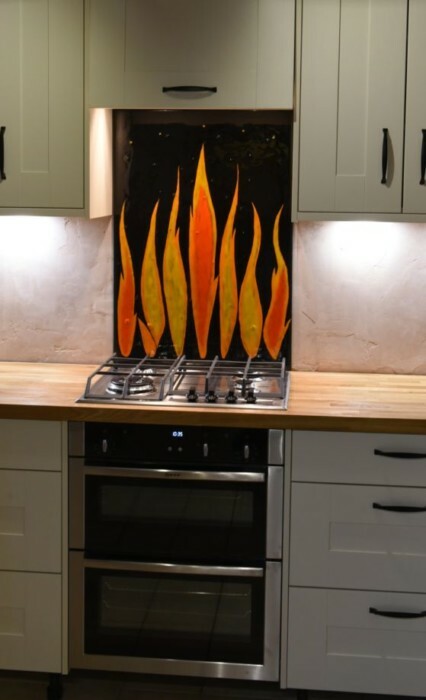 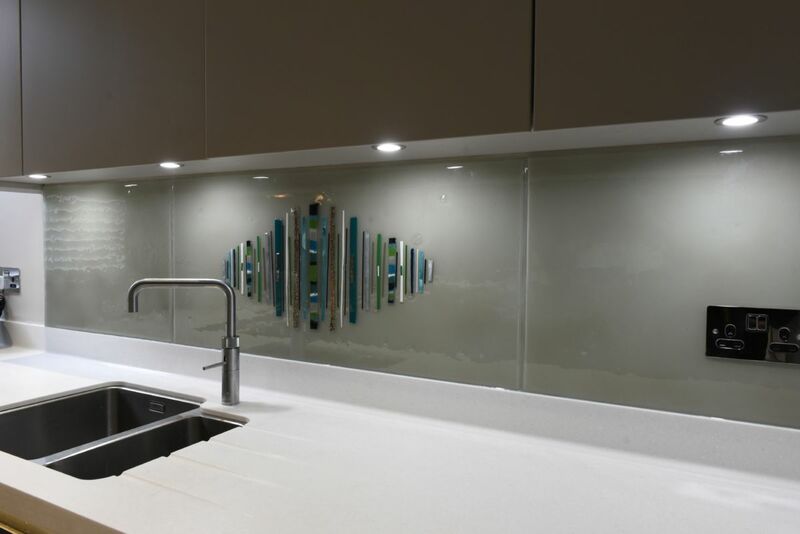 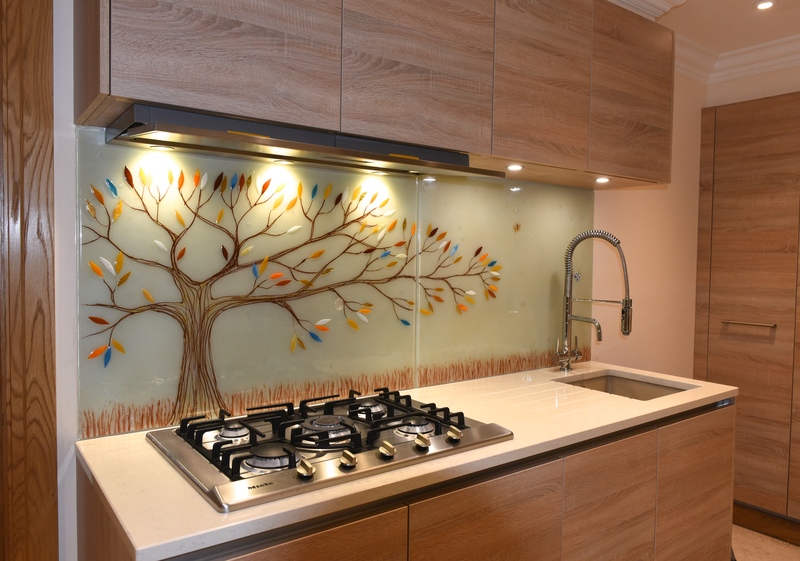 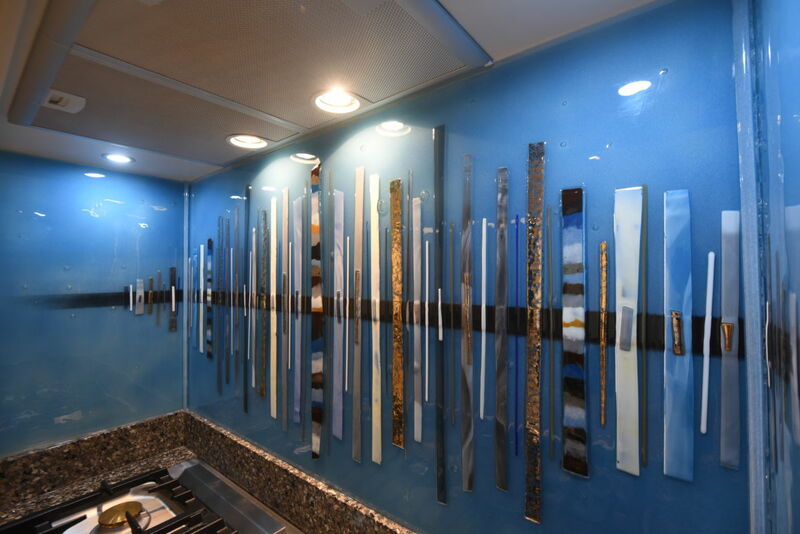 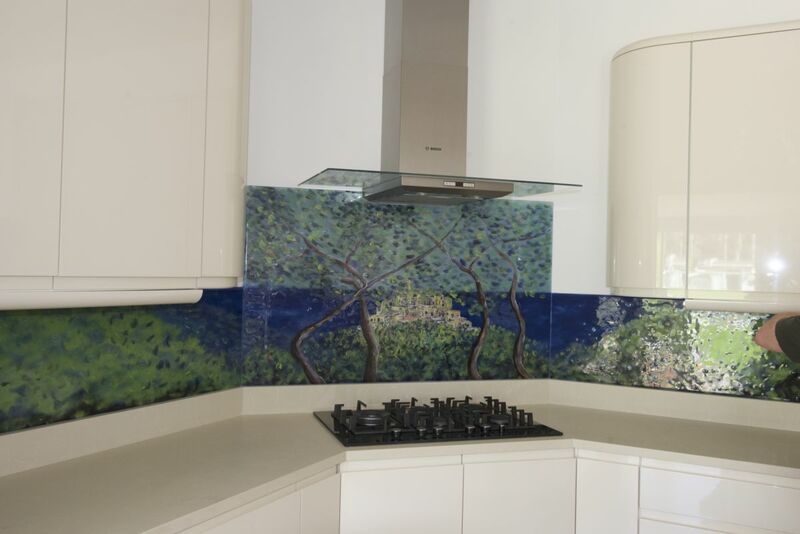 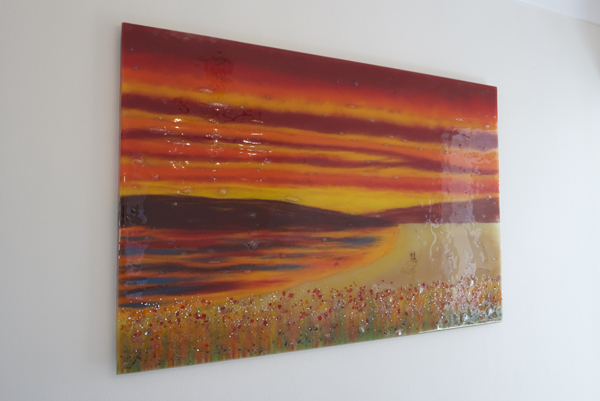 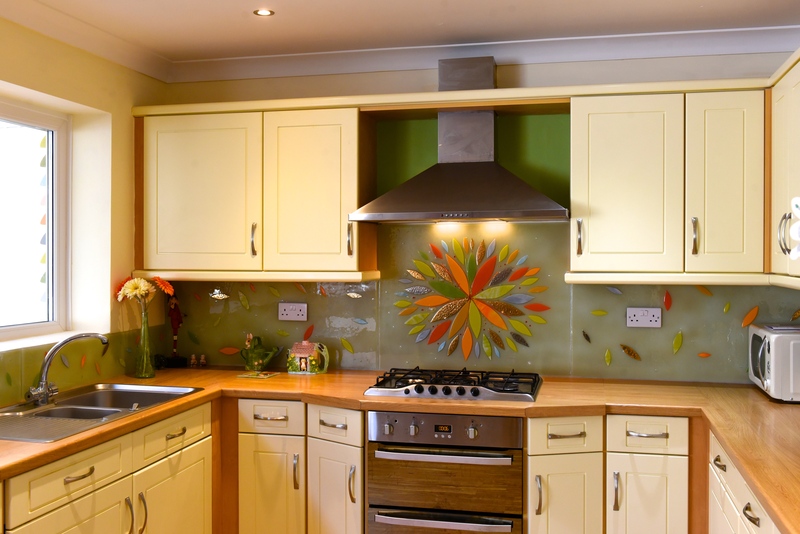 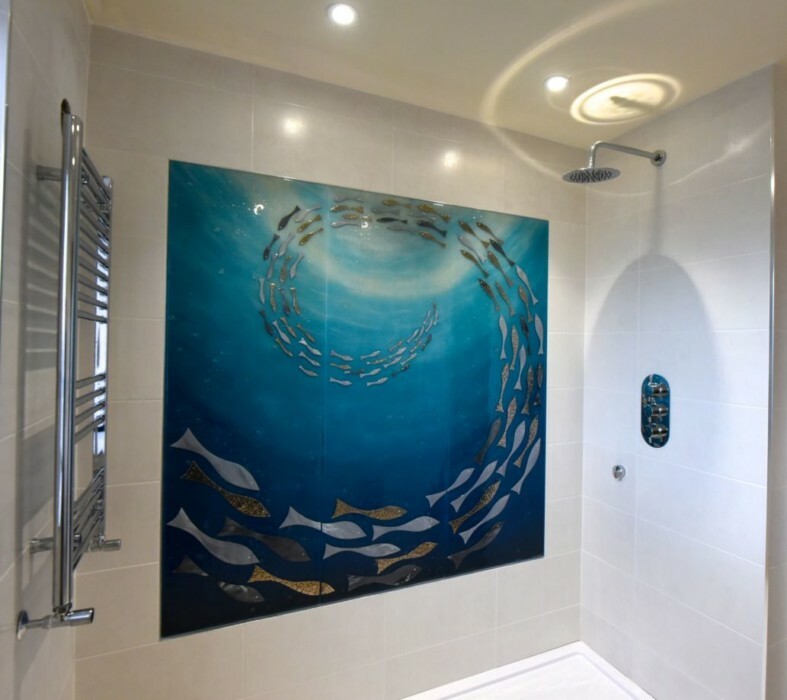 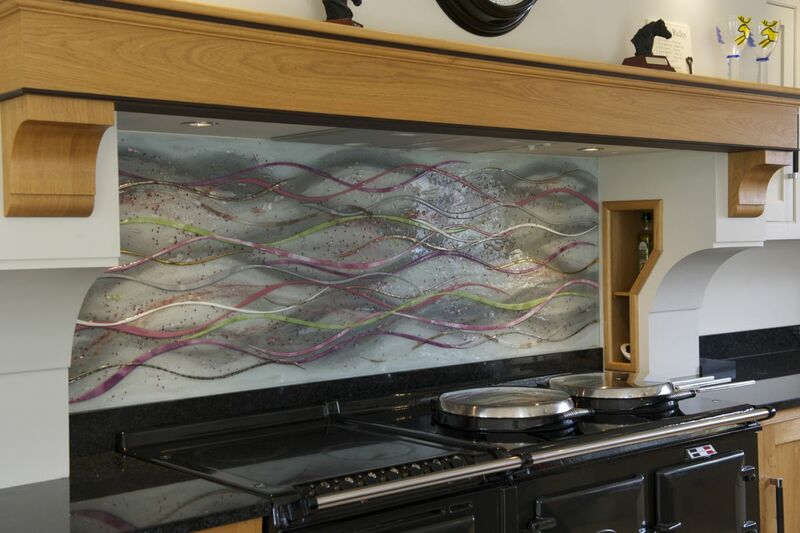 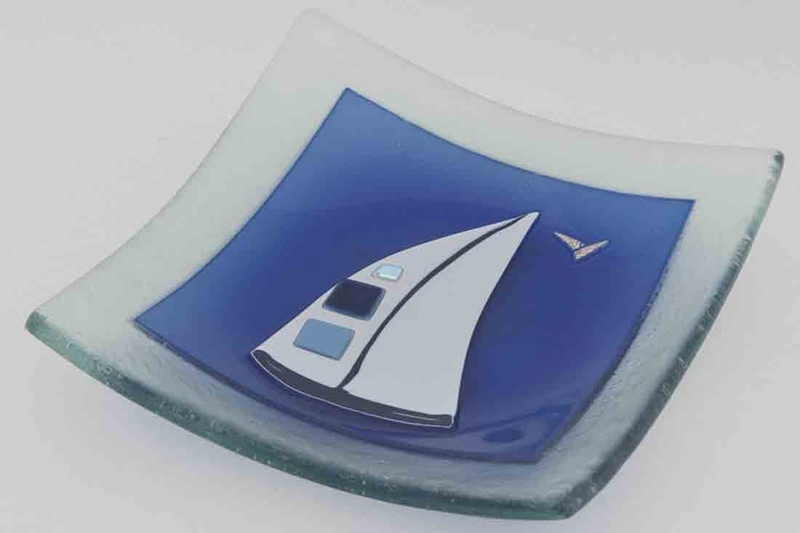 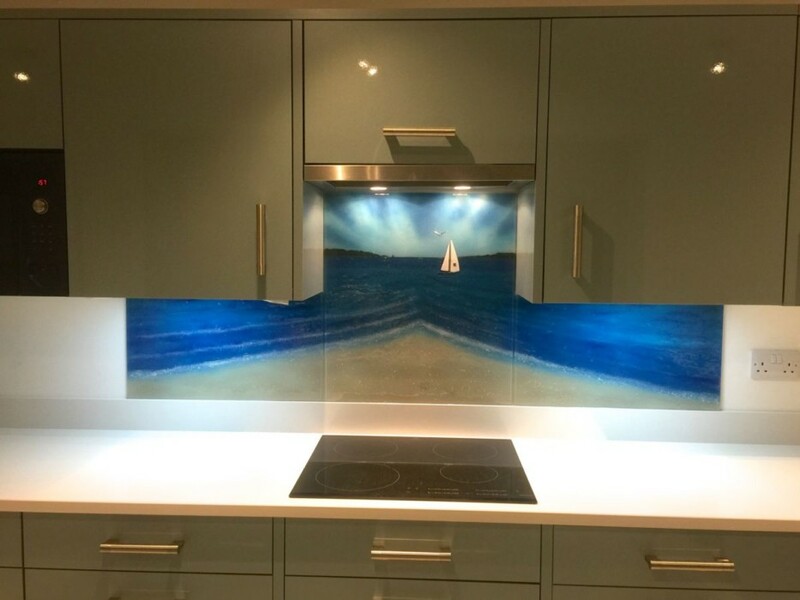 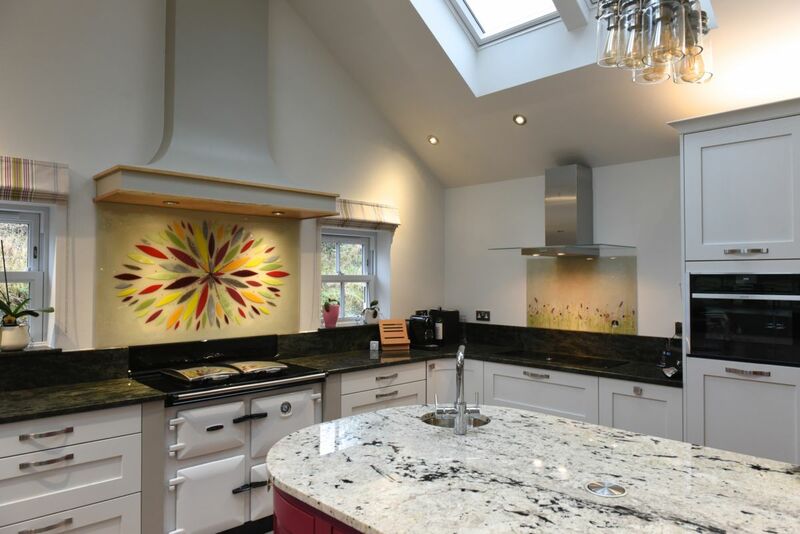 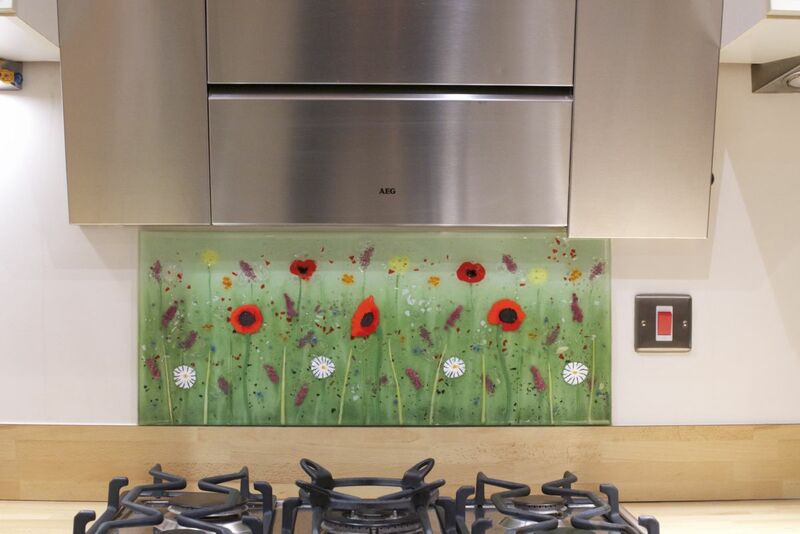 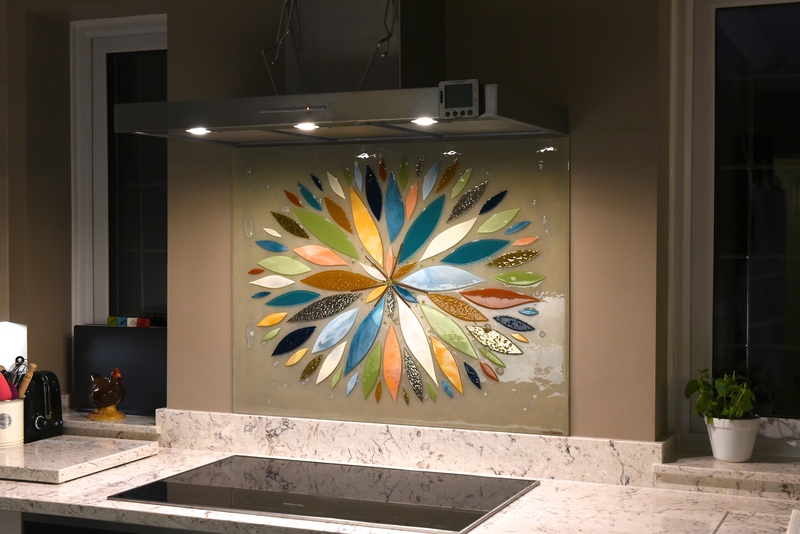 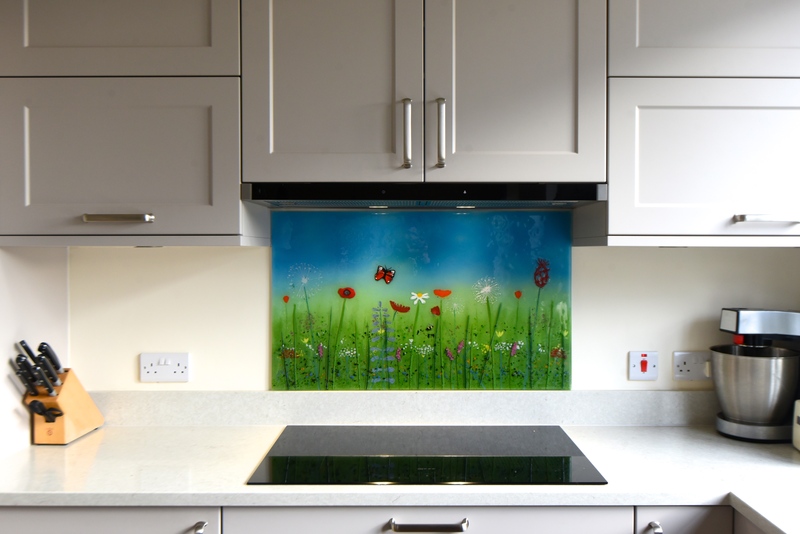 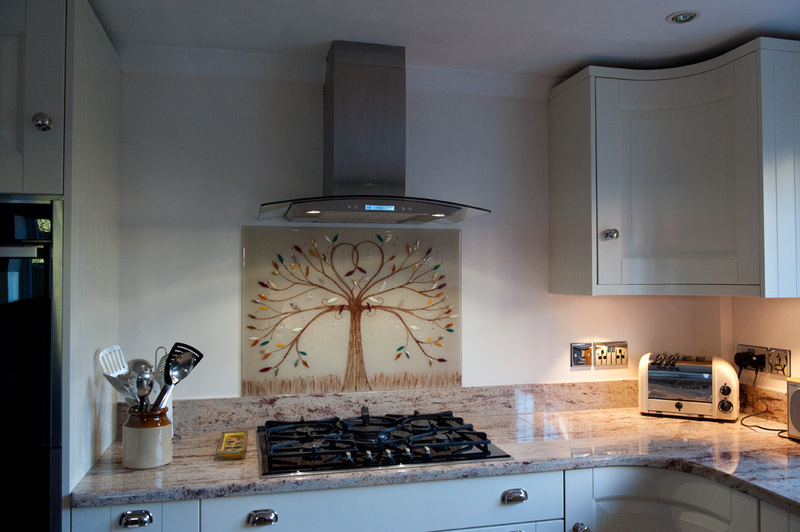 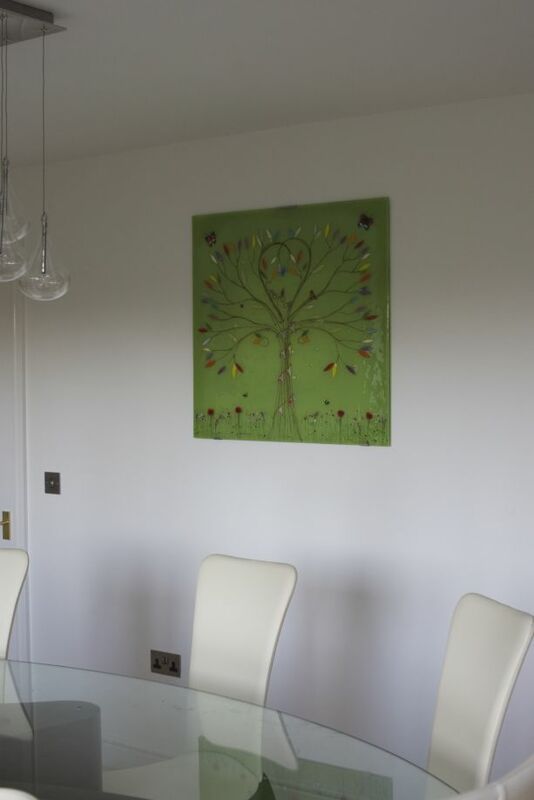 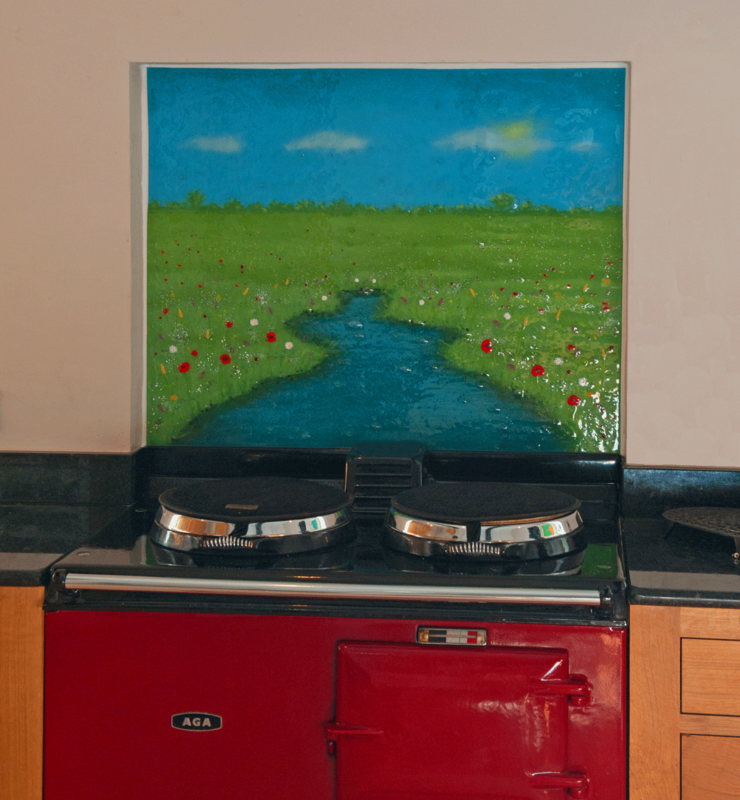 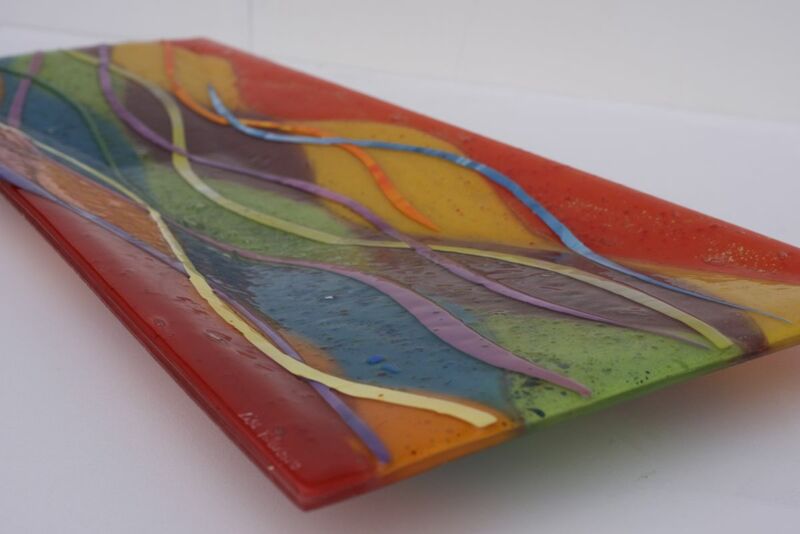 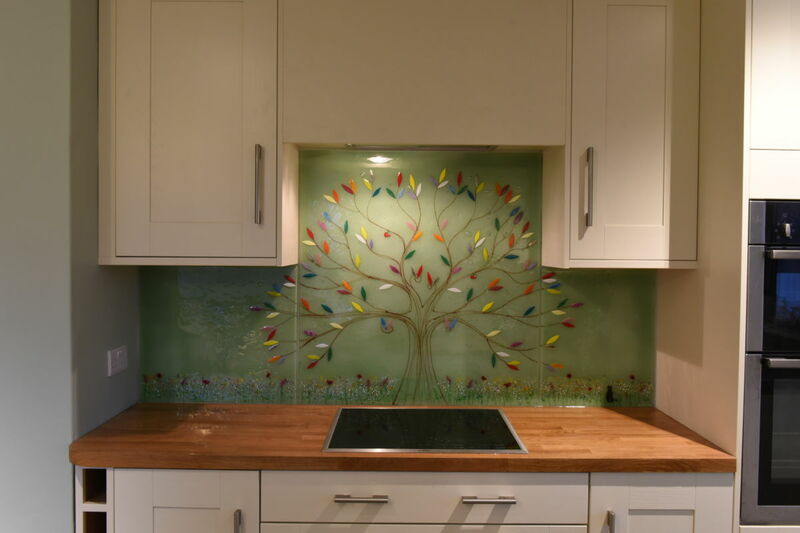 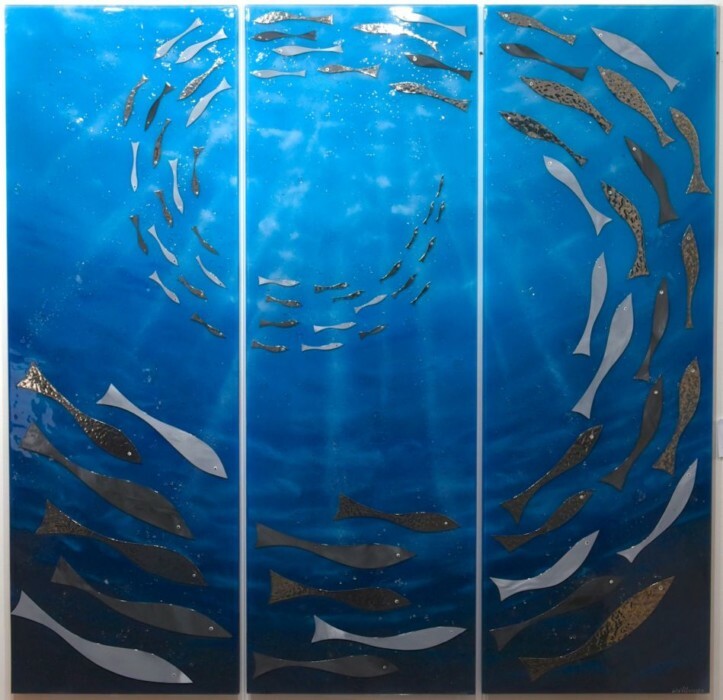 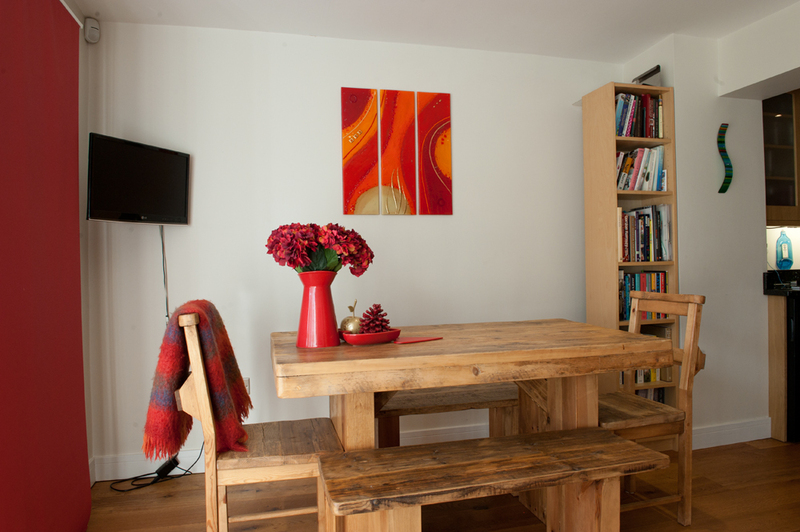 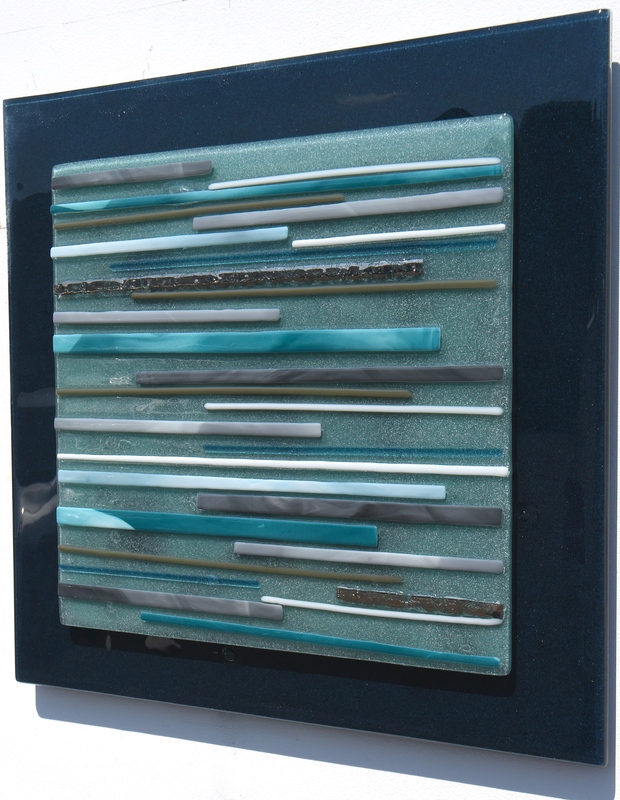 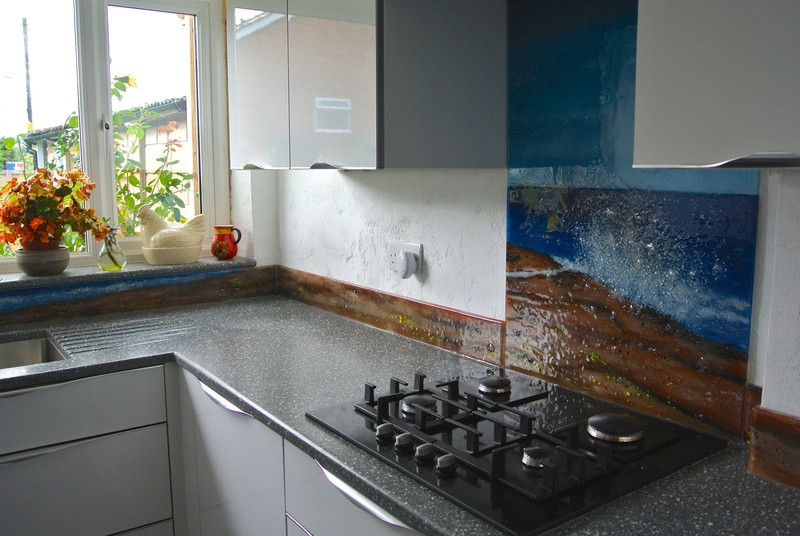 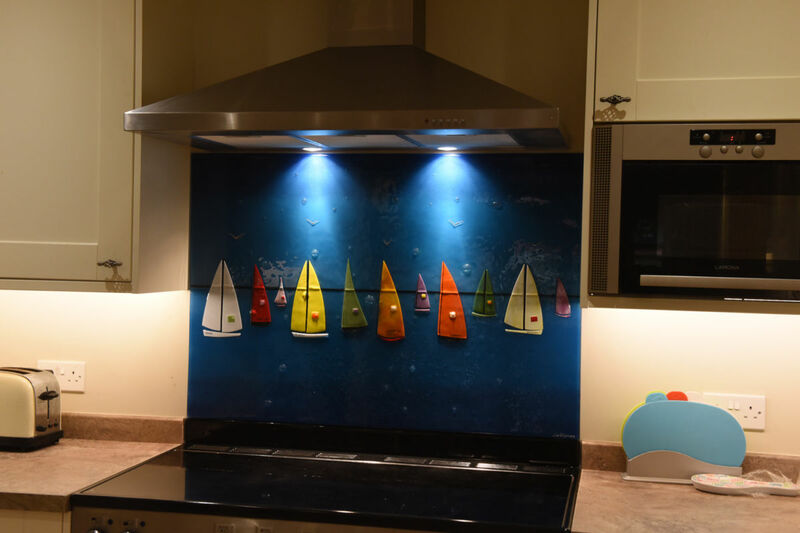 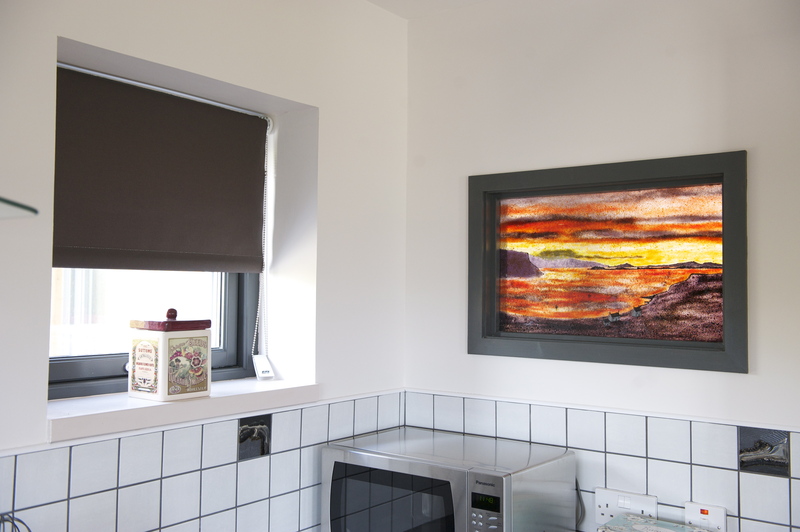 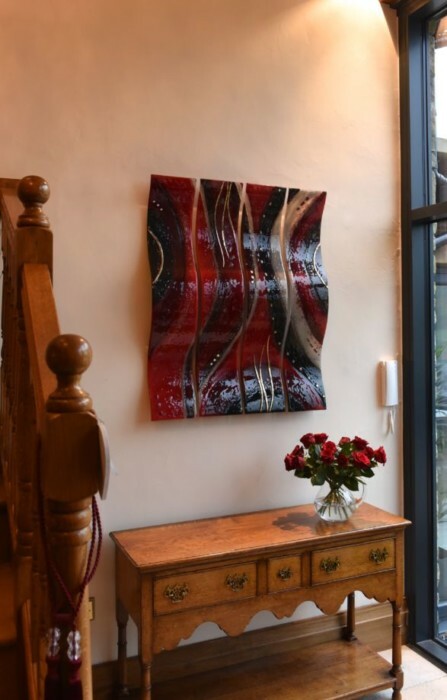 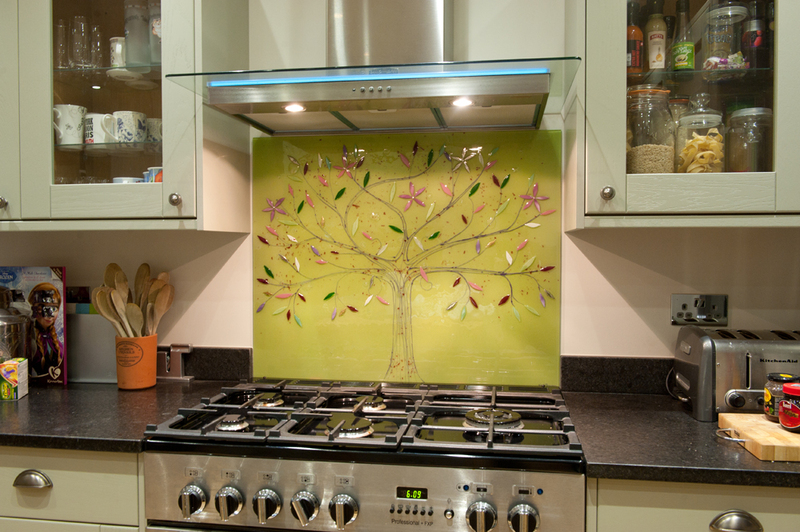 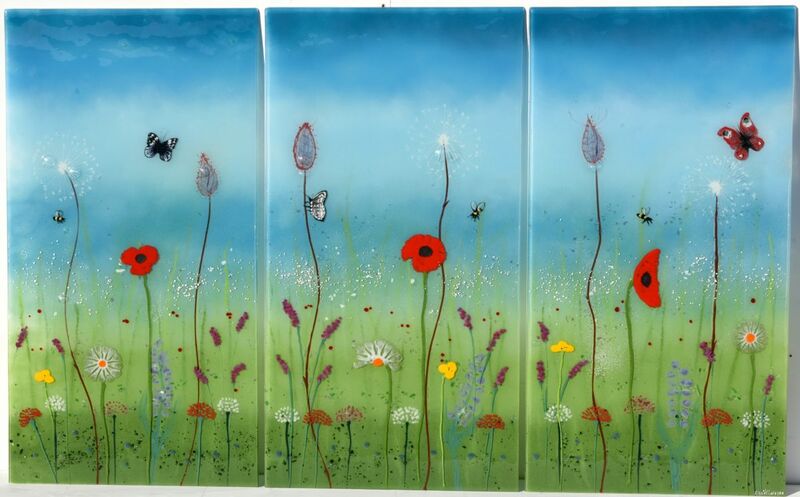 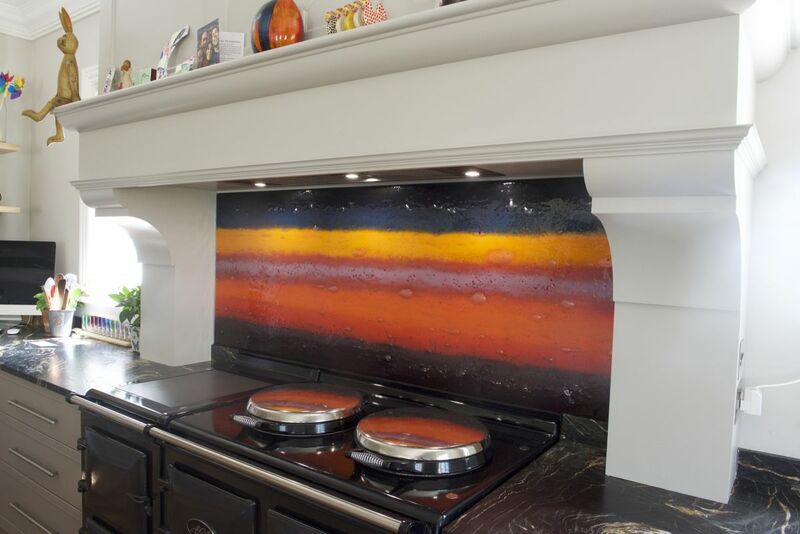 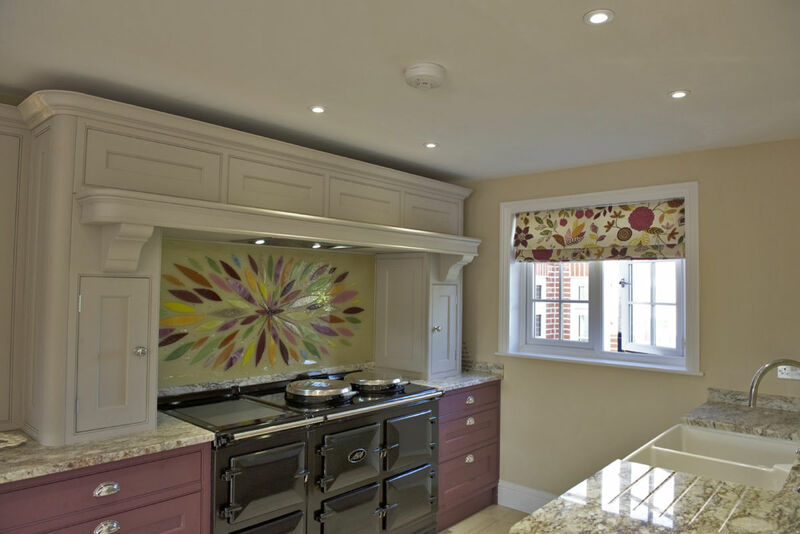 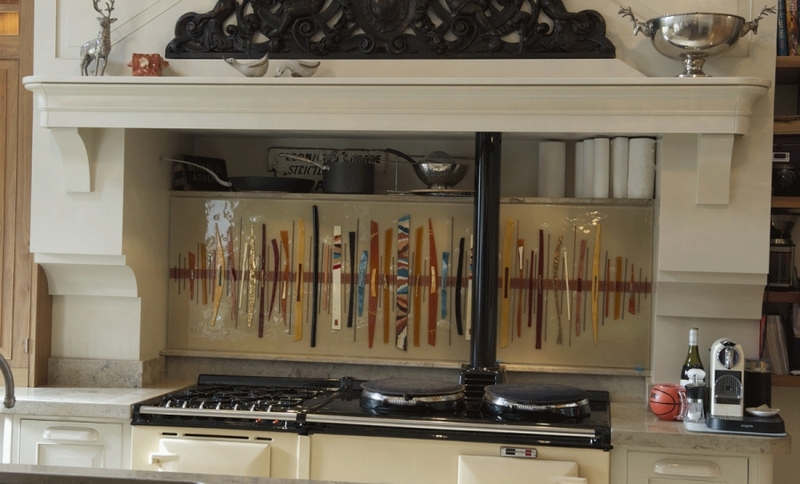 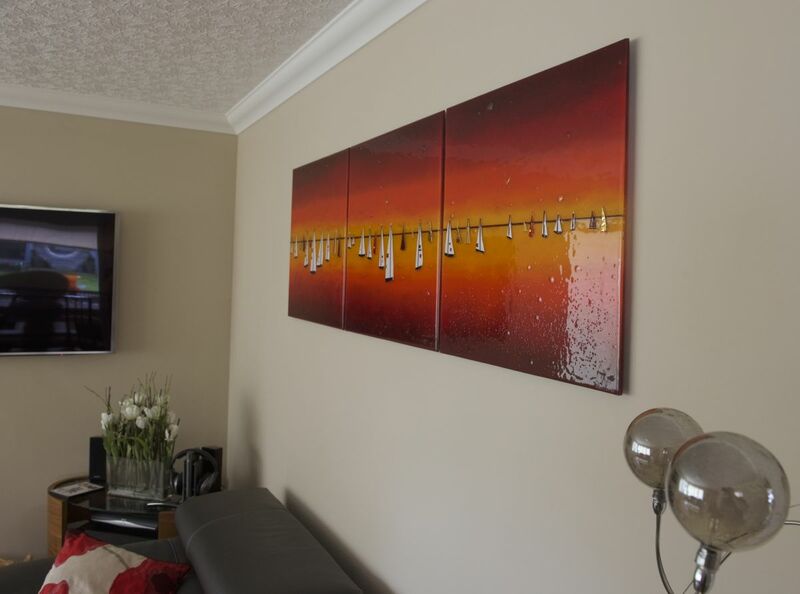 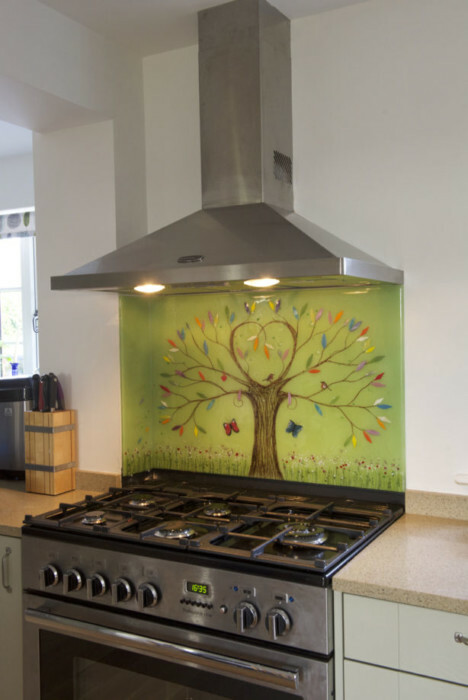 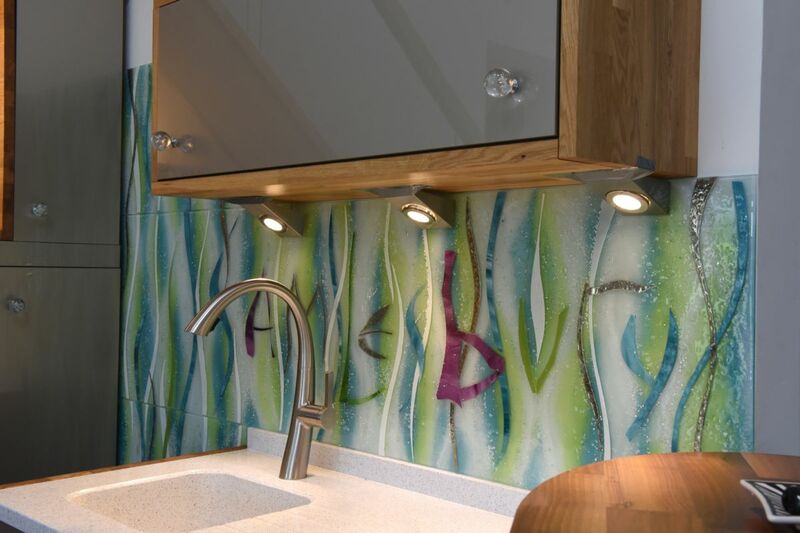 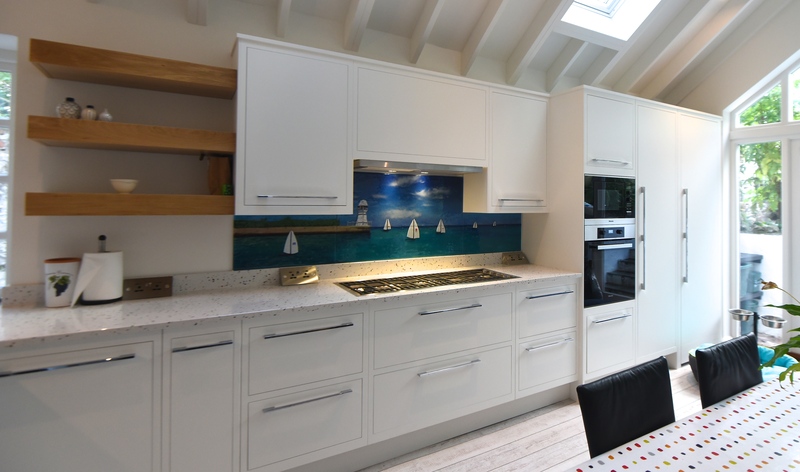 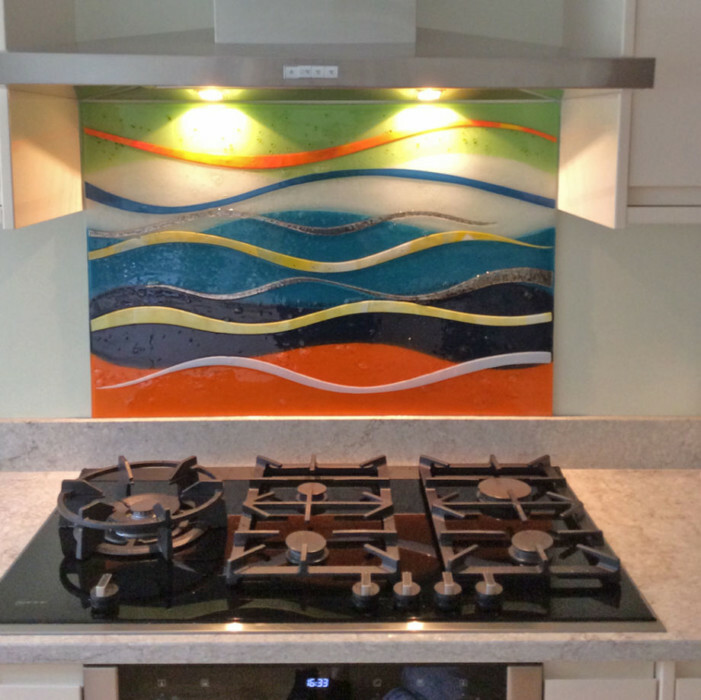 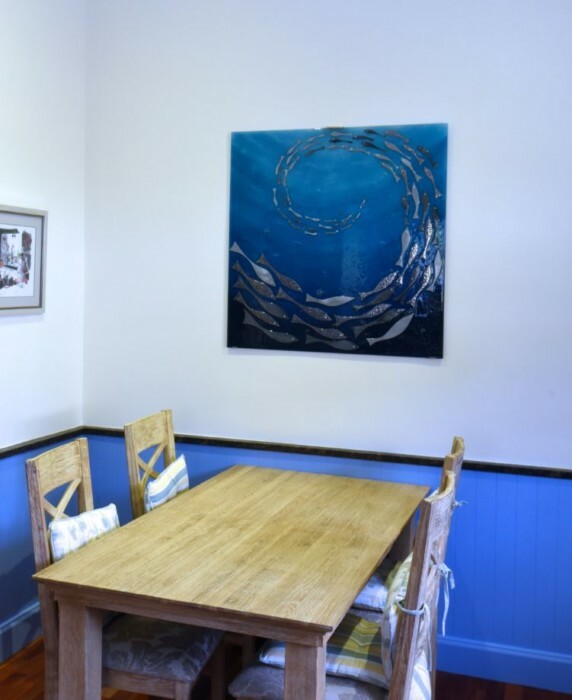 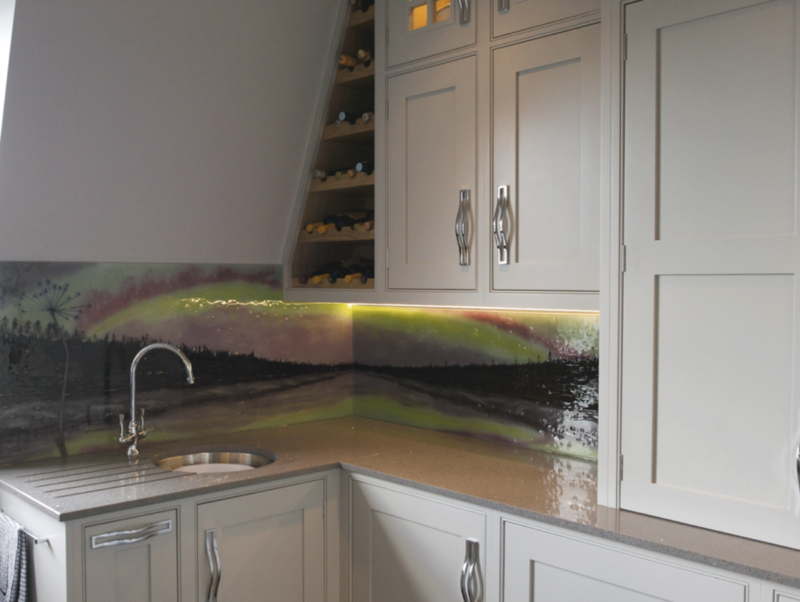 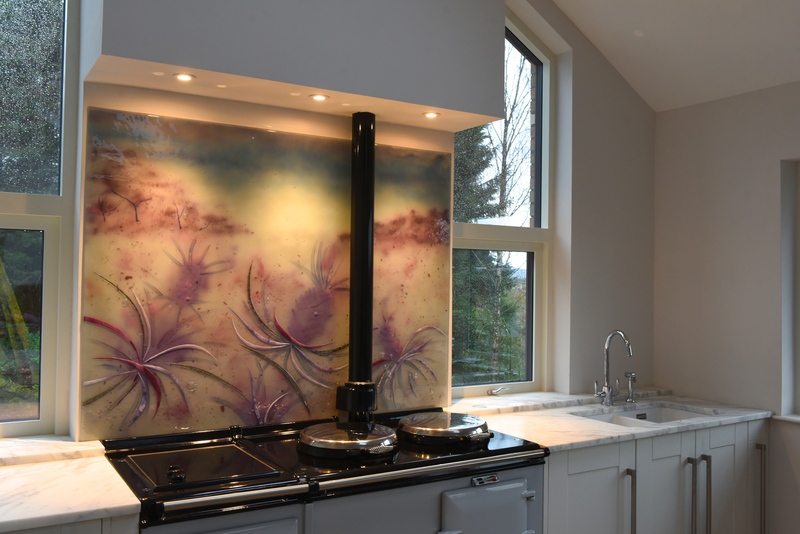 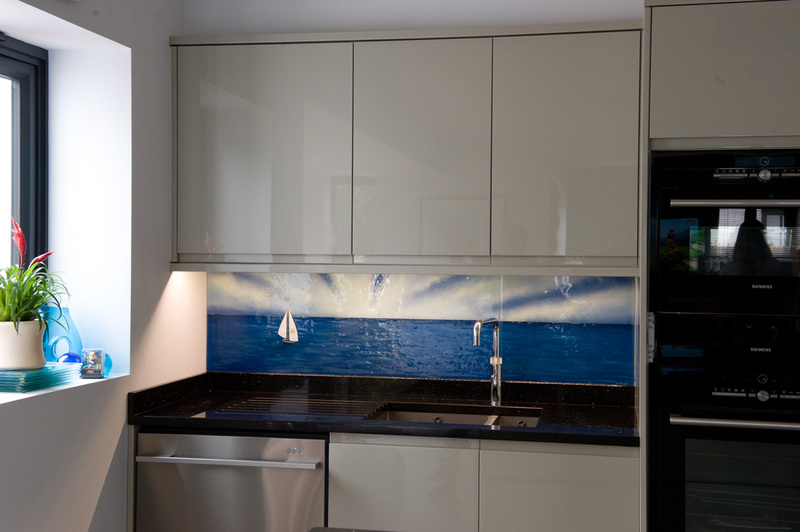 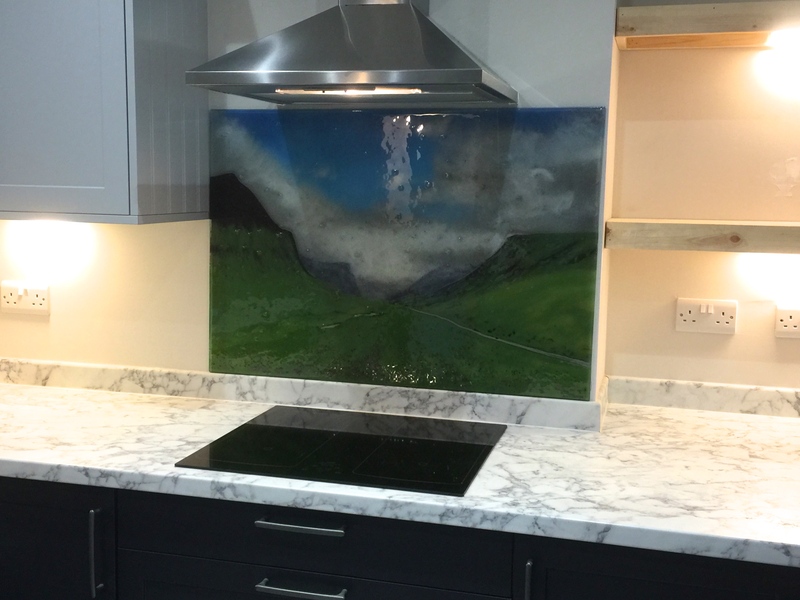 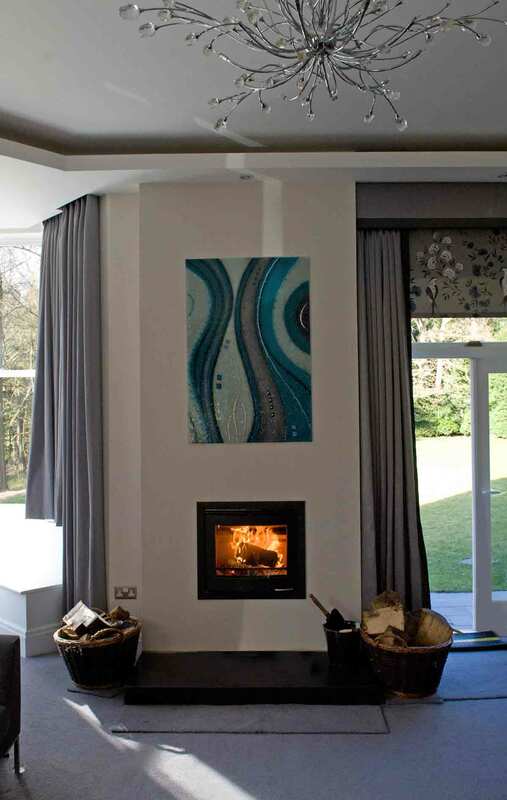 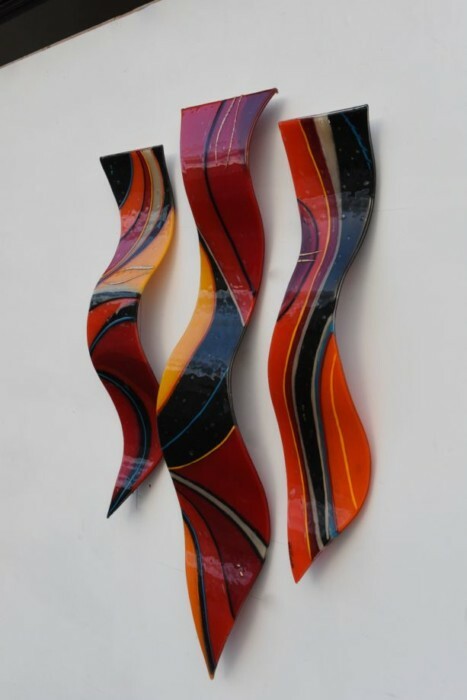 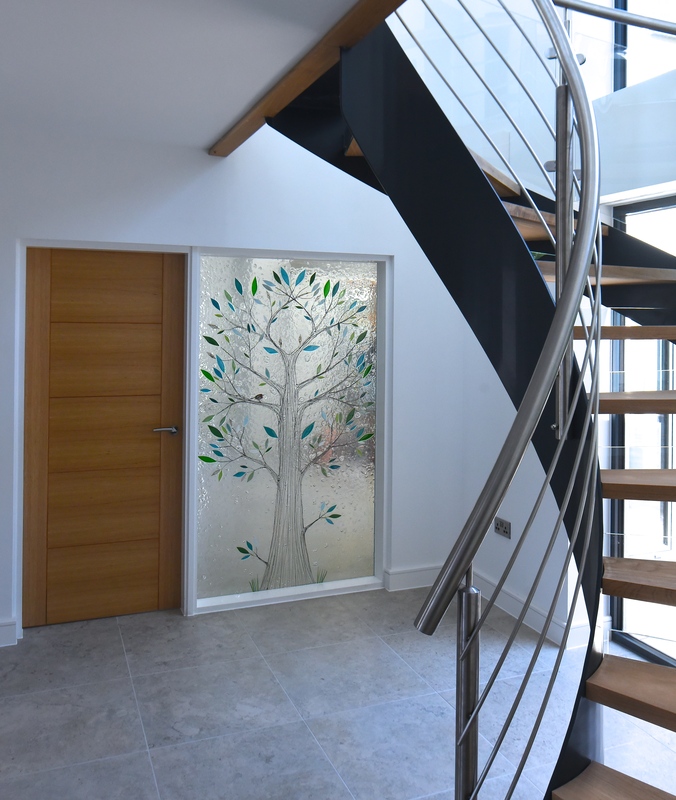 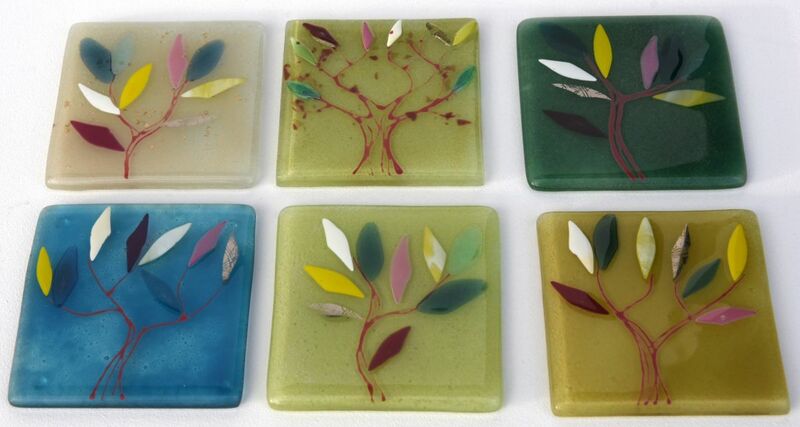 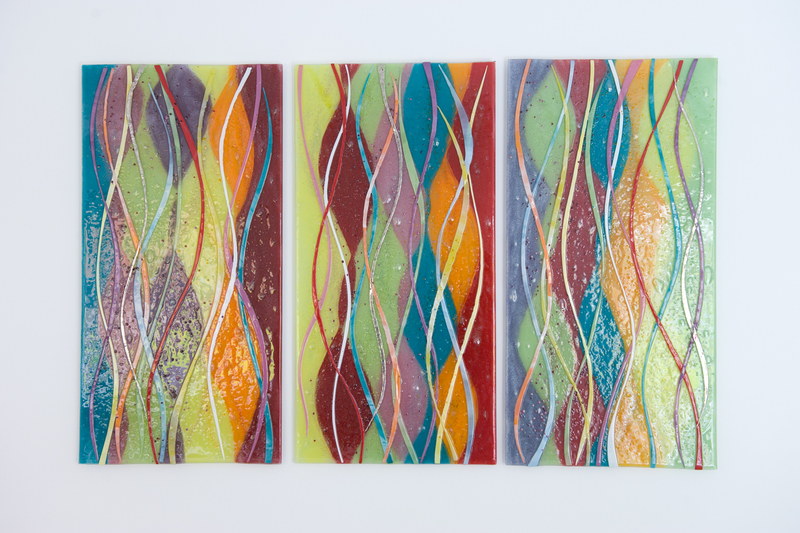 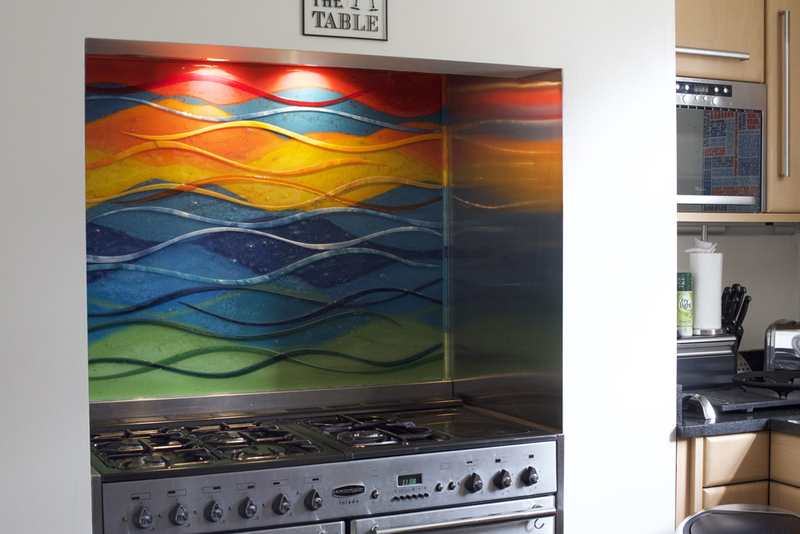 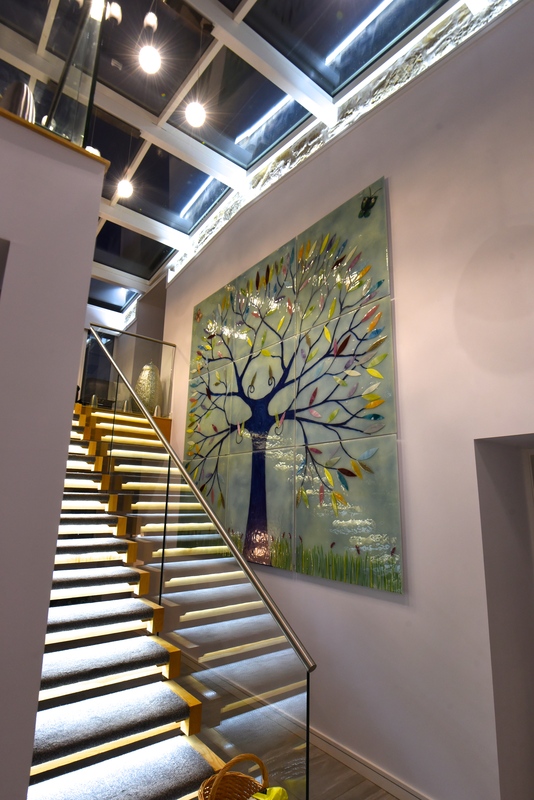 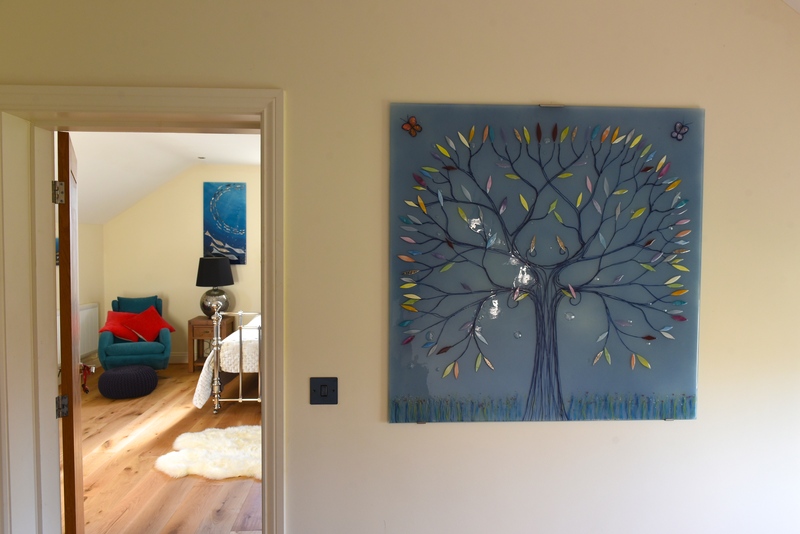 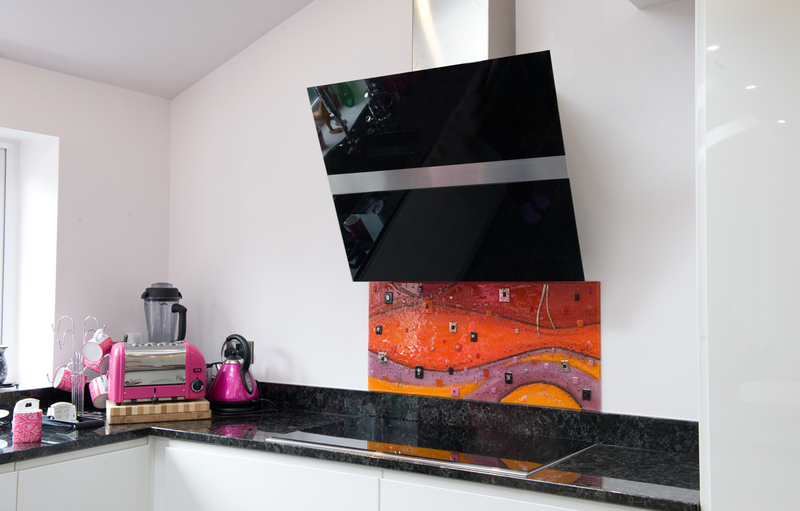 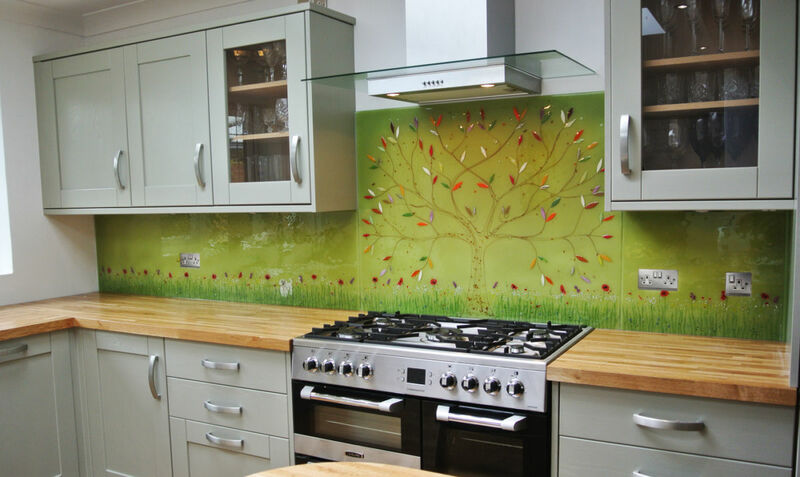 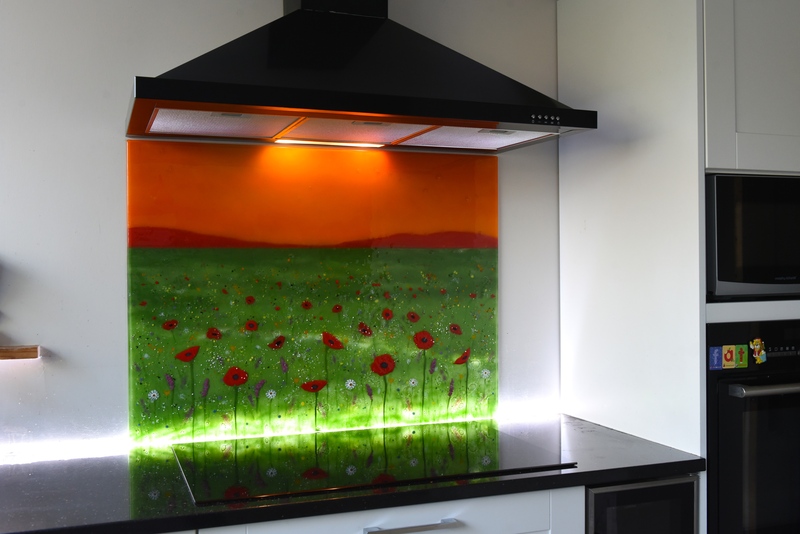 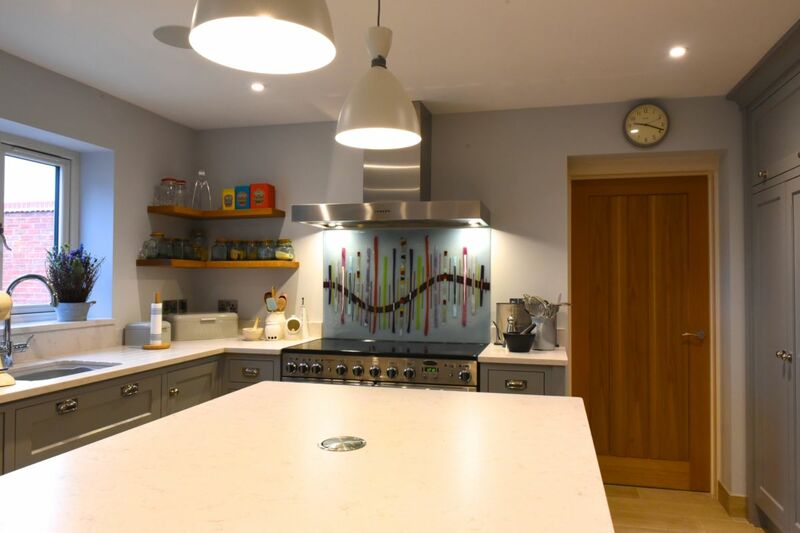 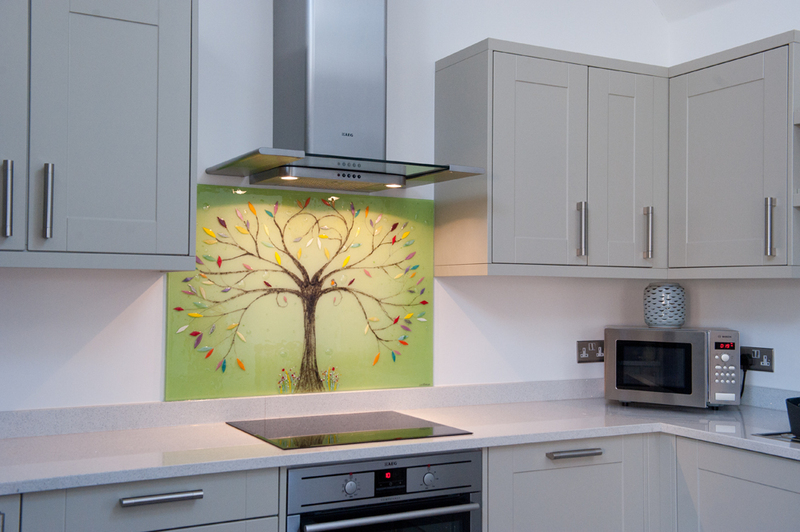 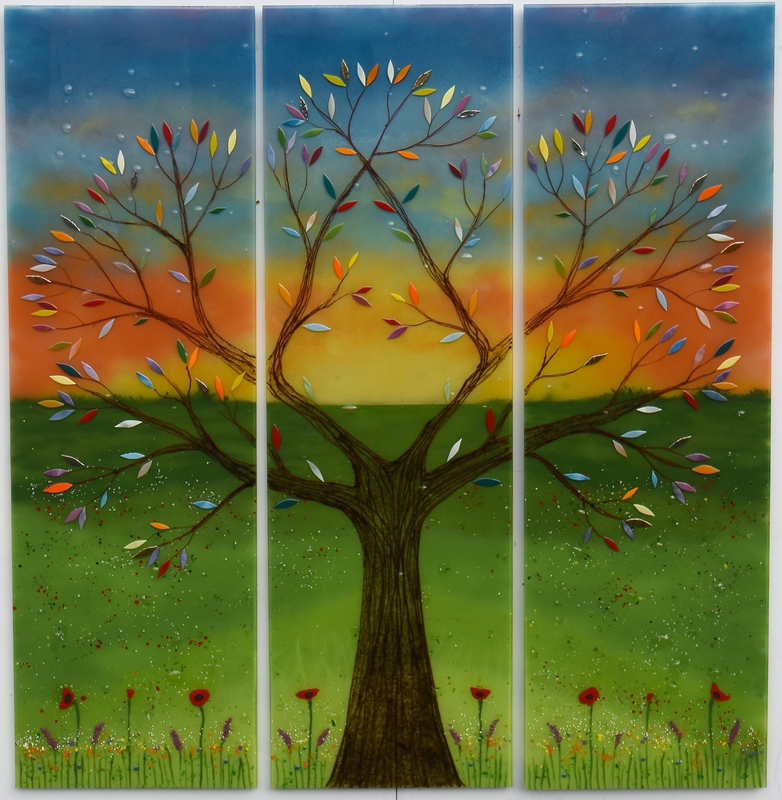 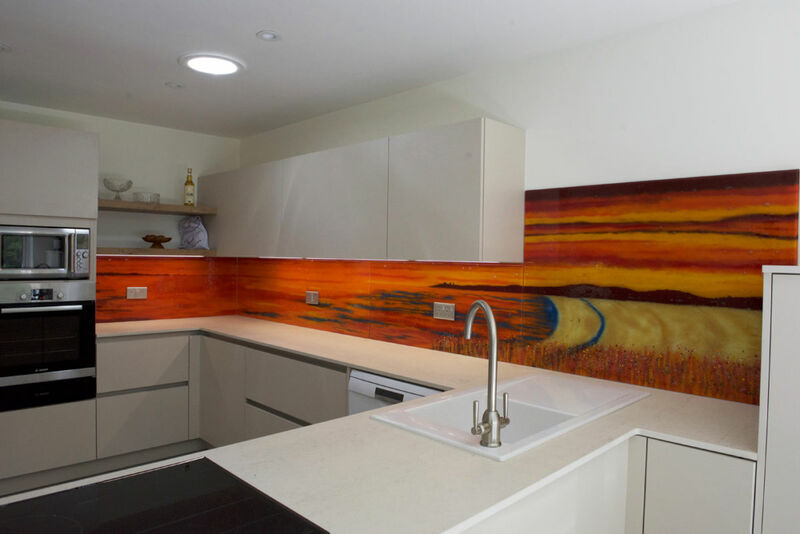 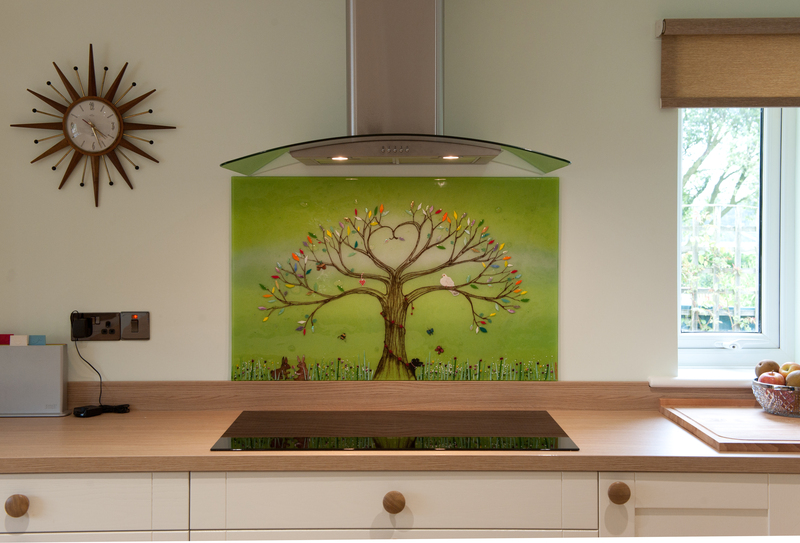 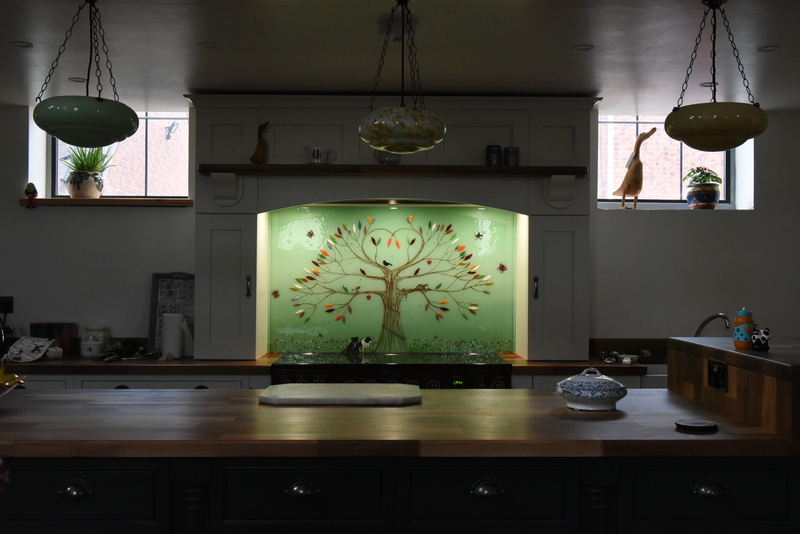 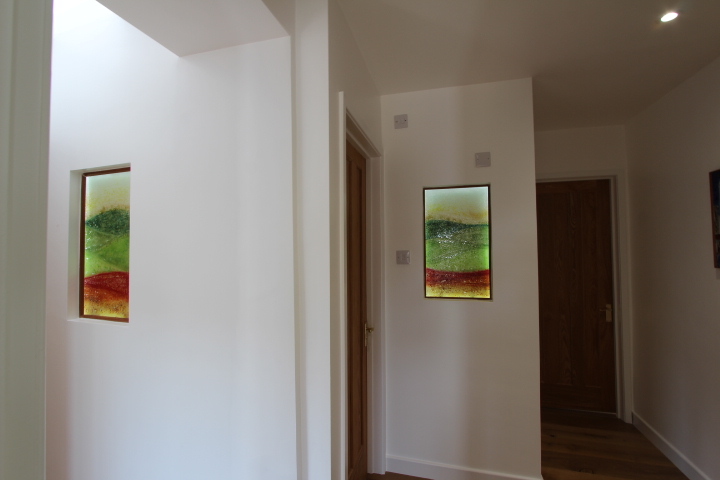 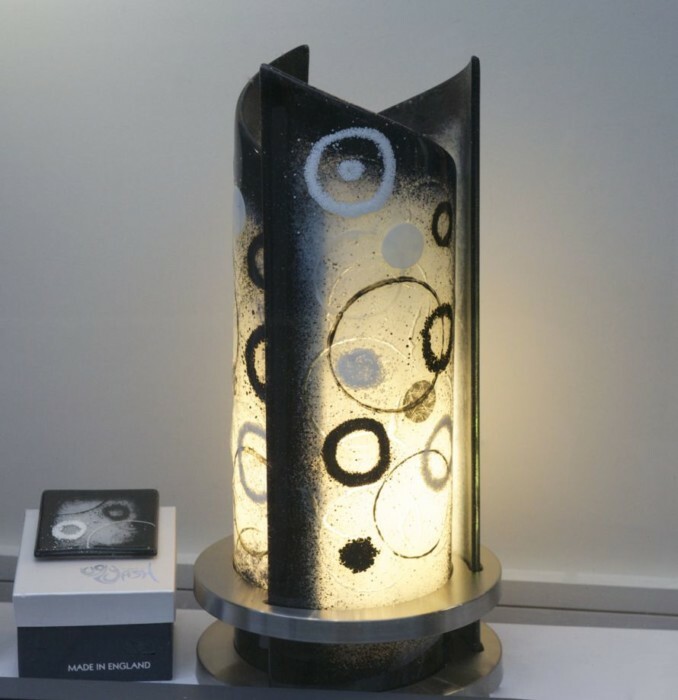 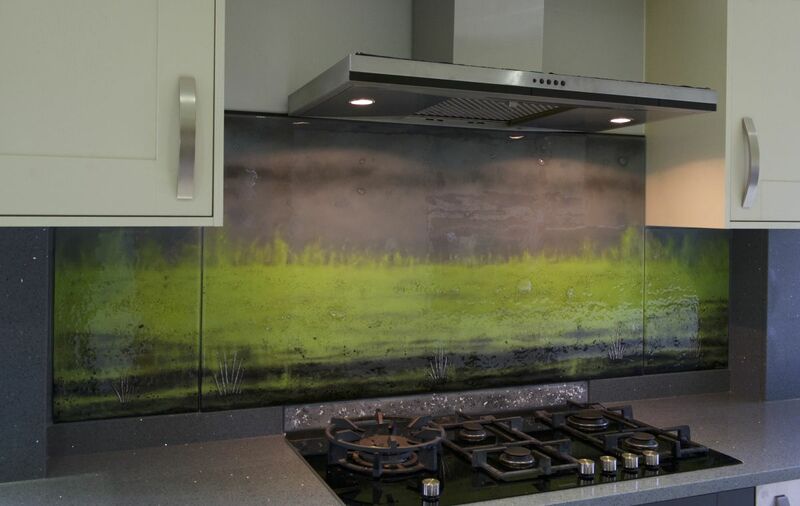 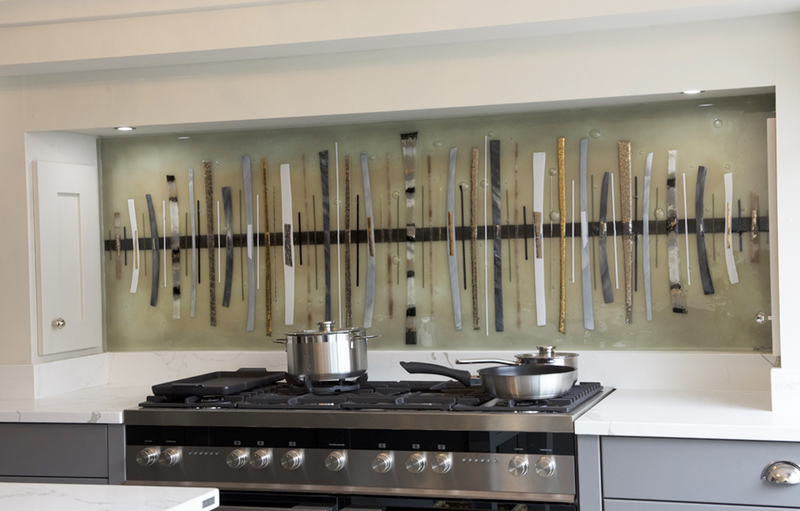 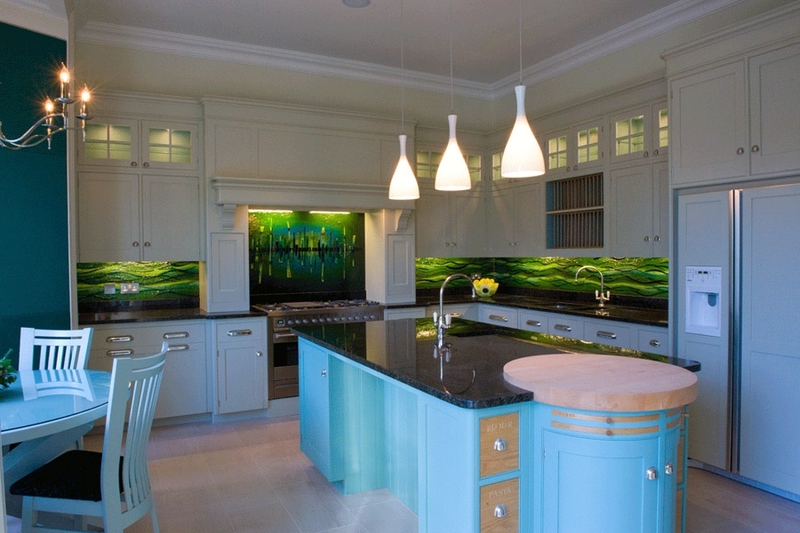 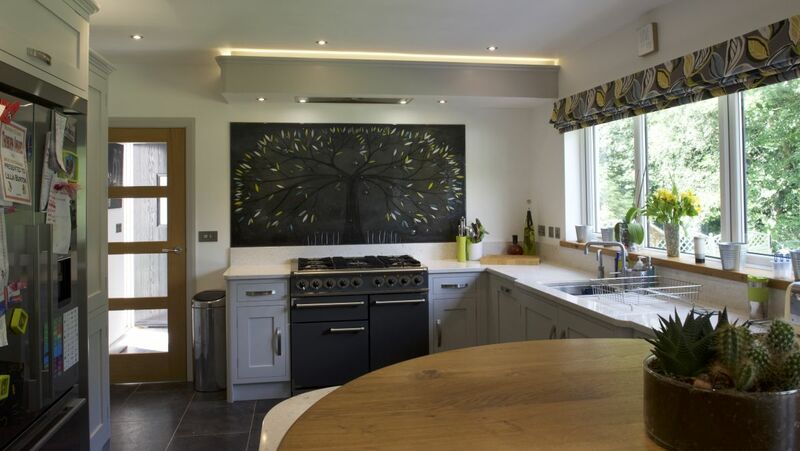 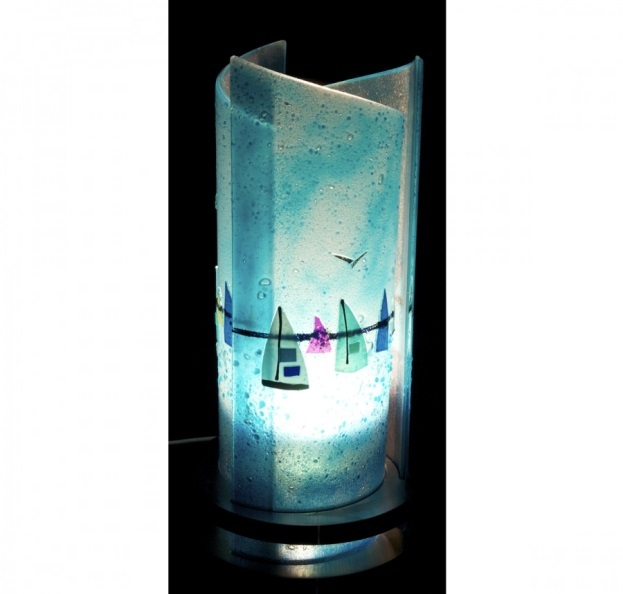 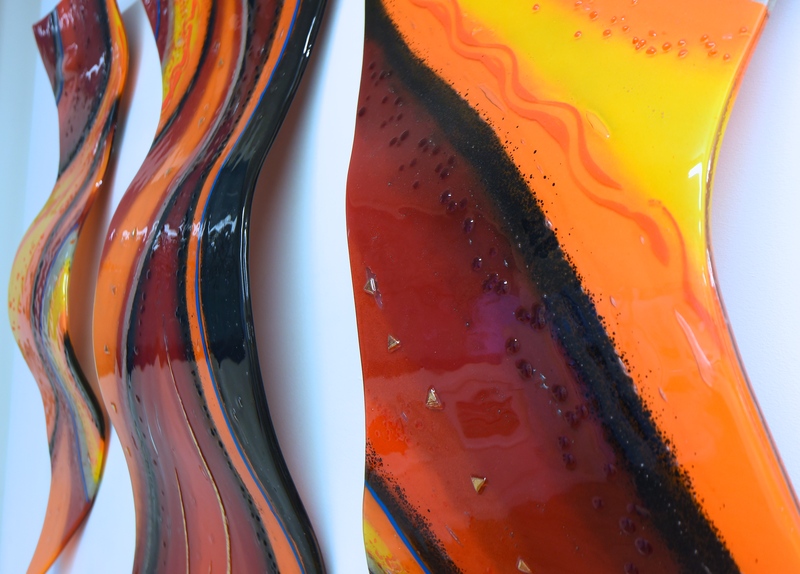 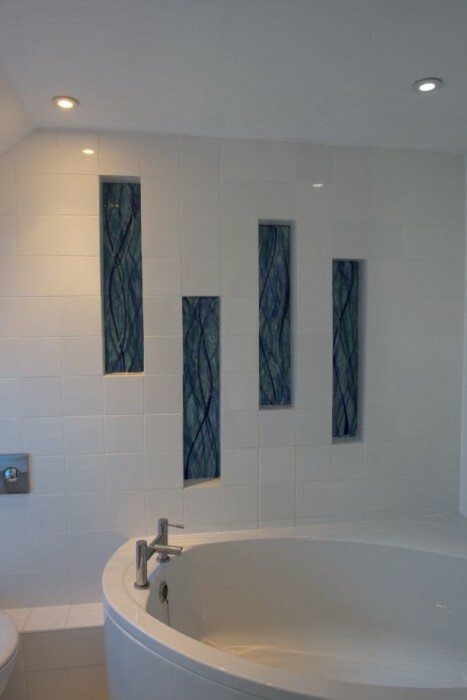 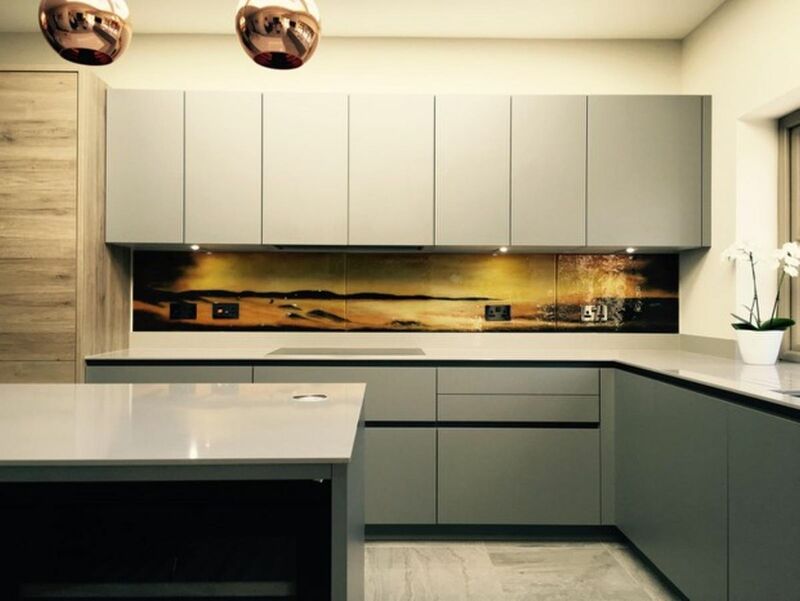 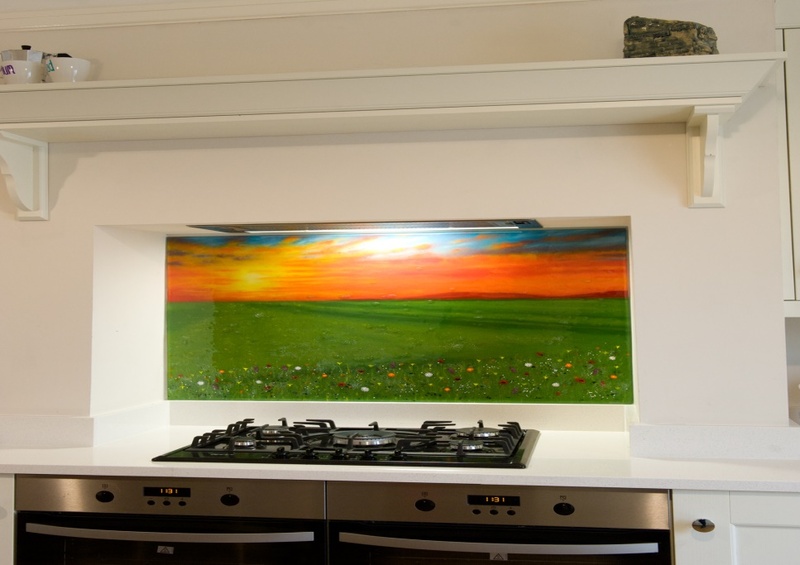 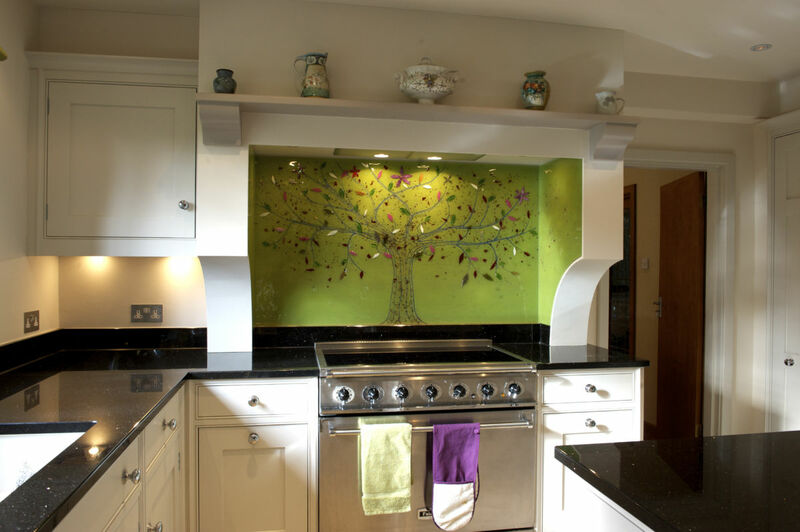 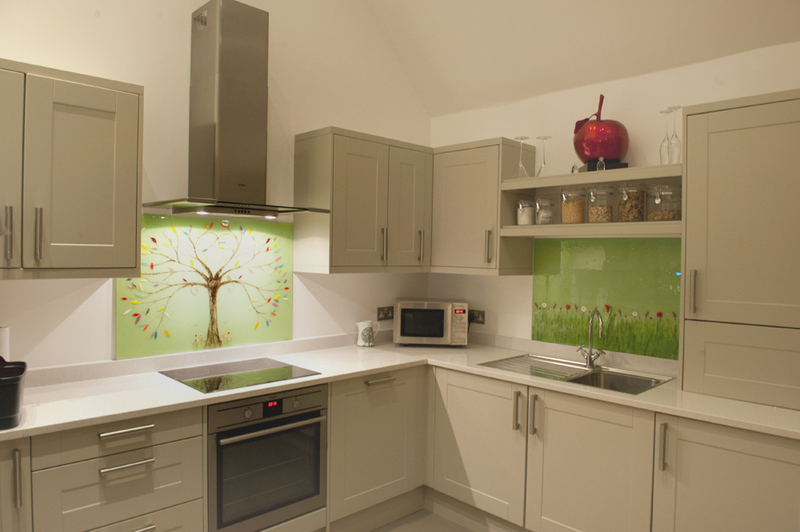 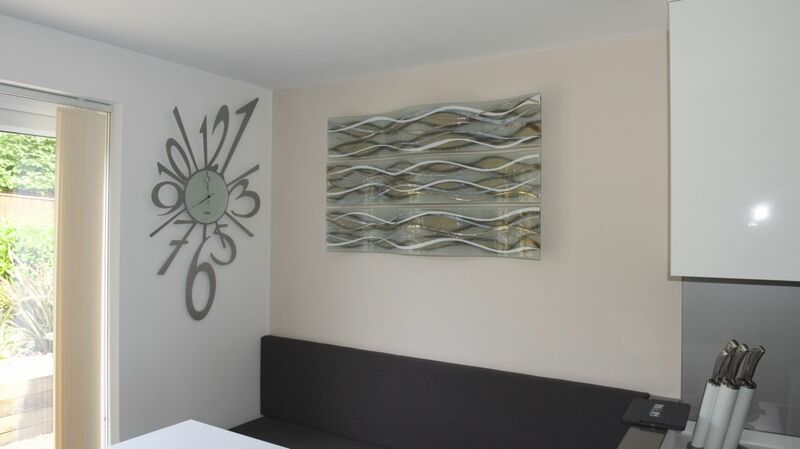 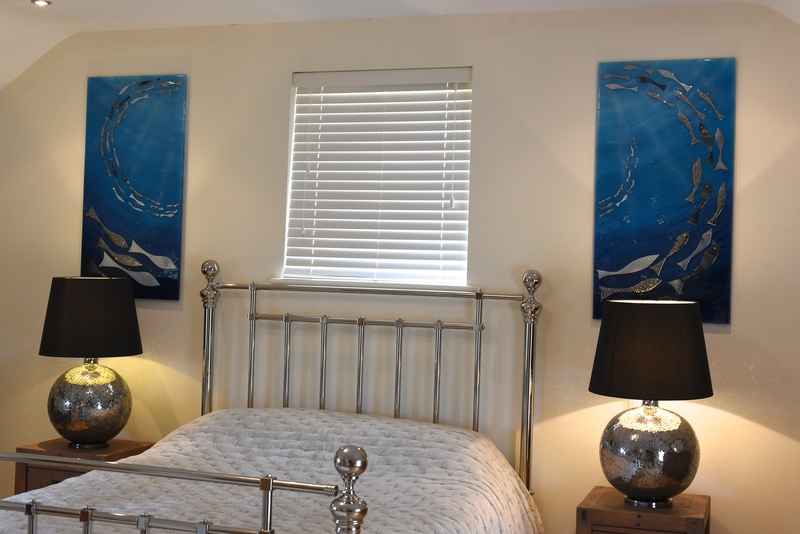 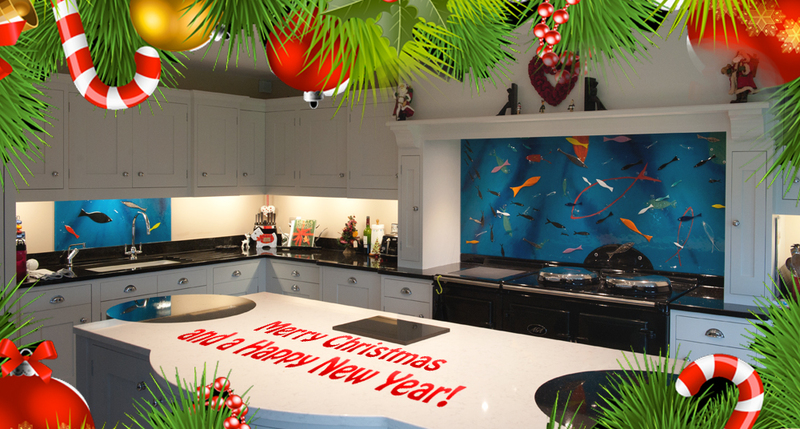 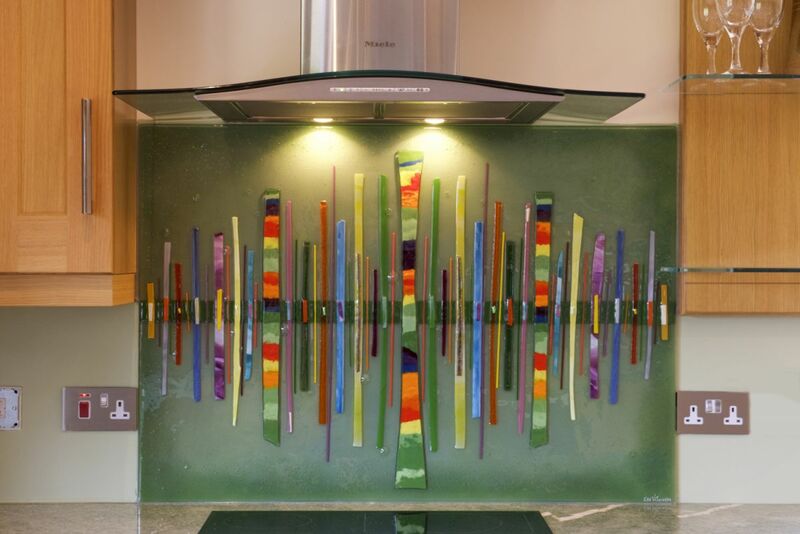 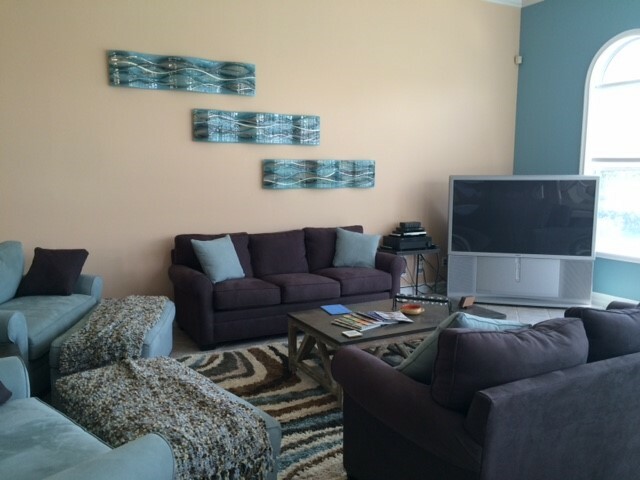 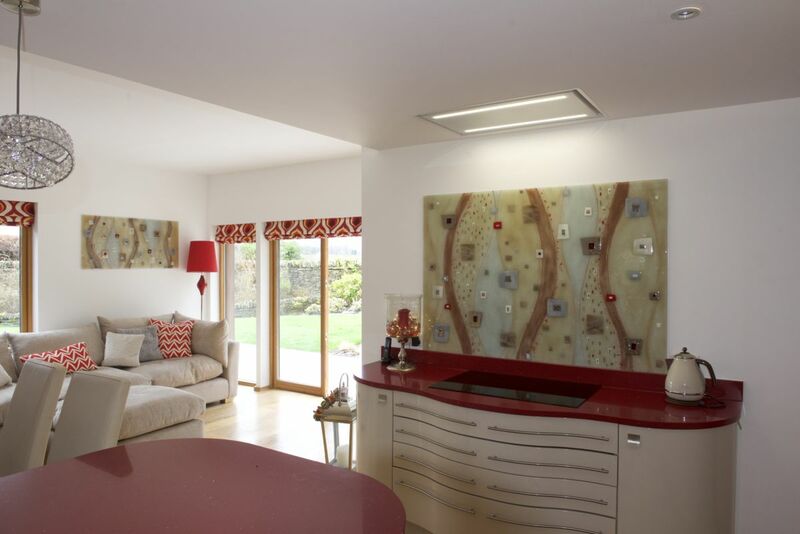 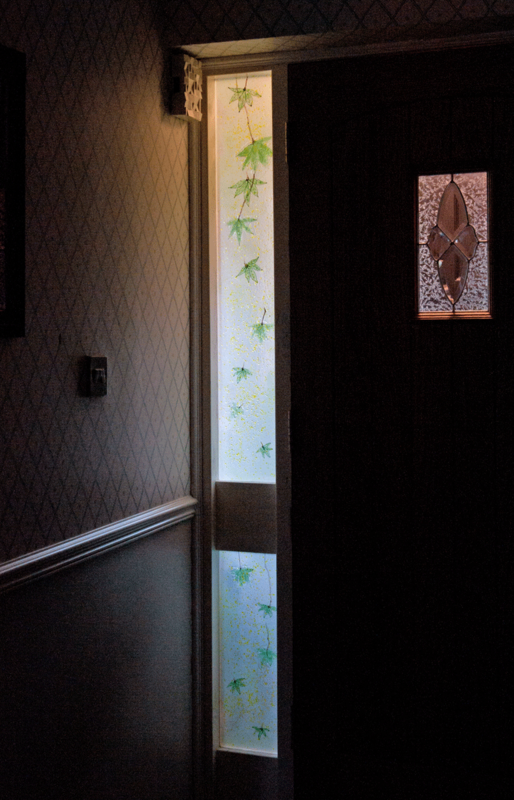 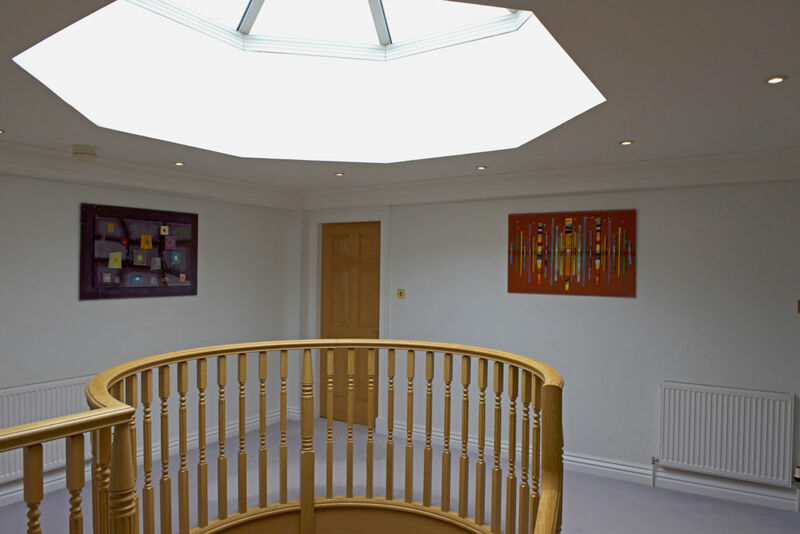 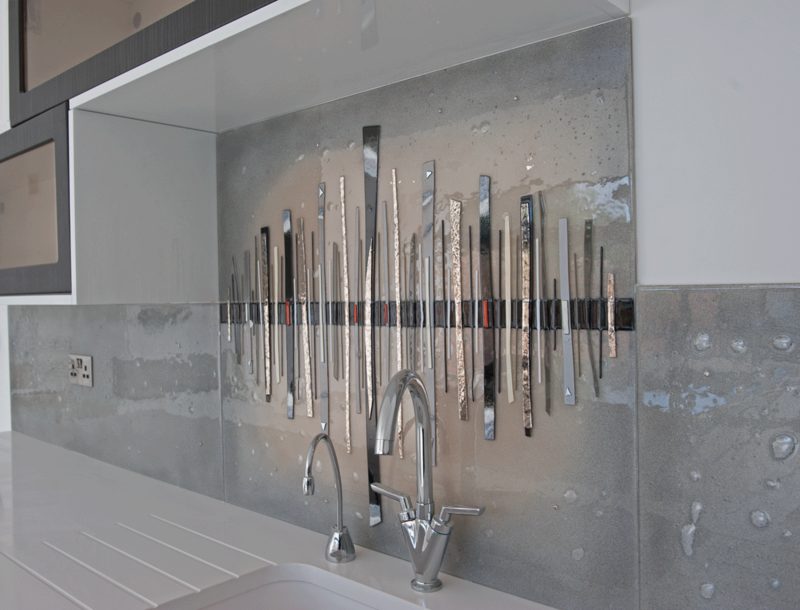 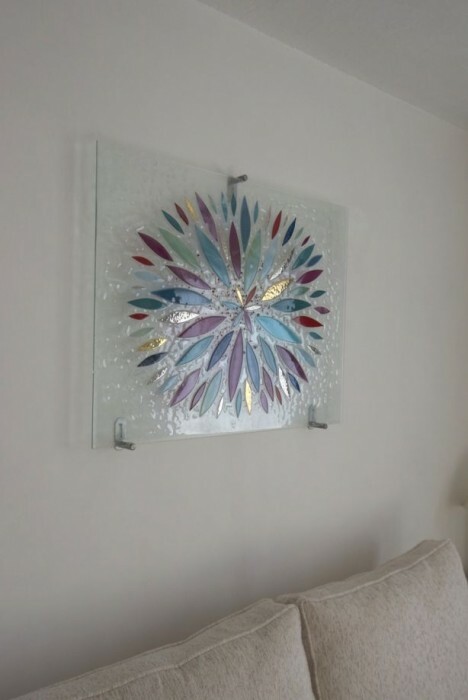 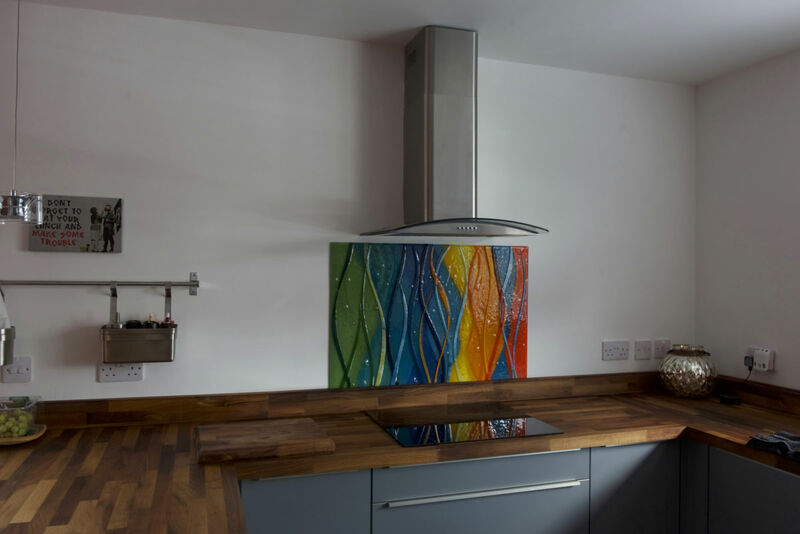 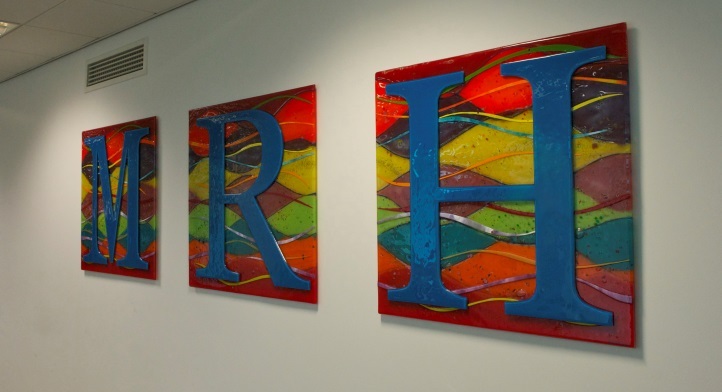 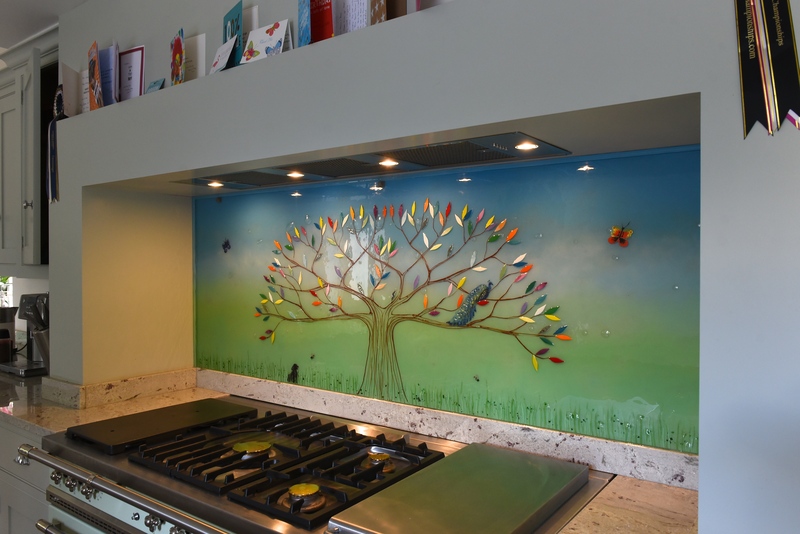 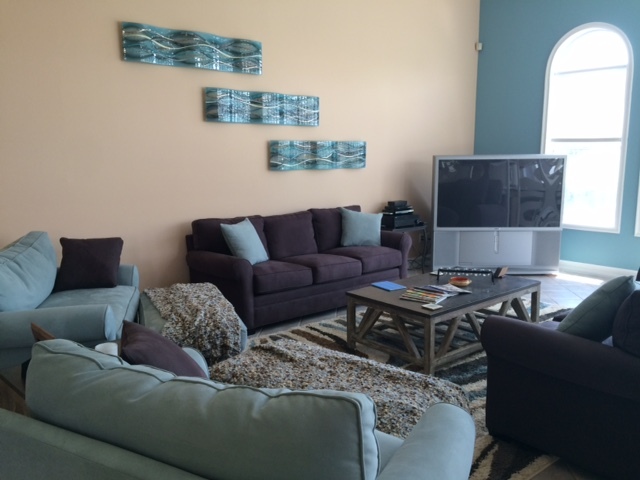 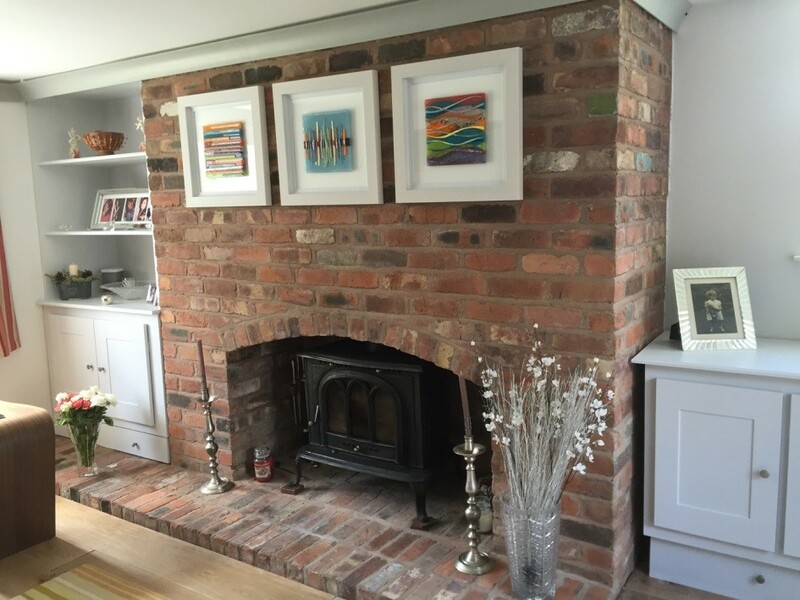 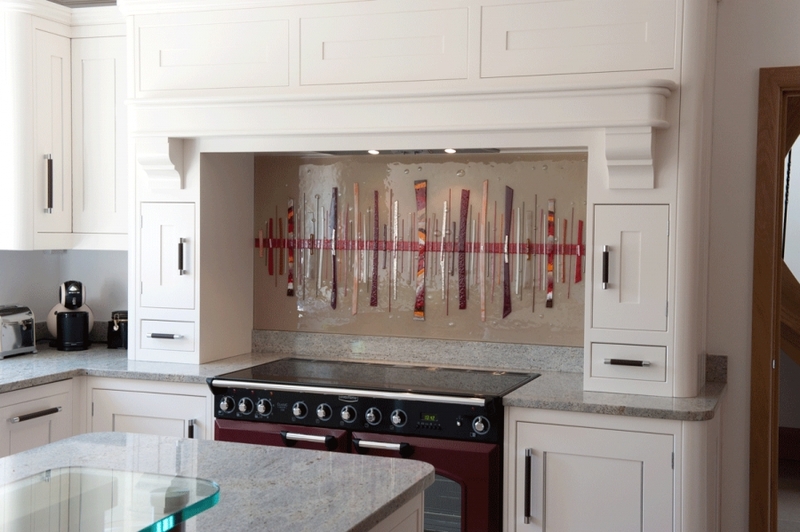 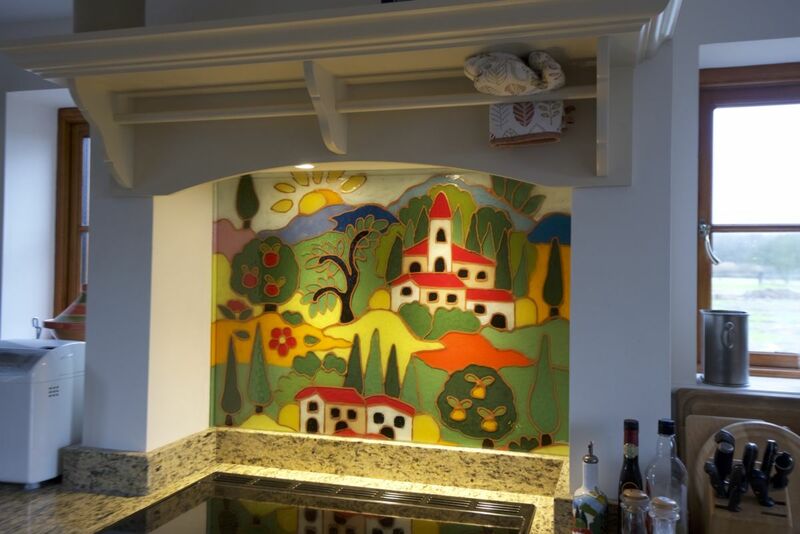 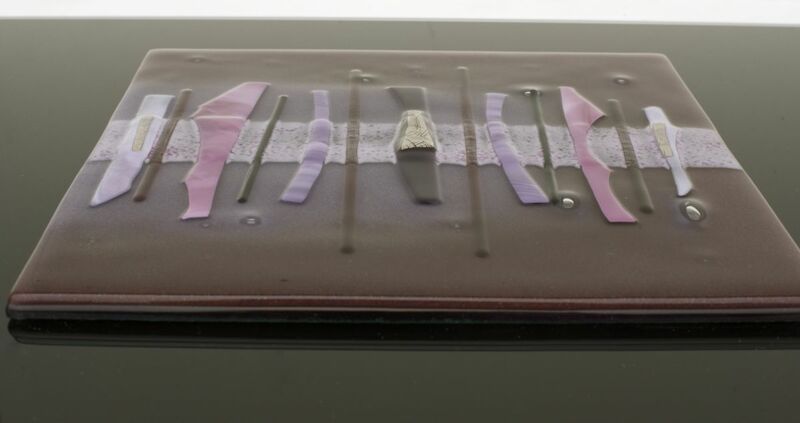 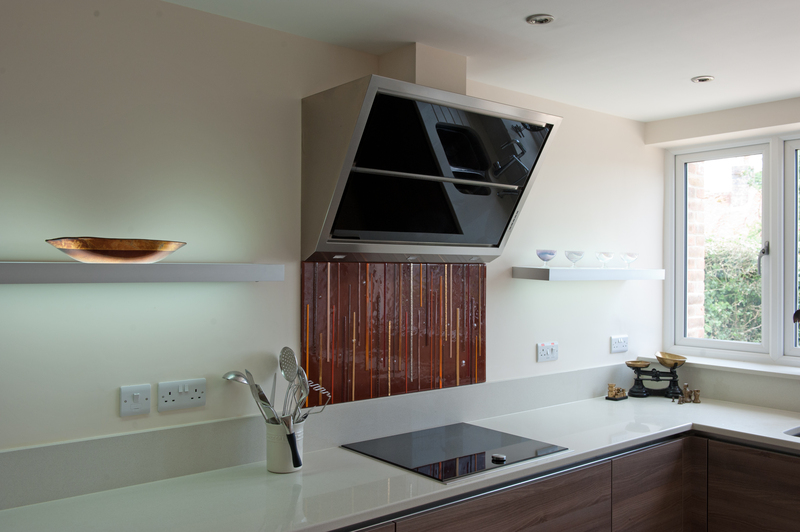 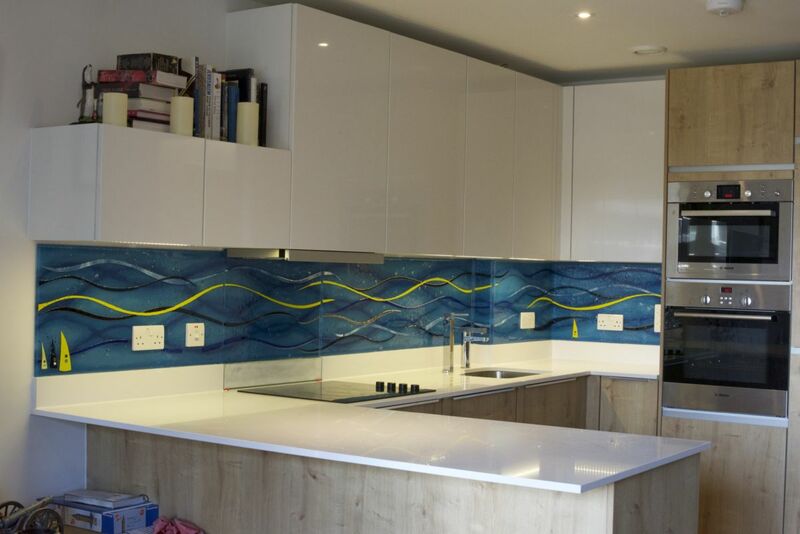 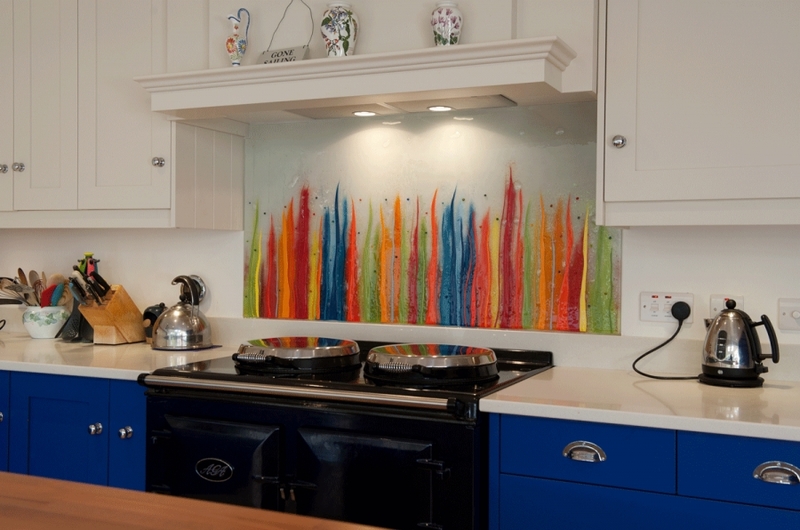 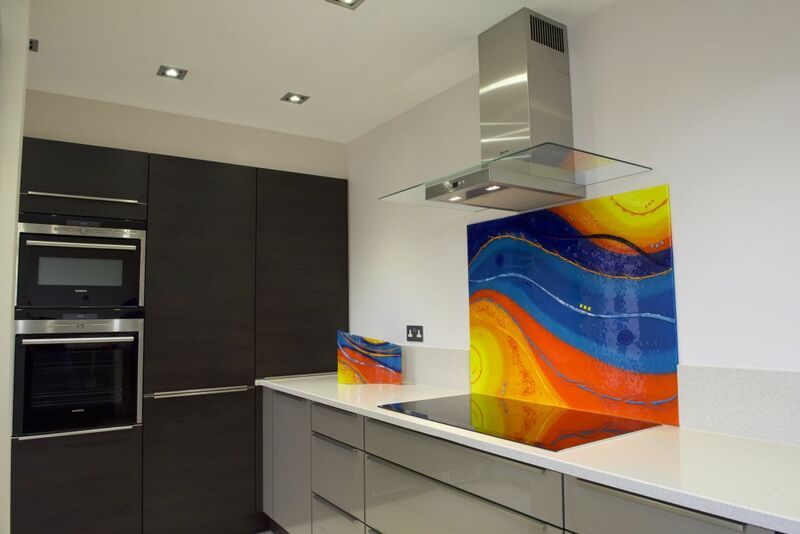 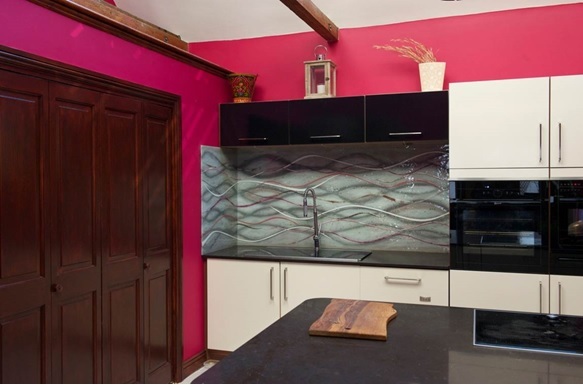 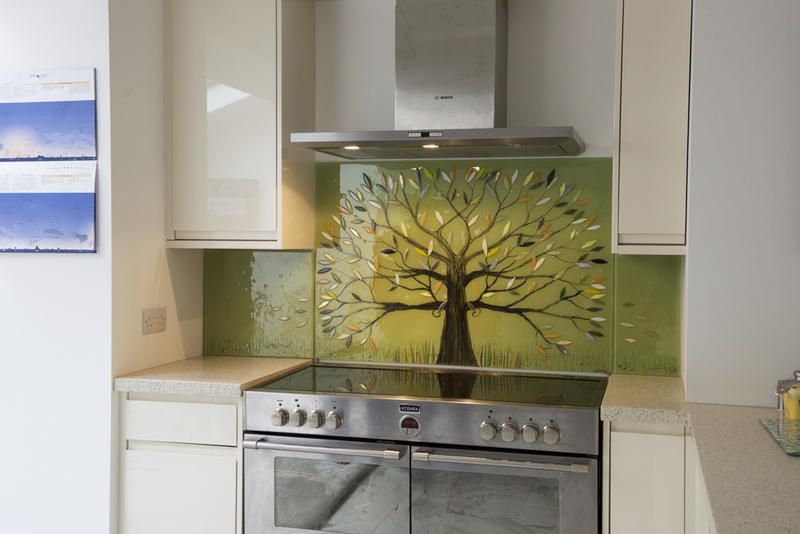 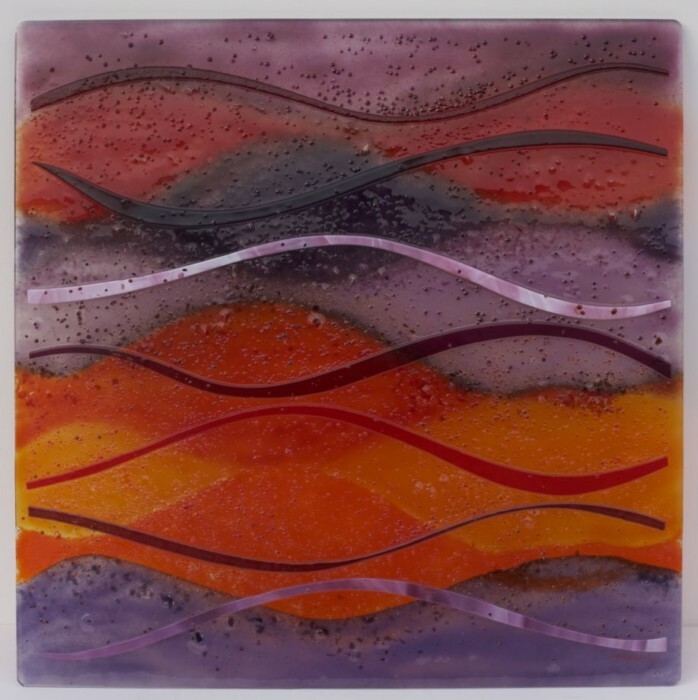 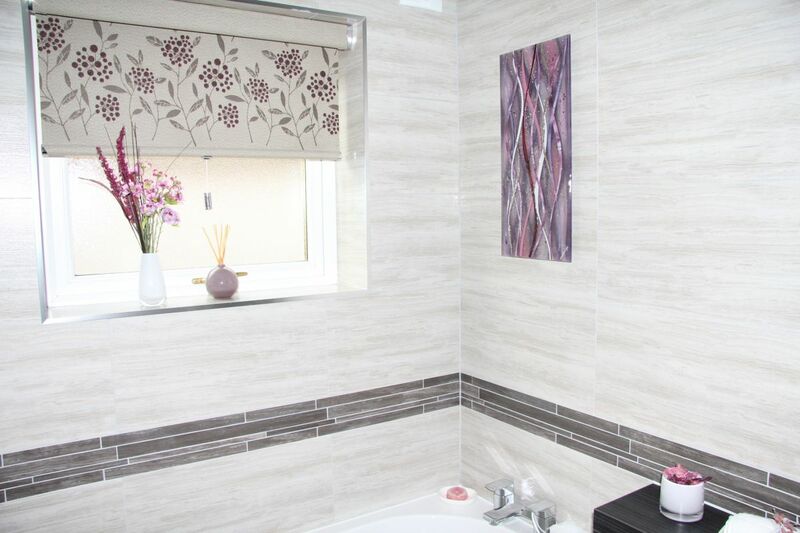 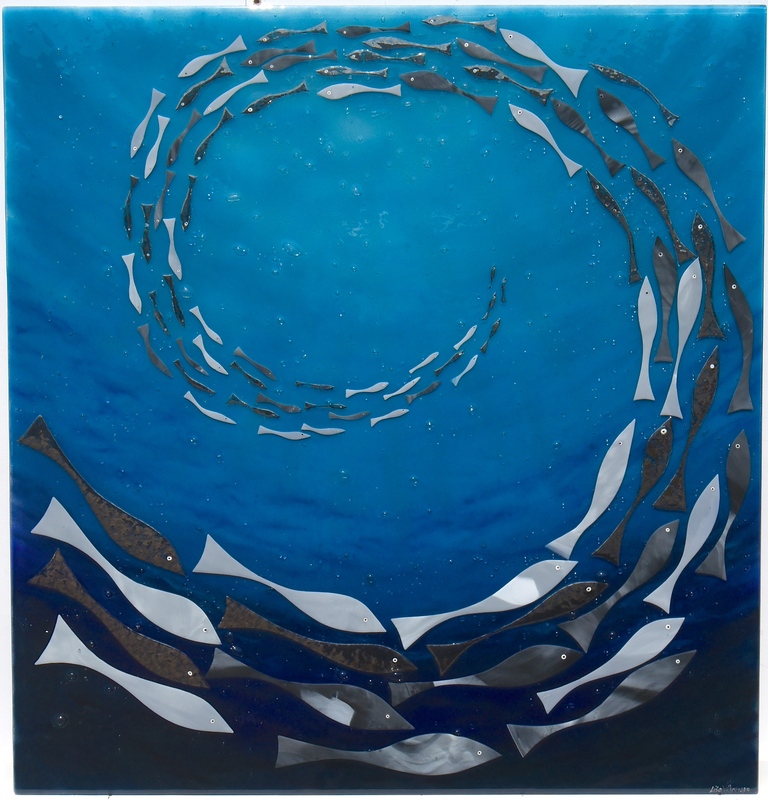 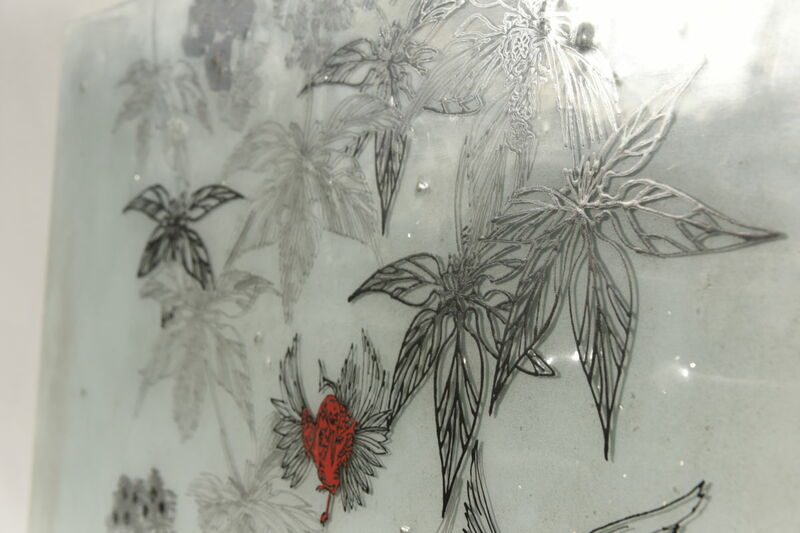 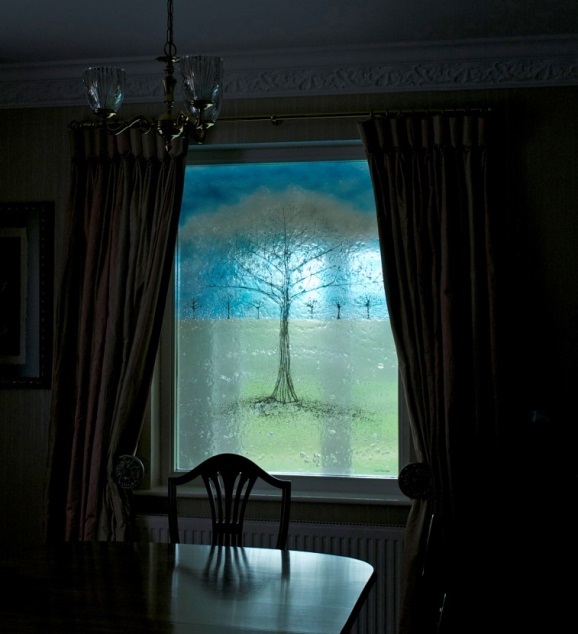 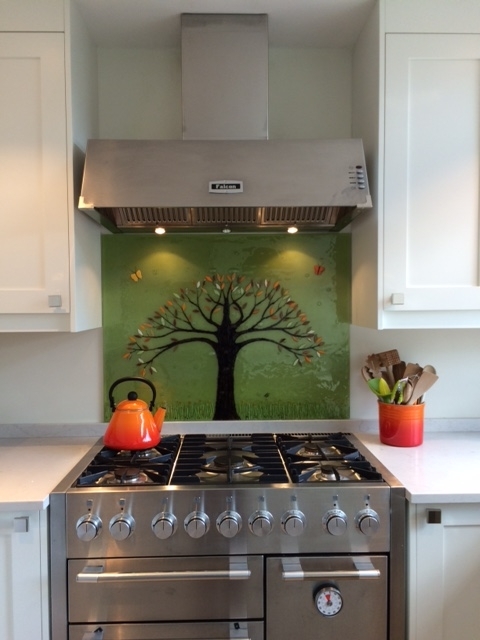 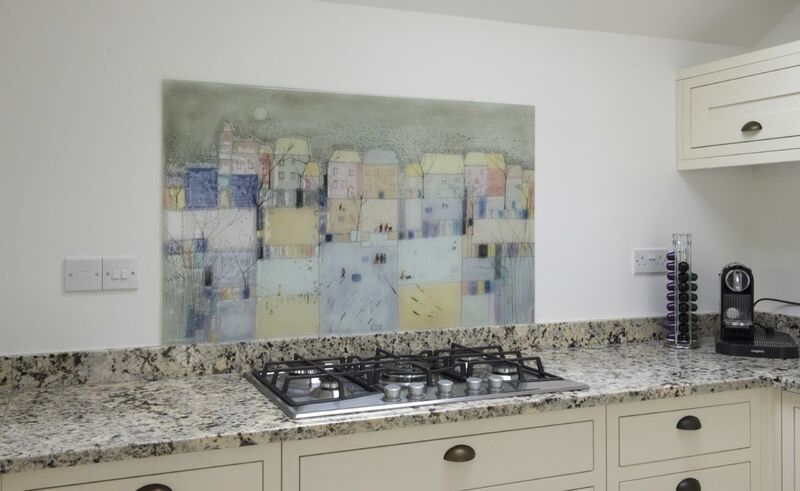 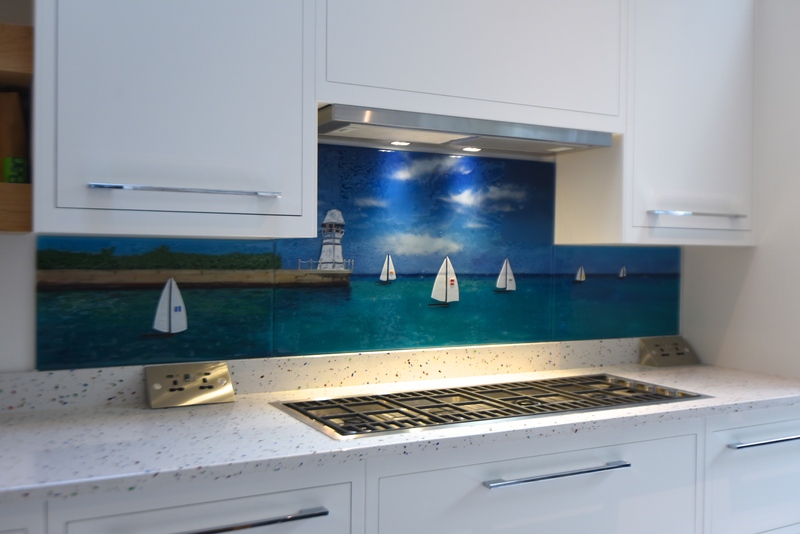 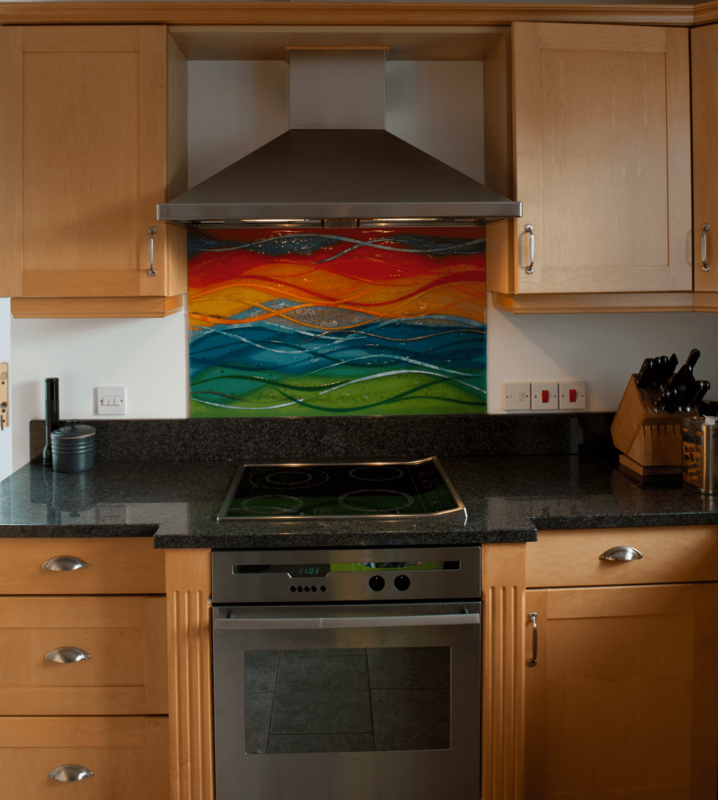 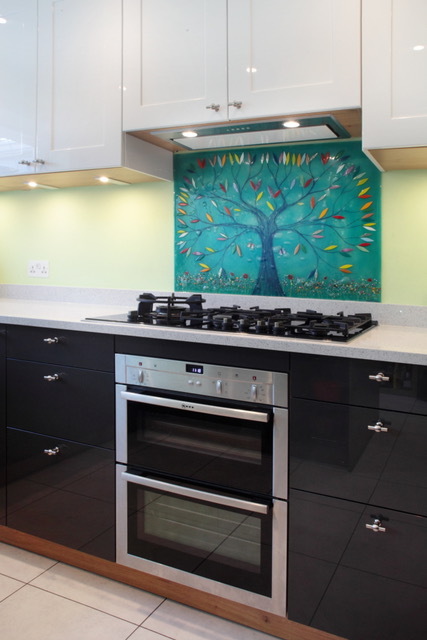 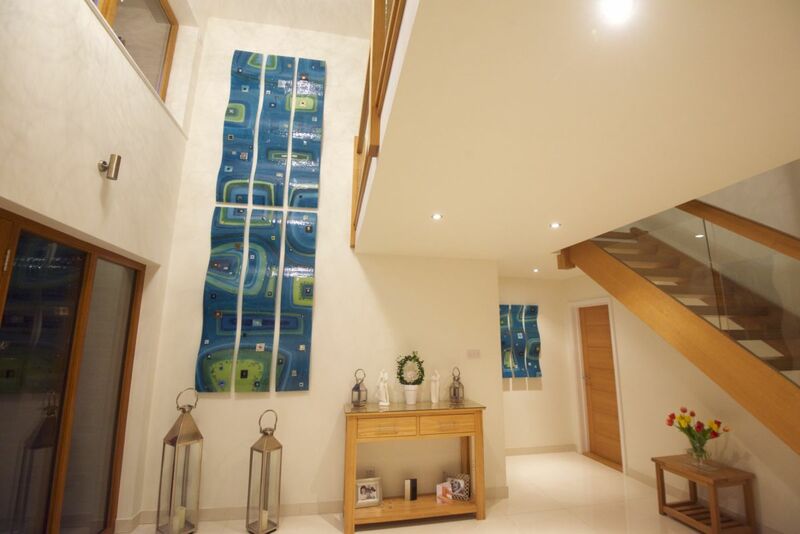 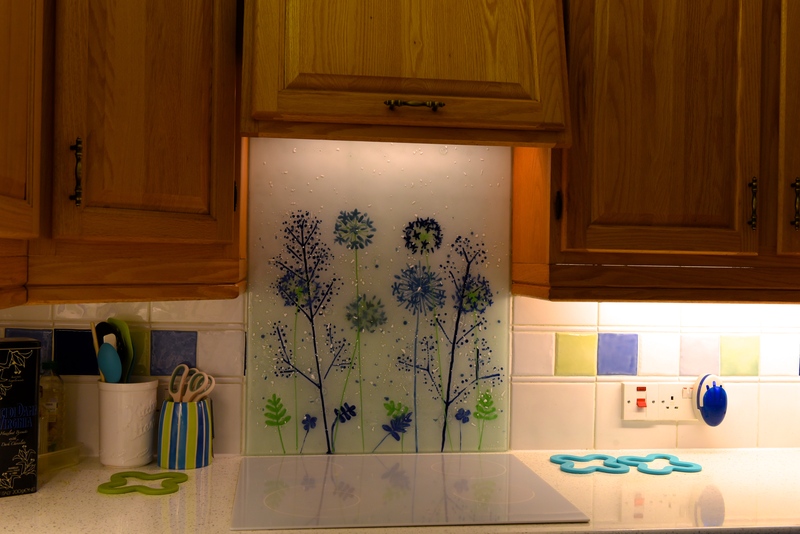 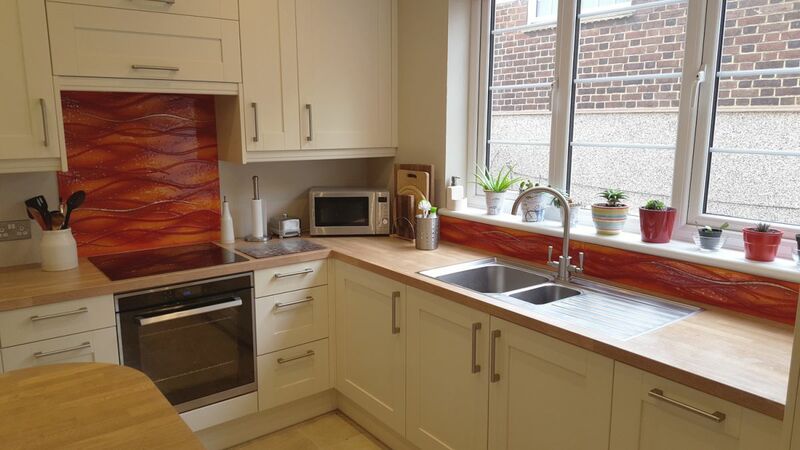 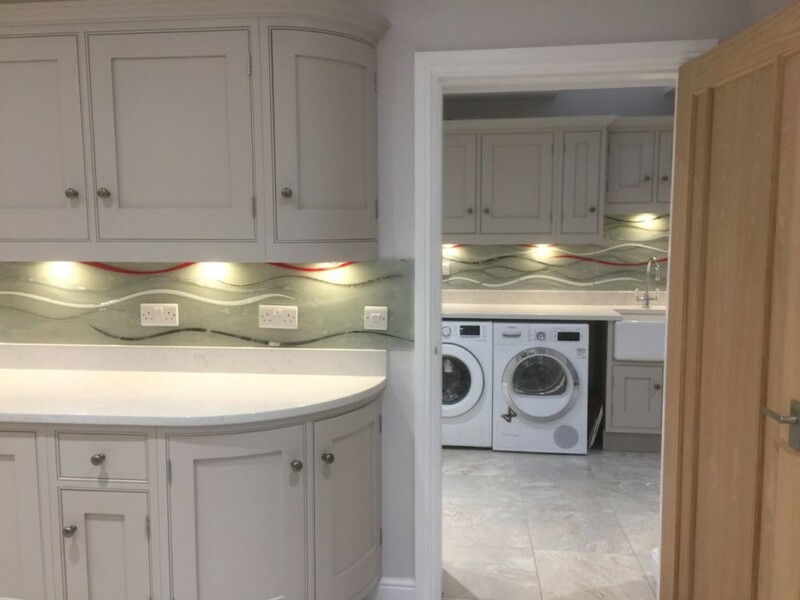 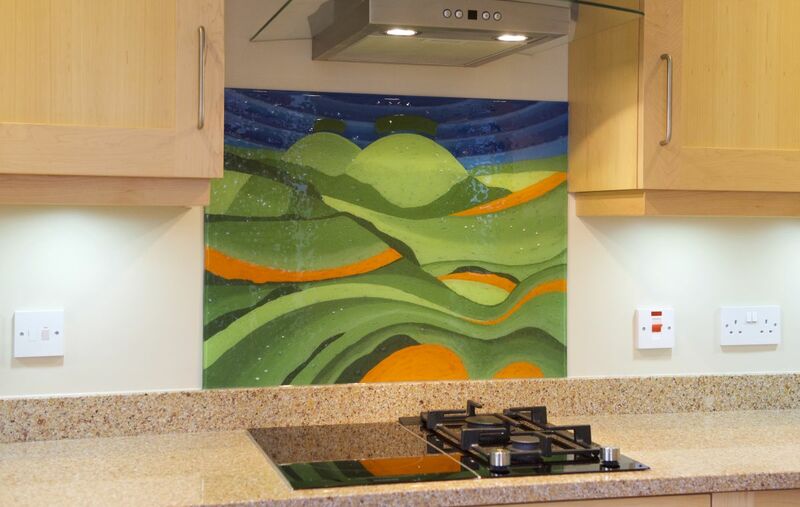 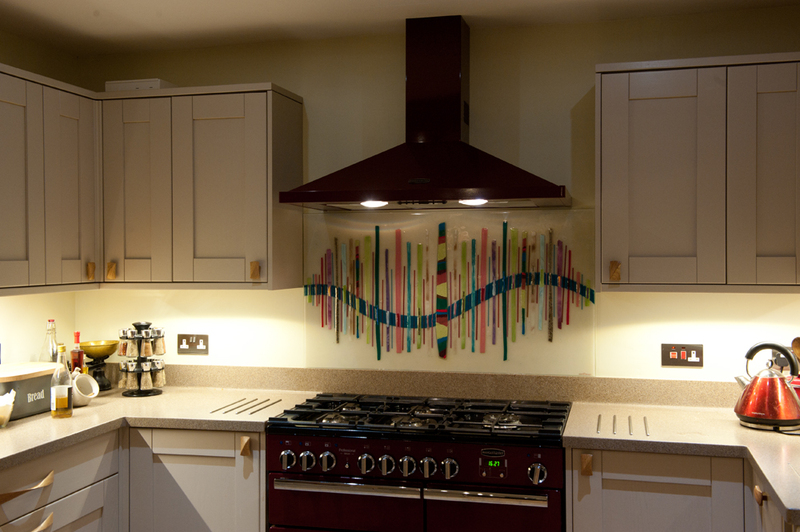 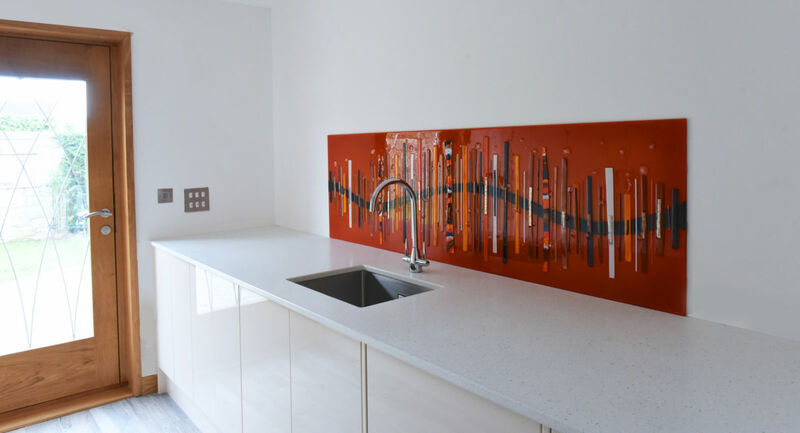 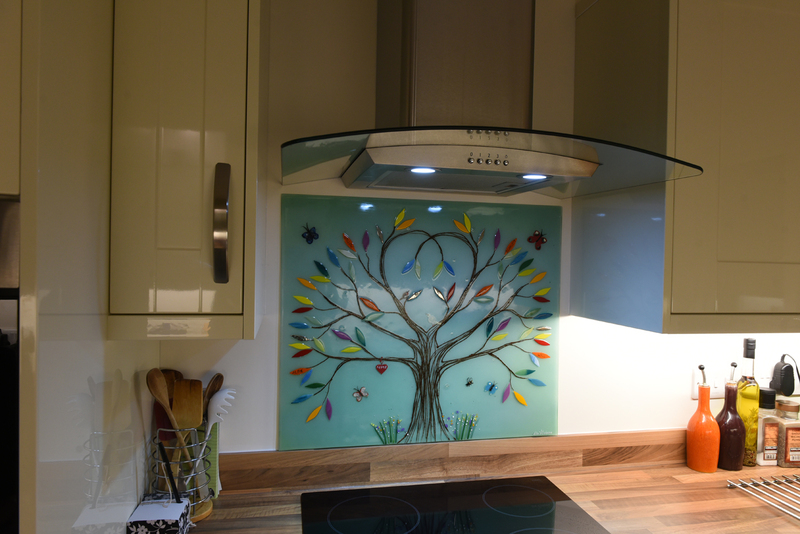 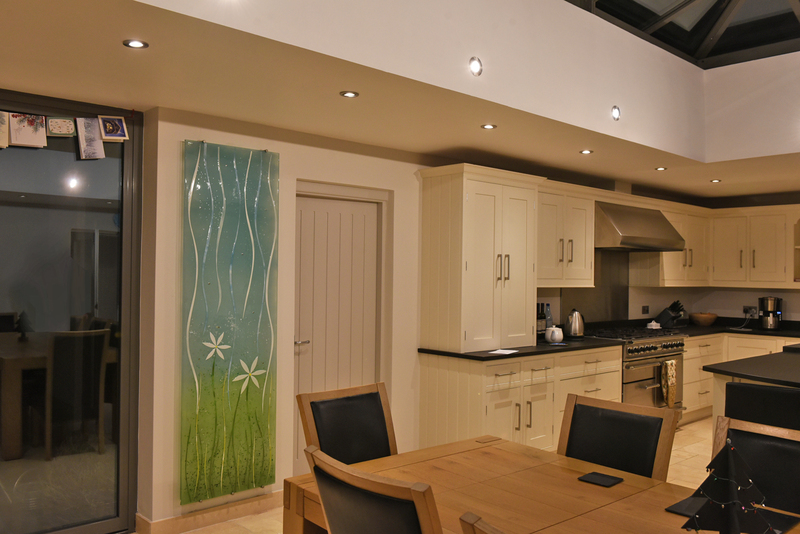 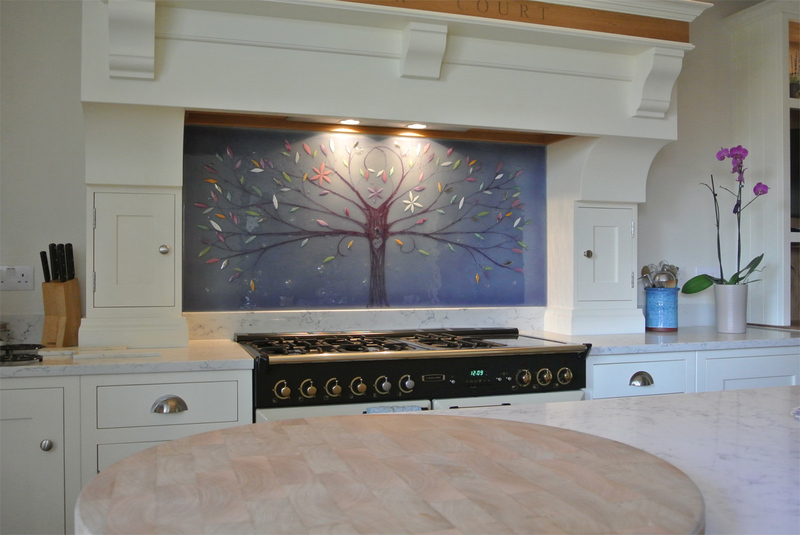 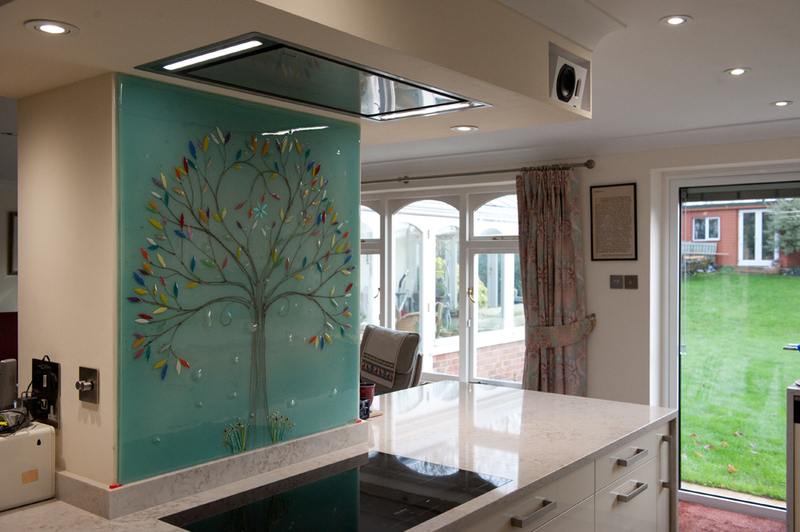 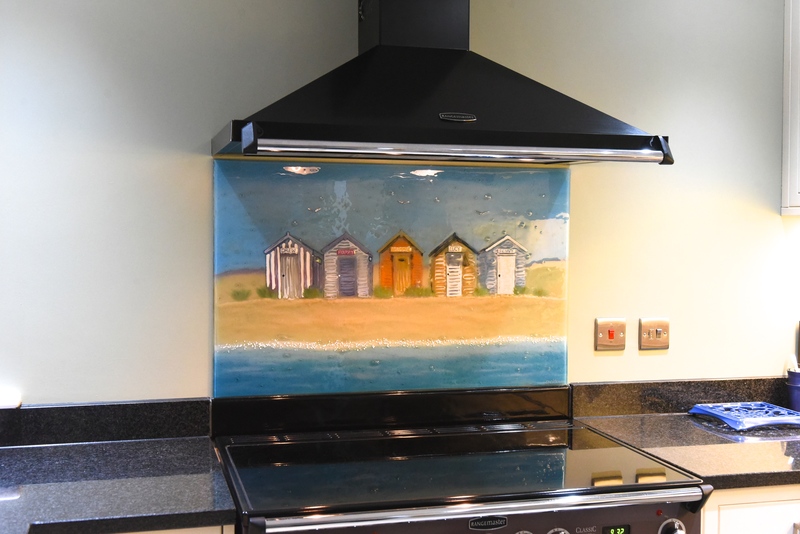 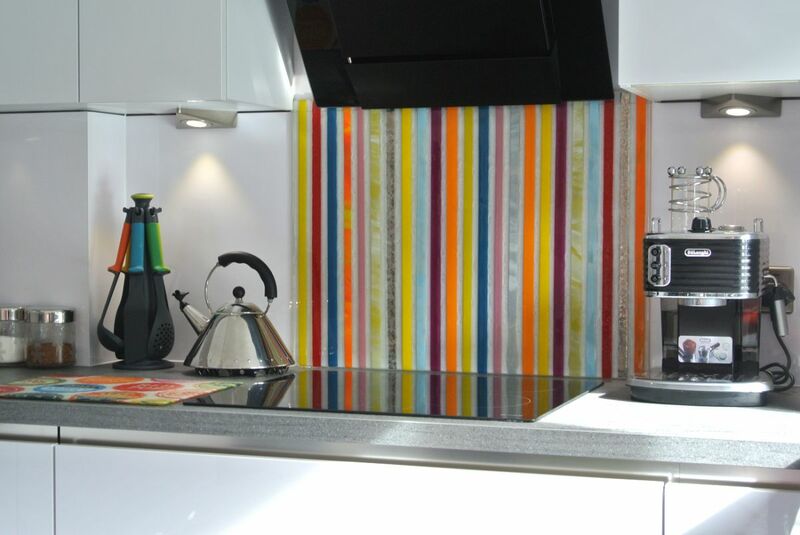 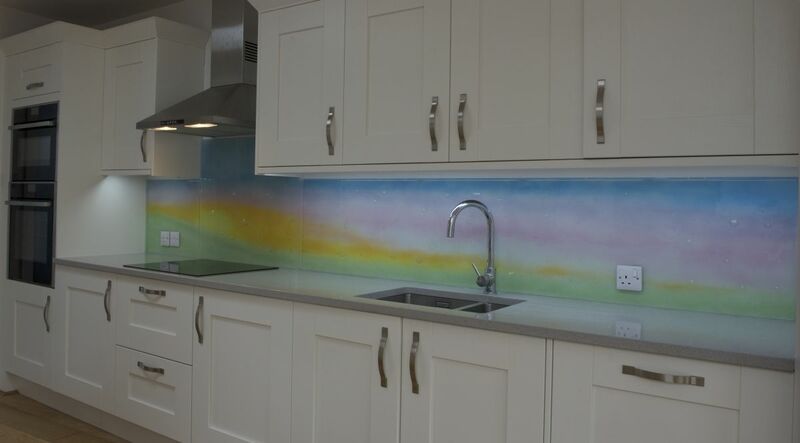 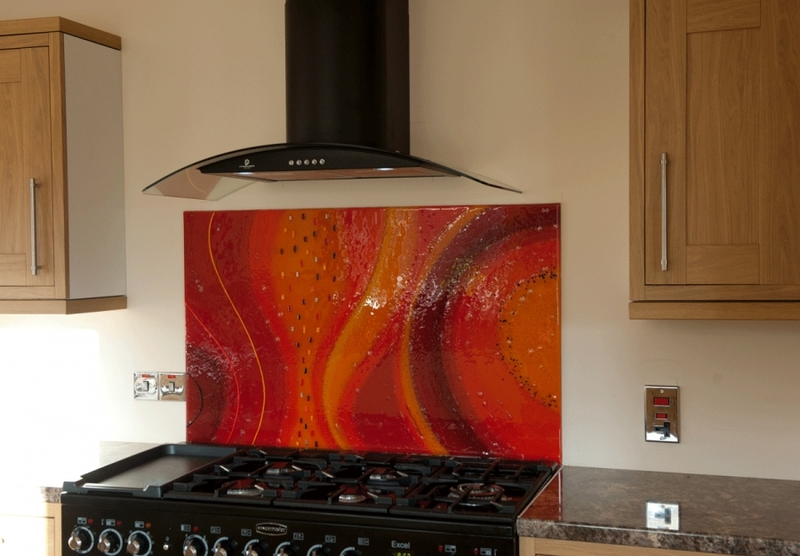 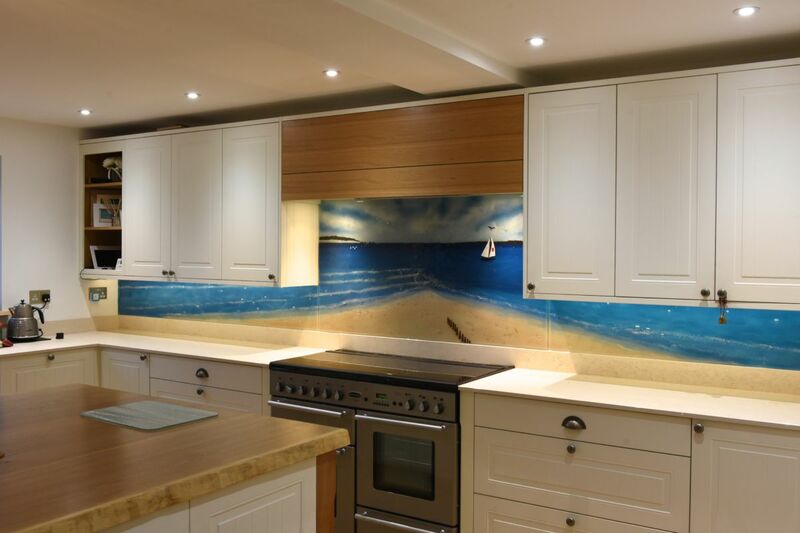 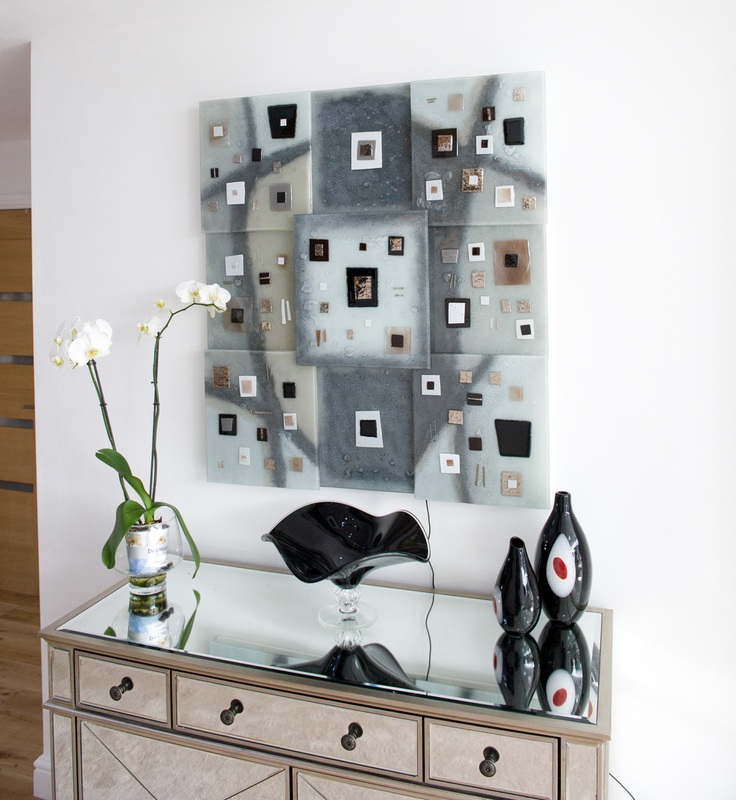 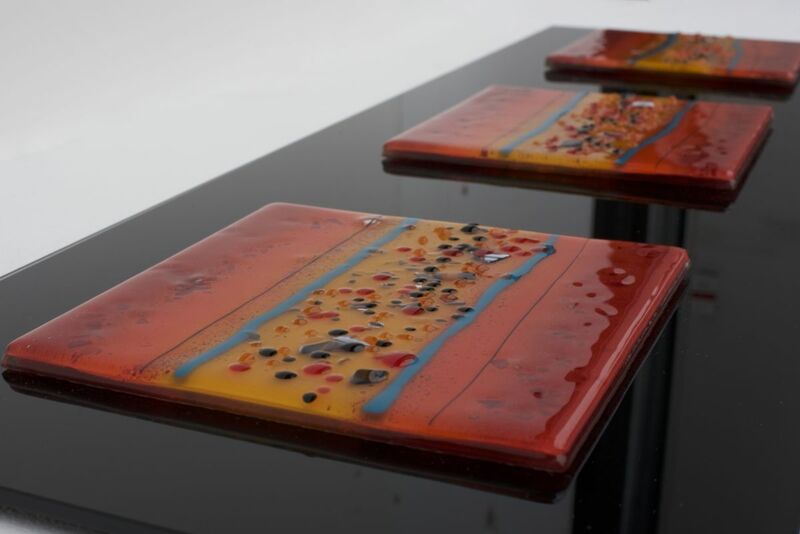 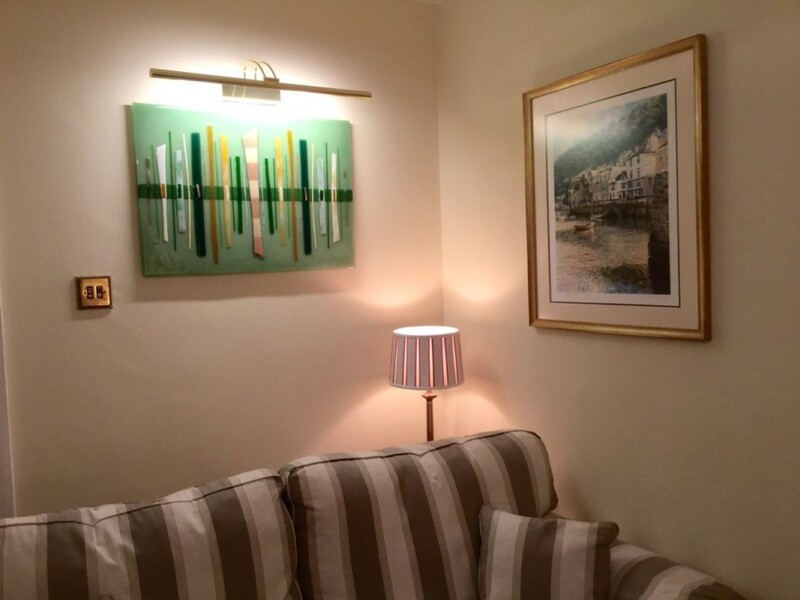 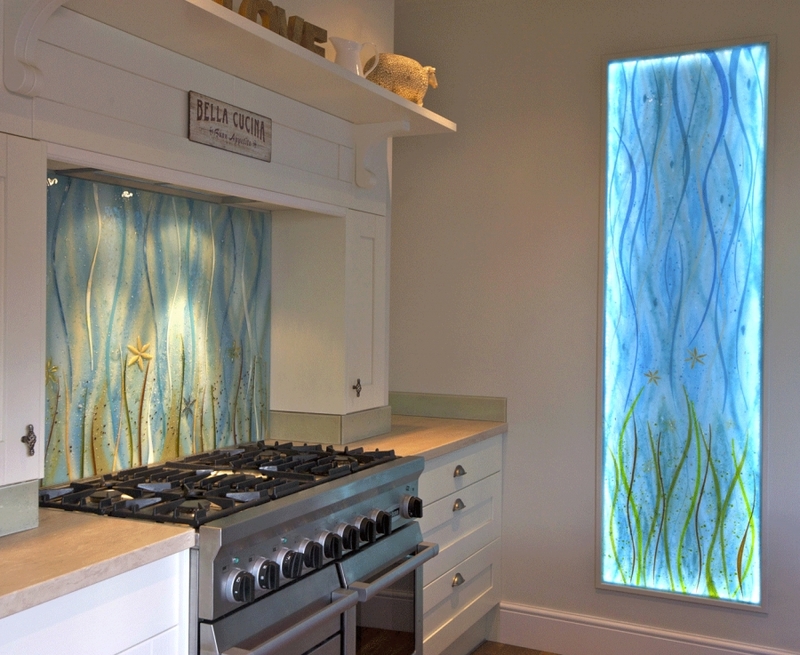 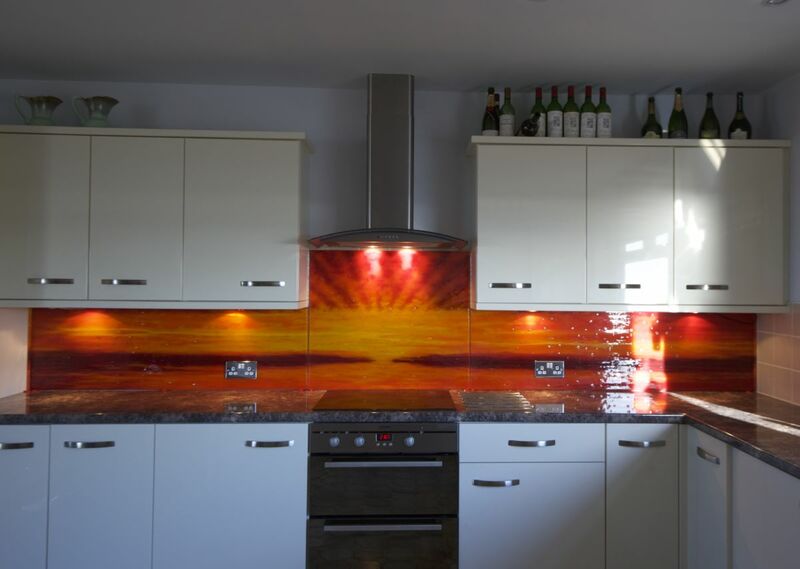 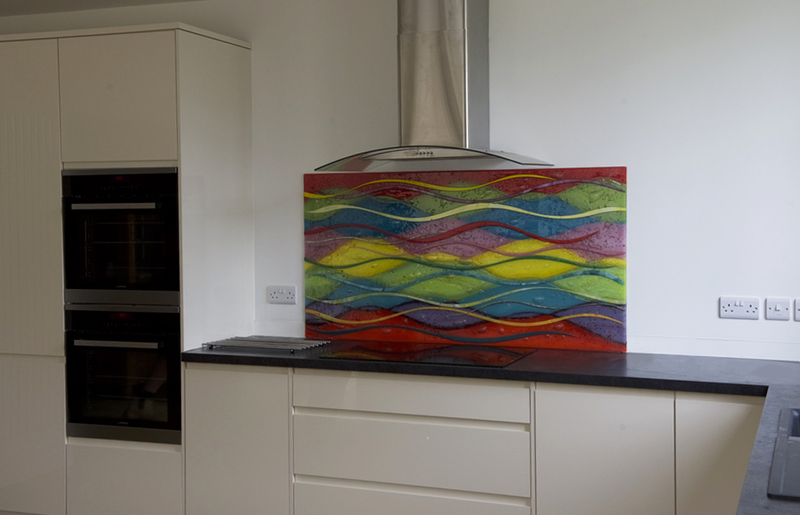 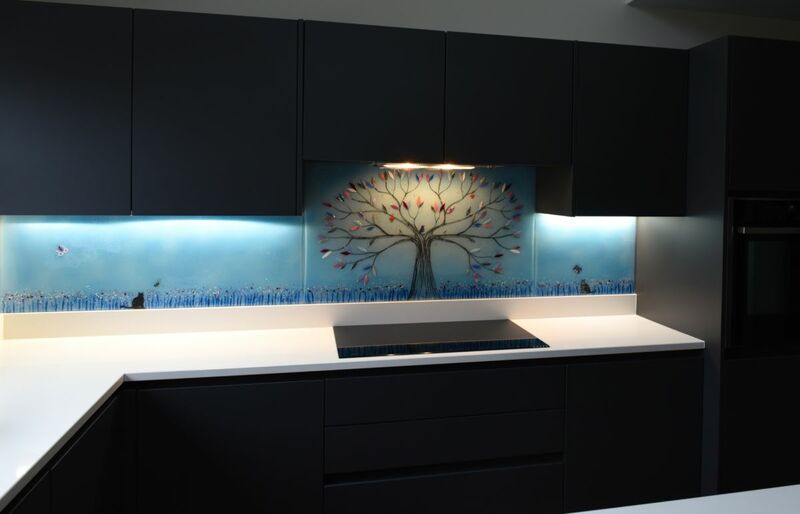 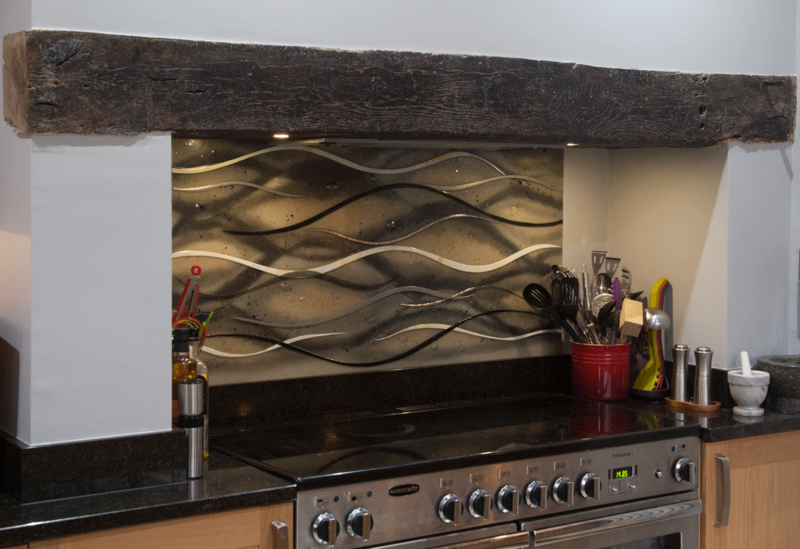 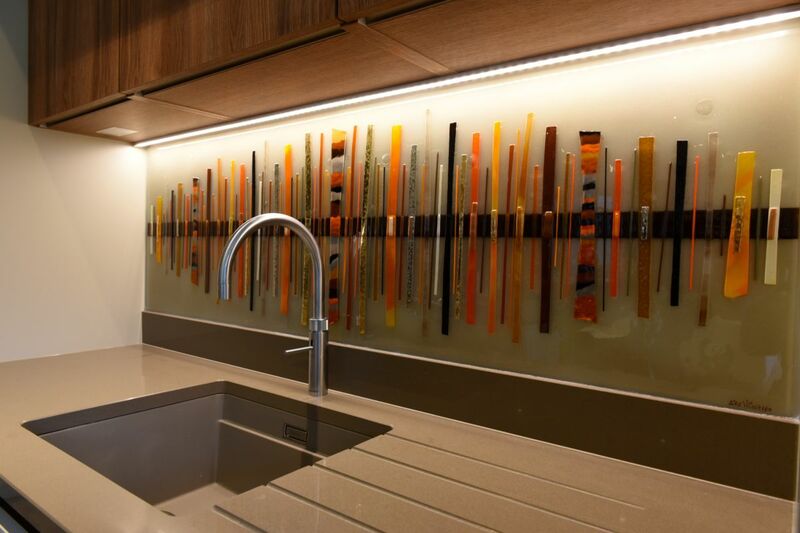 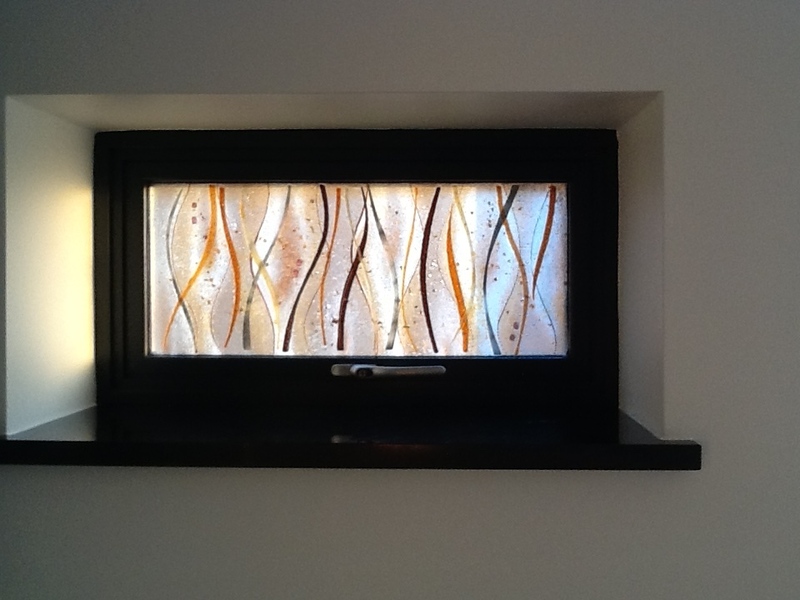 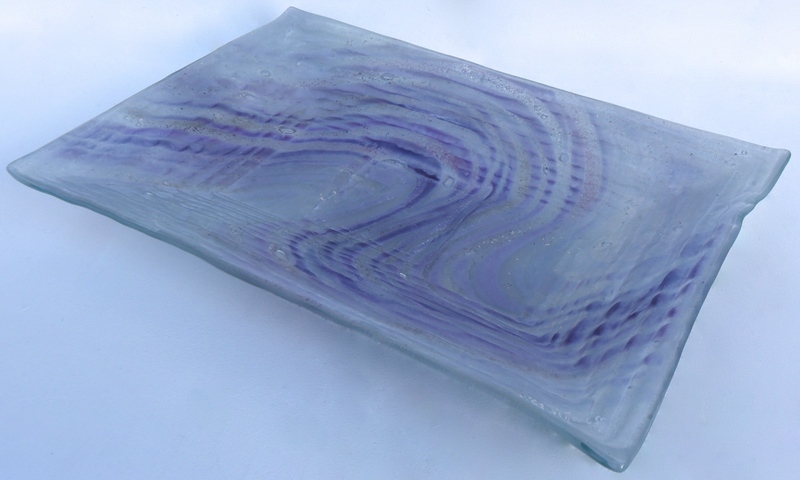 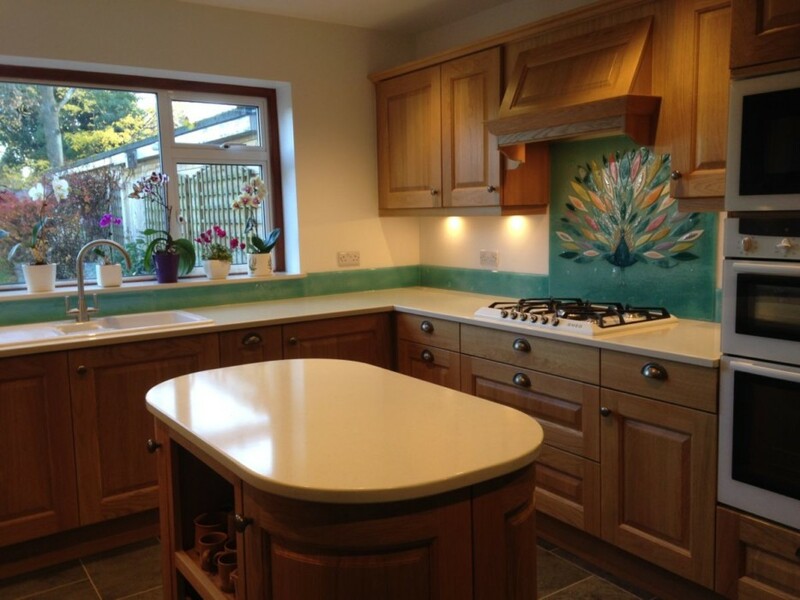 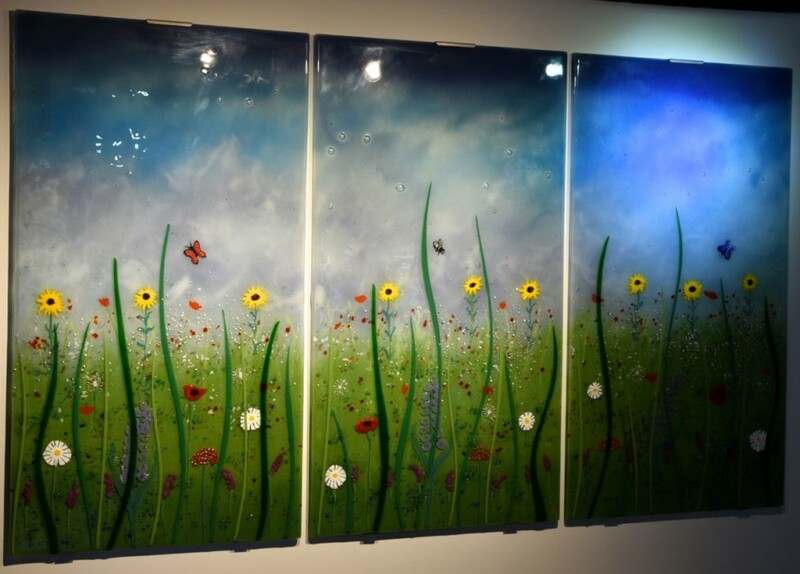 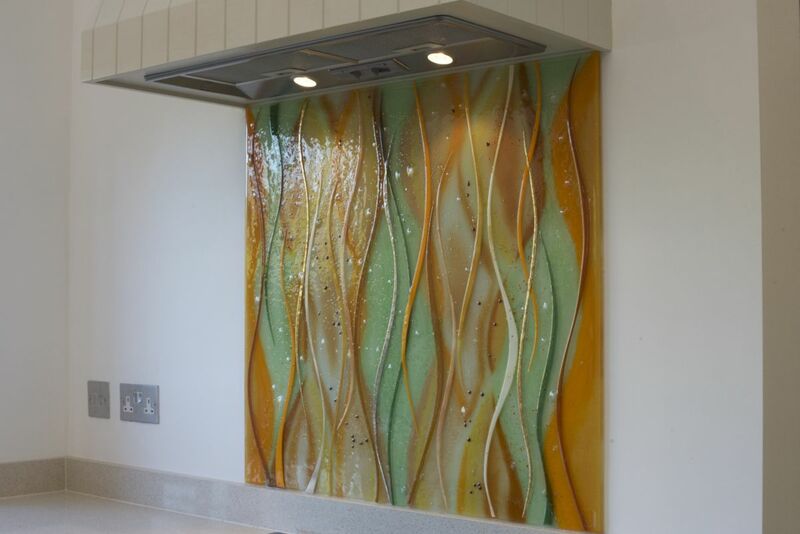 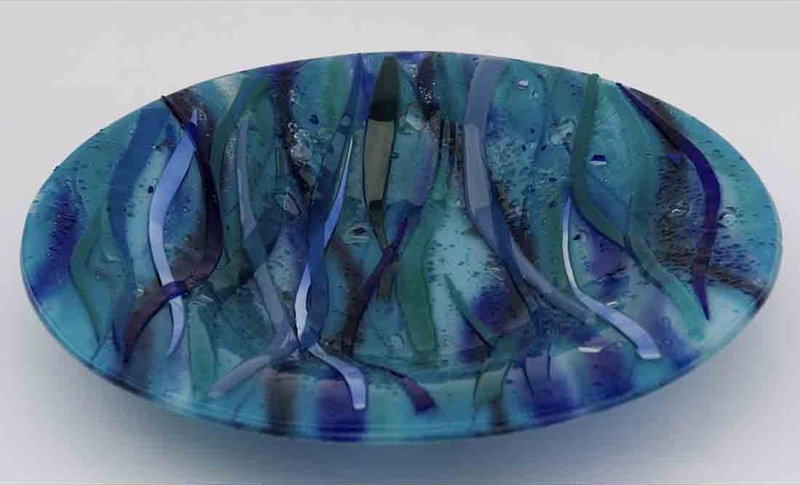 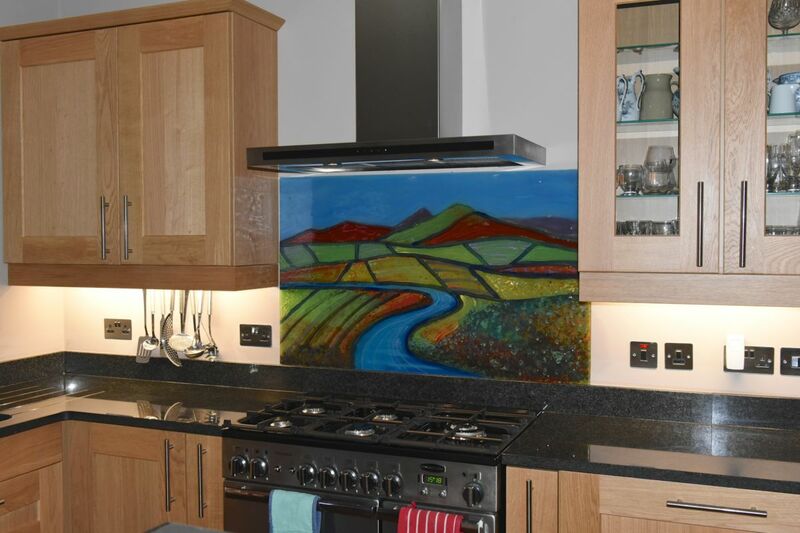 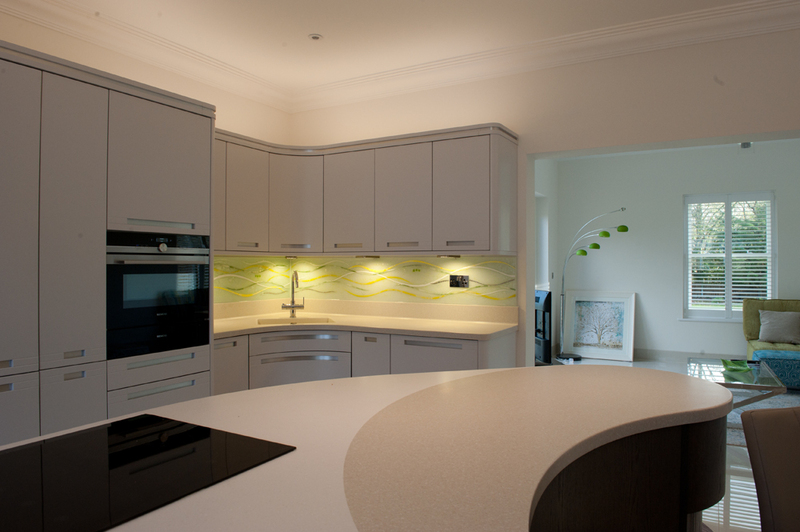 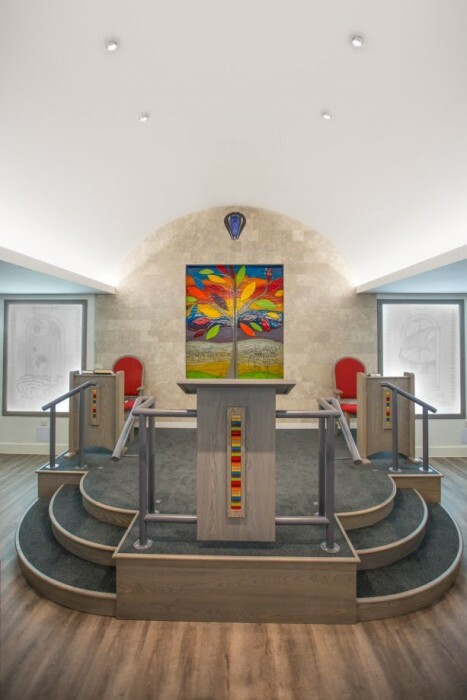 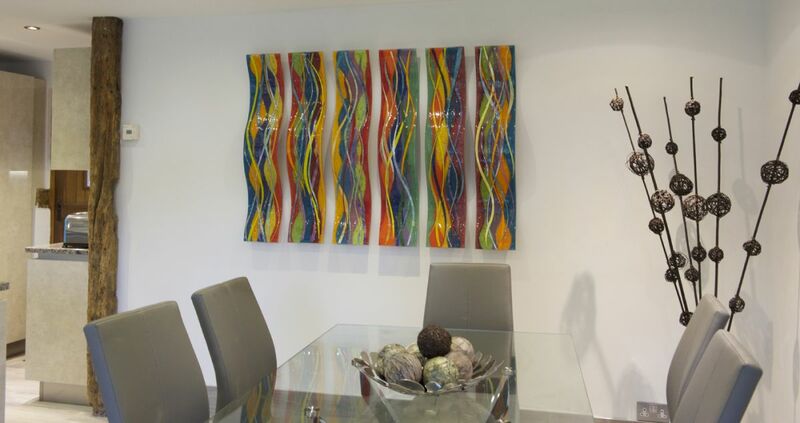 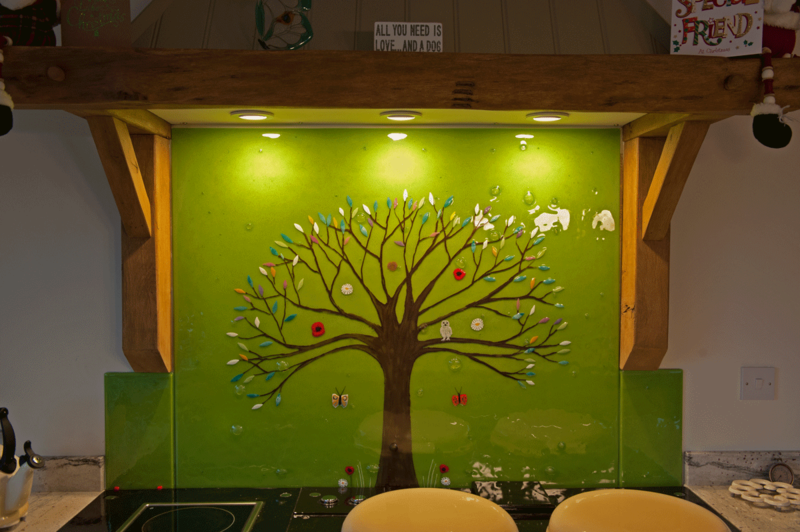 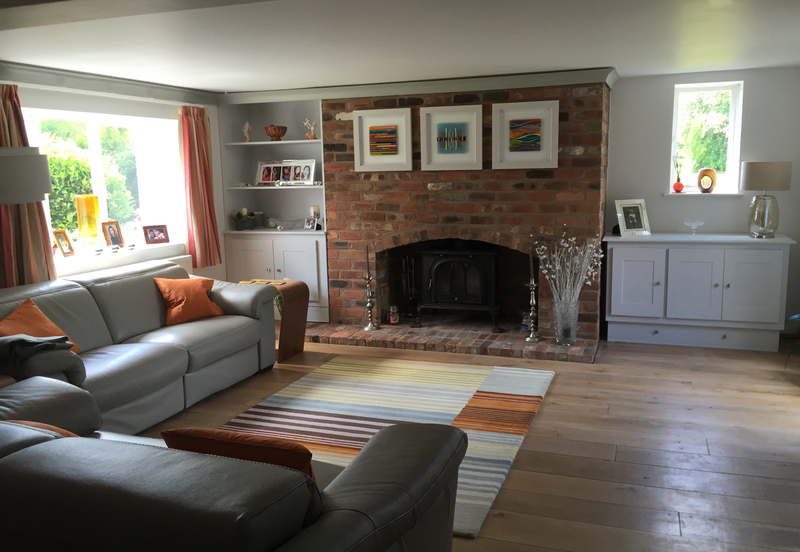 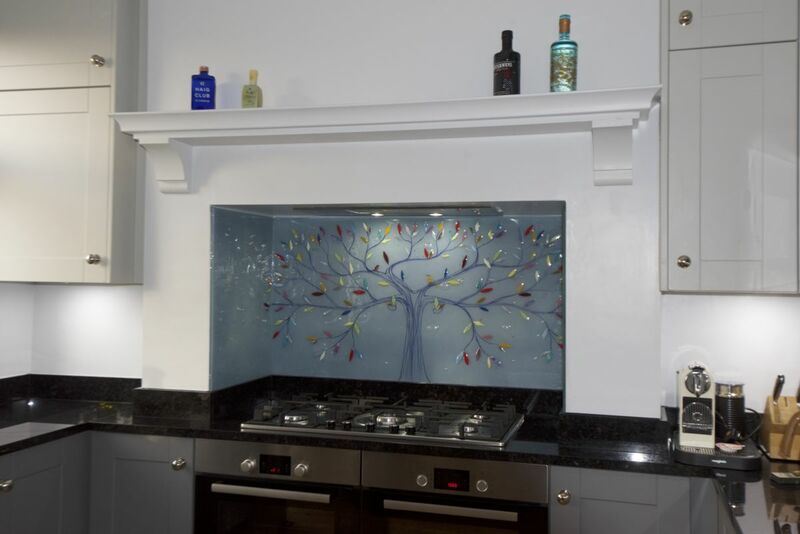 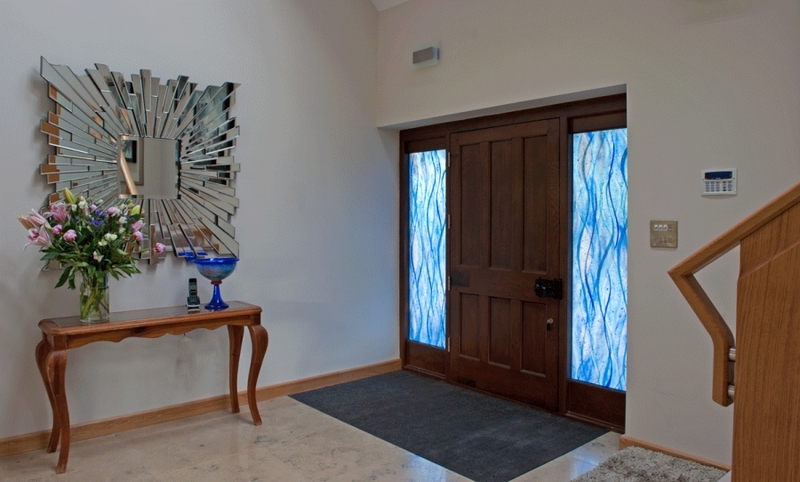 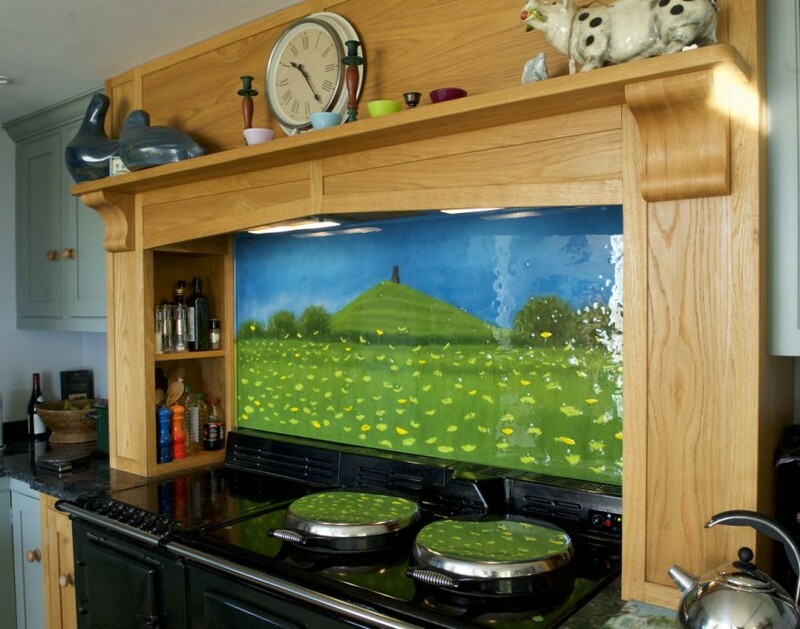 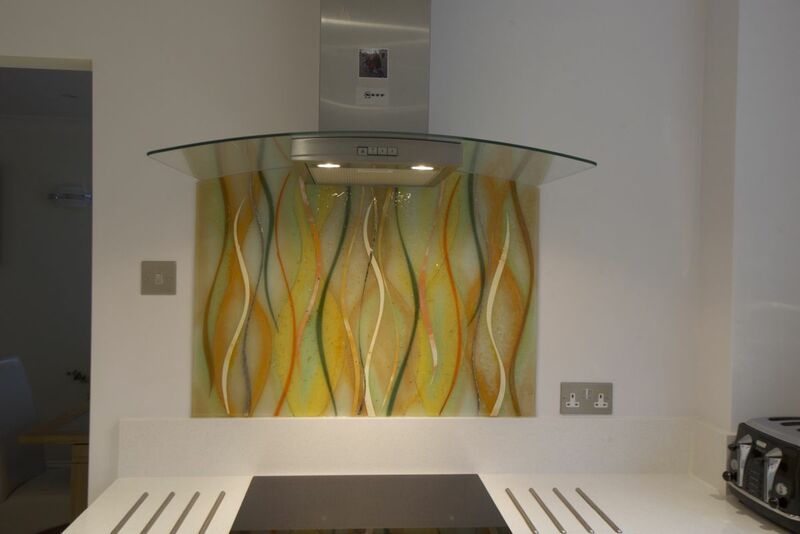 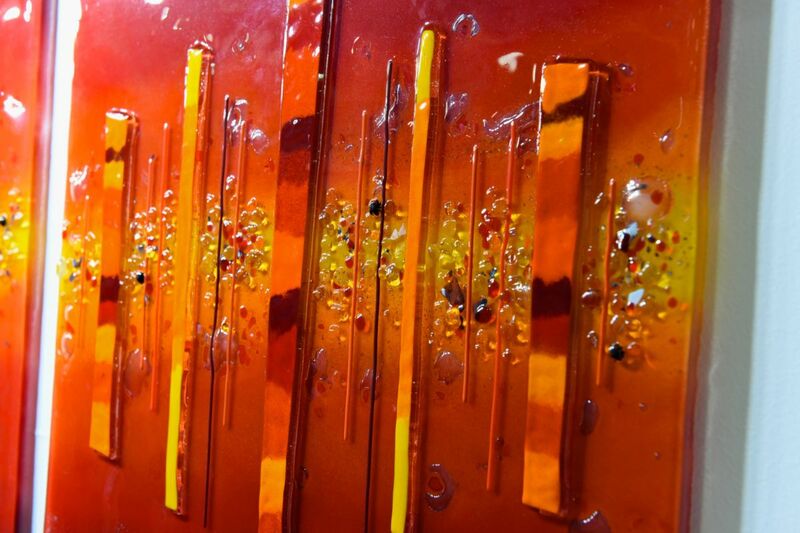 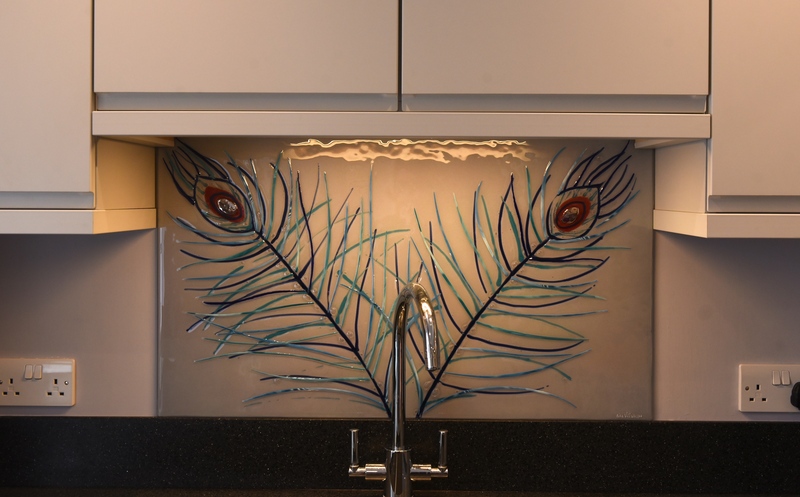 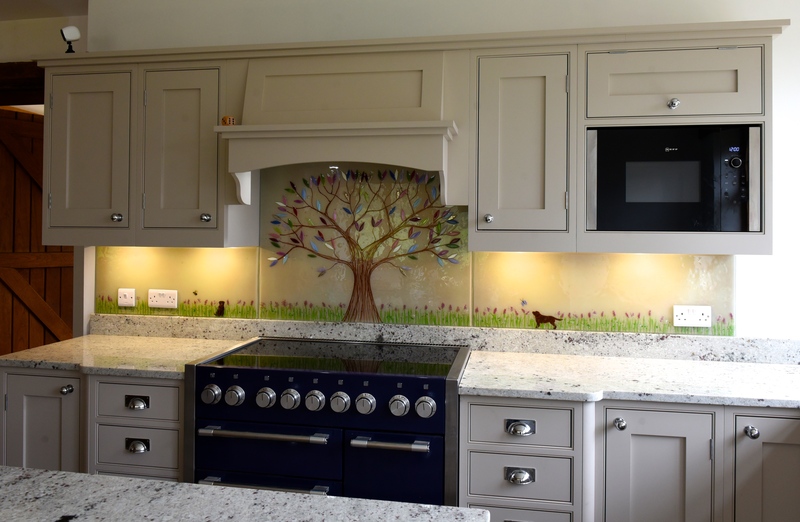 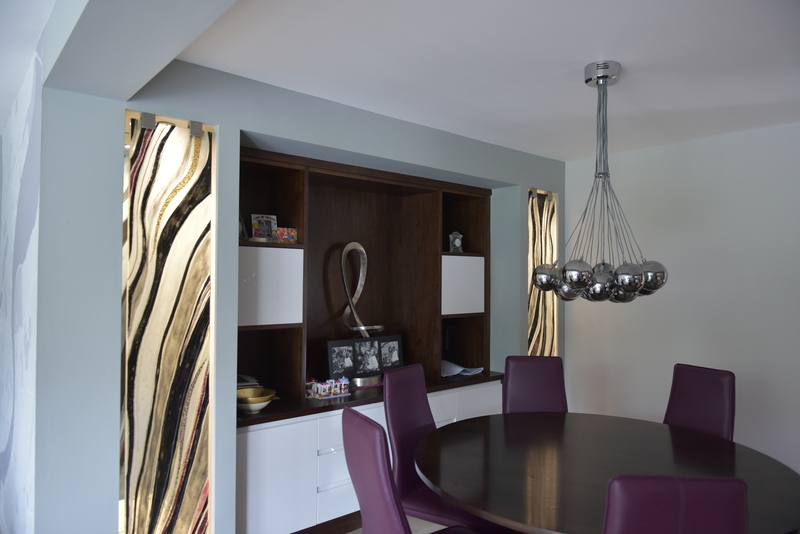 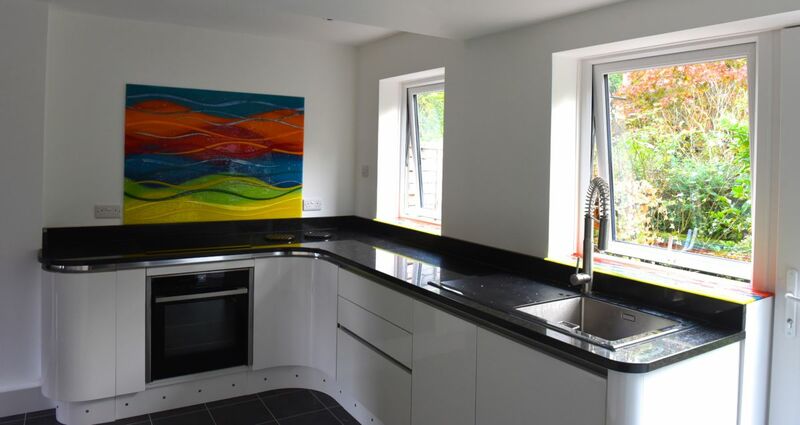 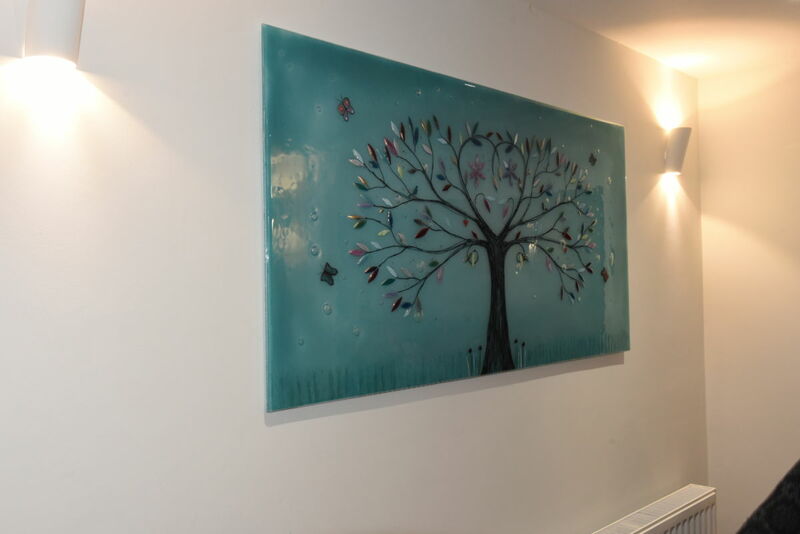 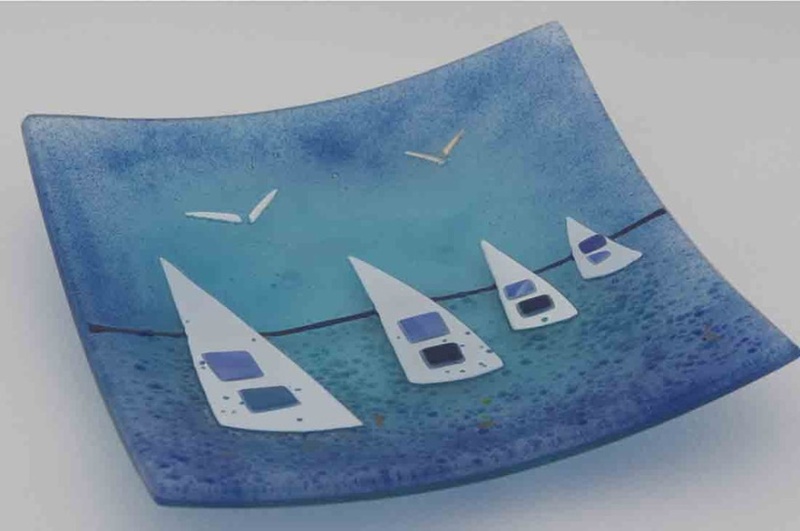 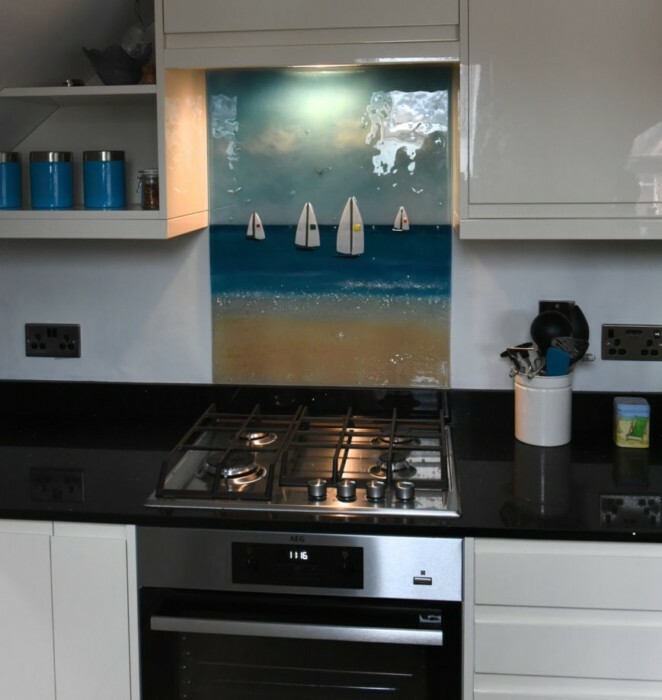 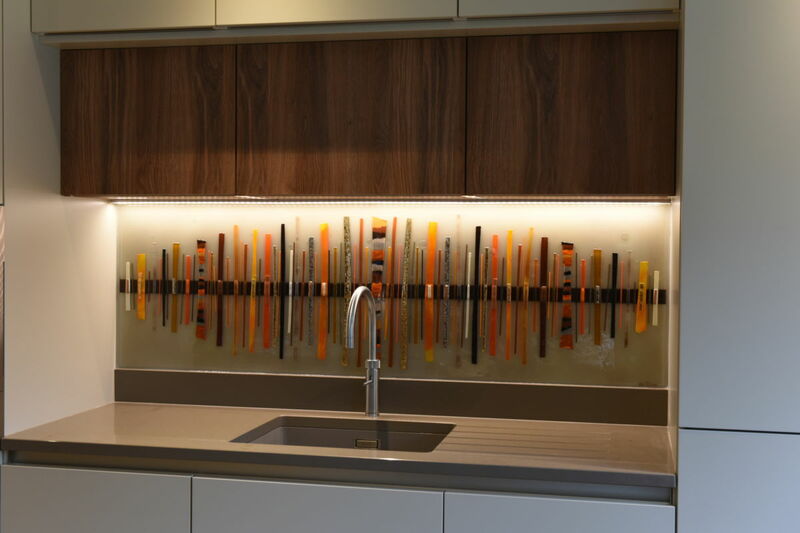 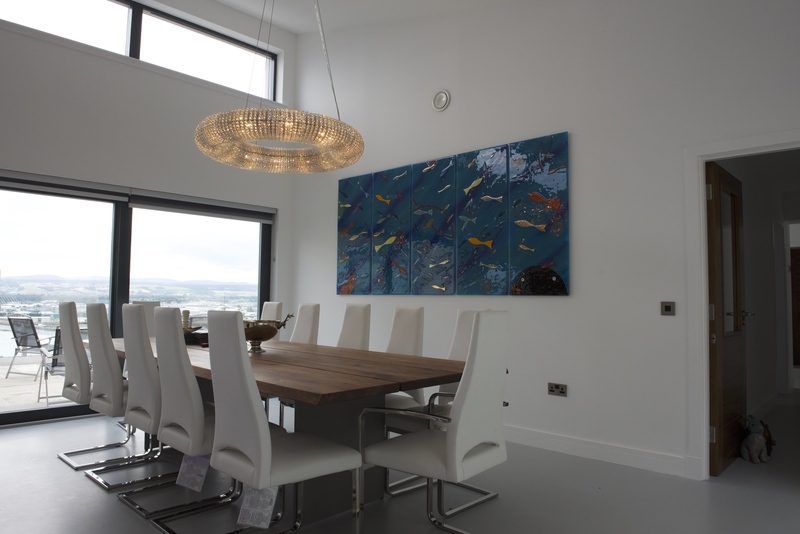 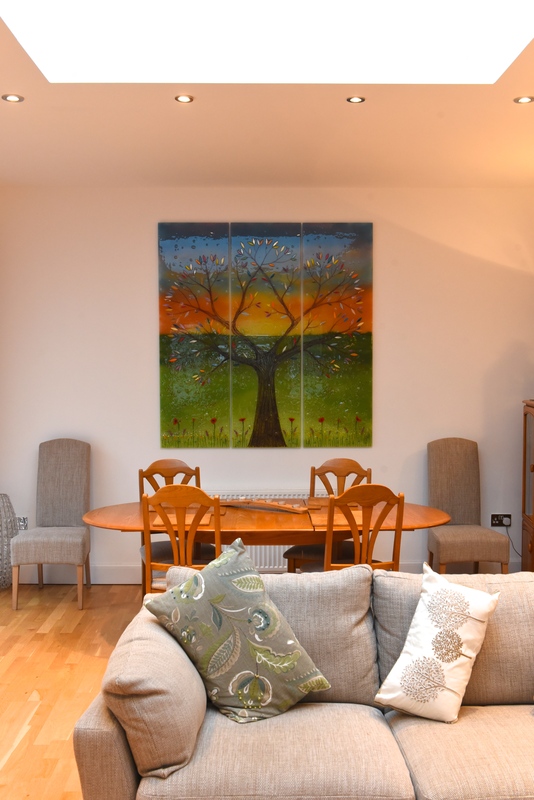 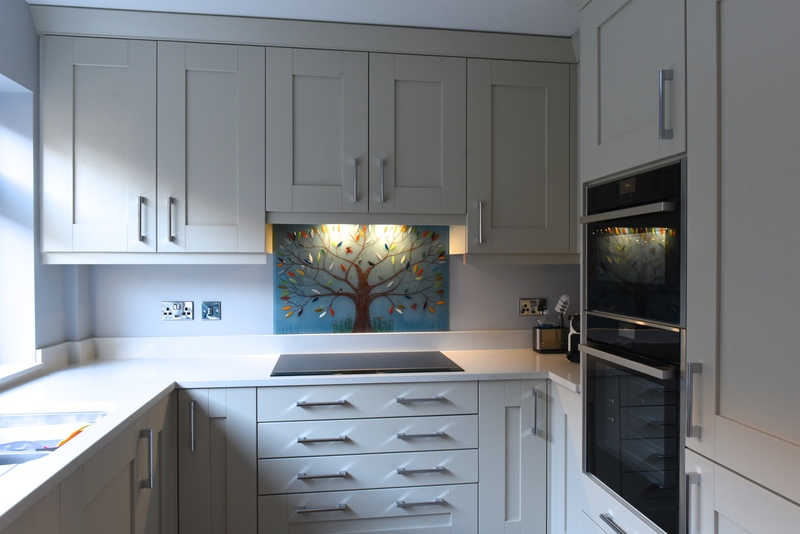 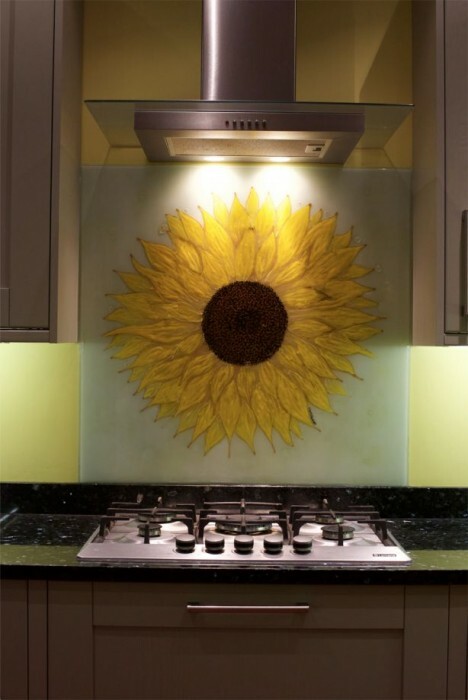 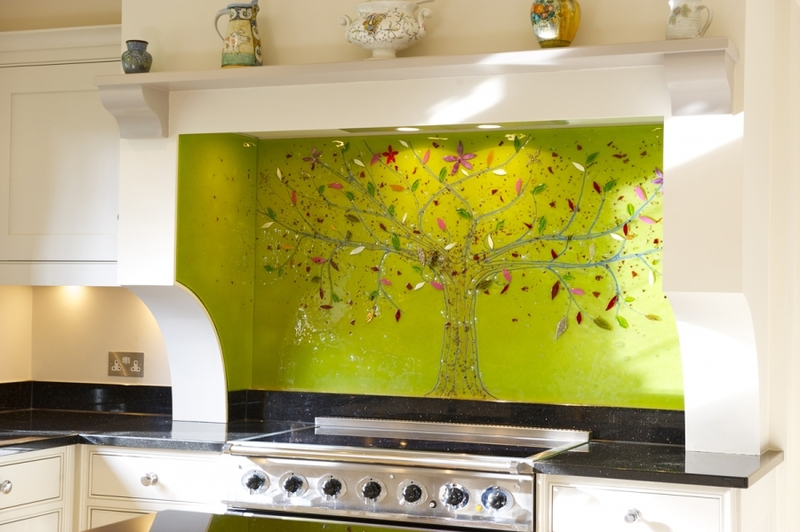 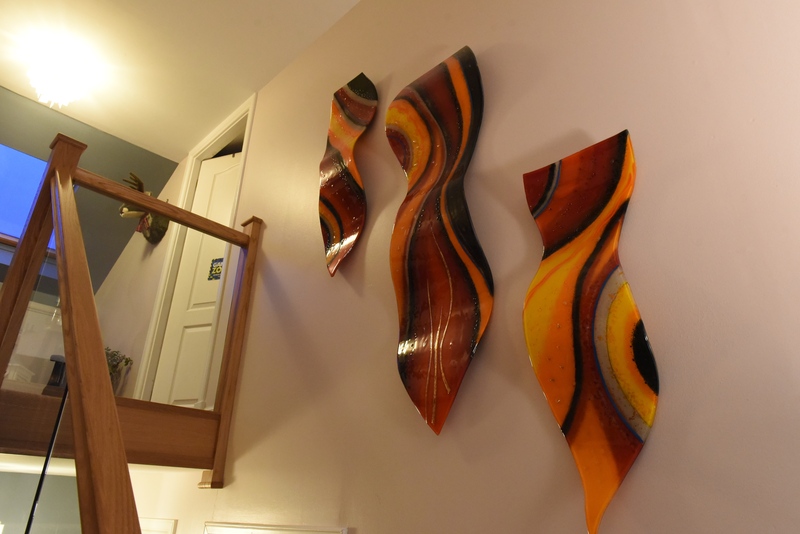 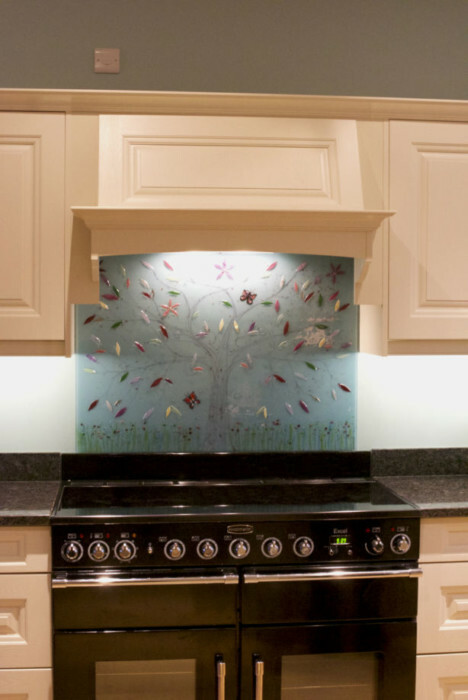 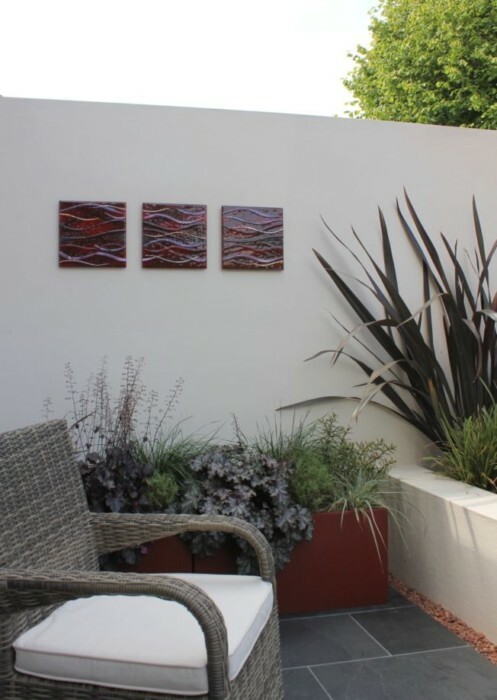 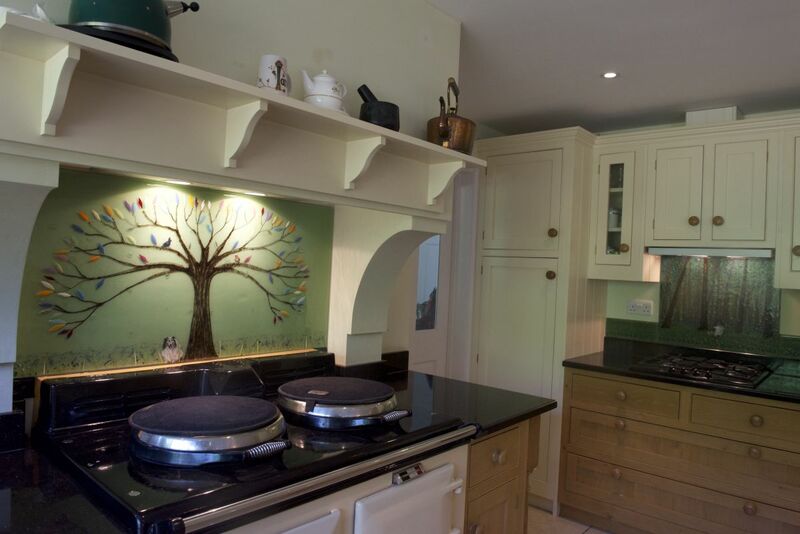 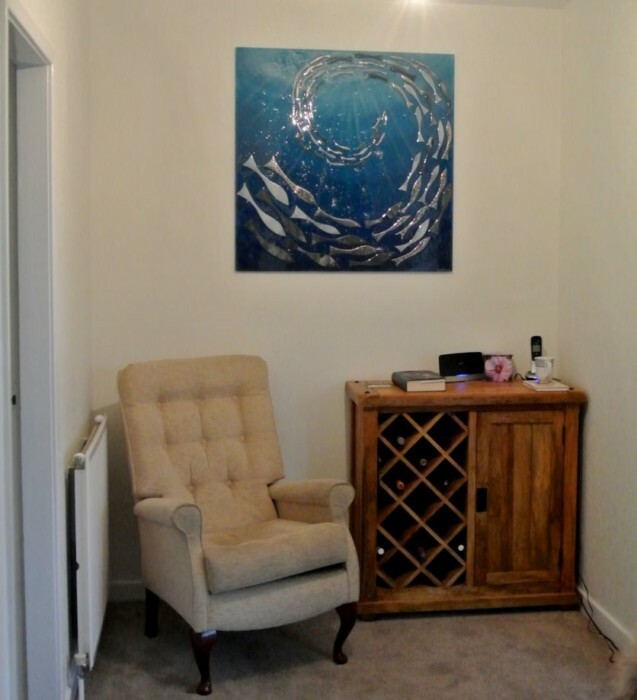 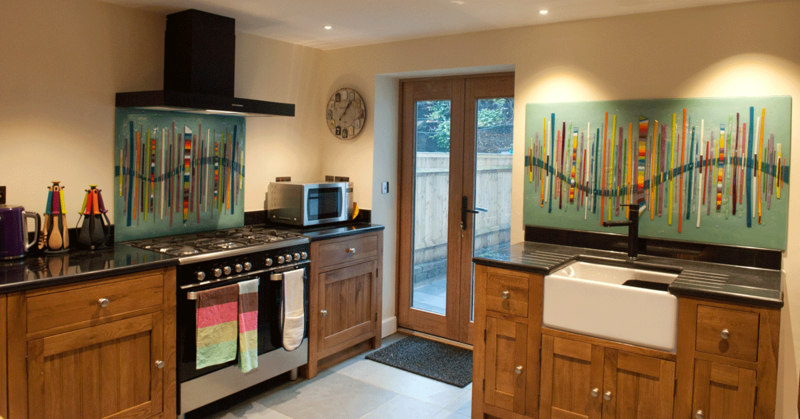 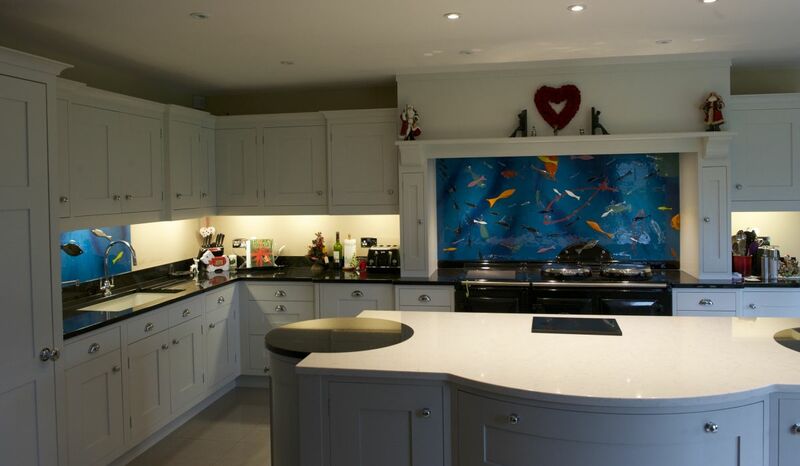 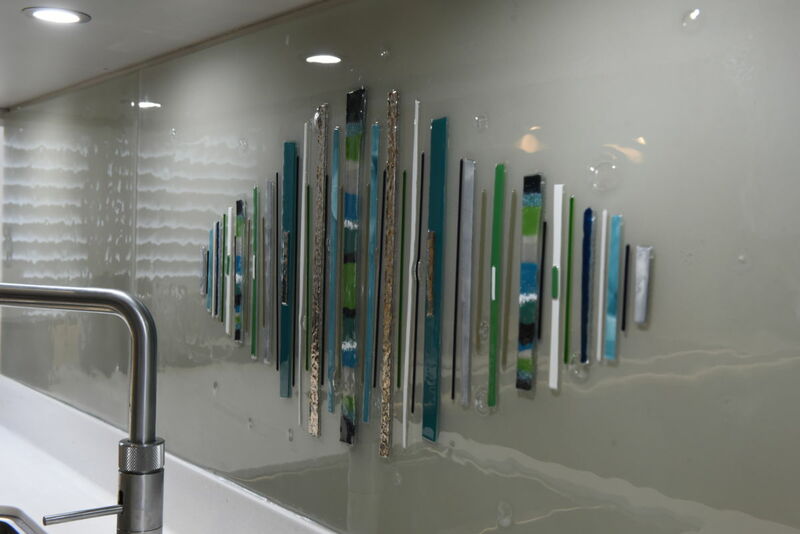 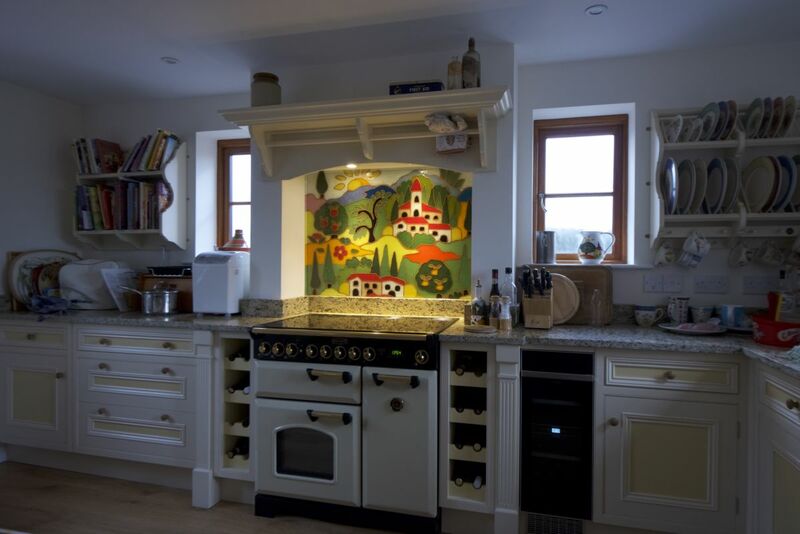 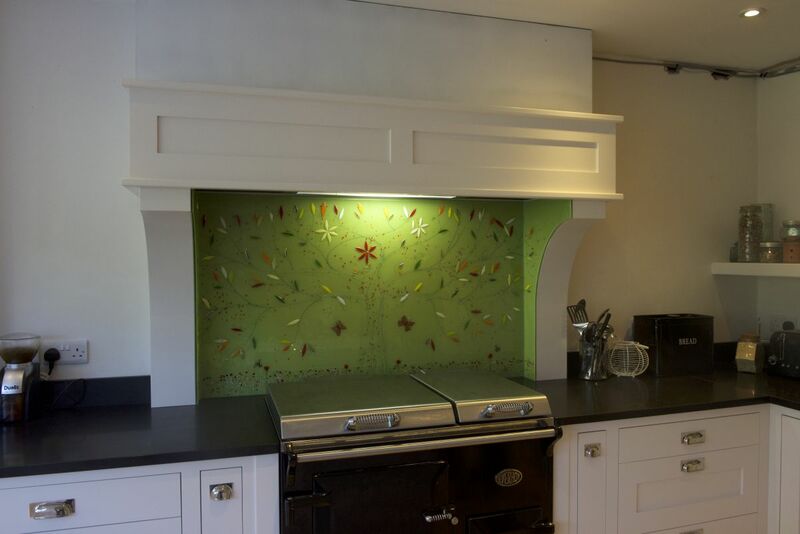 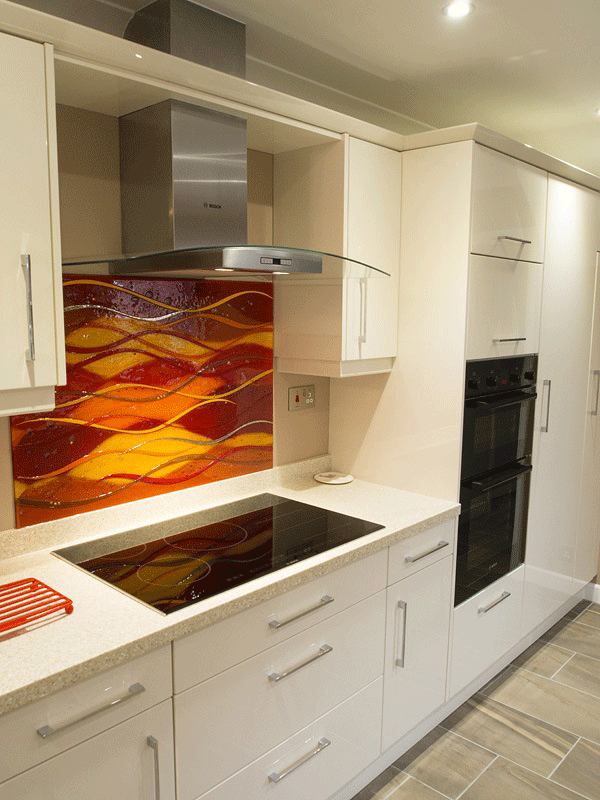 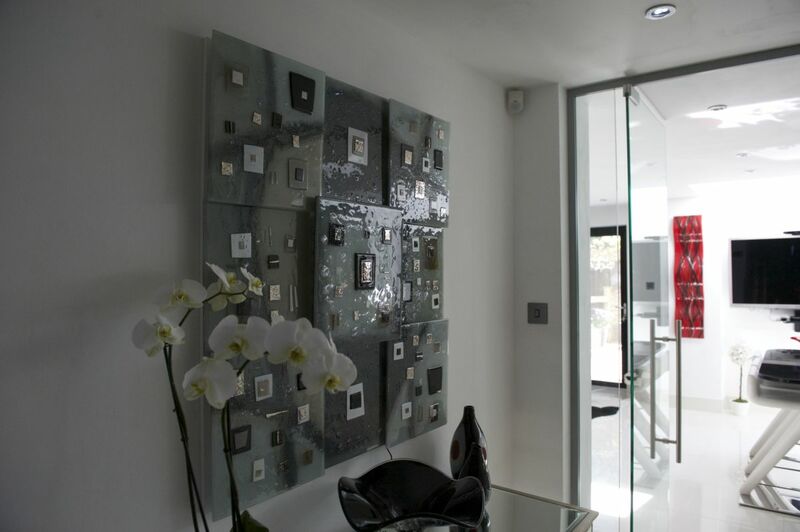 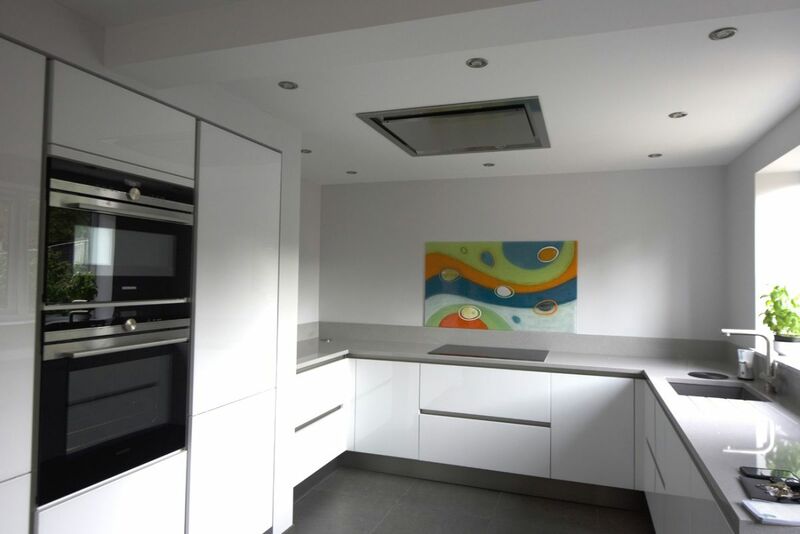 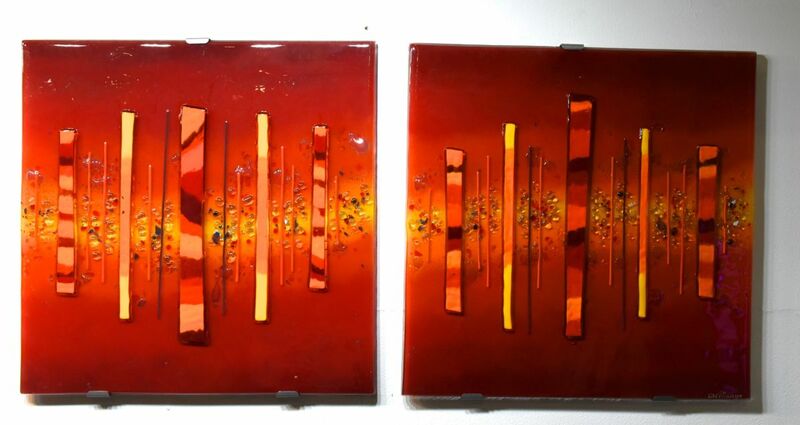 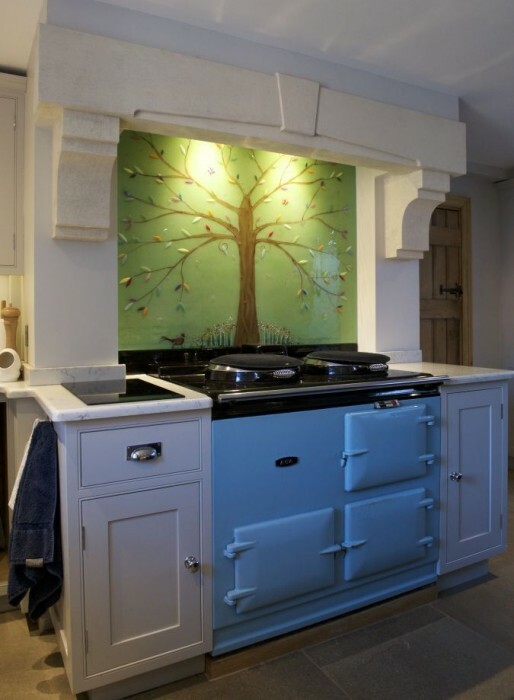 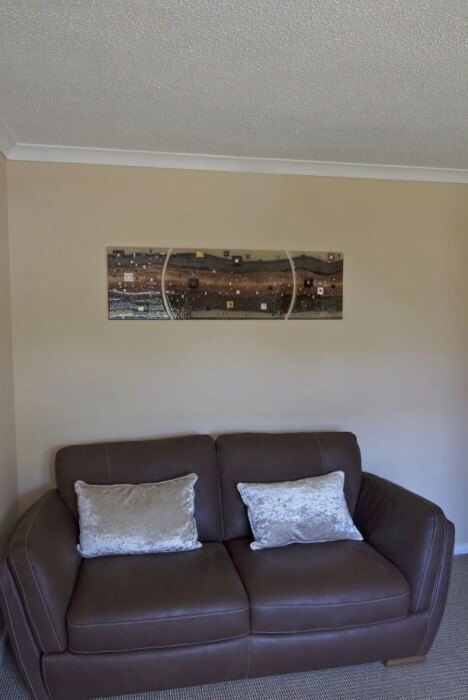 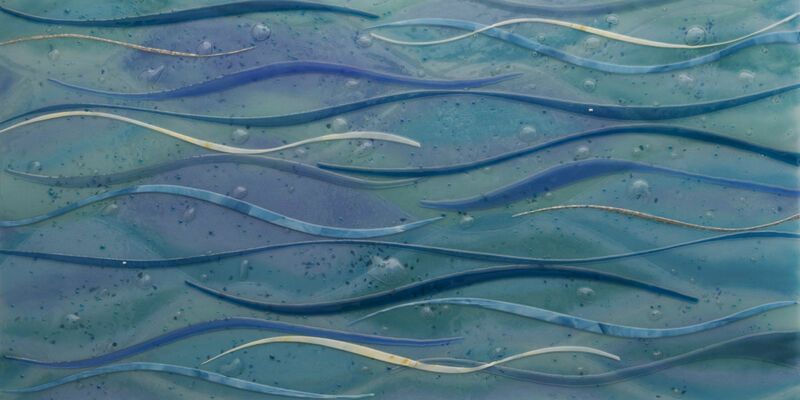 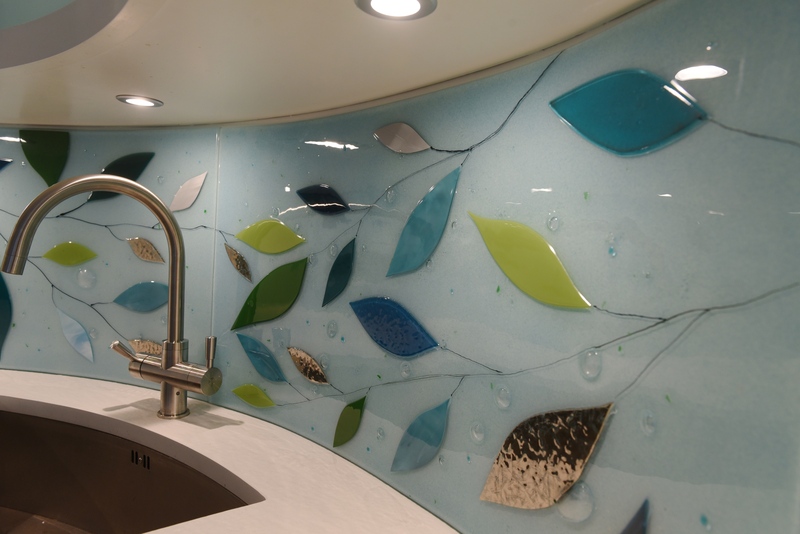 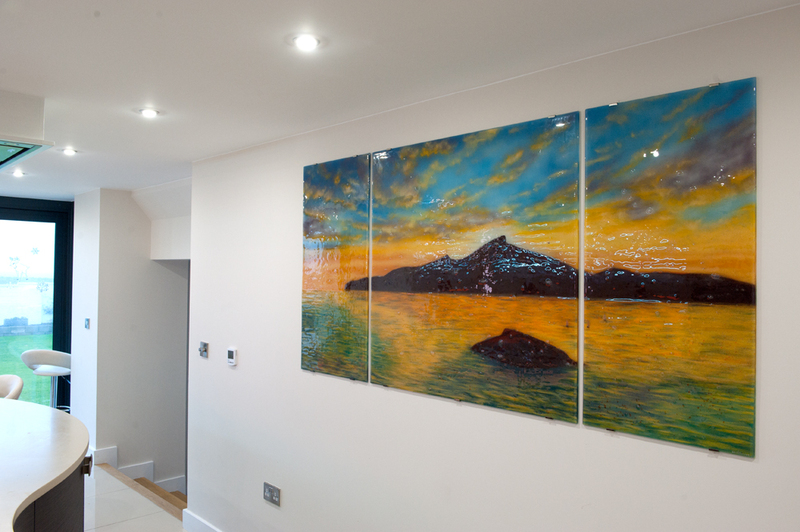 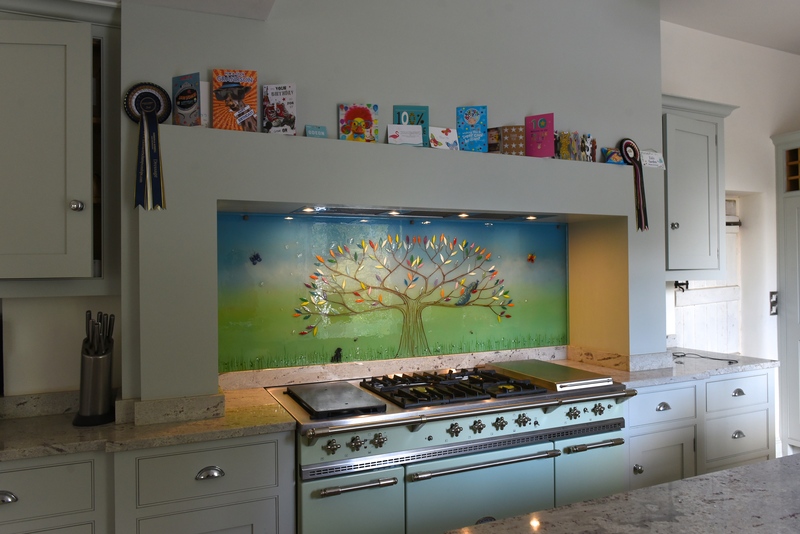 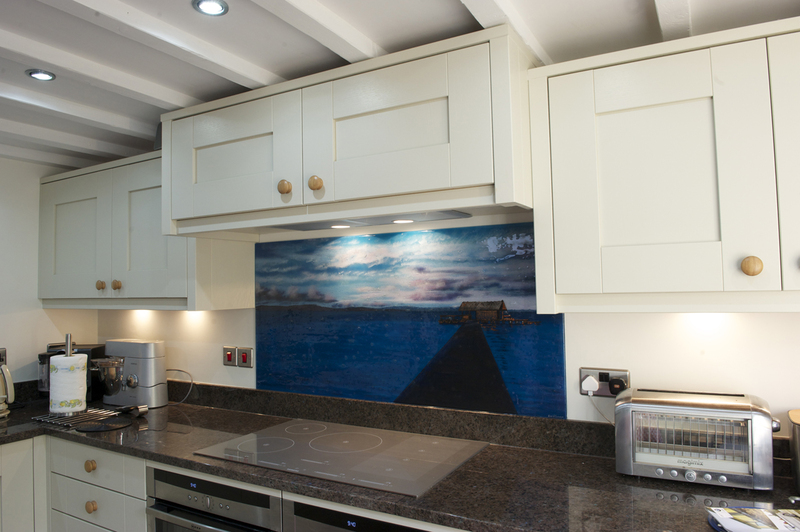 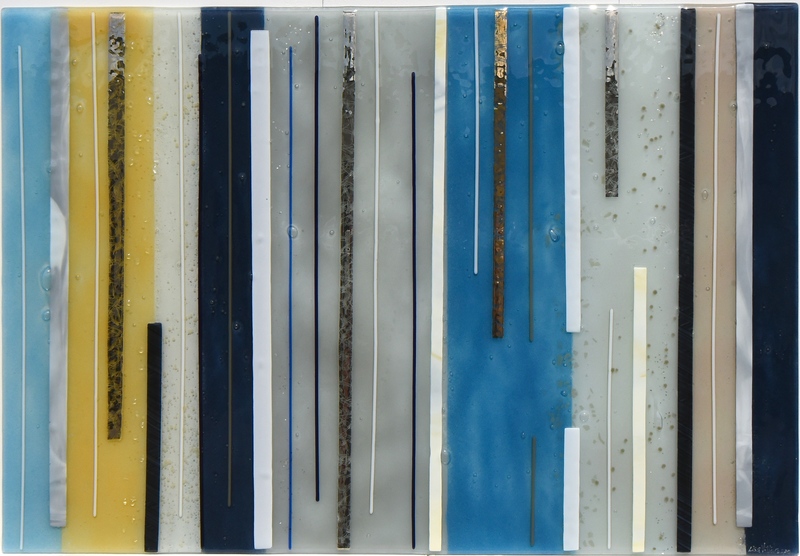 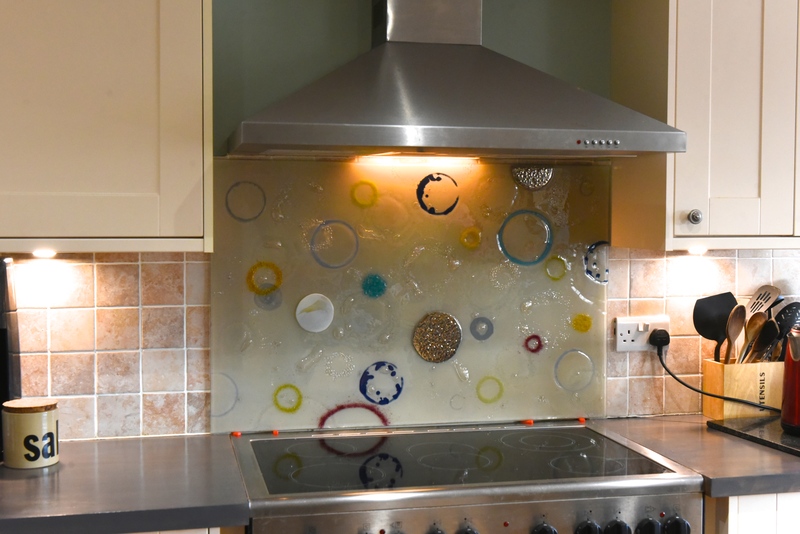 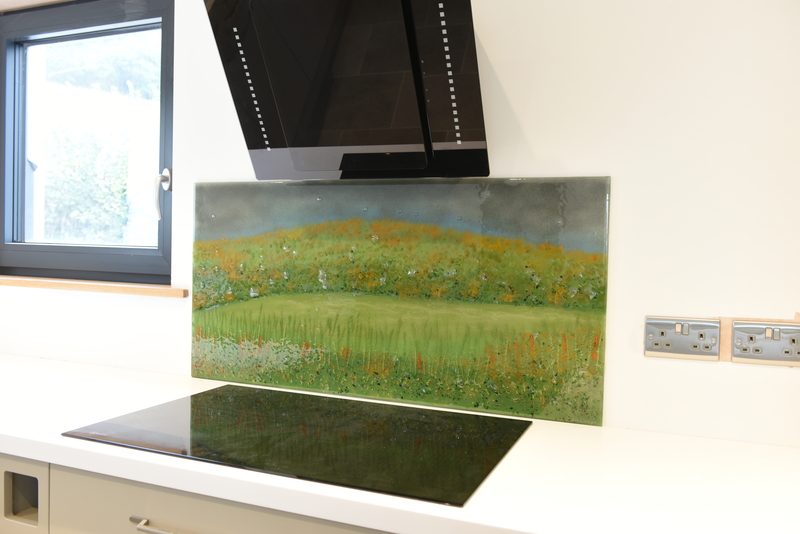 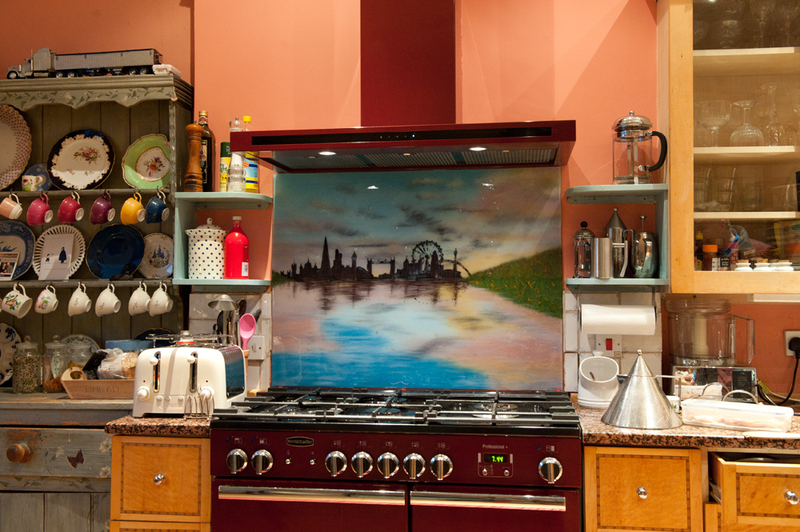 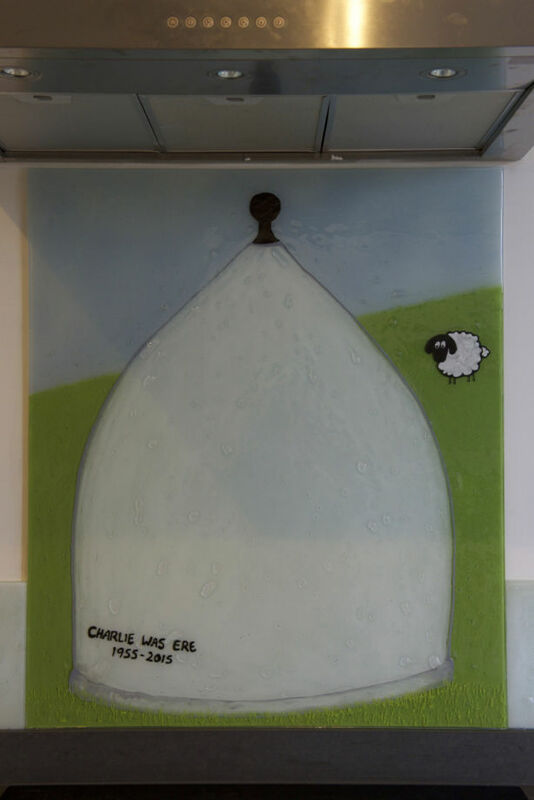 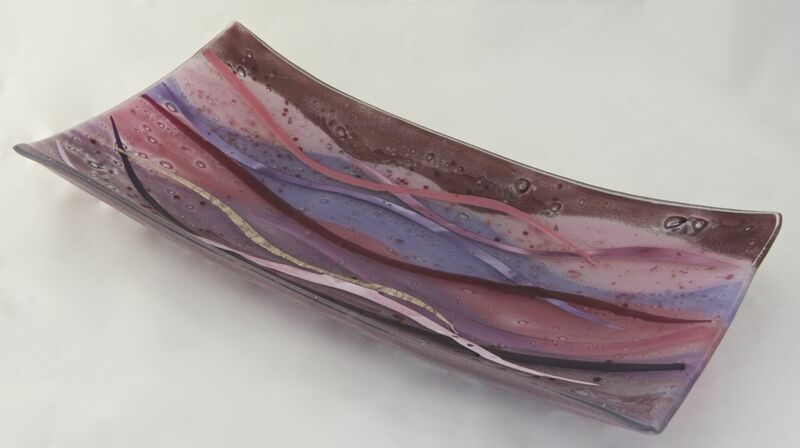 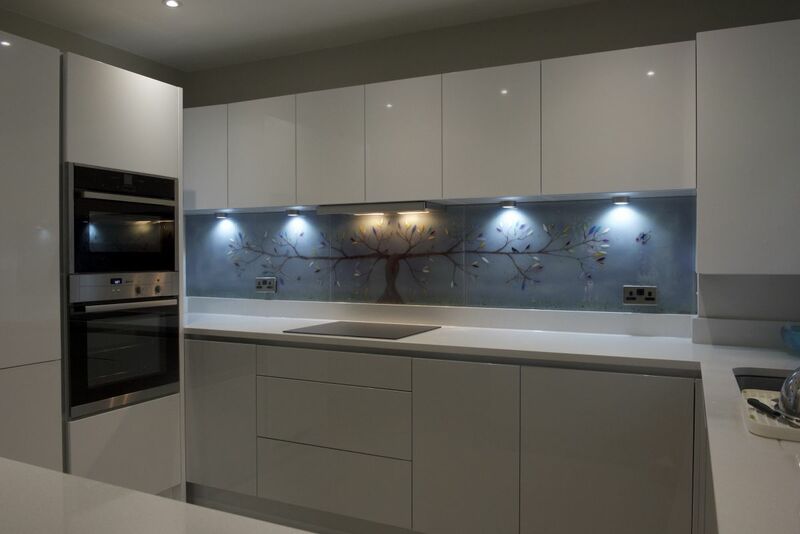 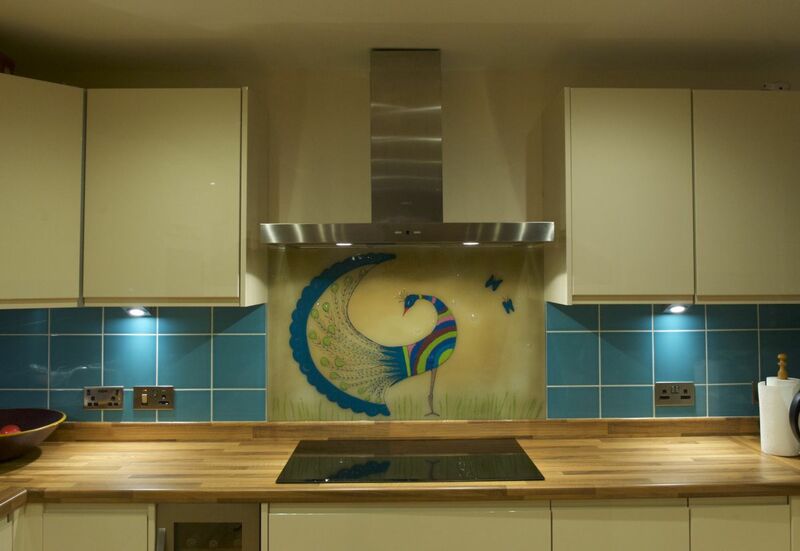 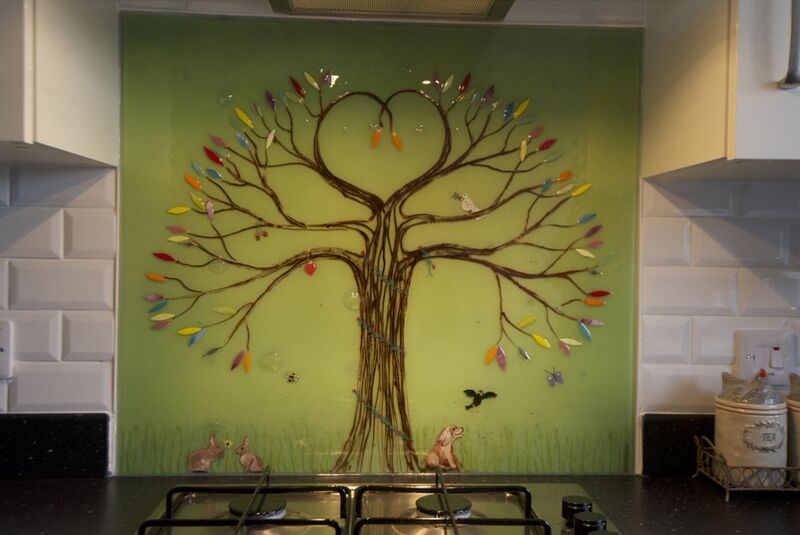 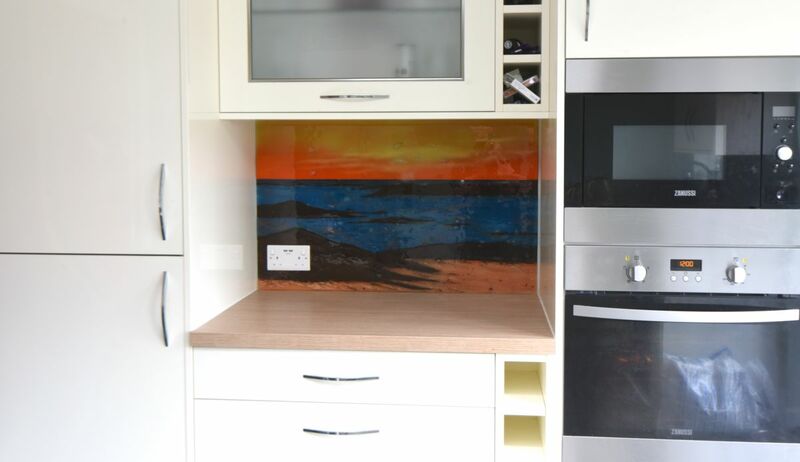 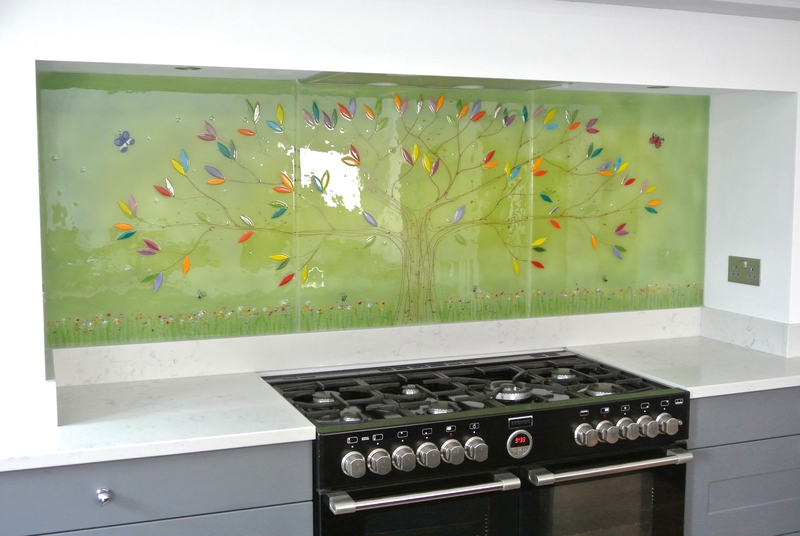 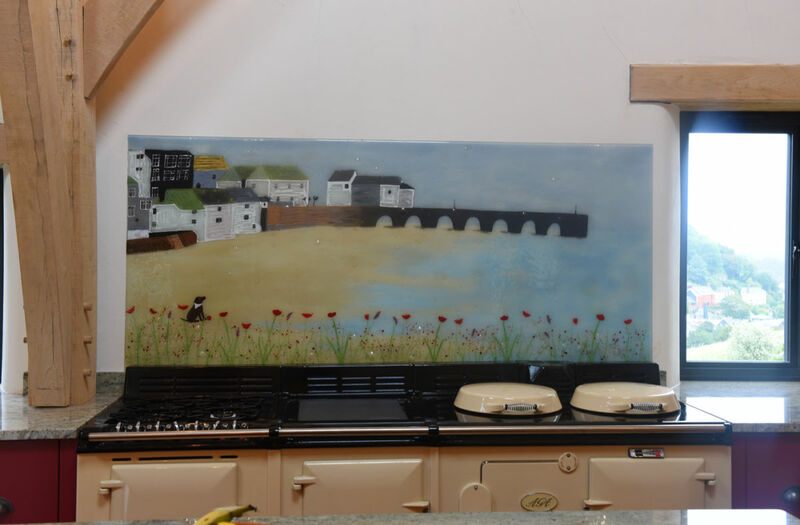 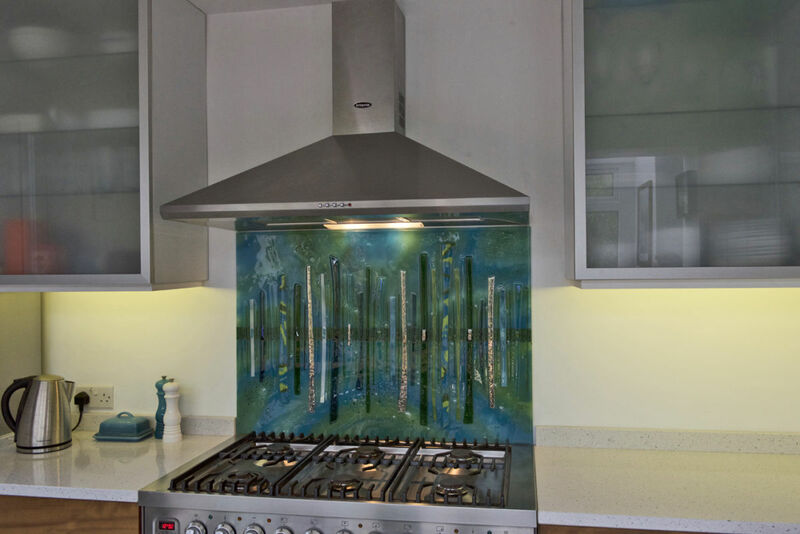 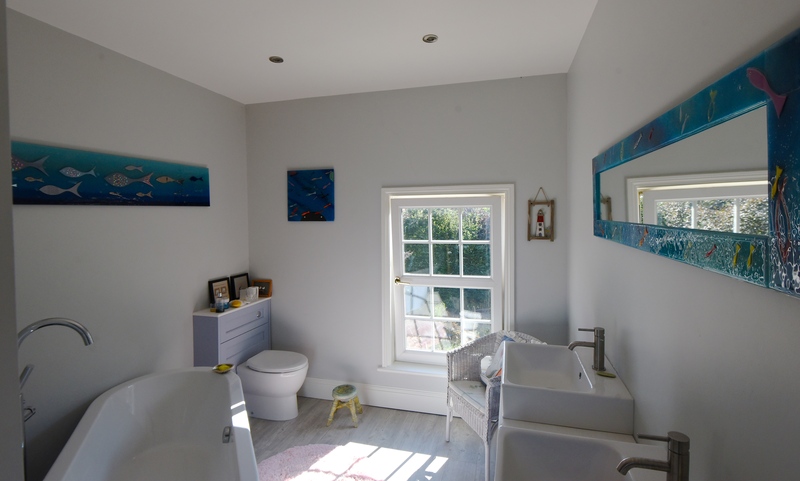 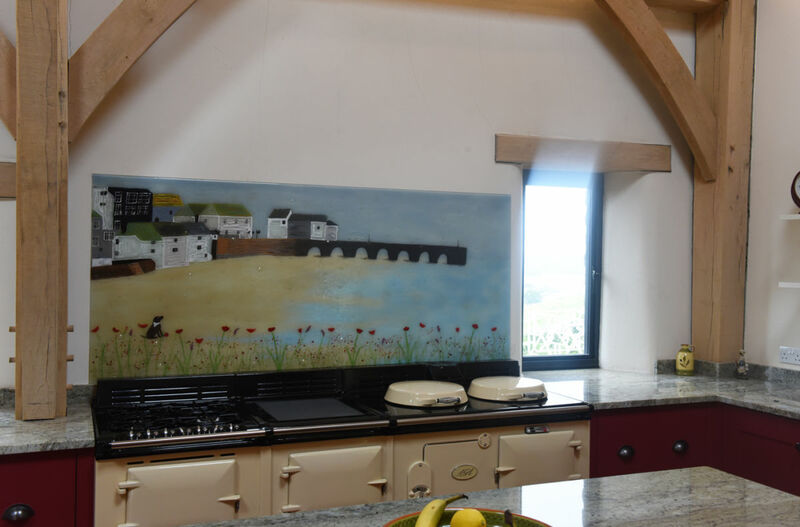 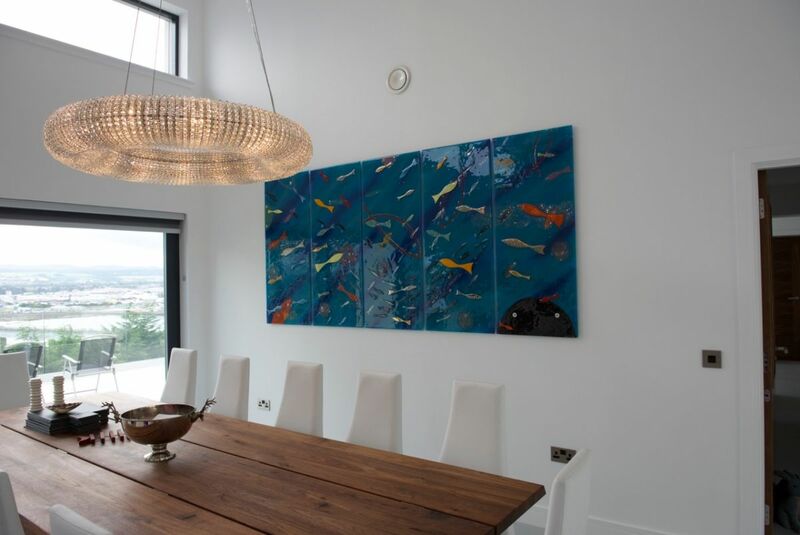 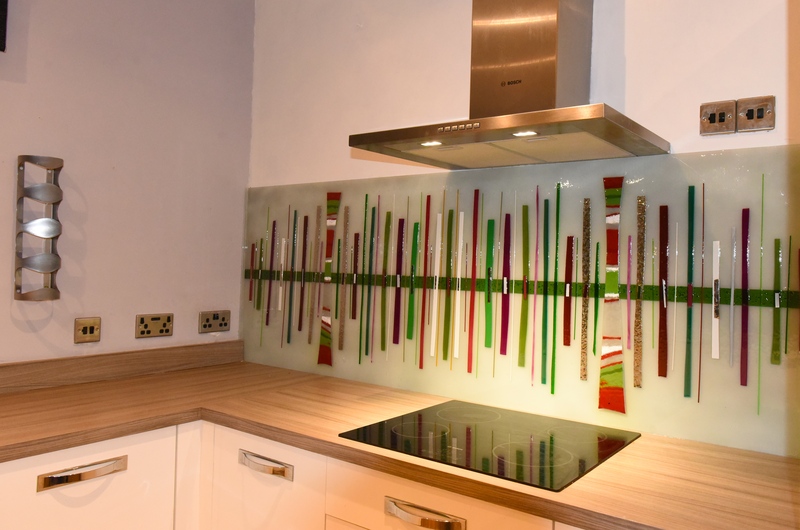 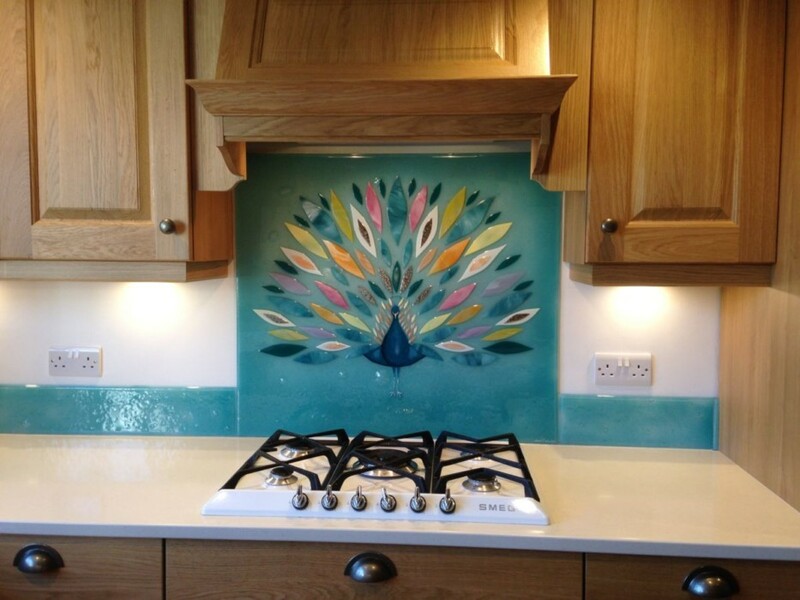 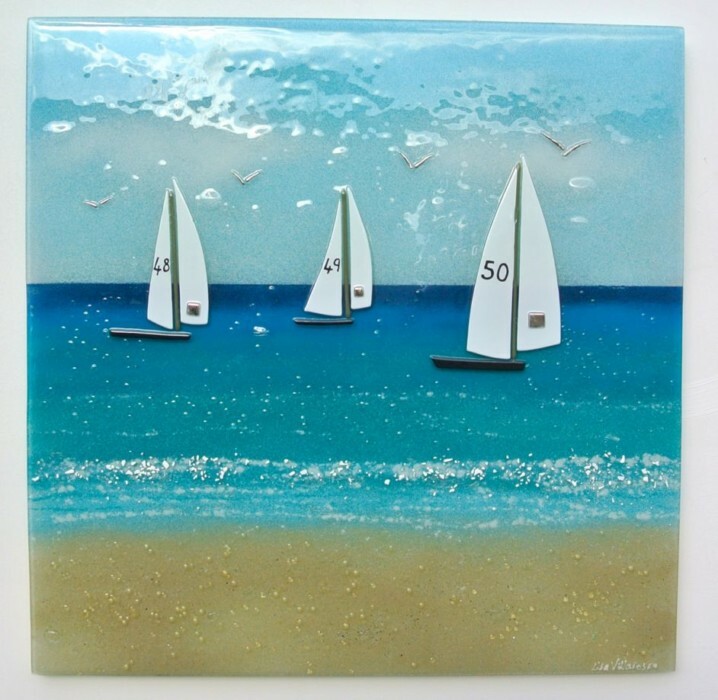 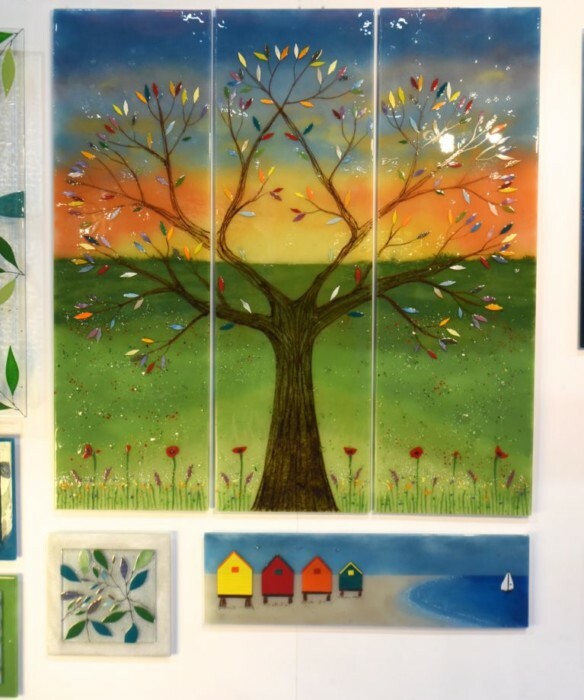 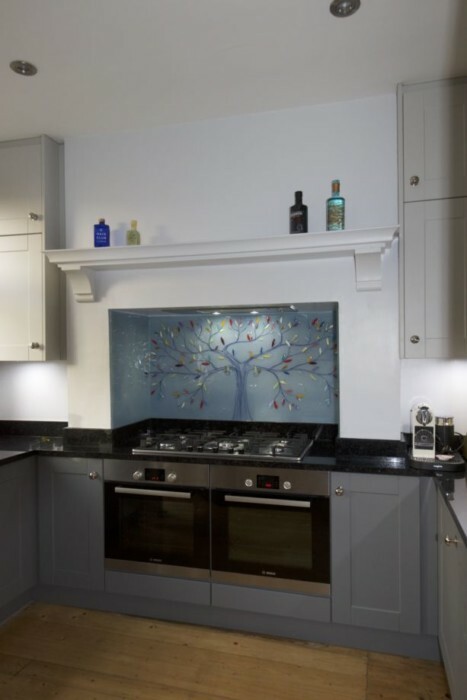 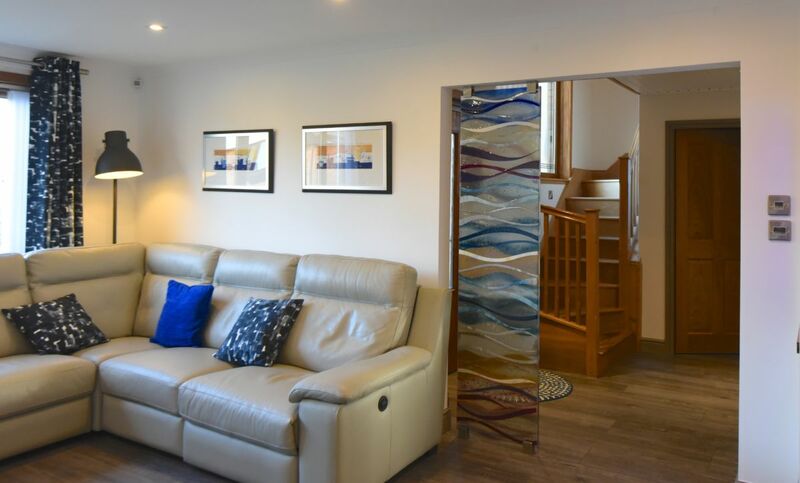 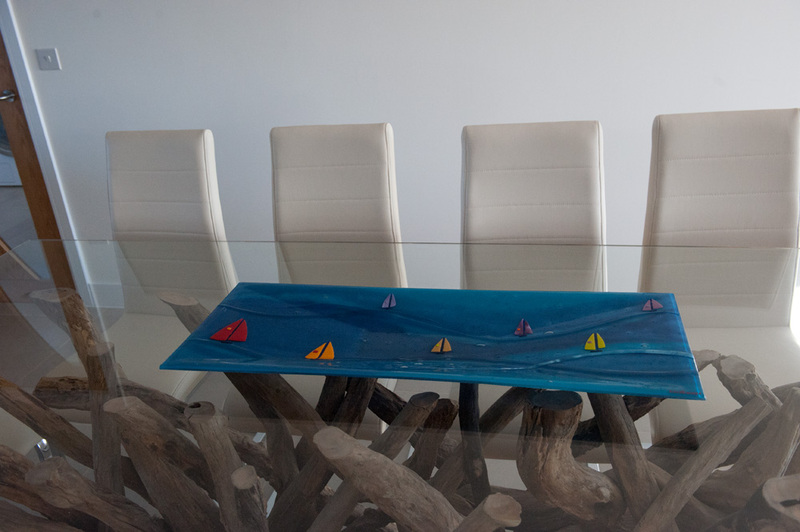 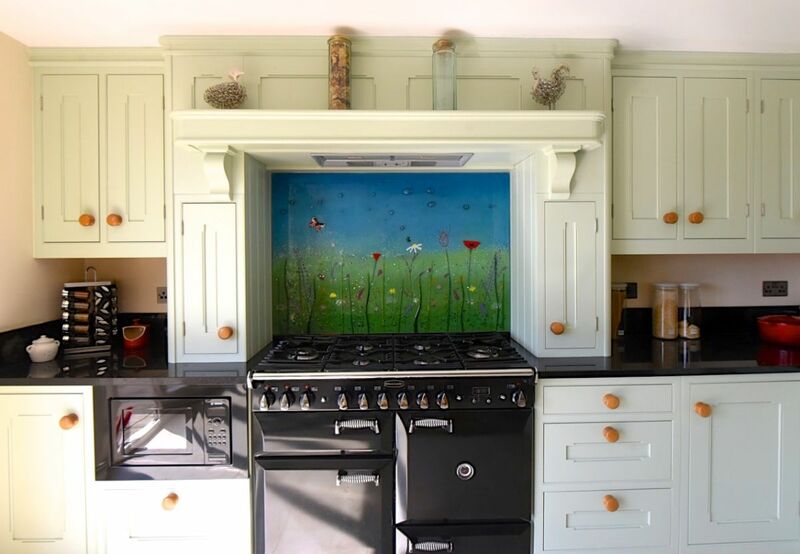 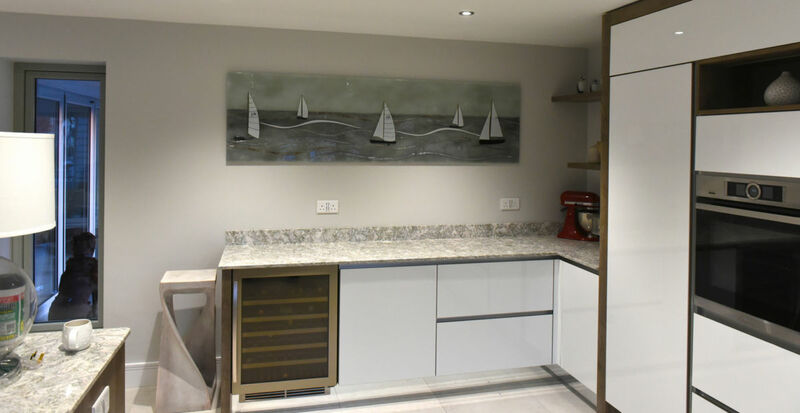 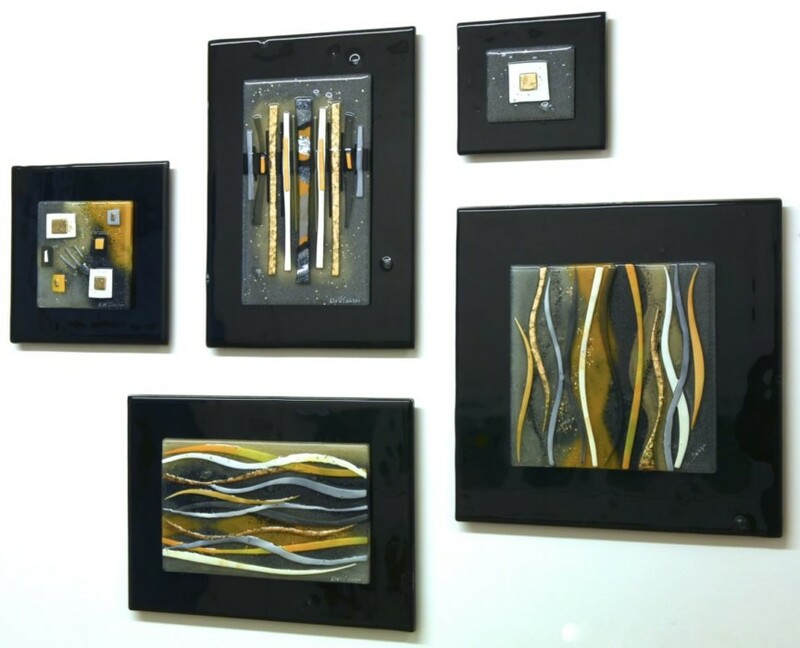 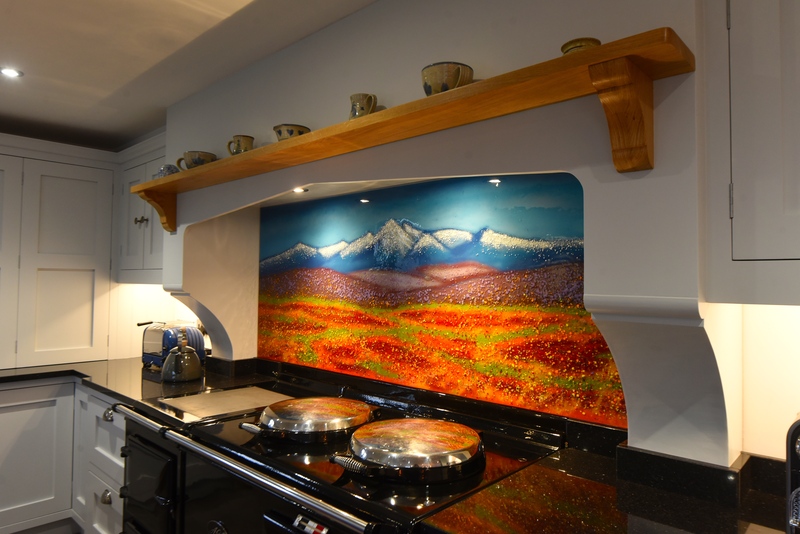 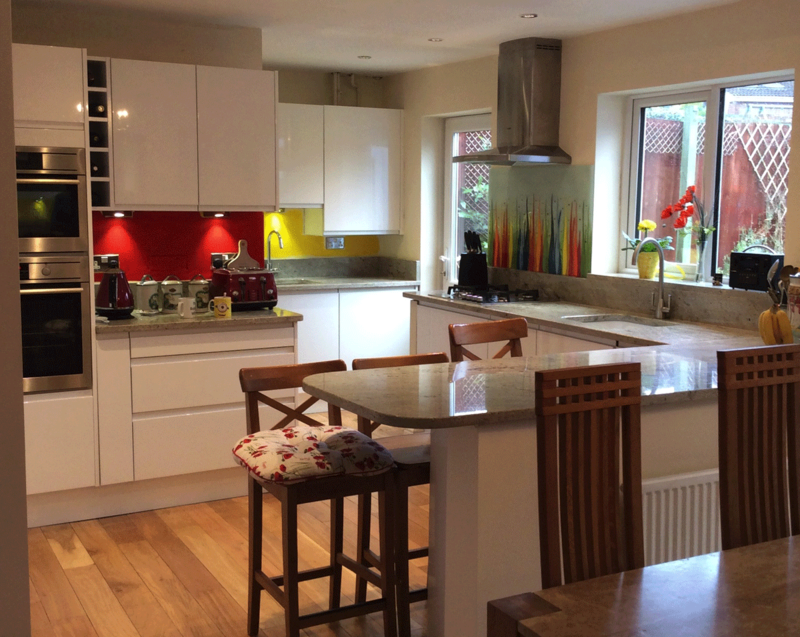 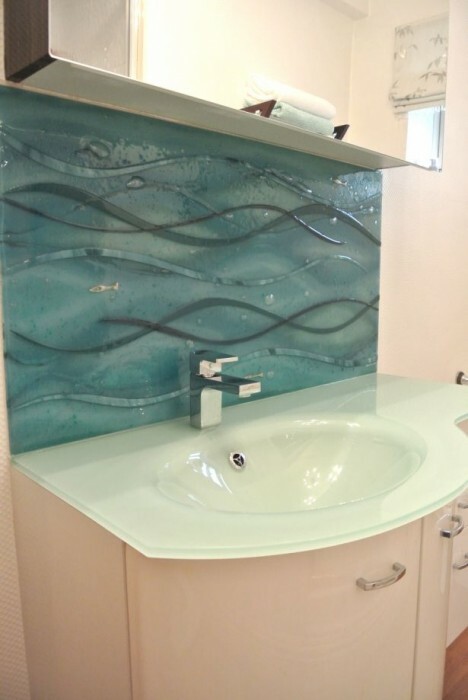 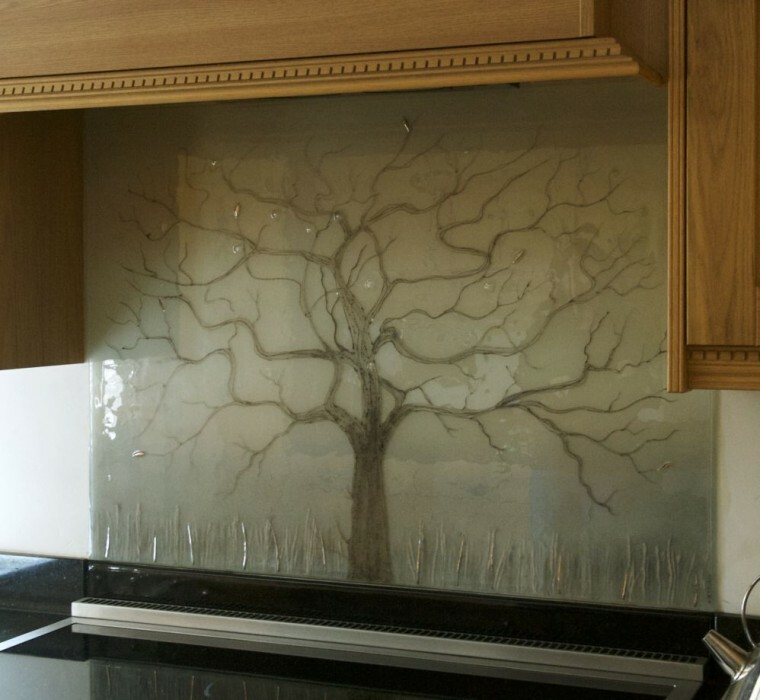 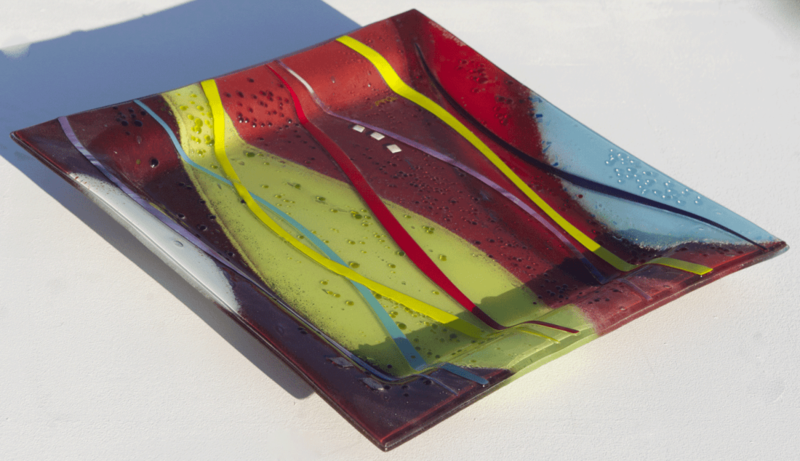 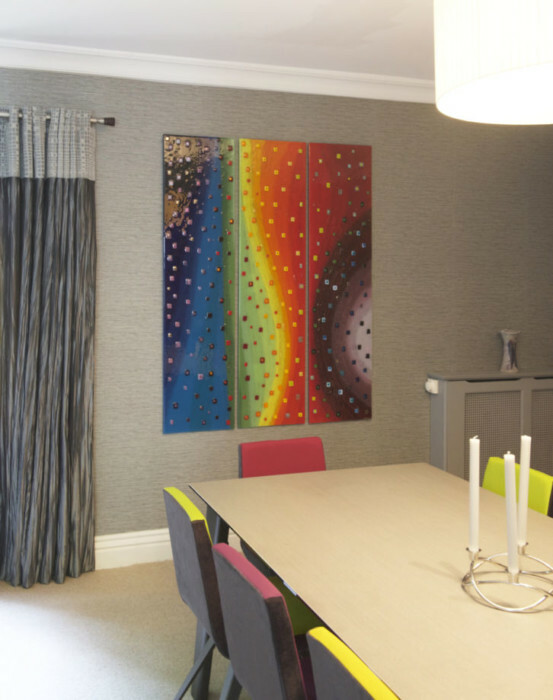 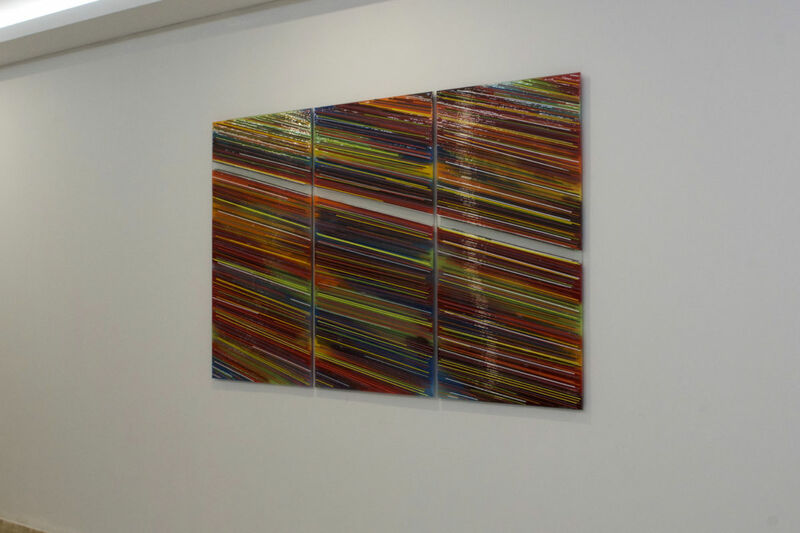 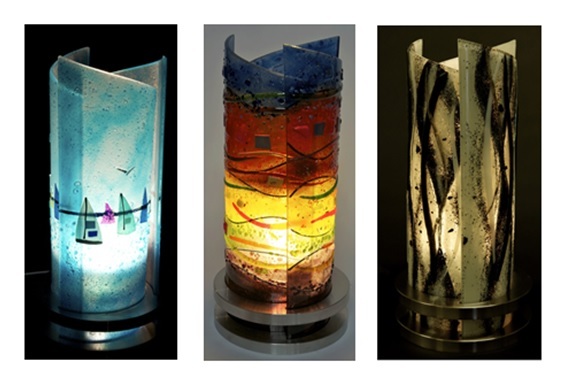 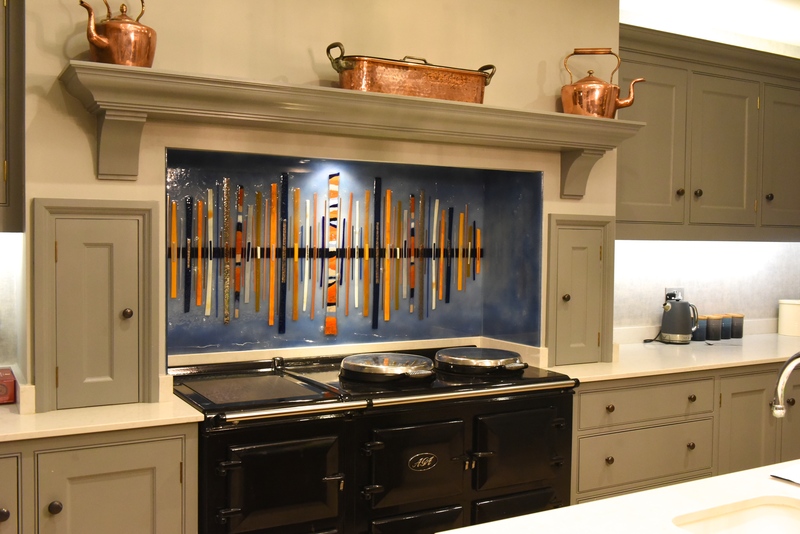 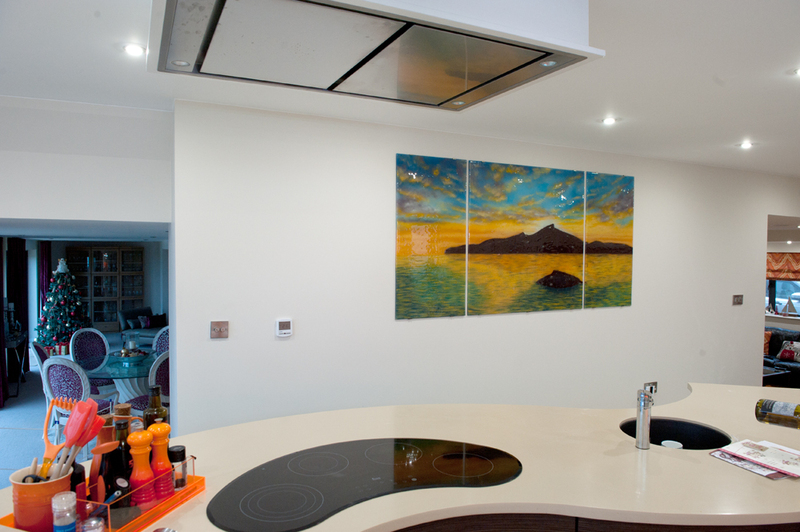 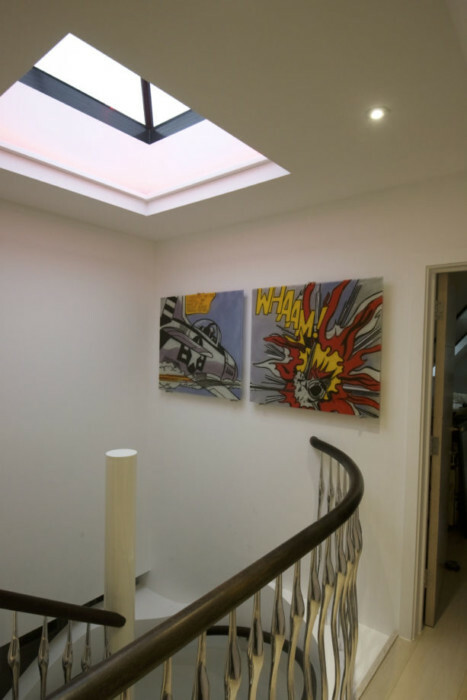 Here’s a very recent piece of fused glass art that we created and delivered to a lovely home in Bournemouth, Dorset. 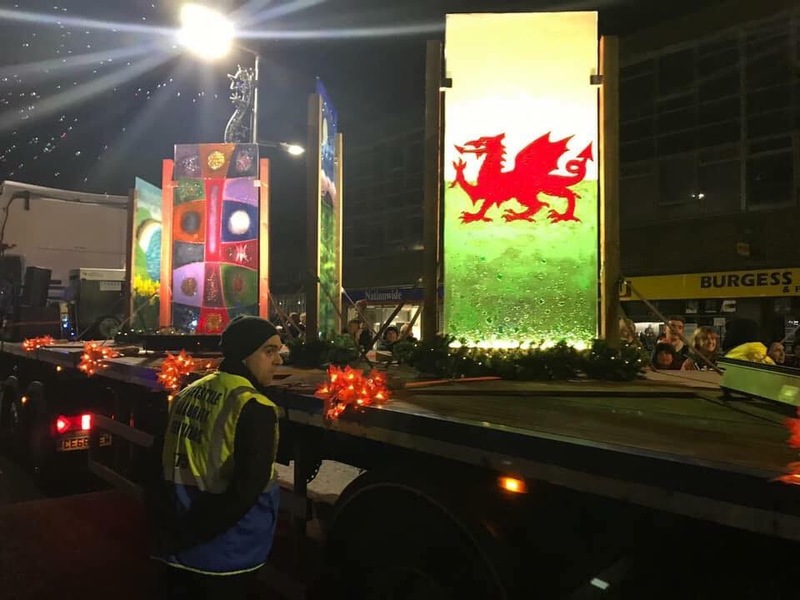 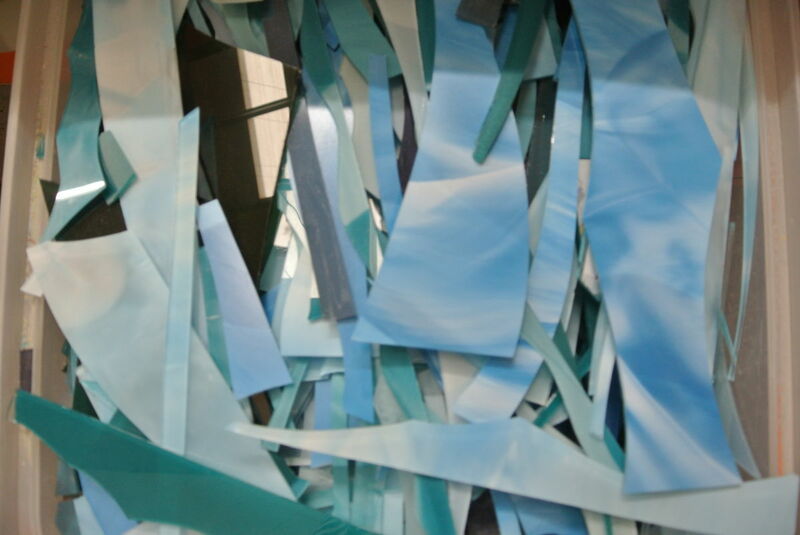 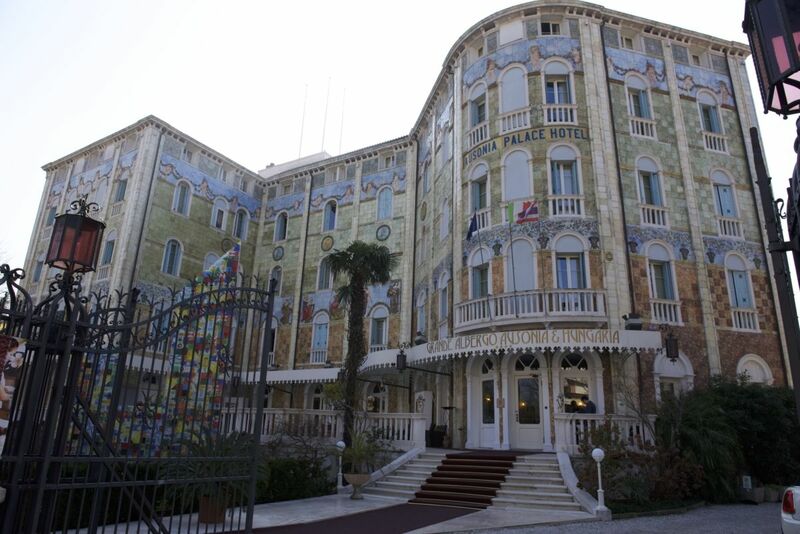 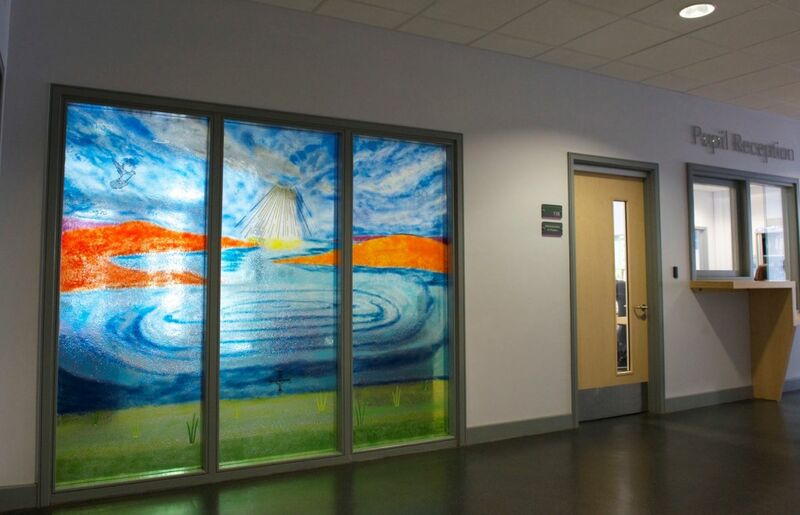 Or, because it’s made up of many panels that work together, perhaps it’d be more appropriate to call it an installation! 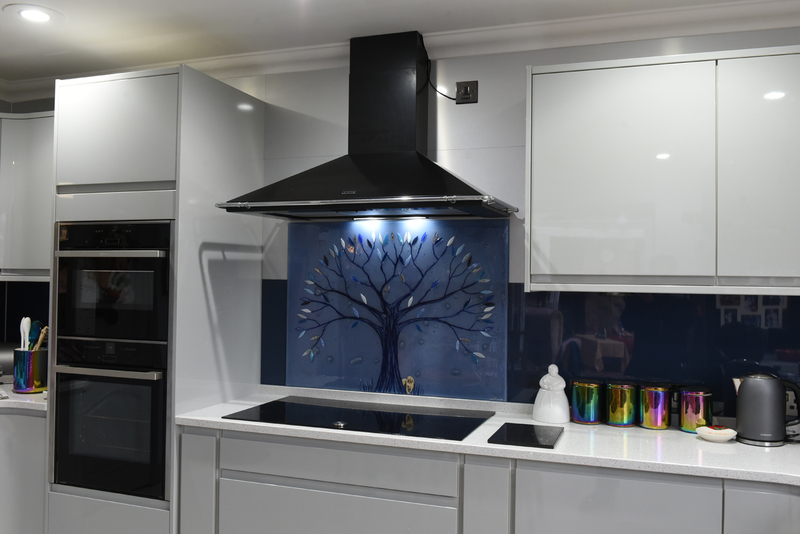 The eye-catching design of the glass is a lush white and gold, creating a very regal look that’s definitely there to impress. 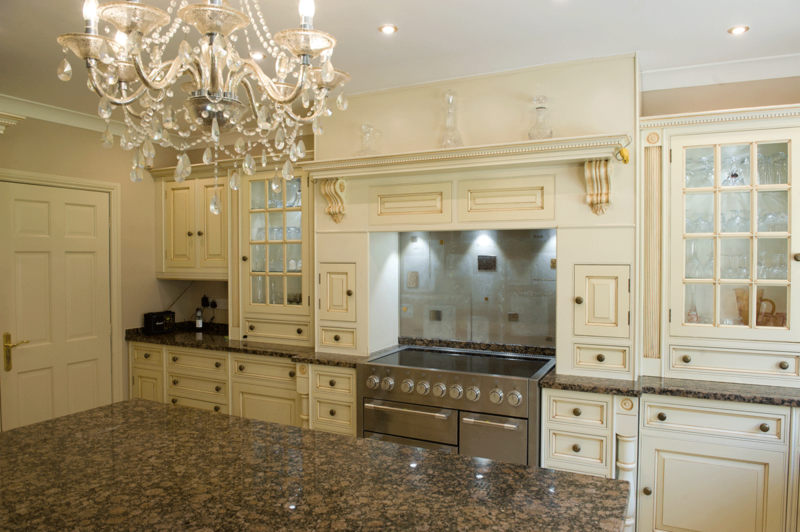 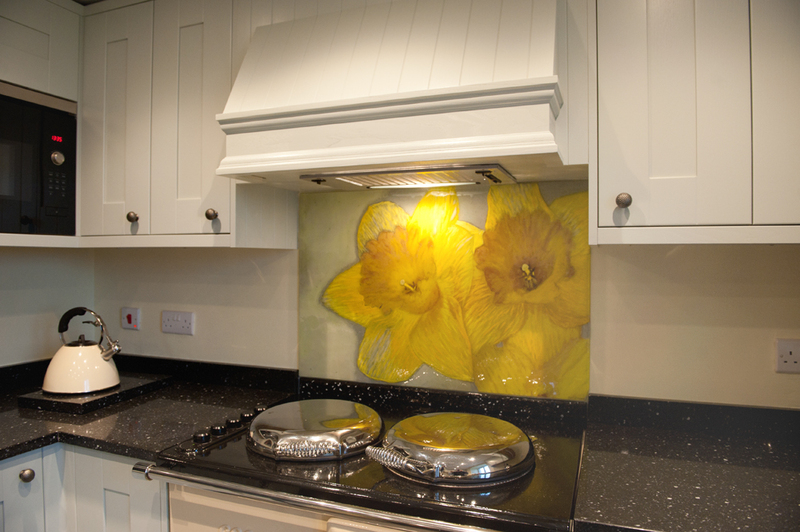 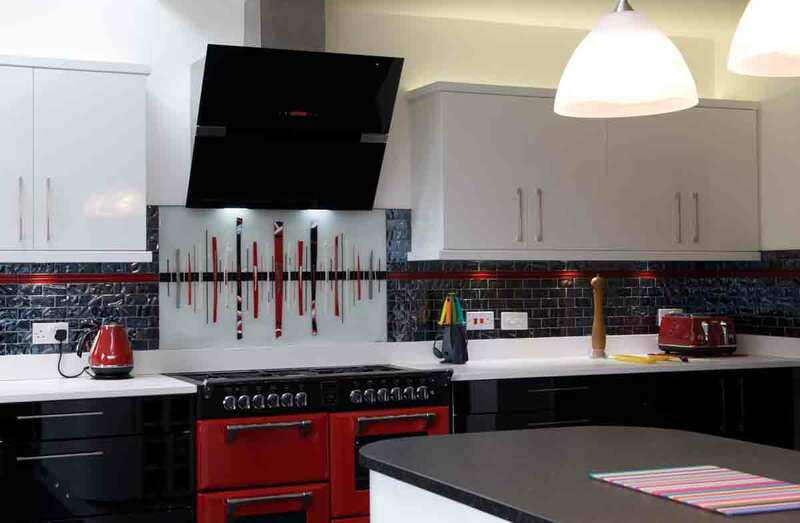 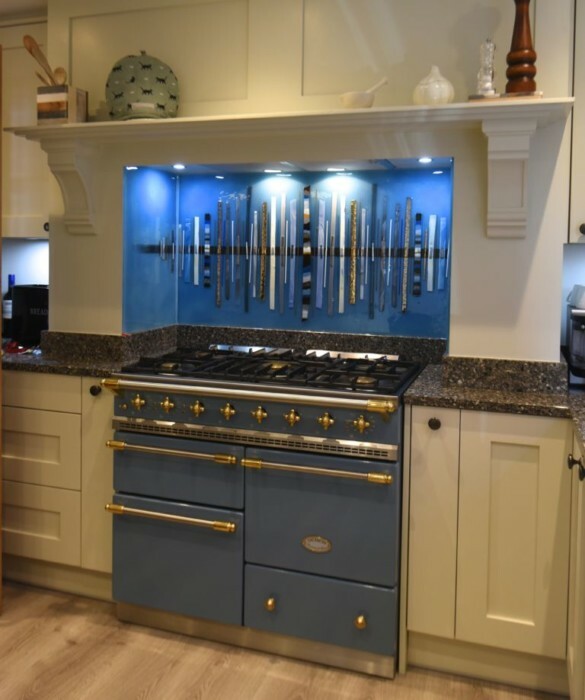 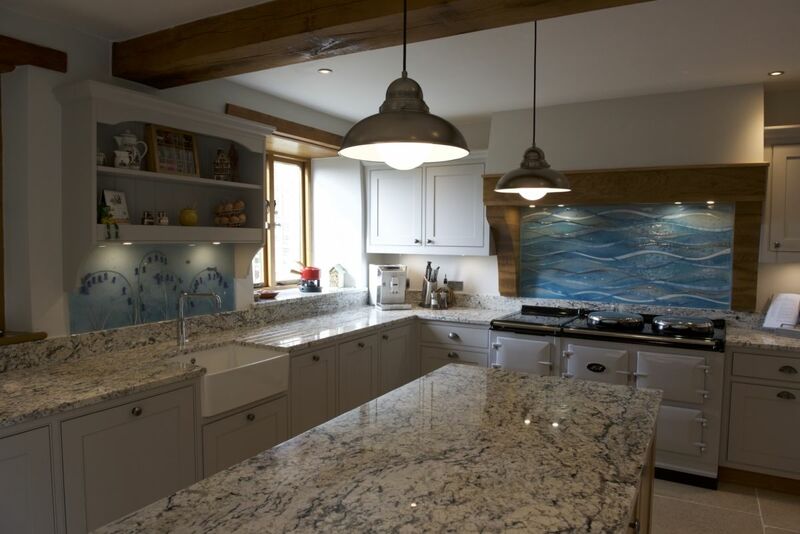 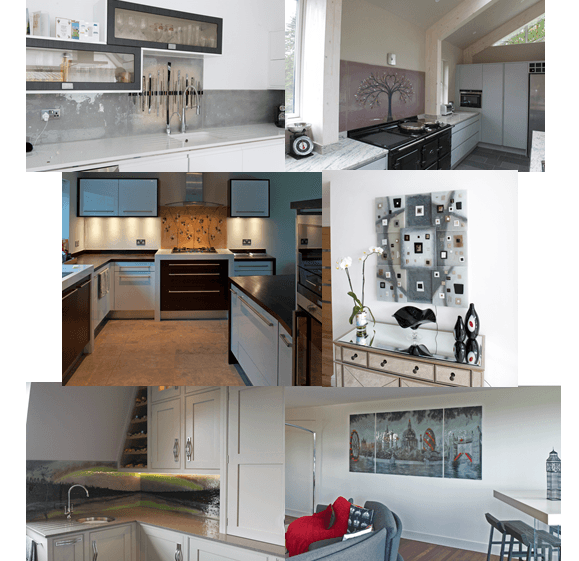 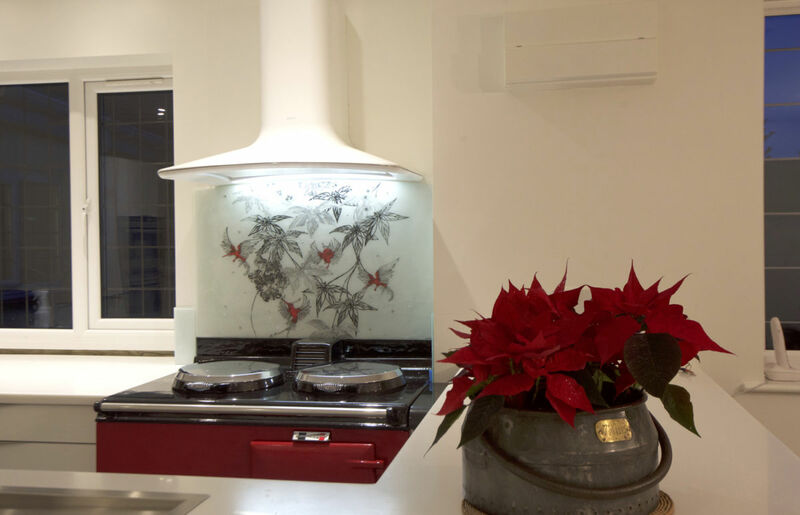 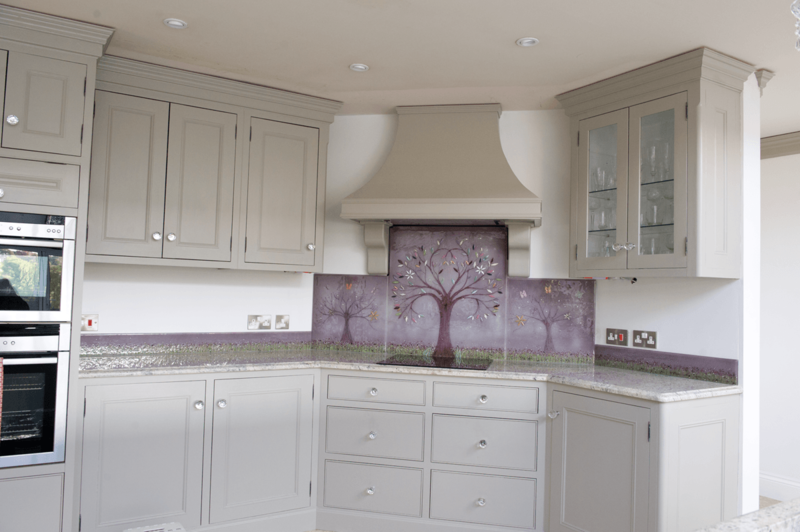 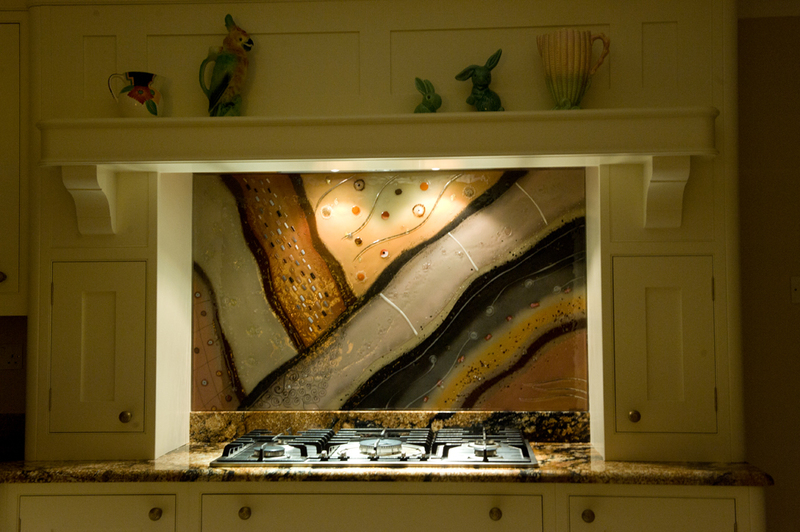 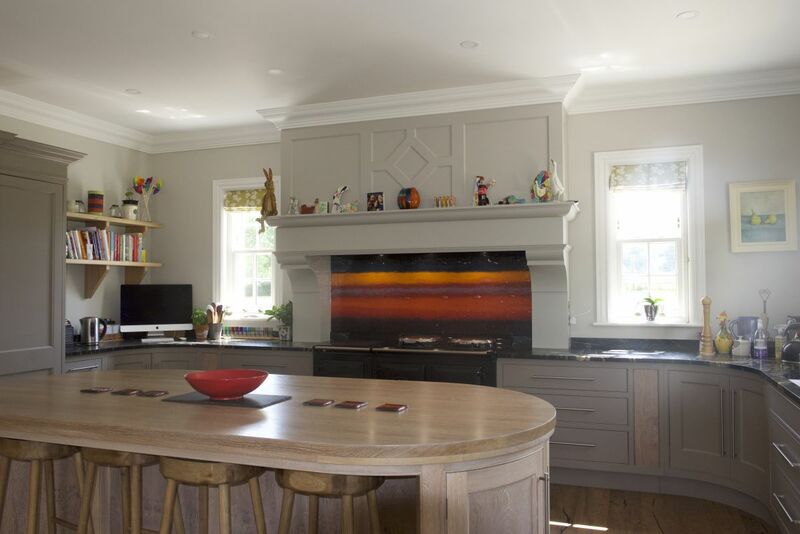 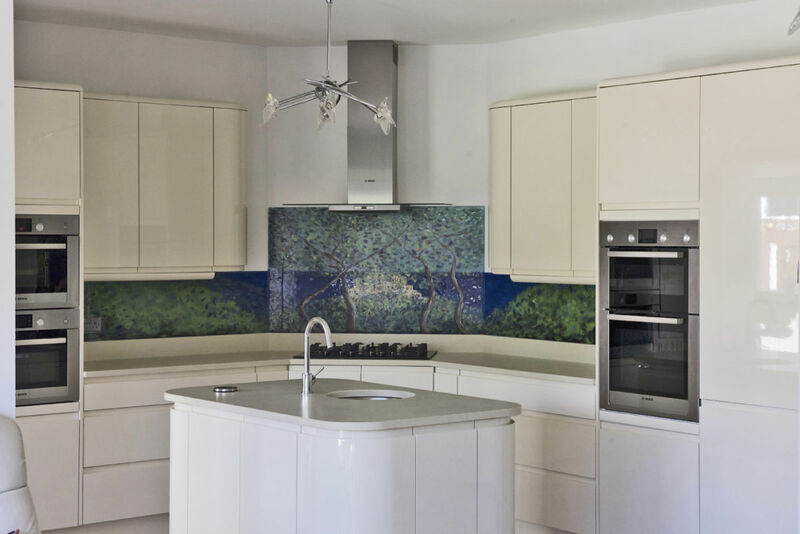 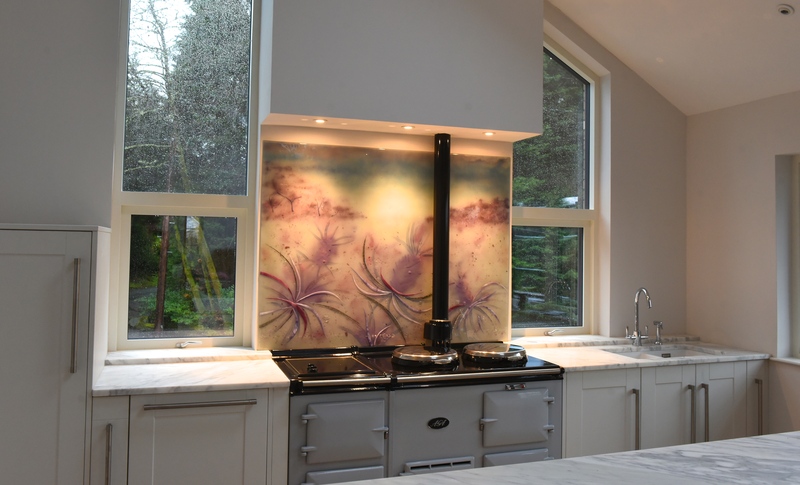 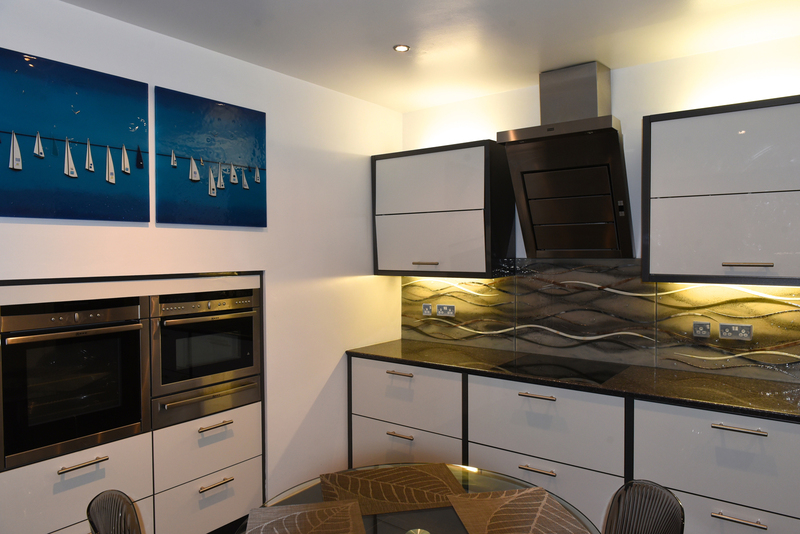 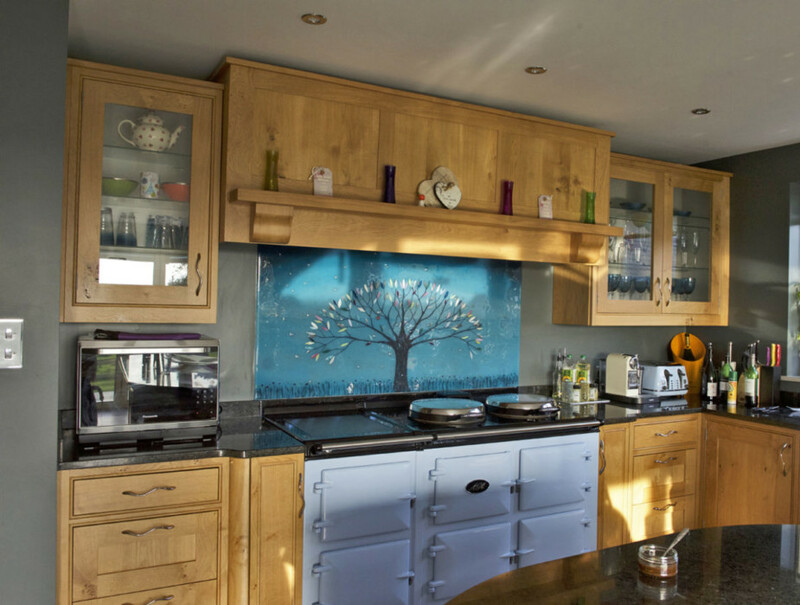 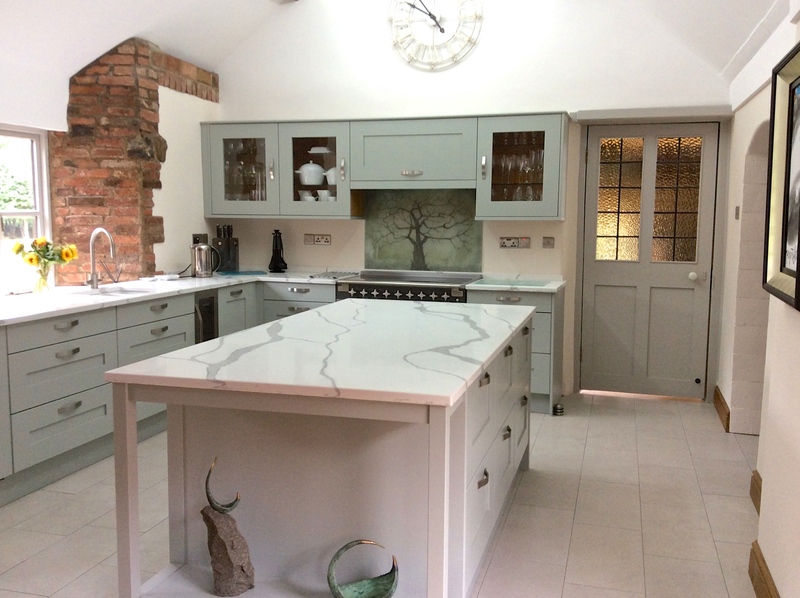 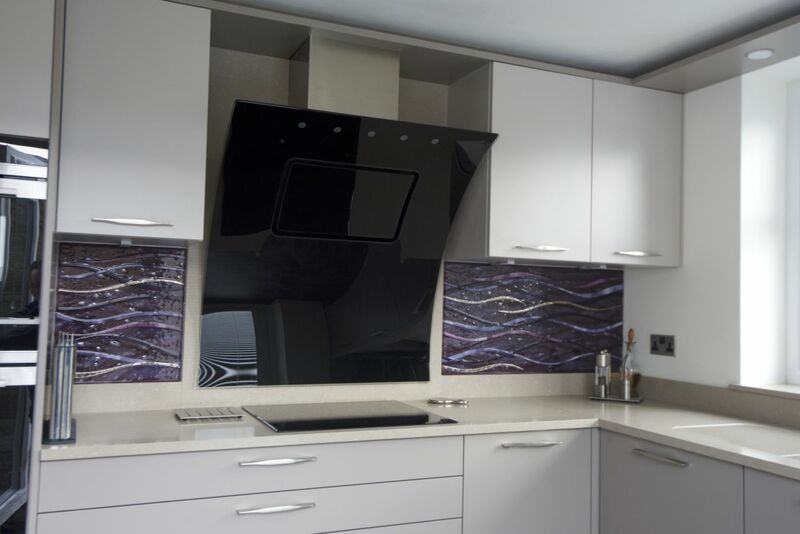 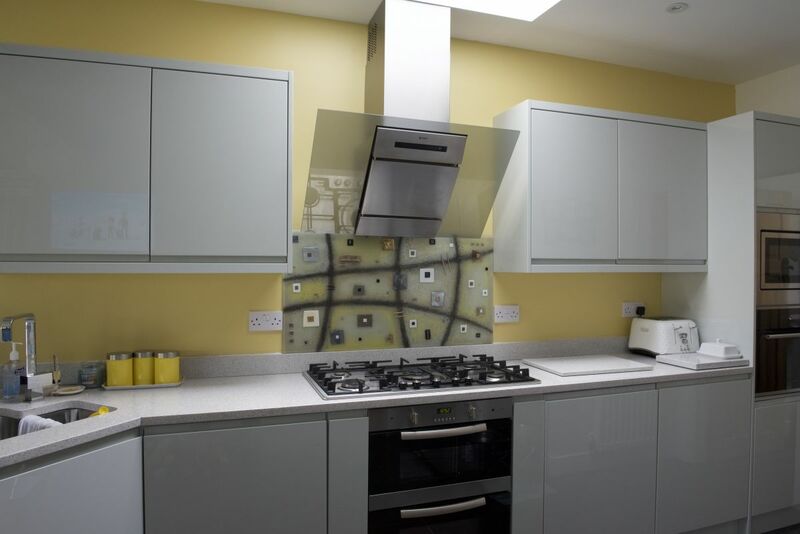 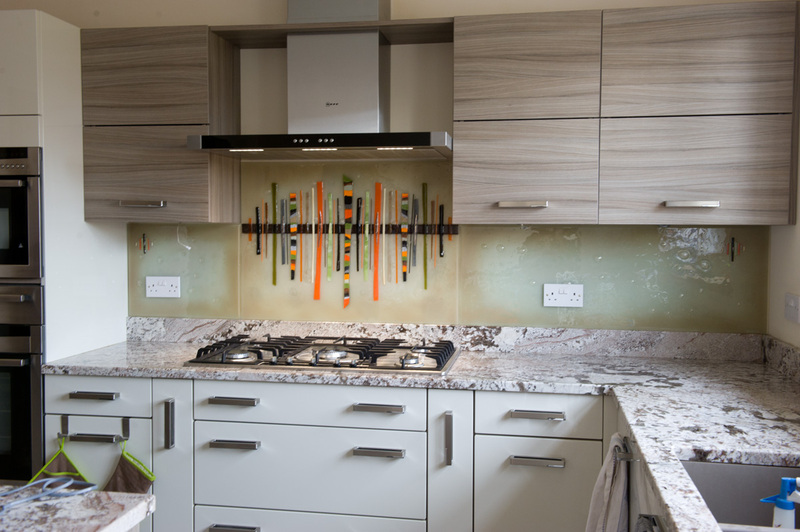 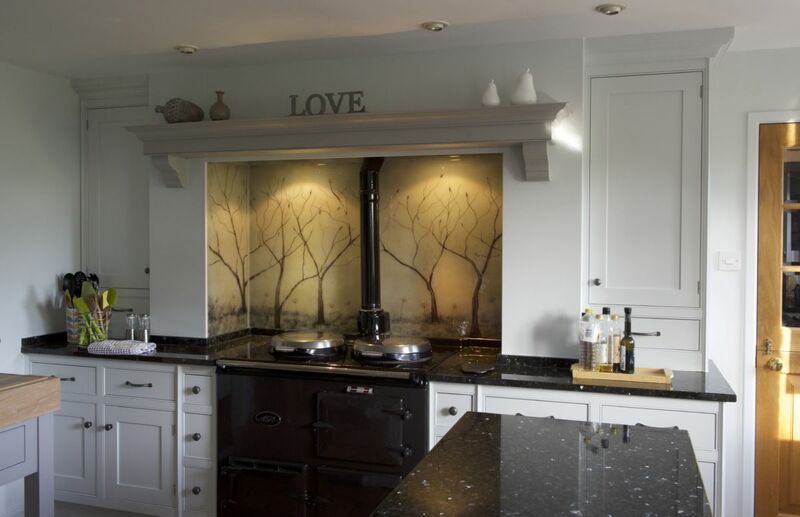 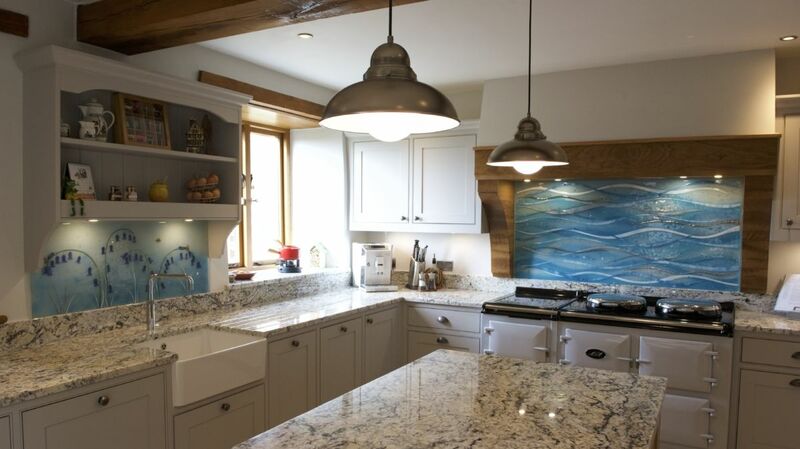 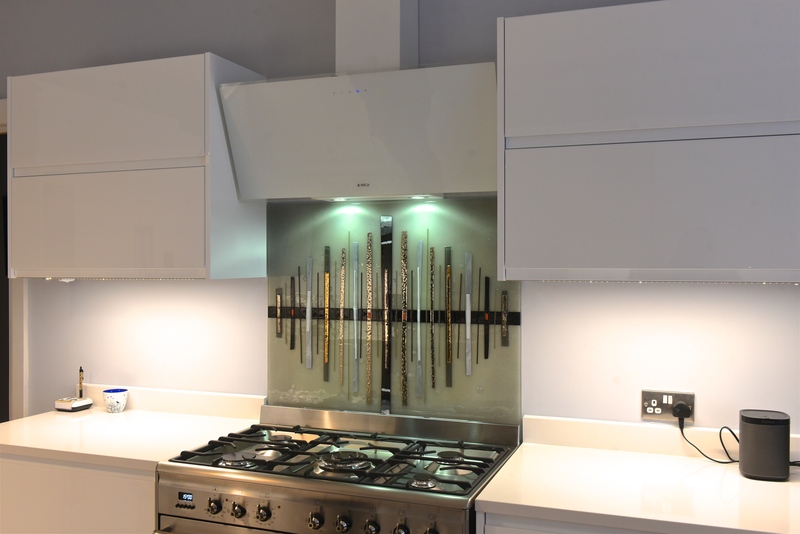 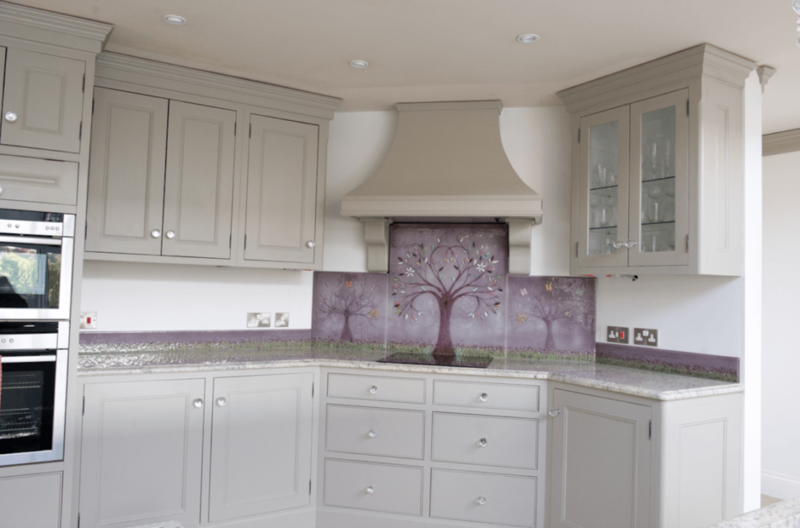 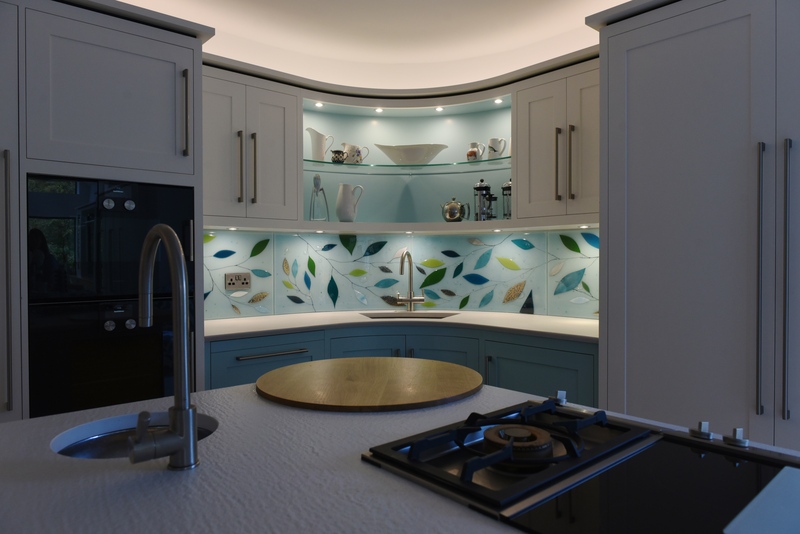 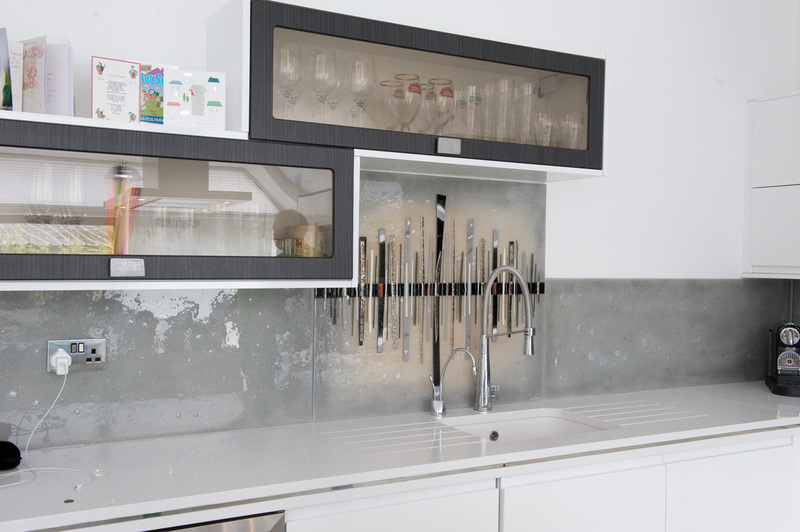 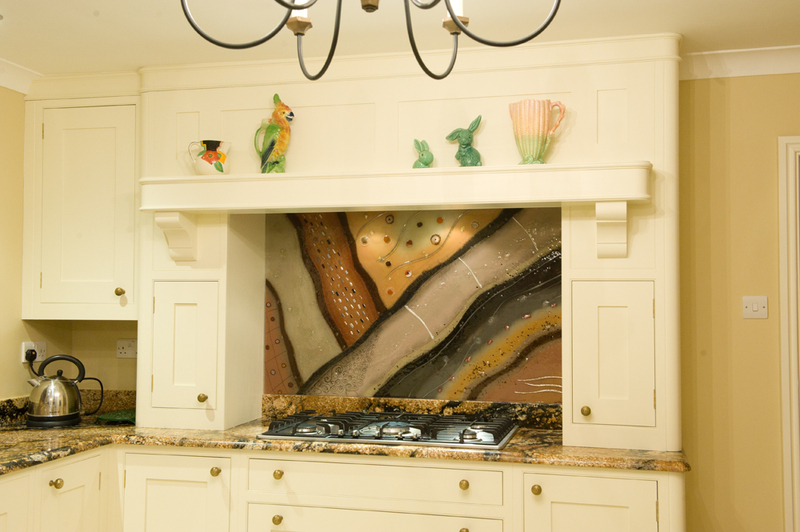 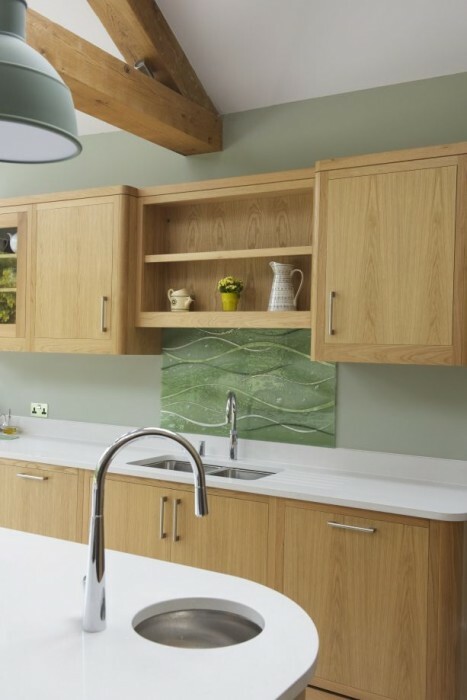 At the centre of the main splashback, a golden fleur-de-lis sits proudly anchored as the main basis for the design. 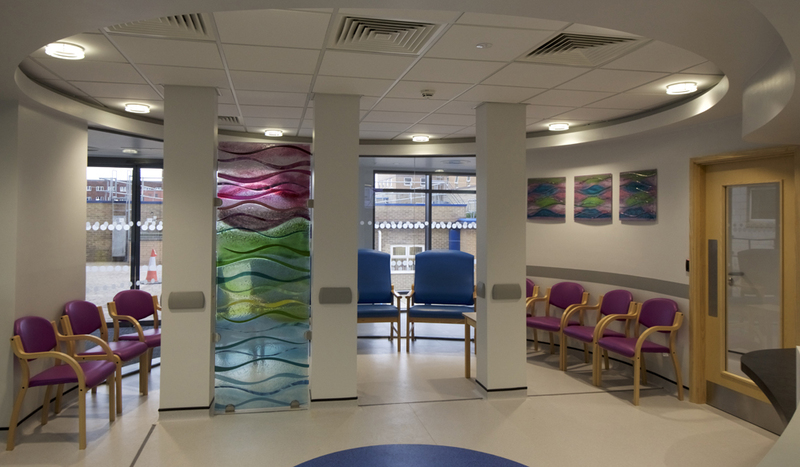 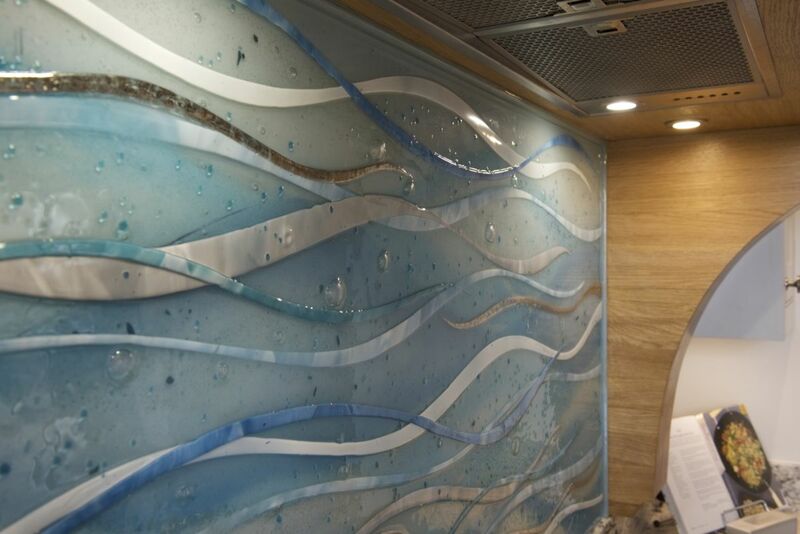 Gorgeous swirling strands of scrollwork flow outwards from around it, reaching out across the many panels which comprise the installation. 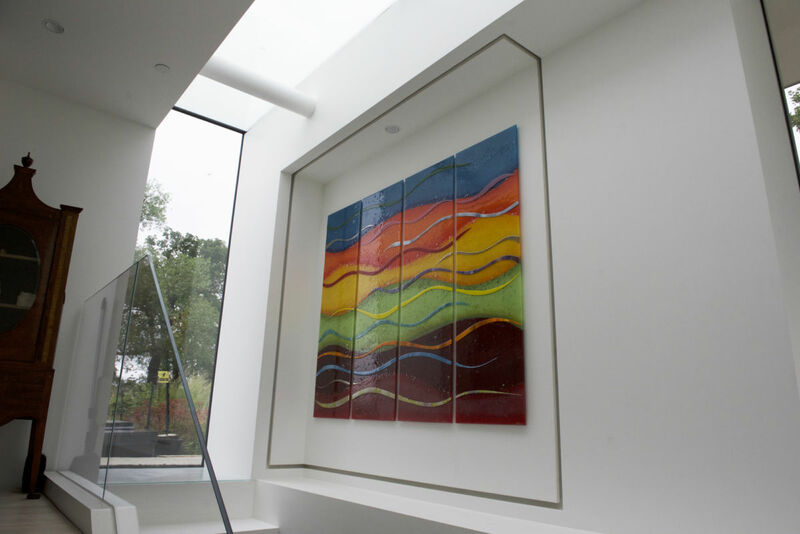 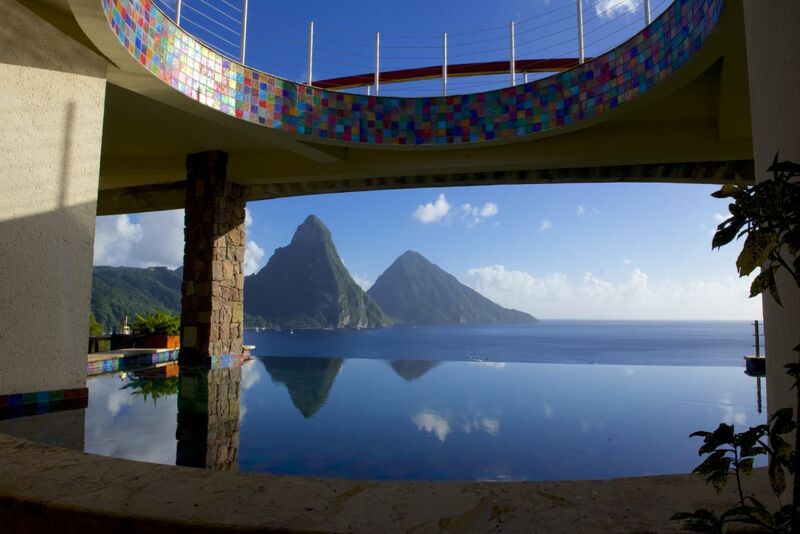 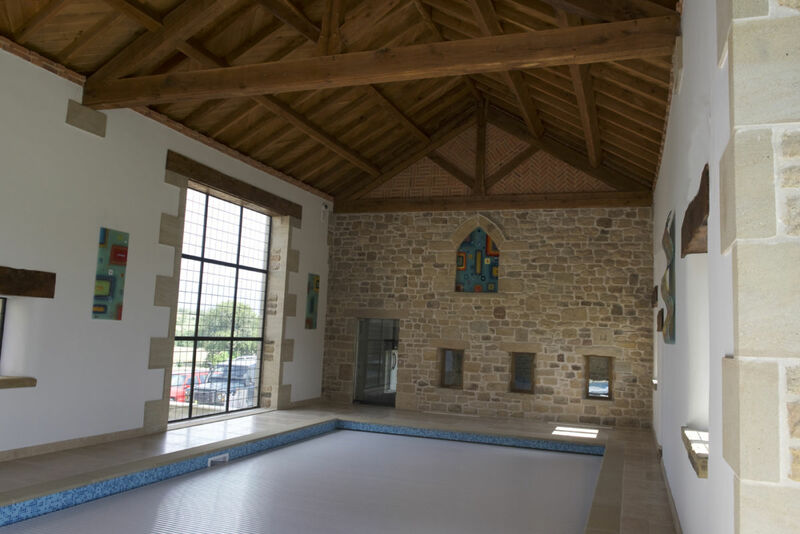 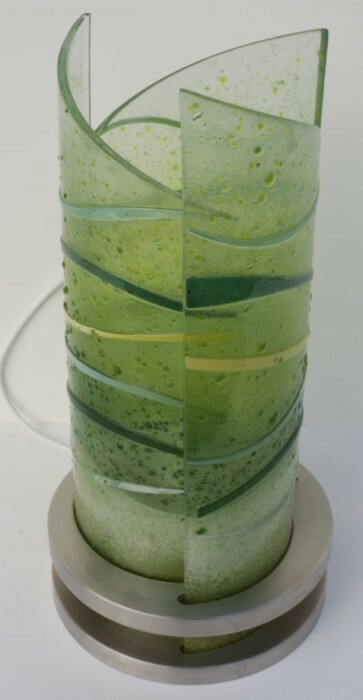 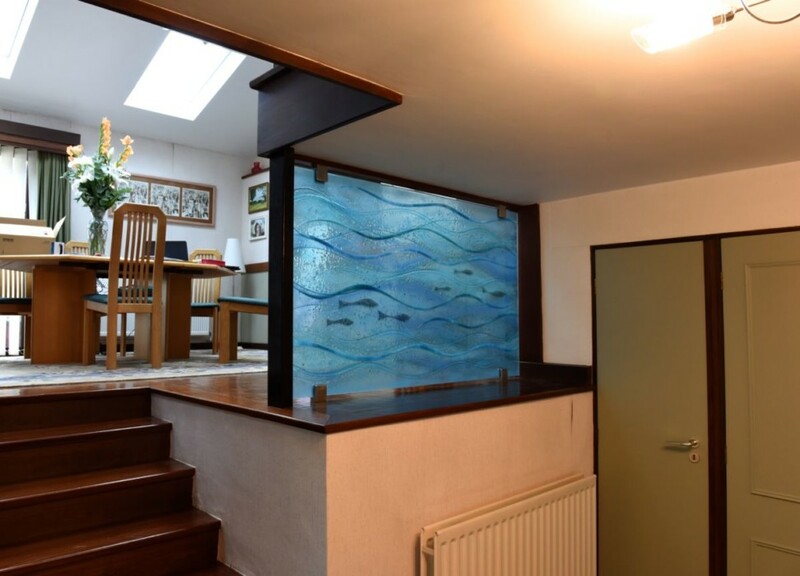 There’s a definite sense of flow when you view the glass, especially when you consider that the panels continue even further than what you see pictured in the photo above. 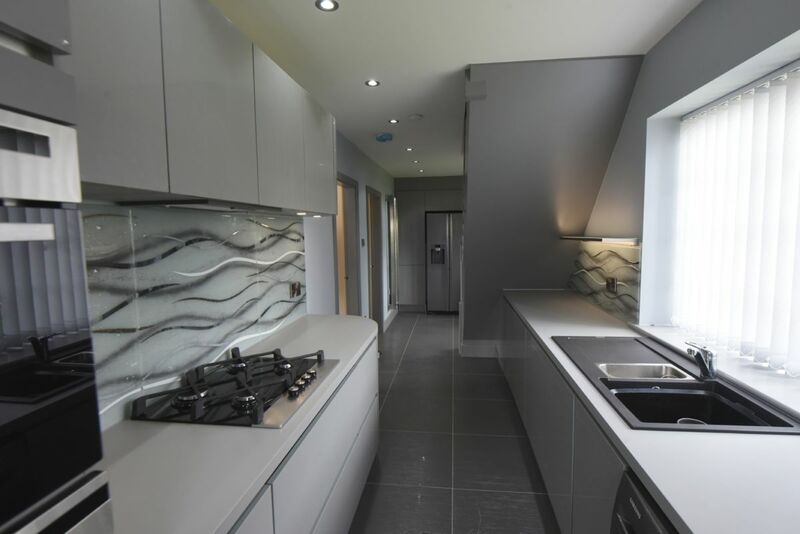 It’s an immersive design that puts you right in the centre of the experience, and the full effect is one you have to really see to believe. 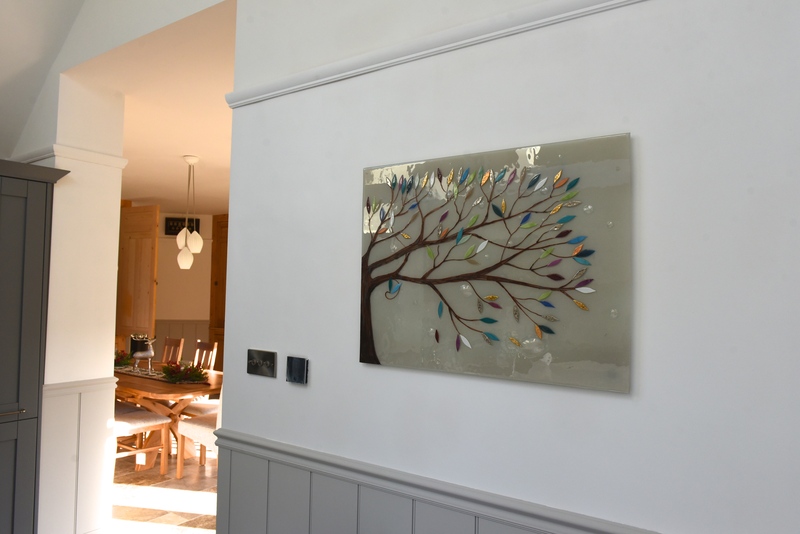 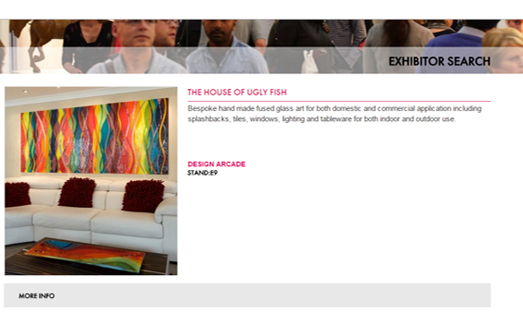 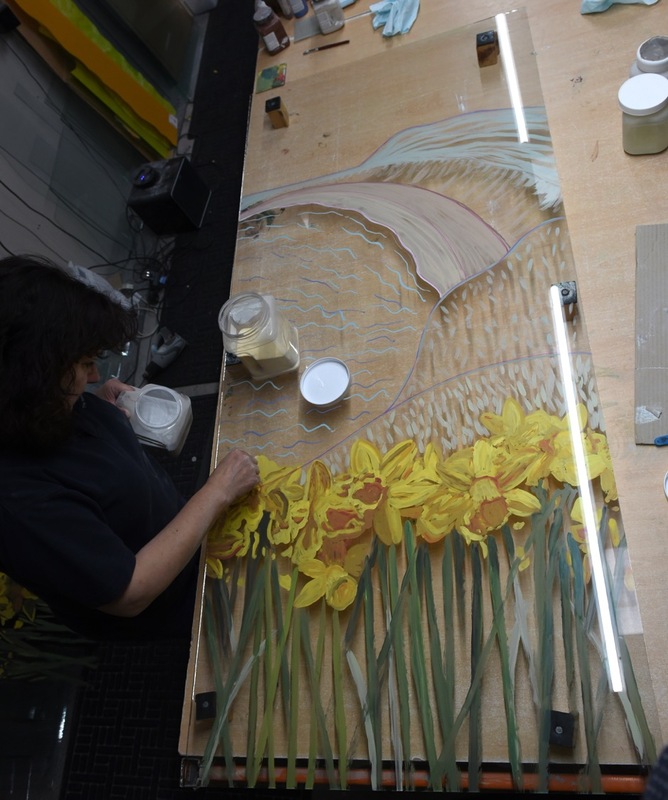 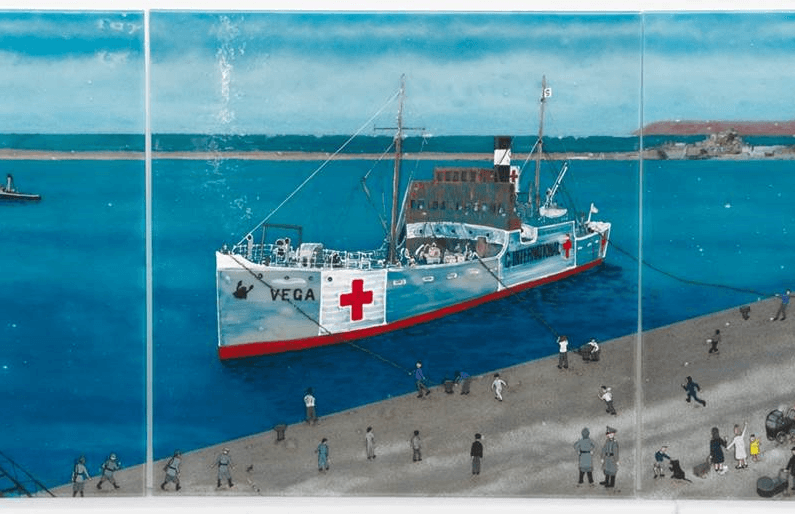 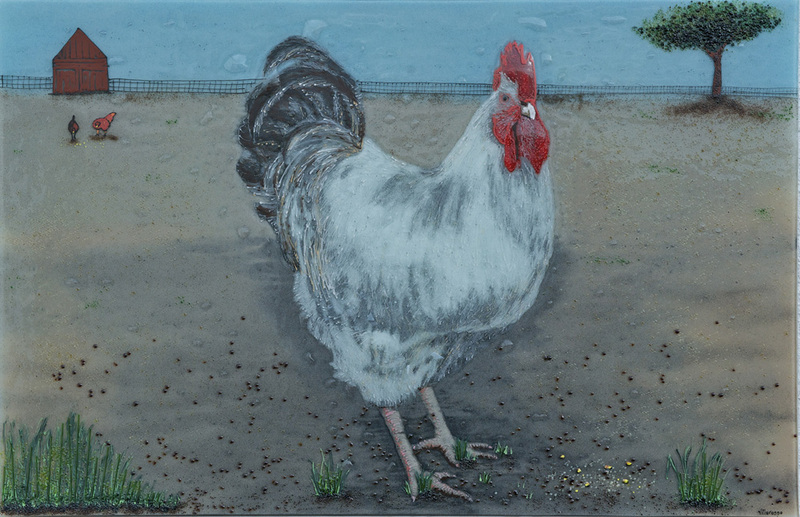 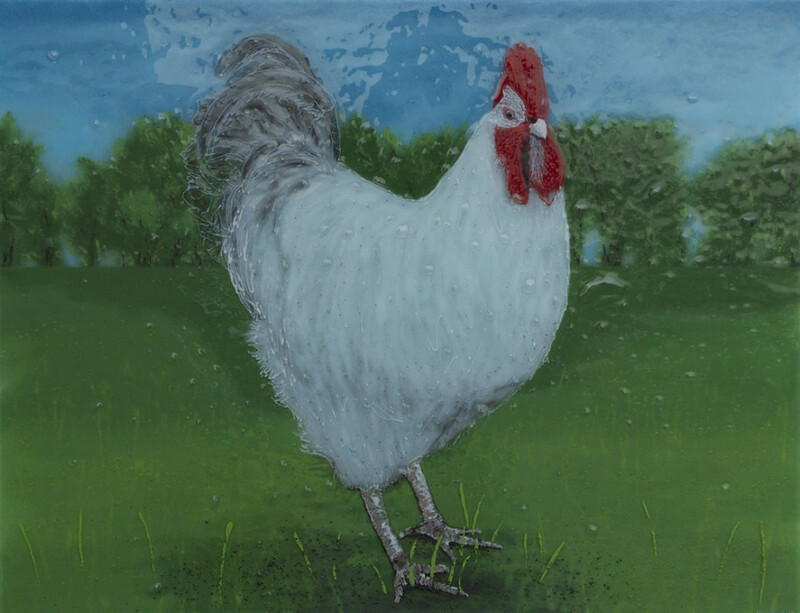 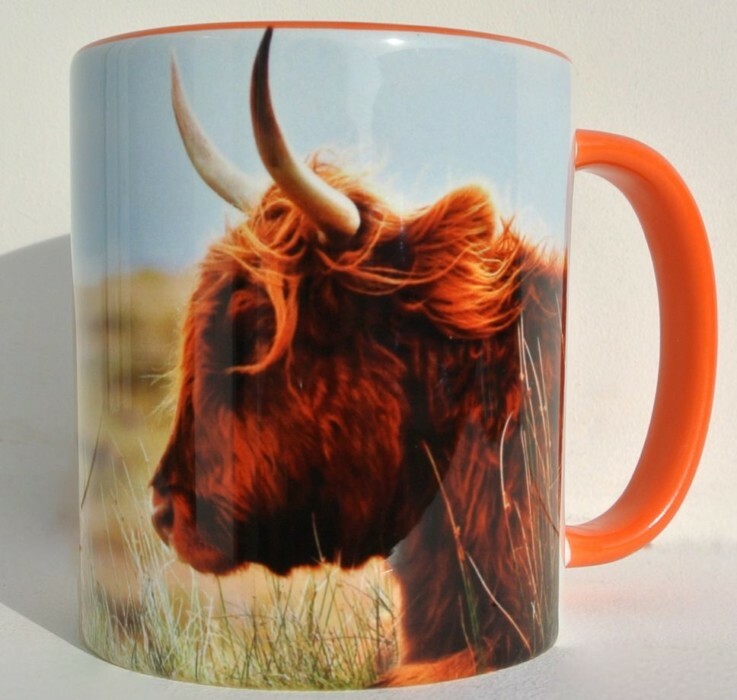 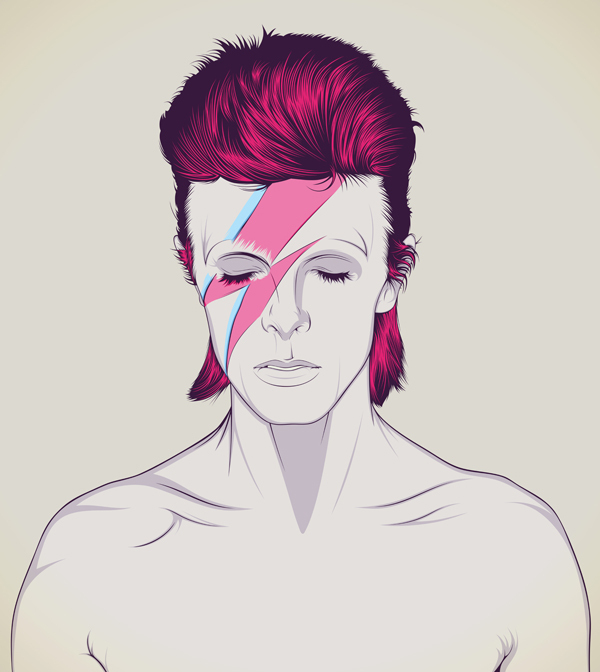 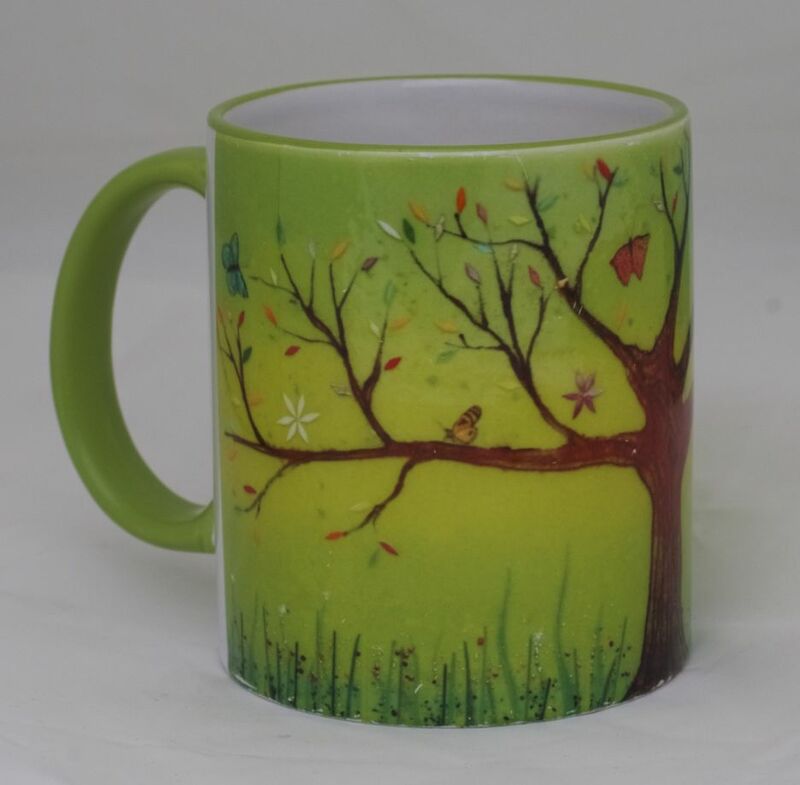 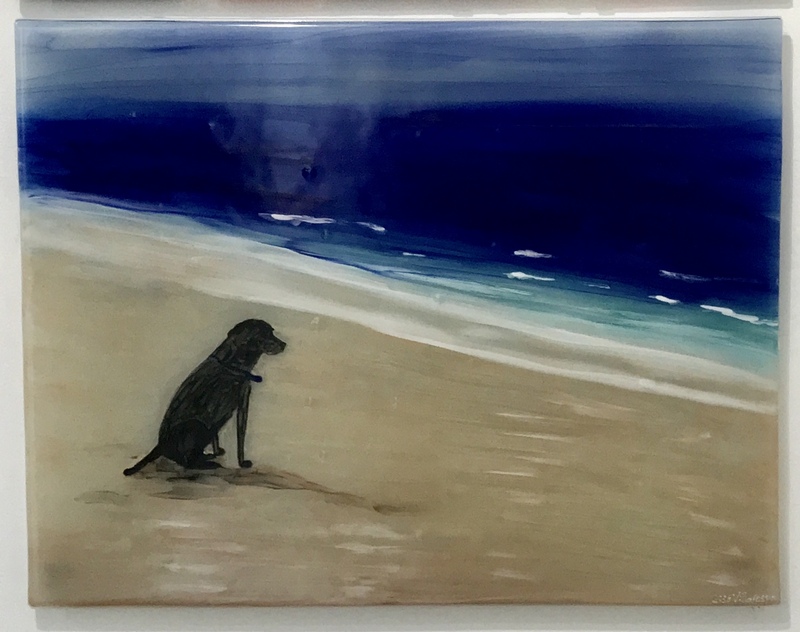 Your very own piece of fused glass art could look just like this one, so make sure you don’t hesitate to get in touch as soon as you can. 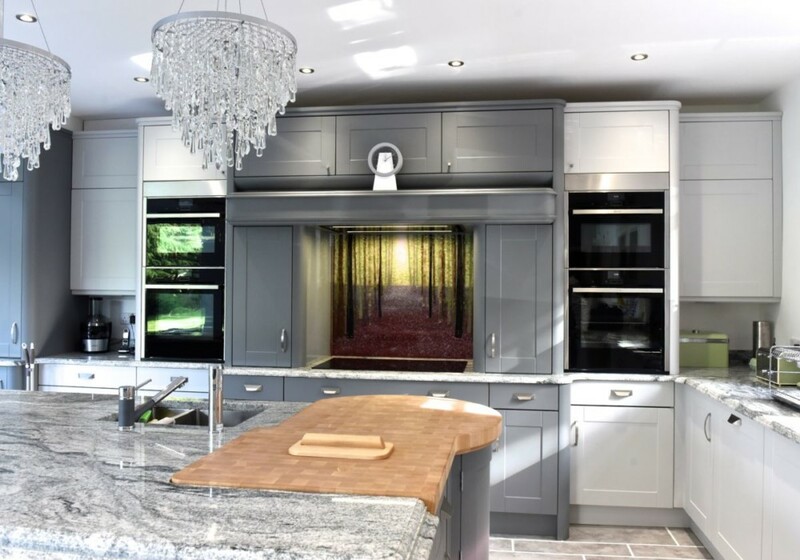 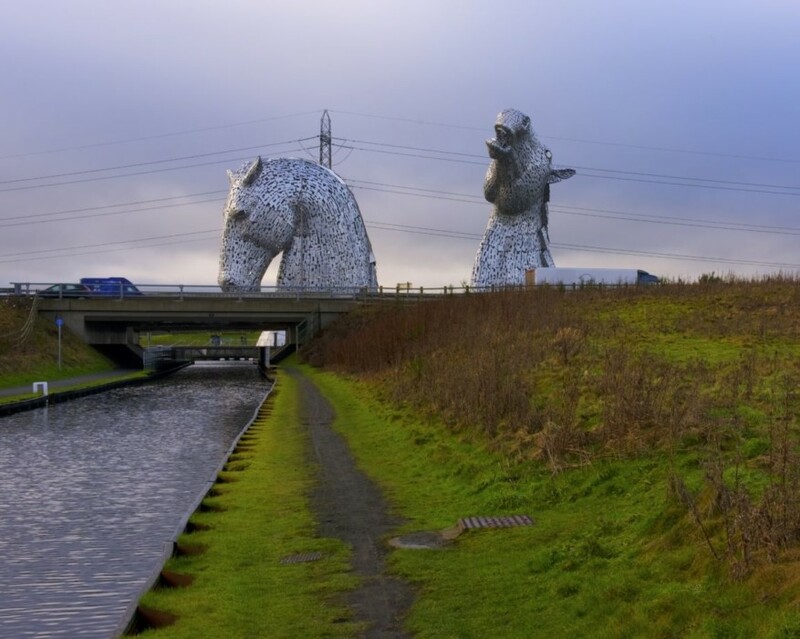 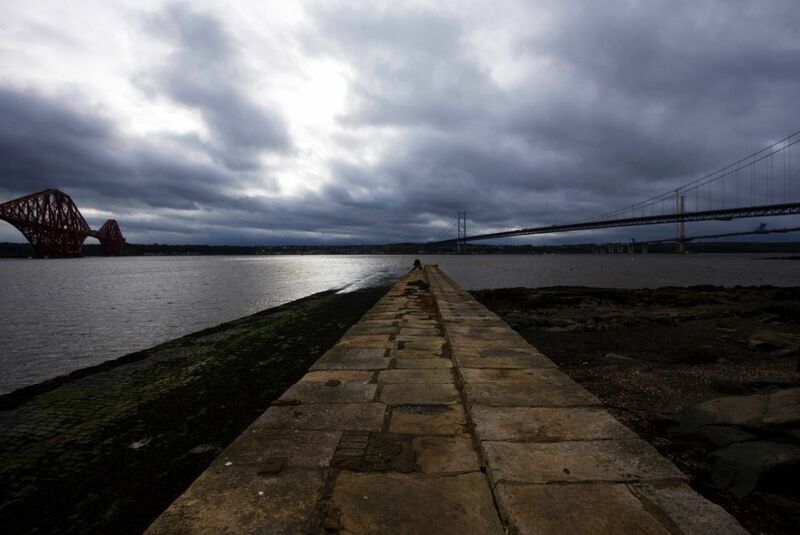 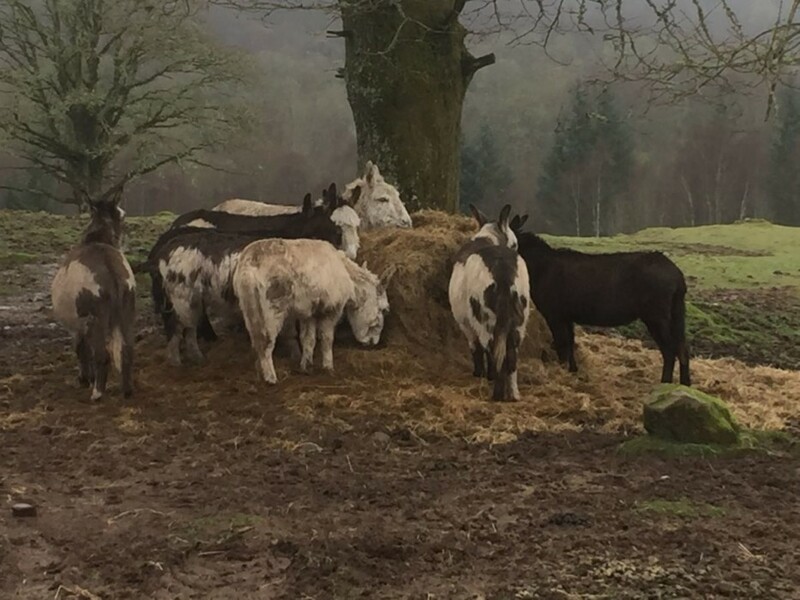 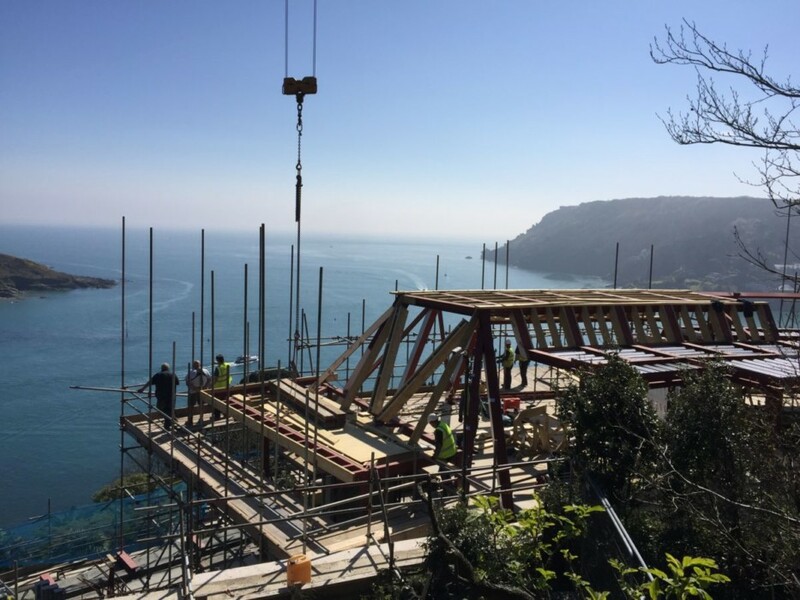 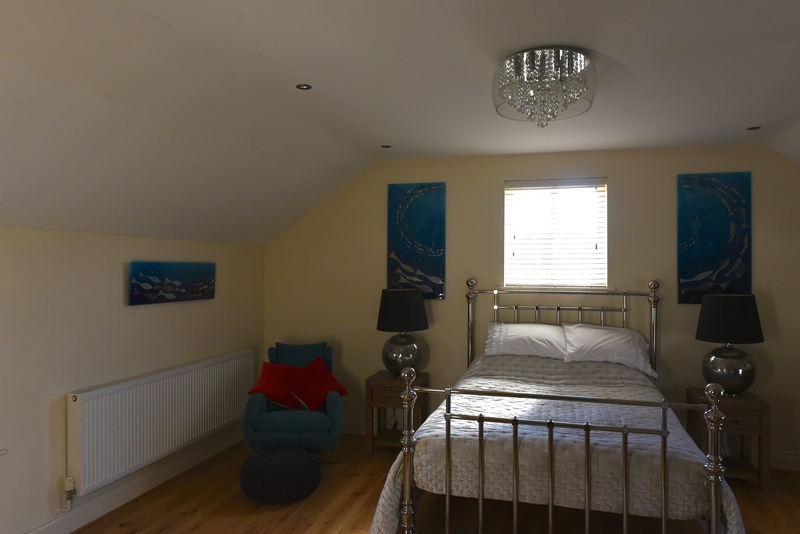 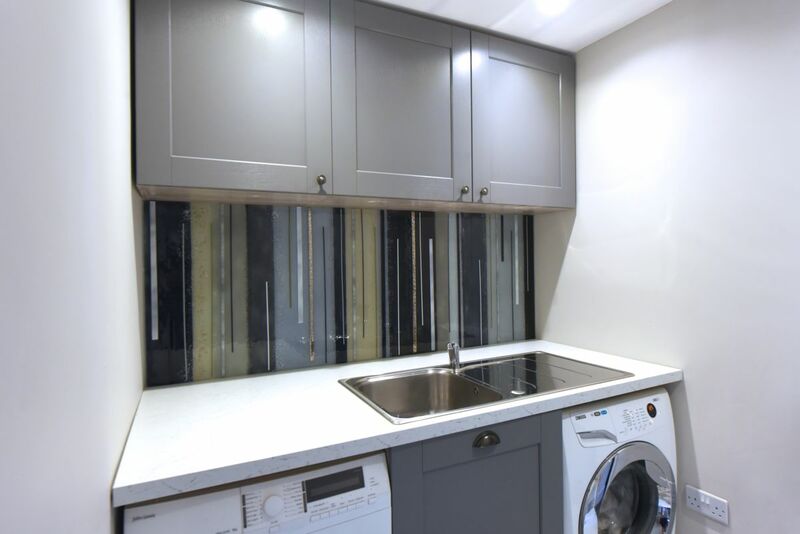 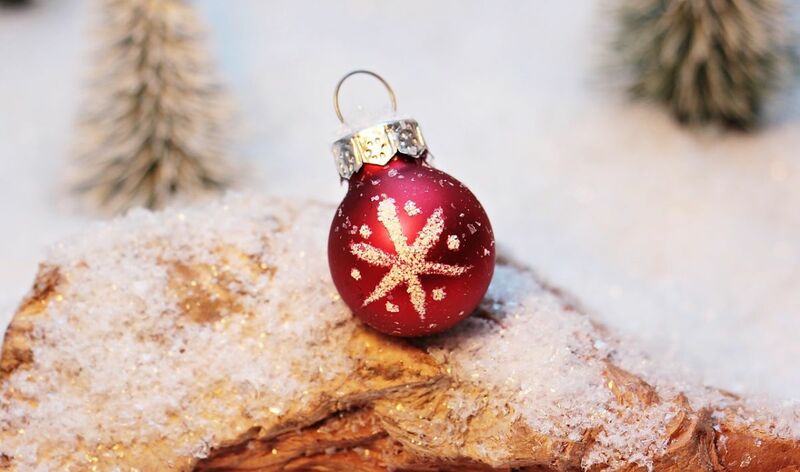 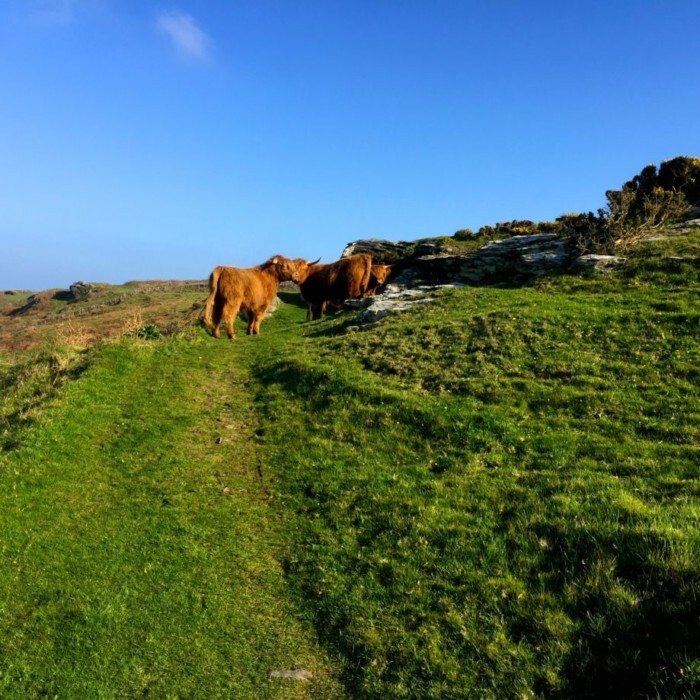 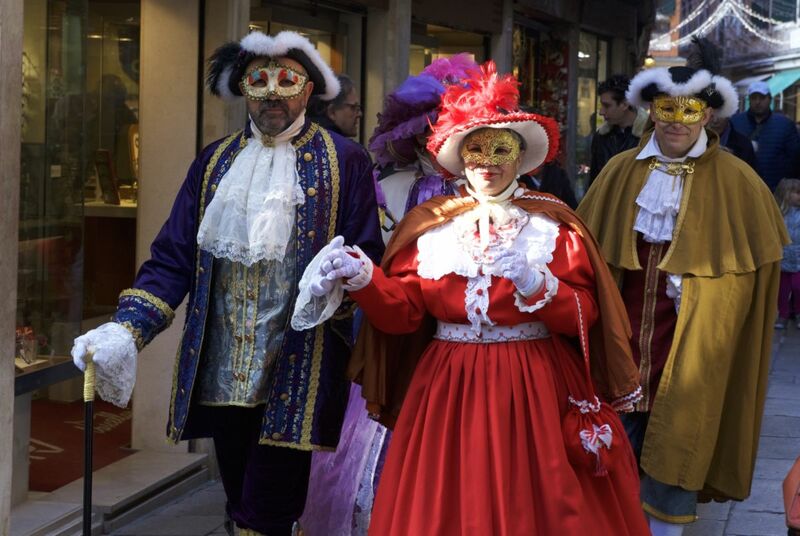 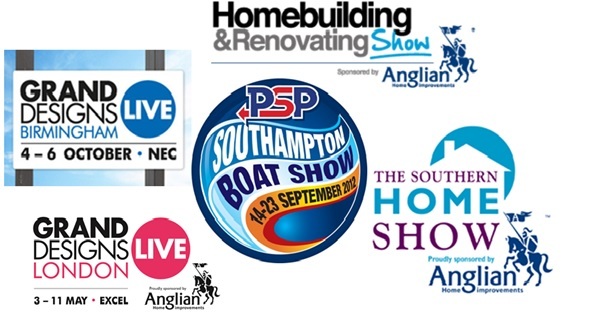 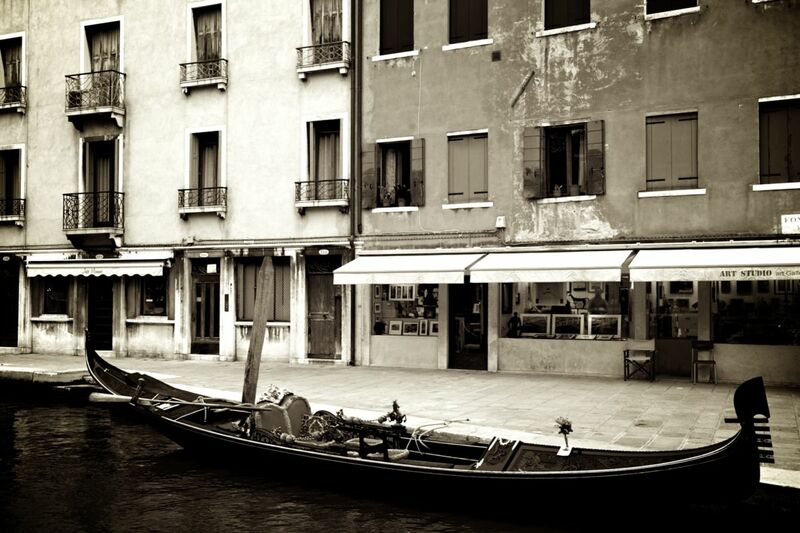 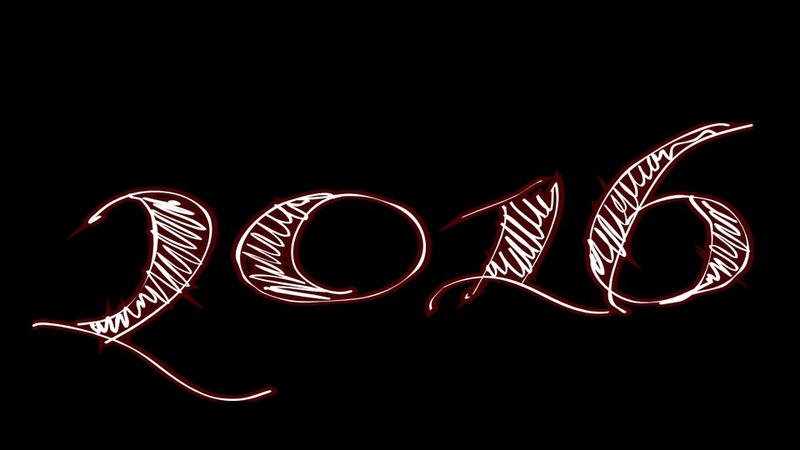 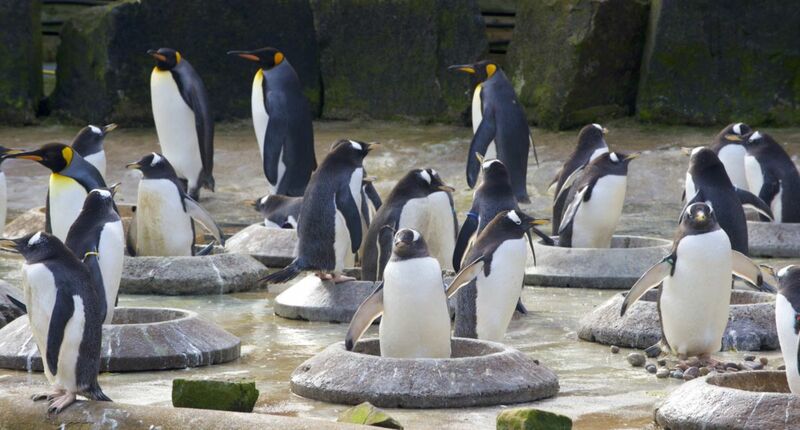 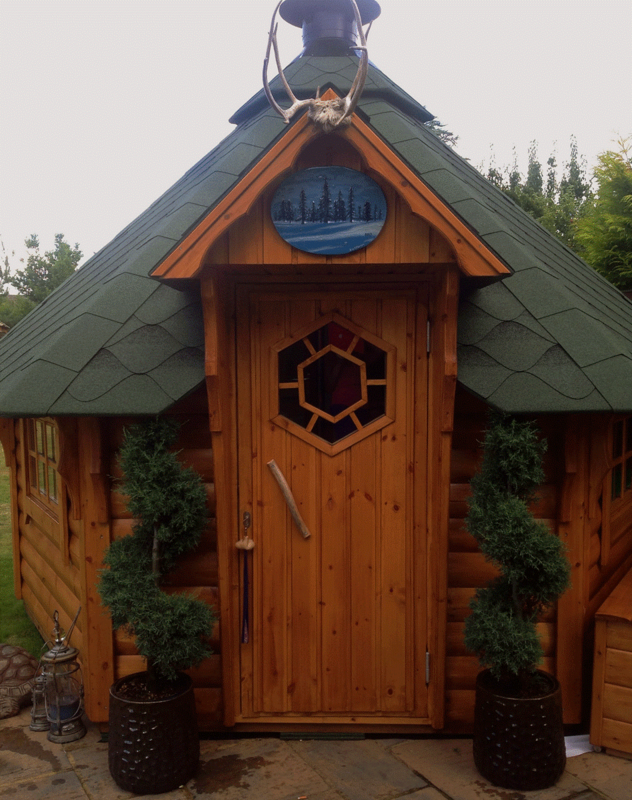 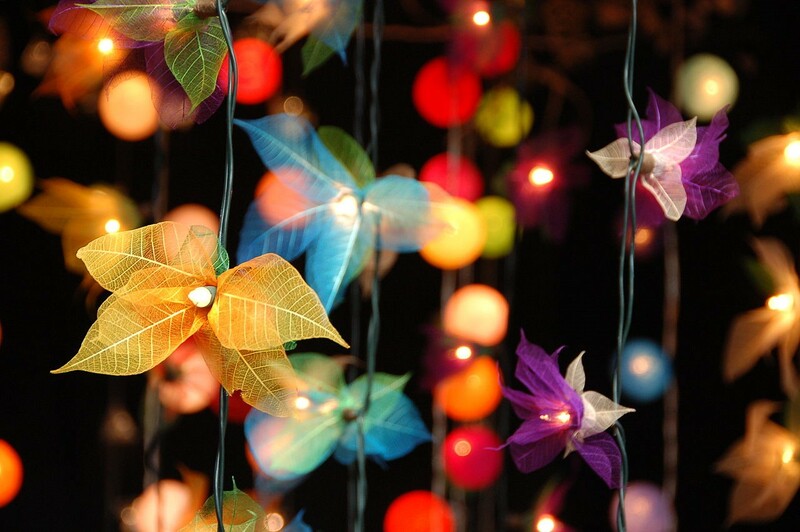 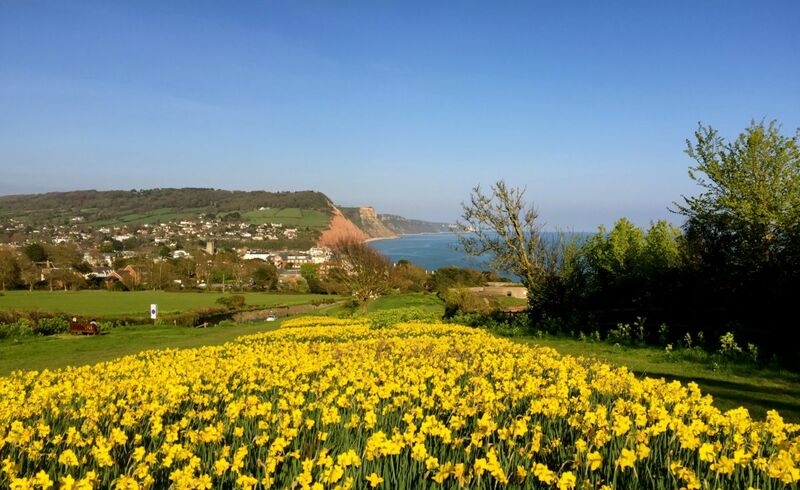 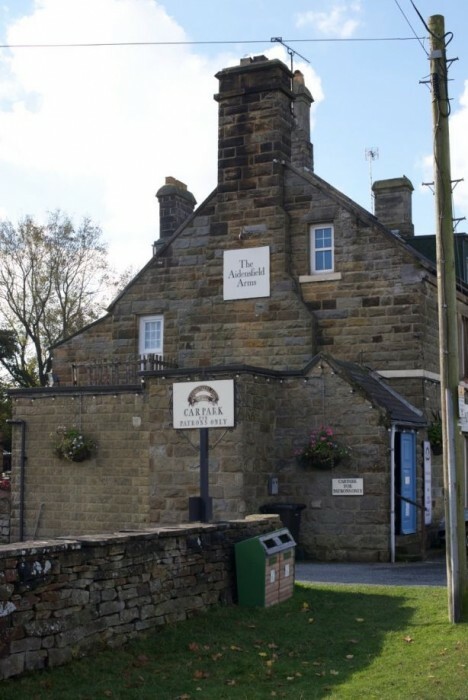 Our full contact details can be found right here on our website, and we’re always looking forward to getting started on something new and exciting. 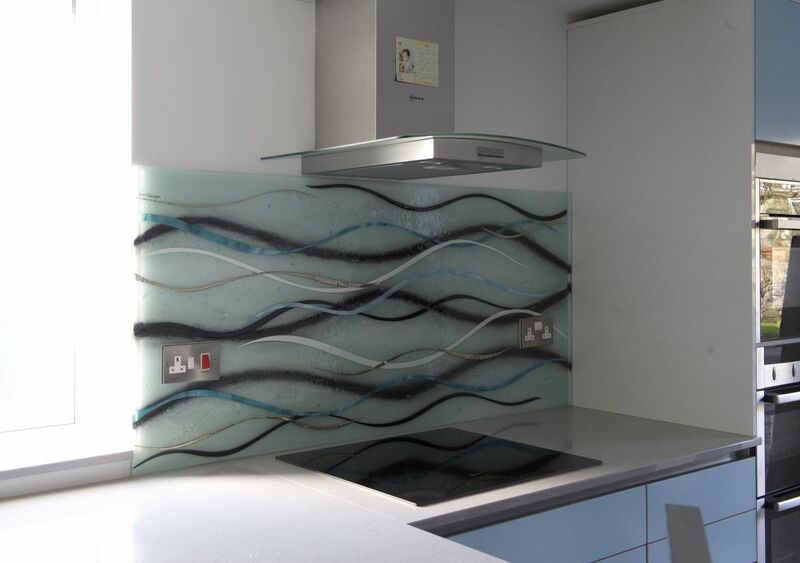 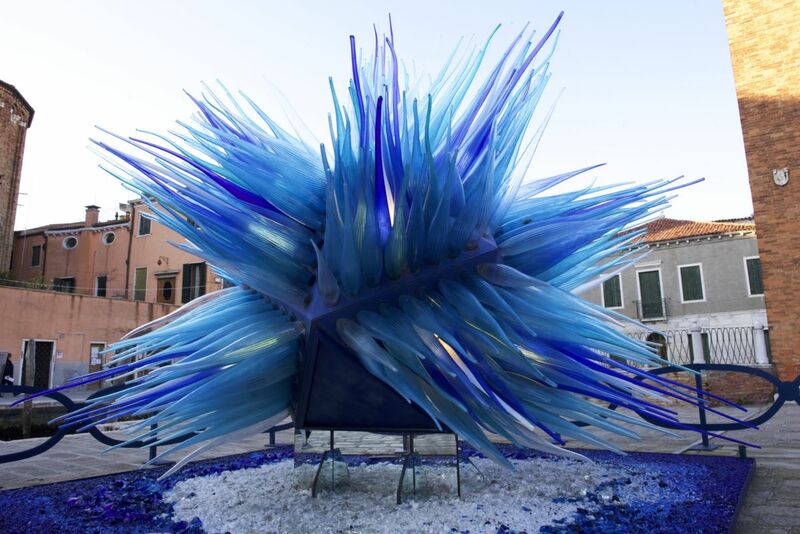 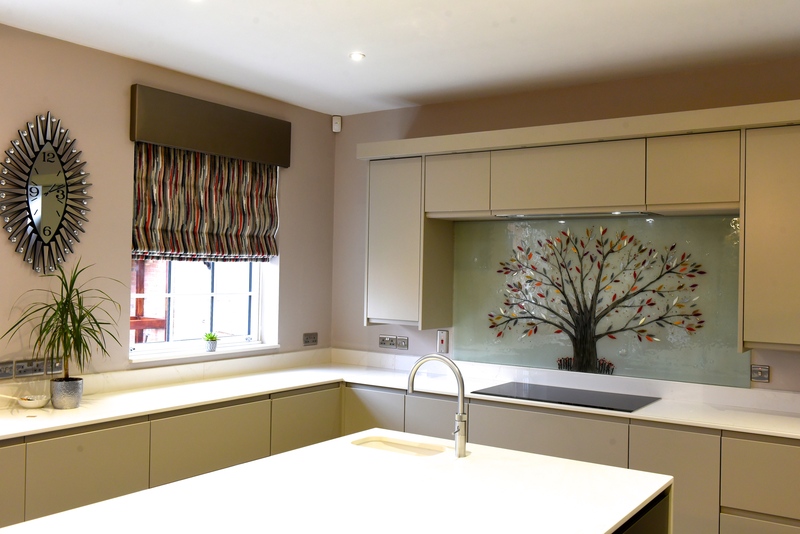 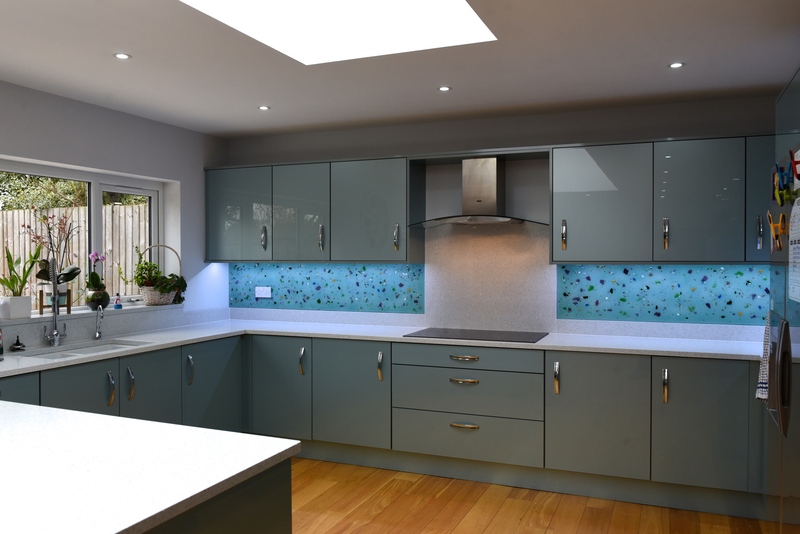 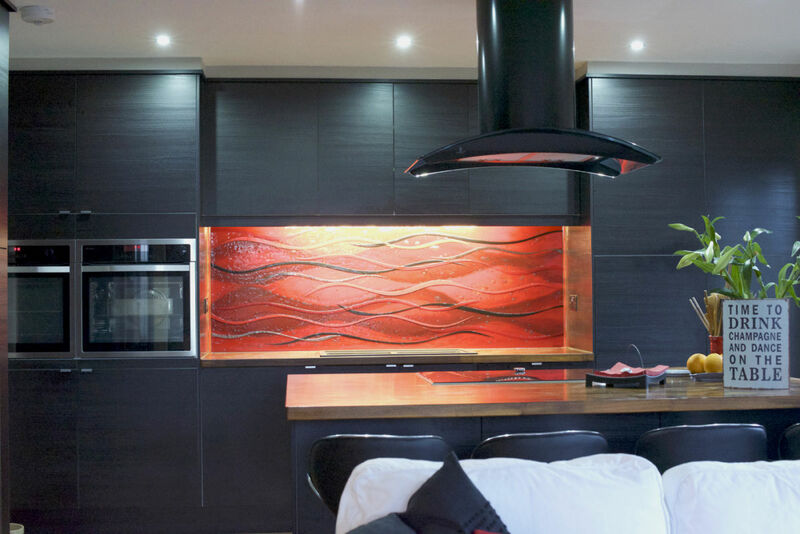 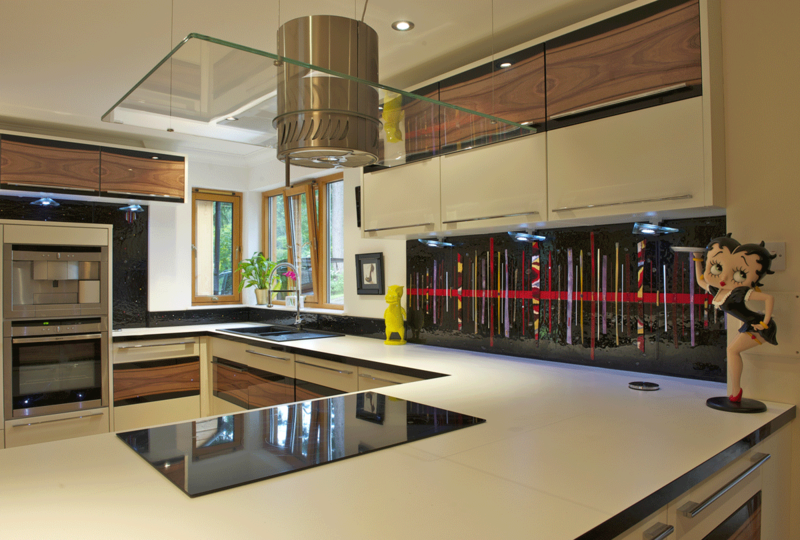 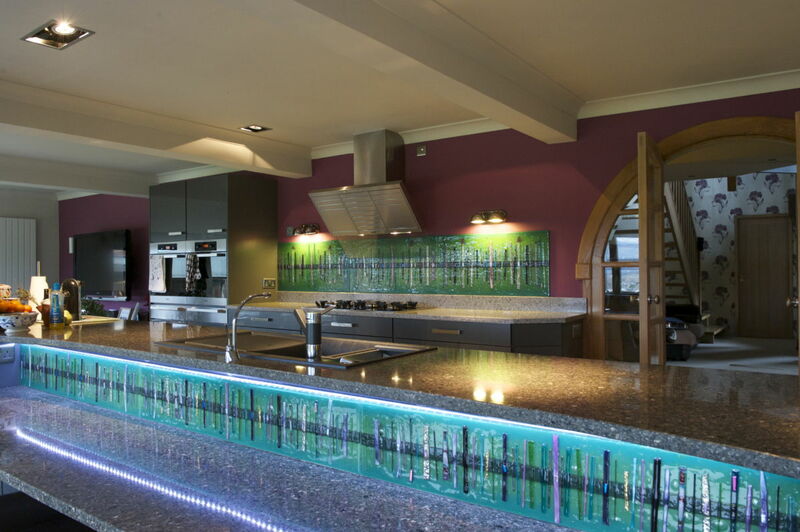 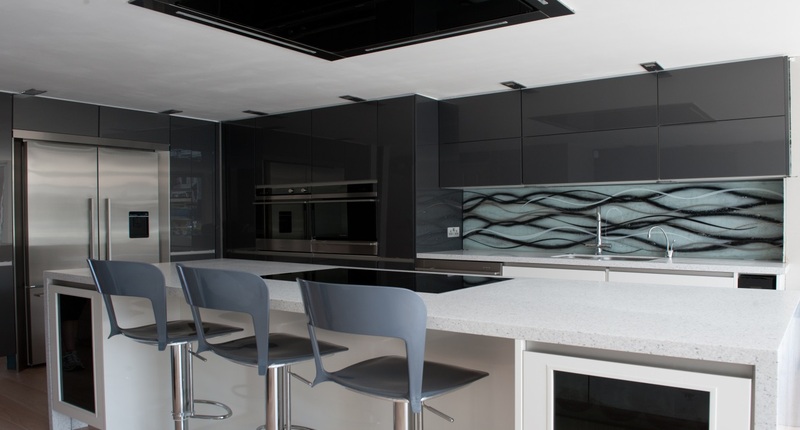 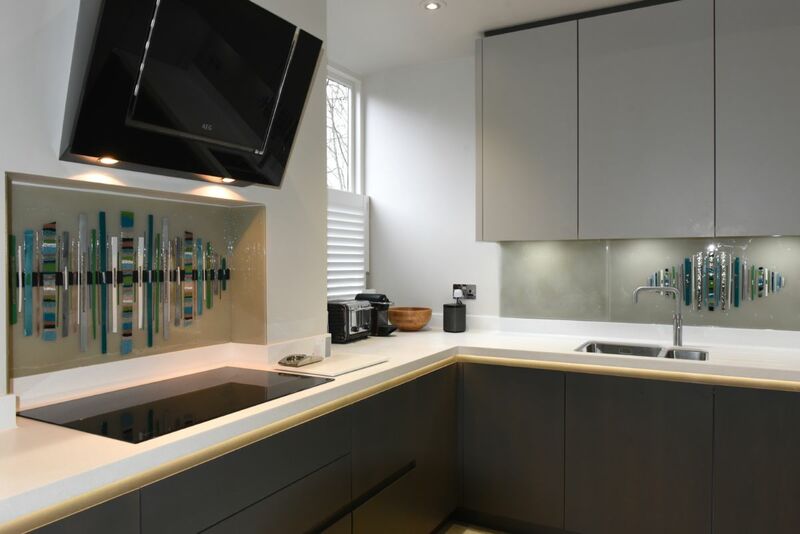 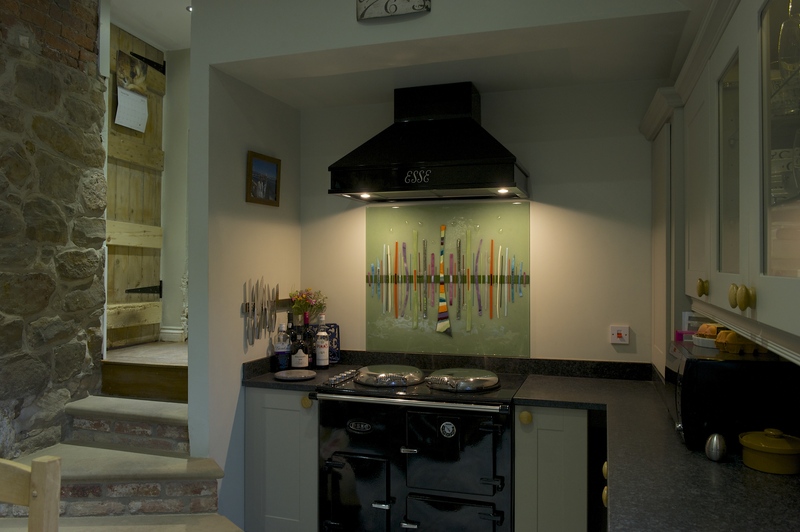 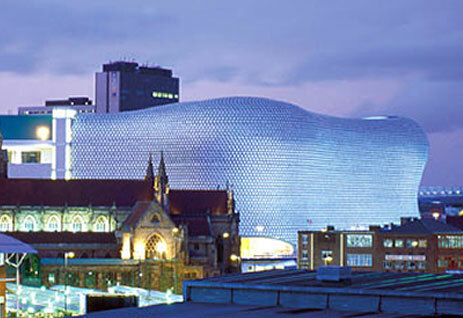 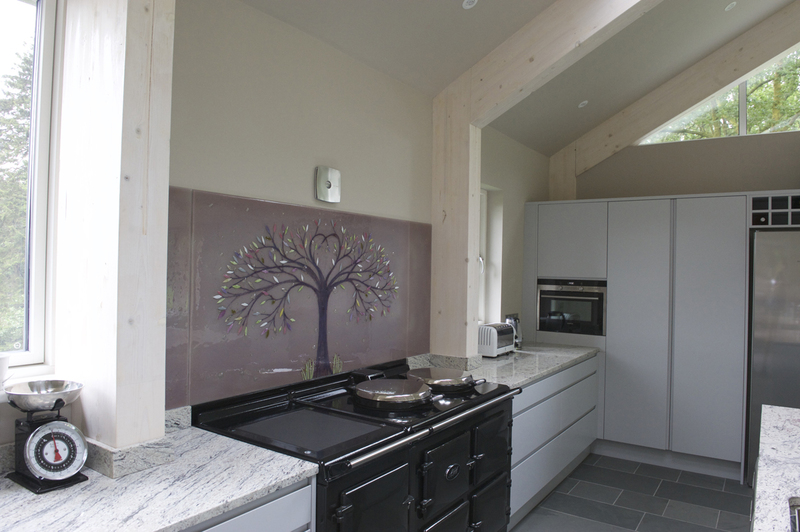 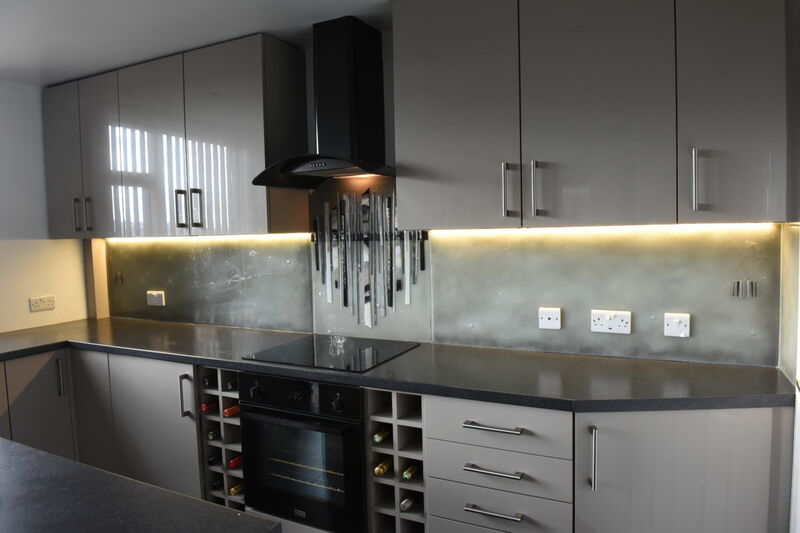 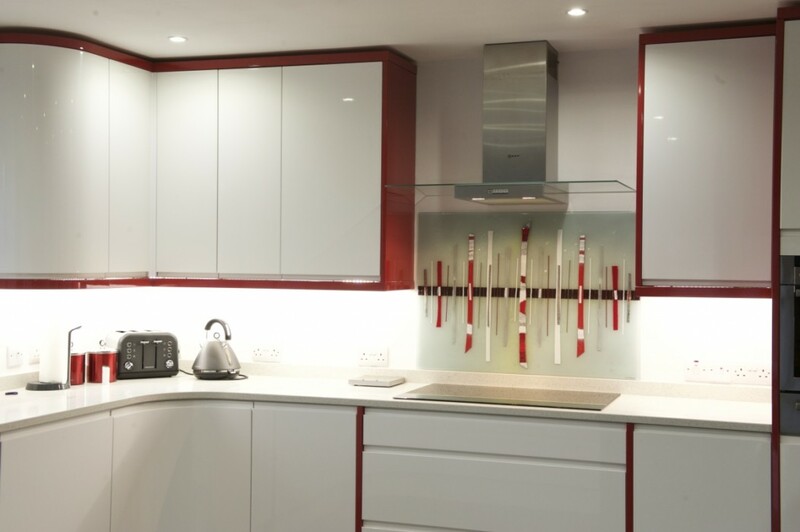 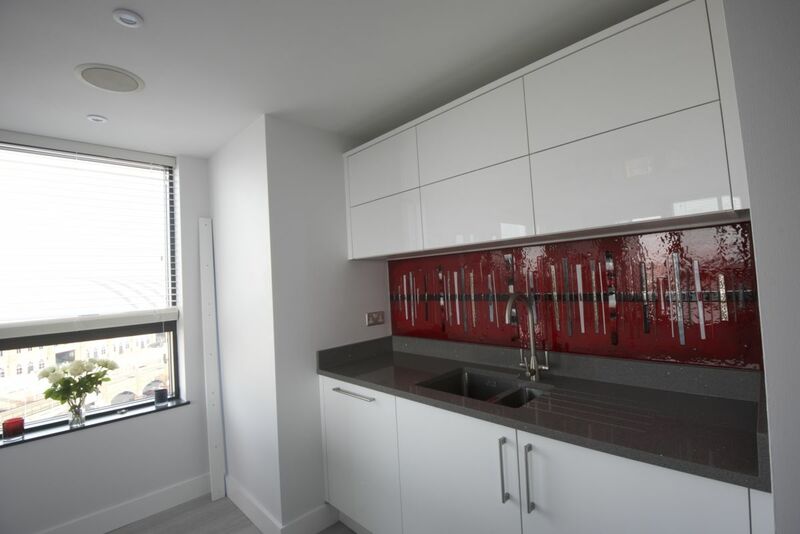 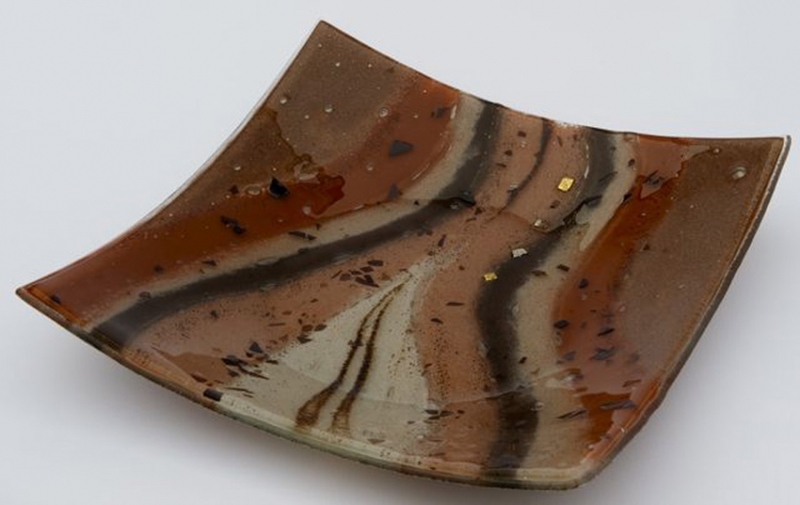 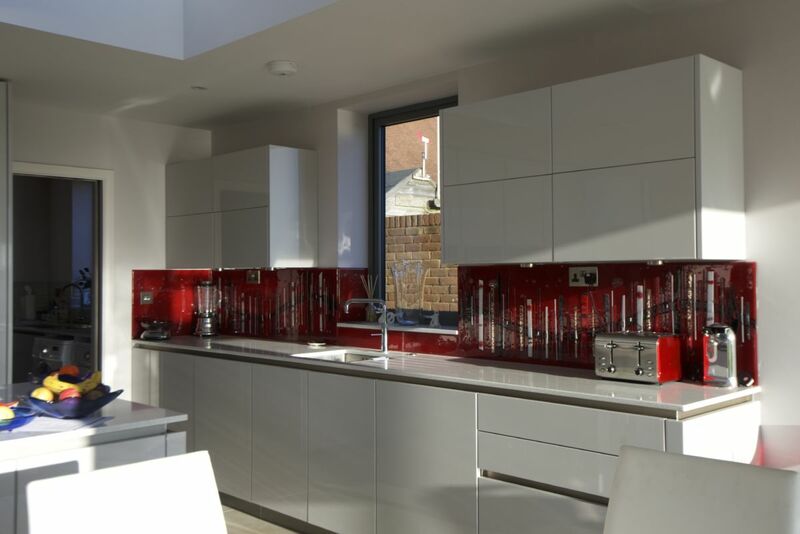 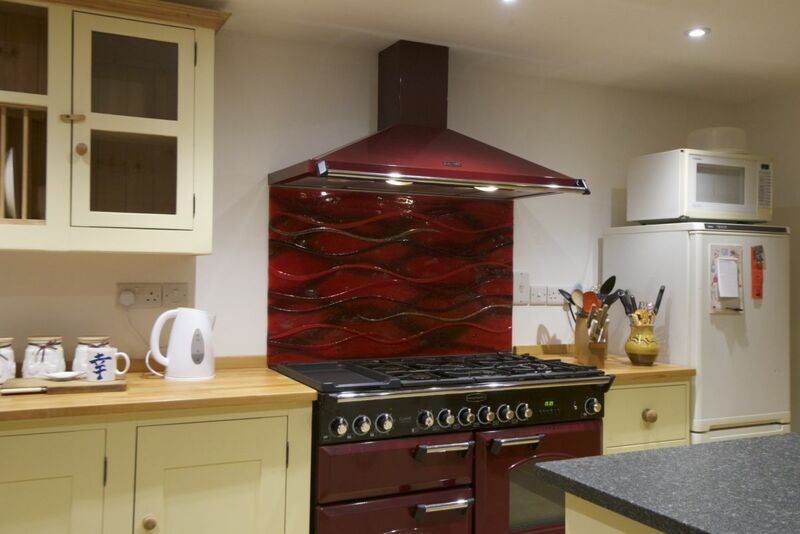 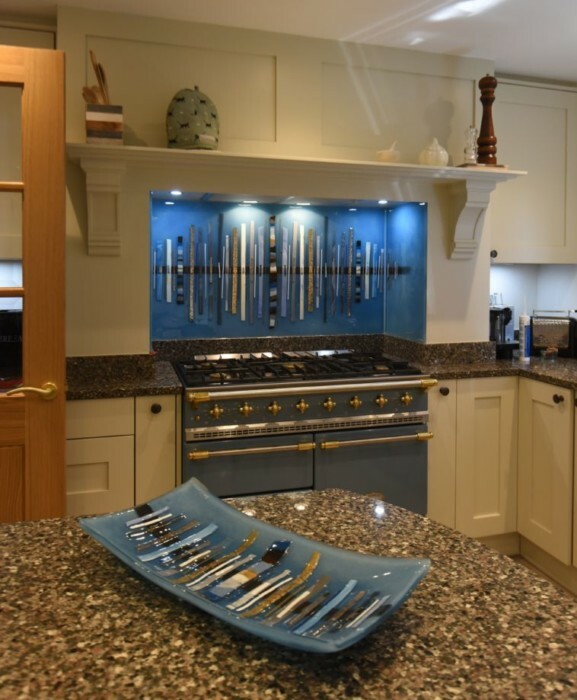 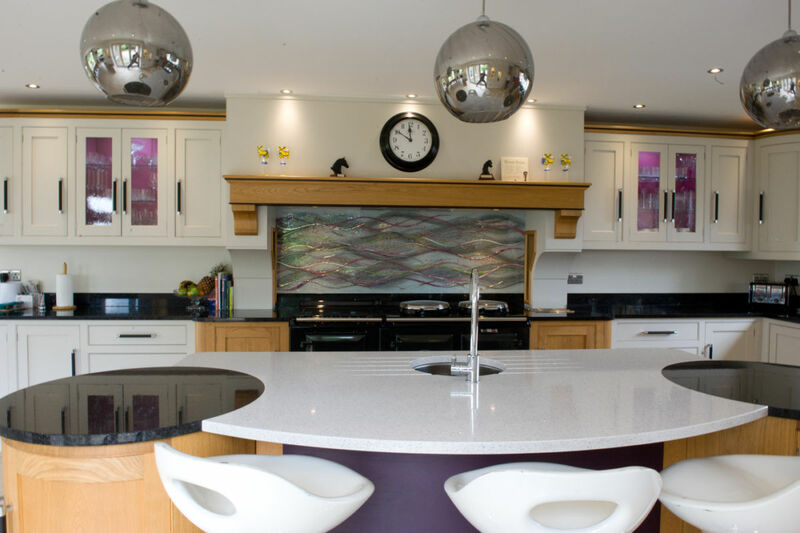 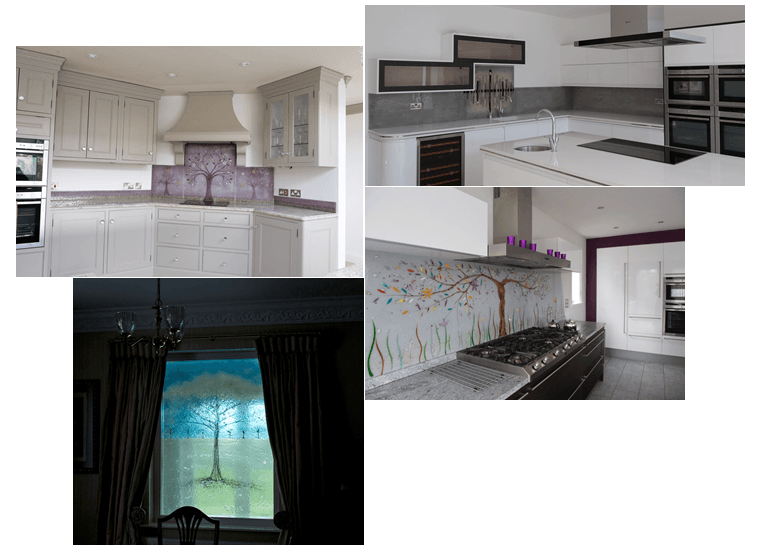 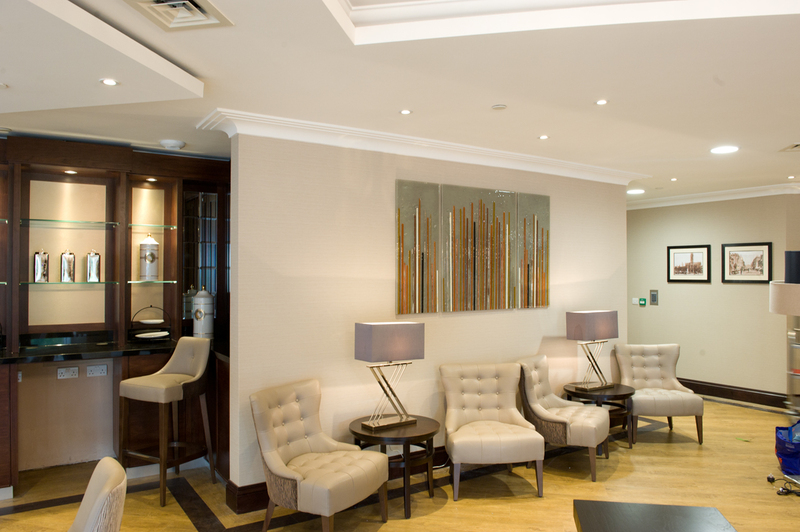 Drop us an email, or simply pick up the phone and let’s have a chat about what your ideal glass looks like.